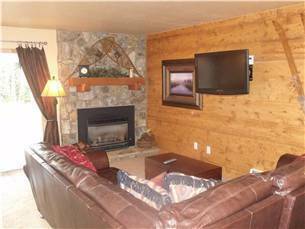 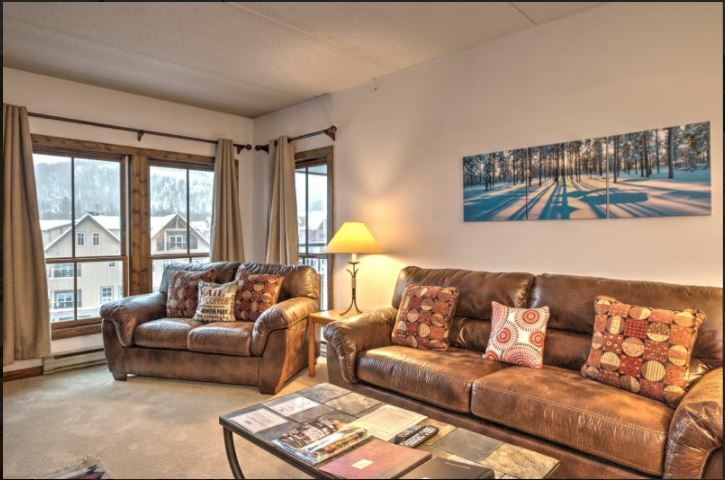 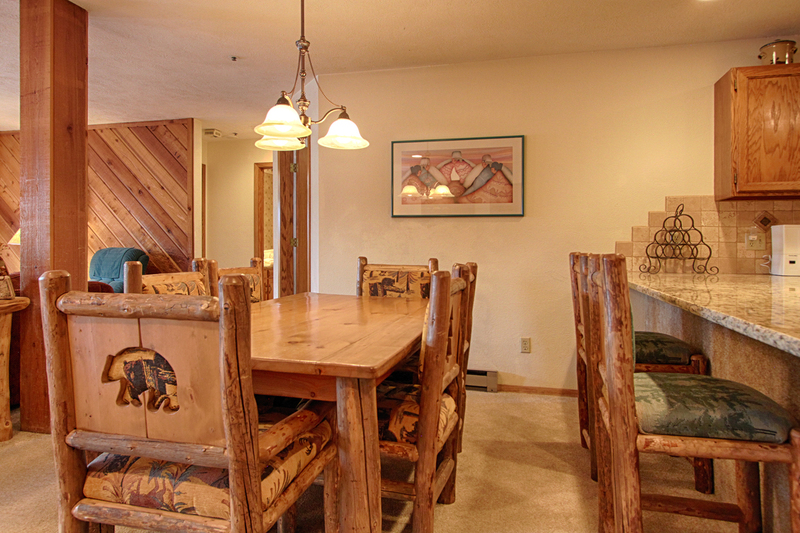 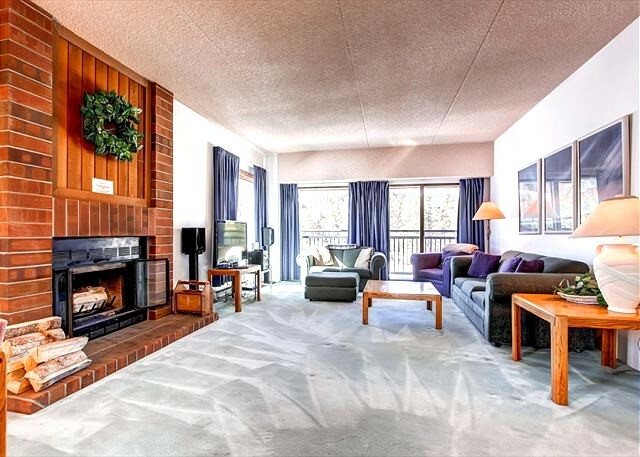 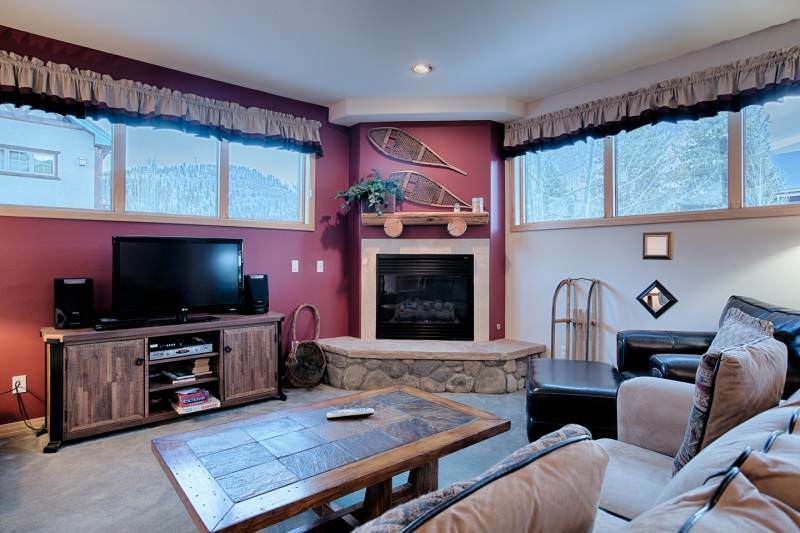 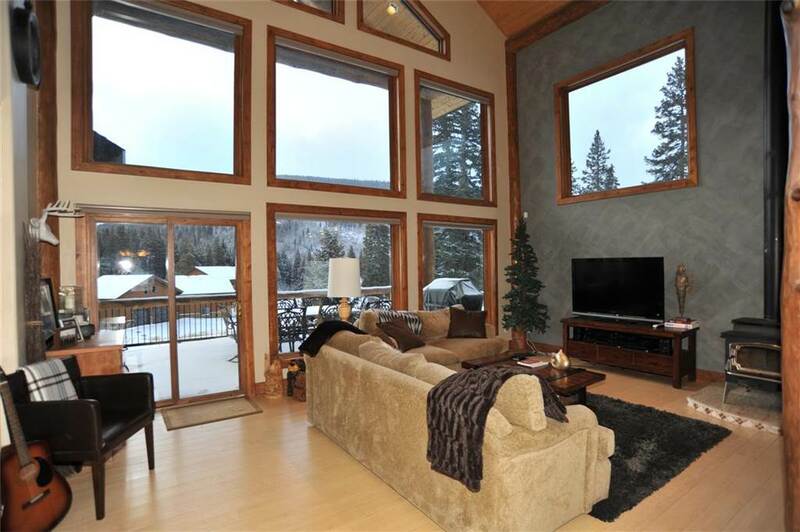 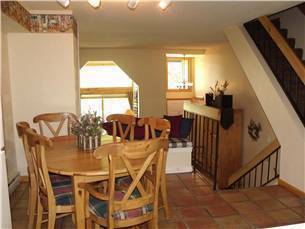 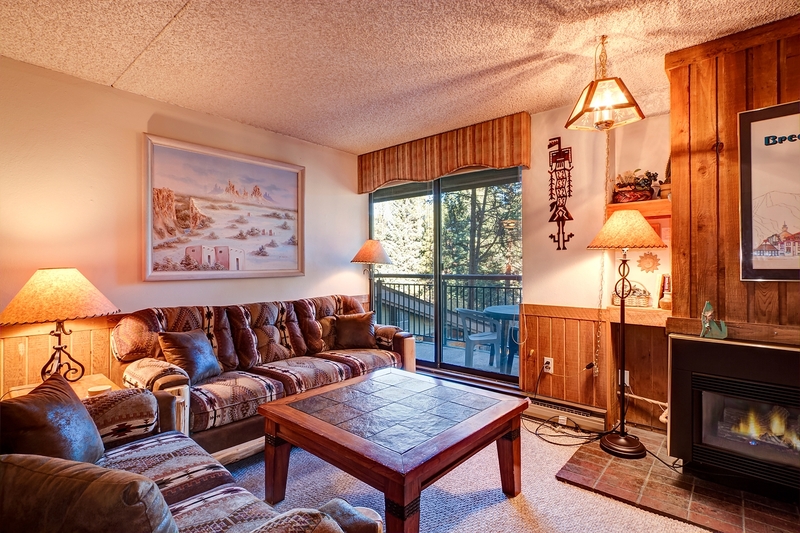 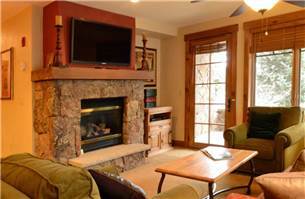 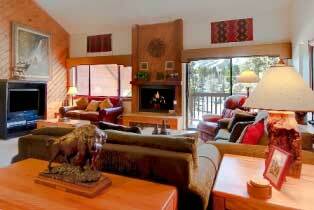 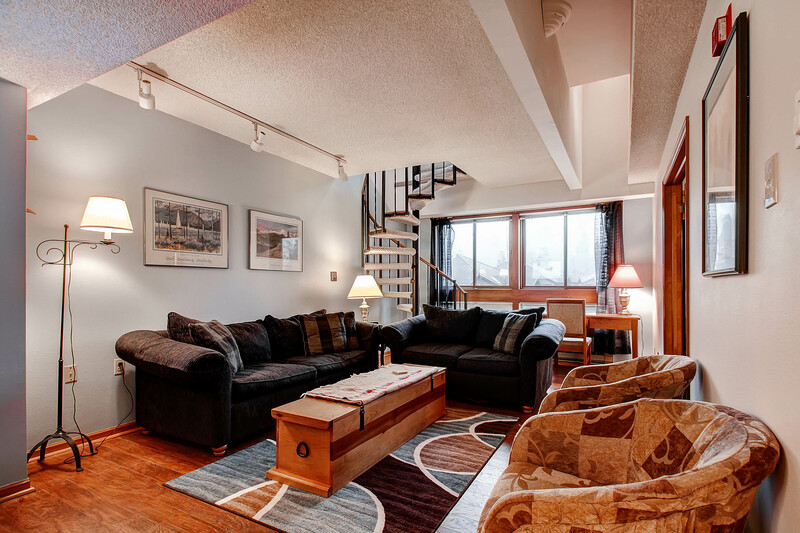 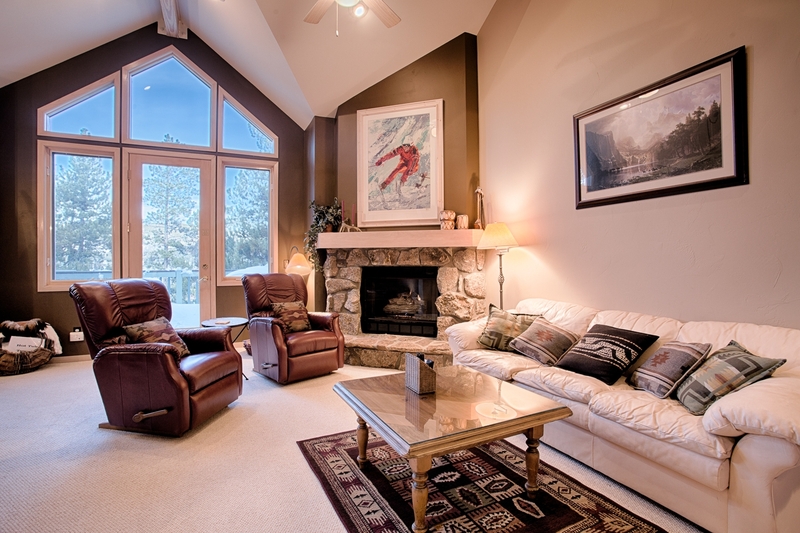 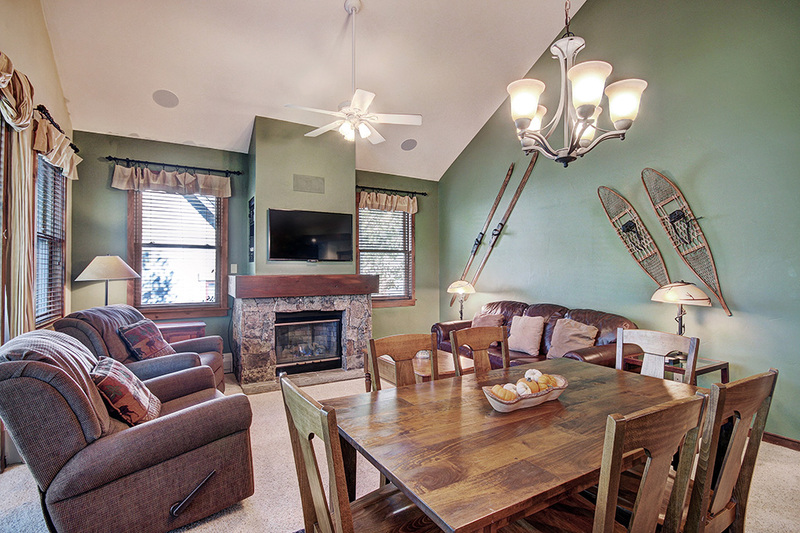 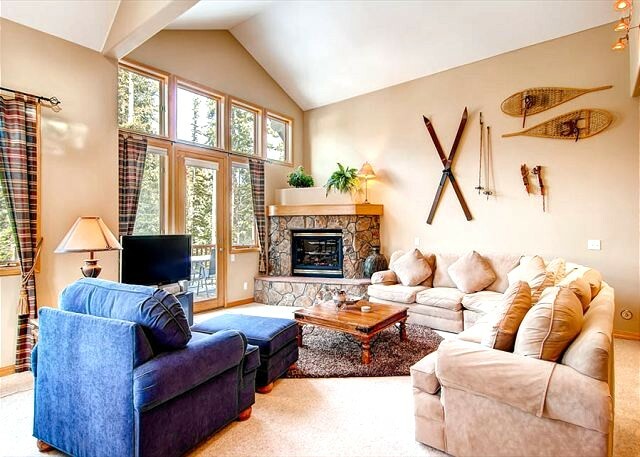 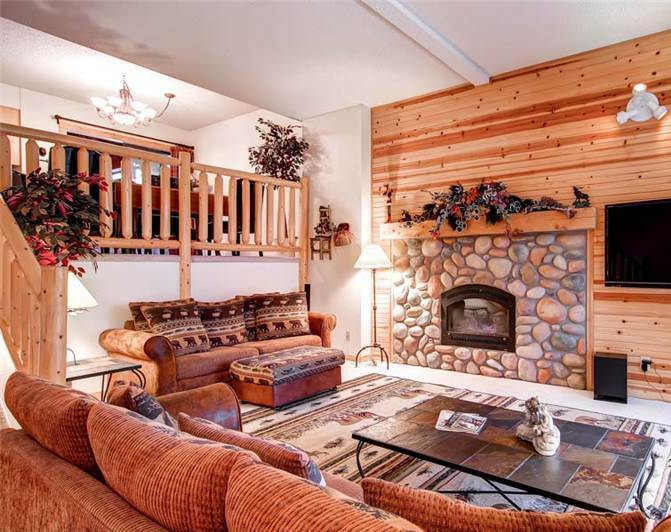 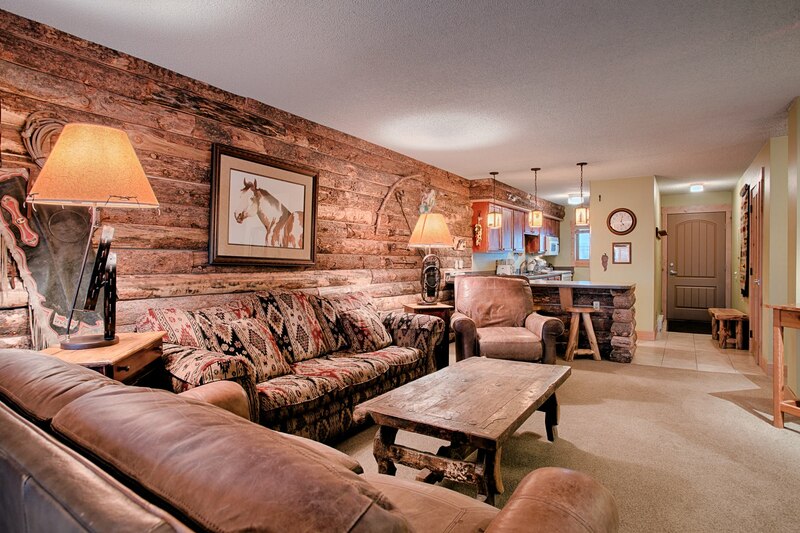 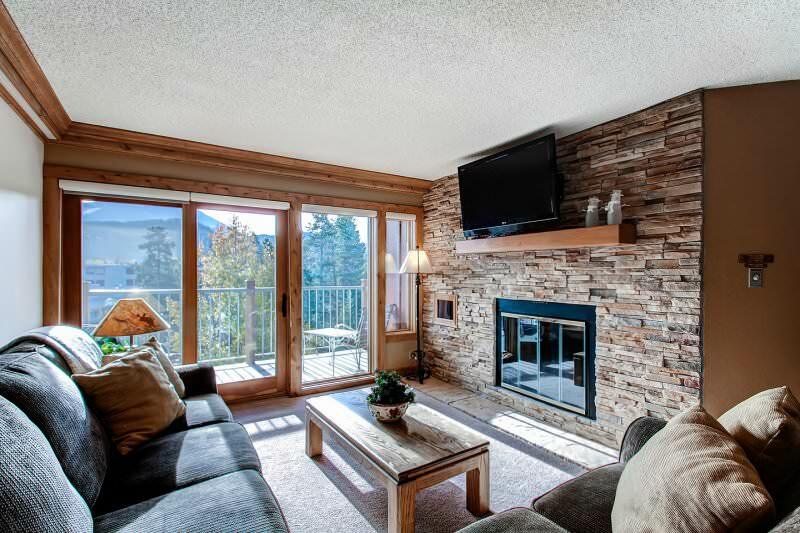 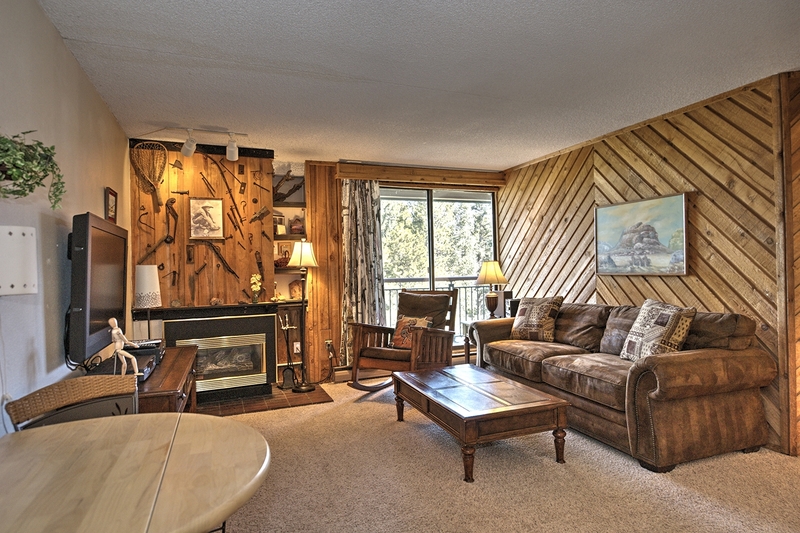 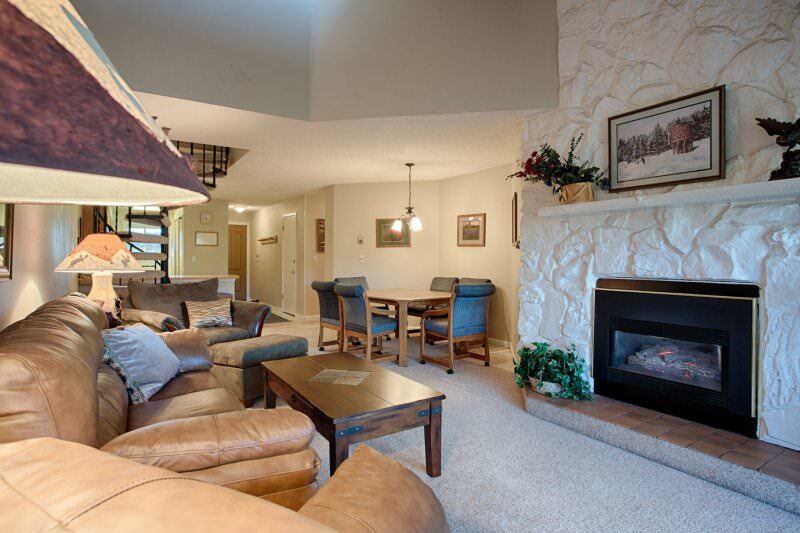 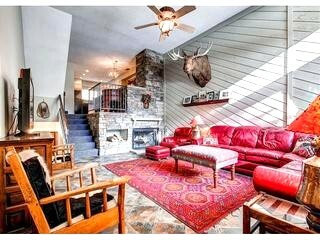 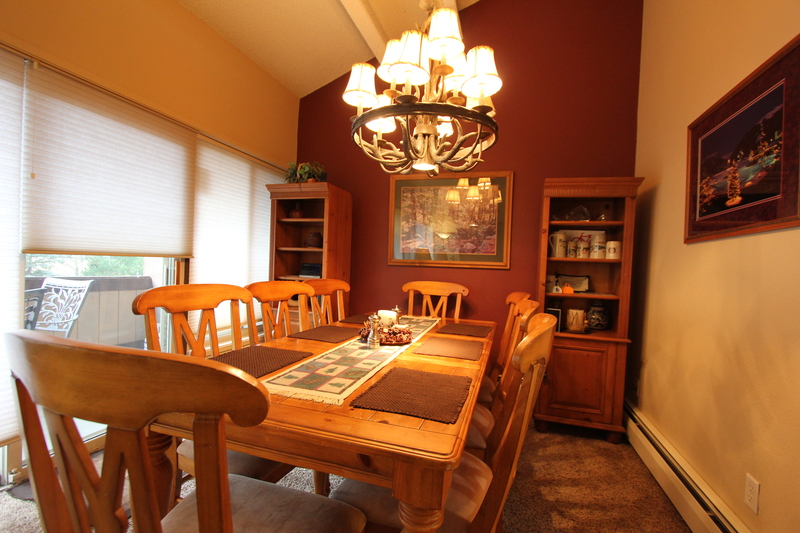 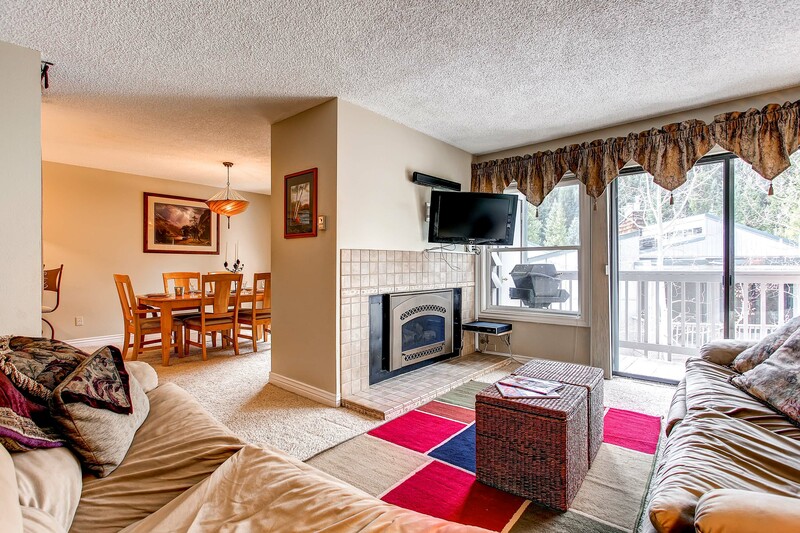 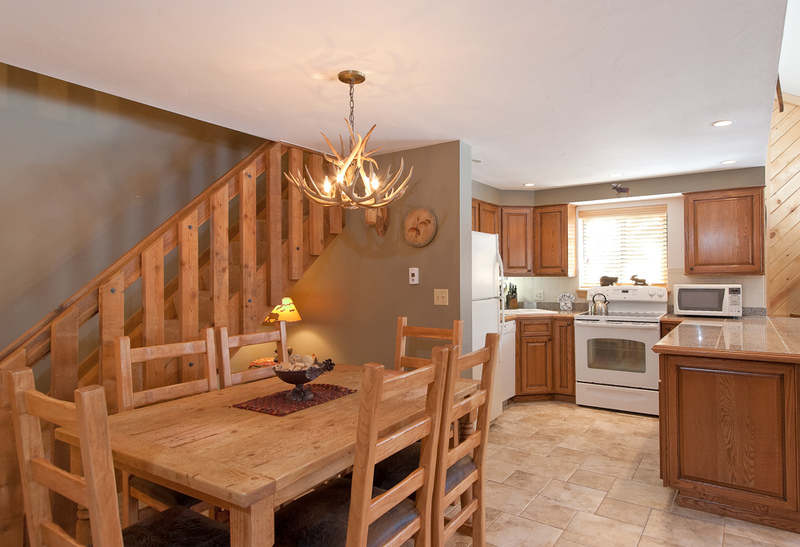 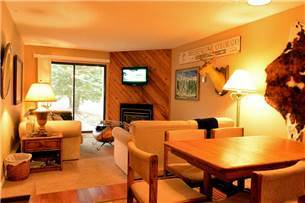 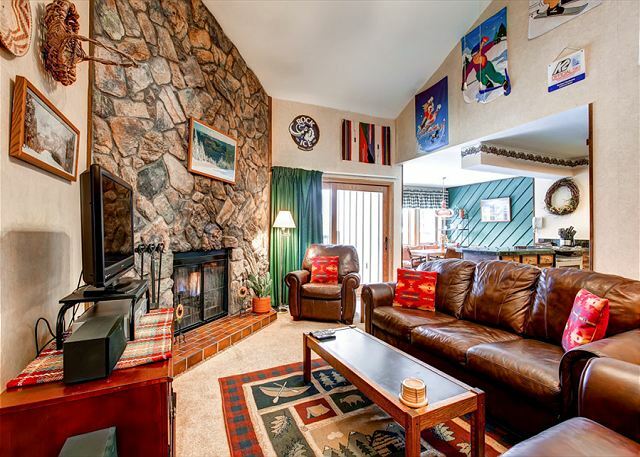 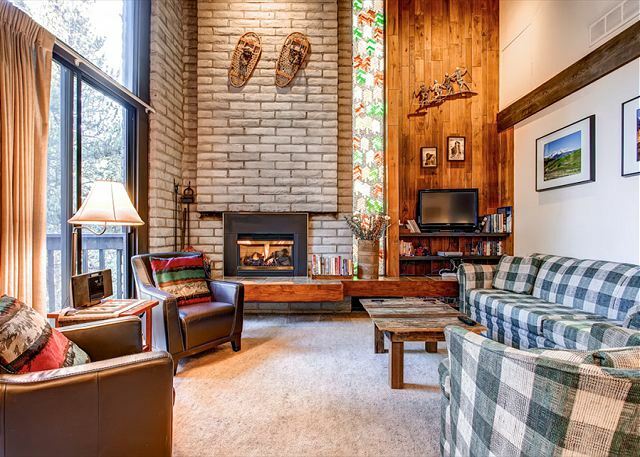 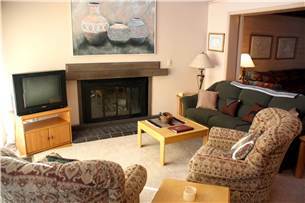 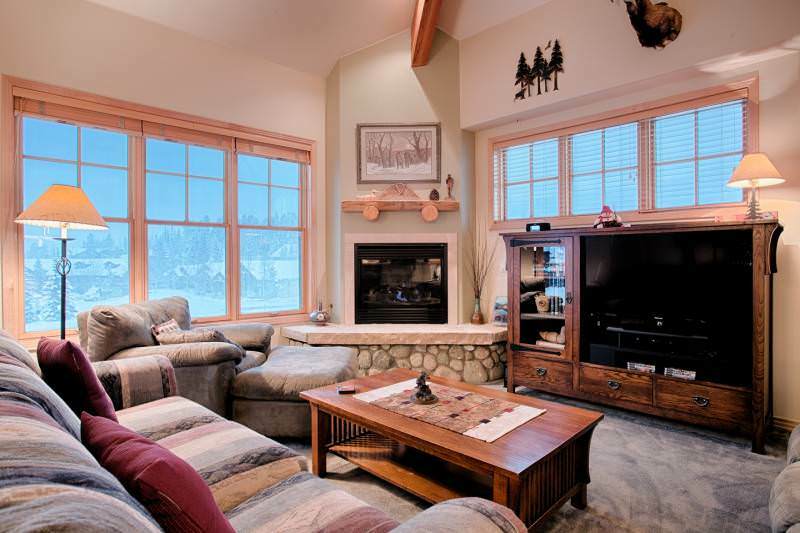 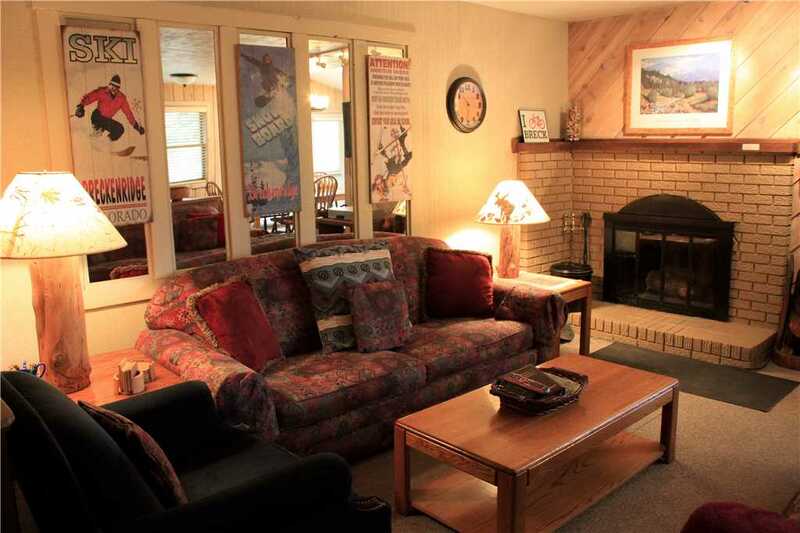 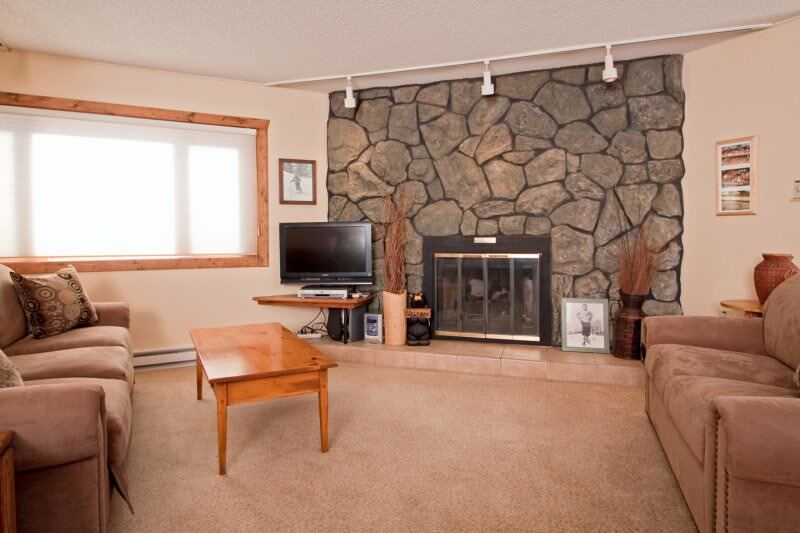 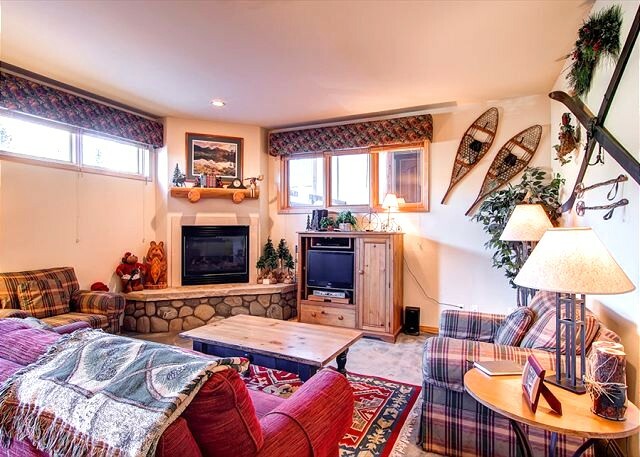 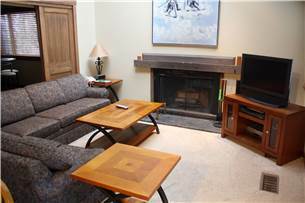 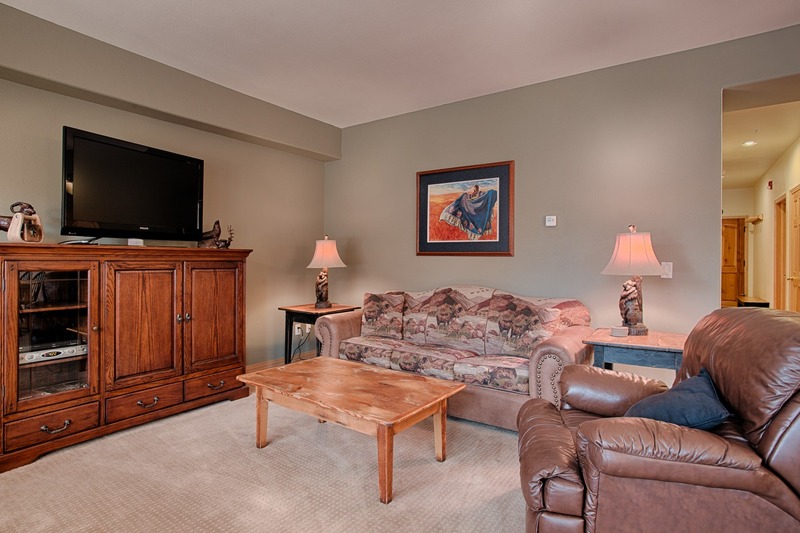 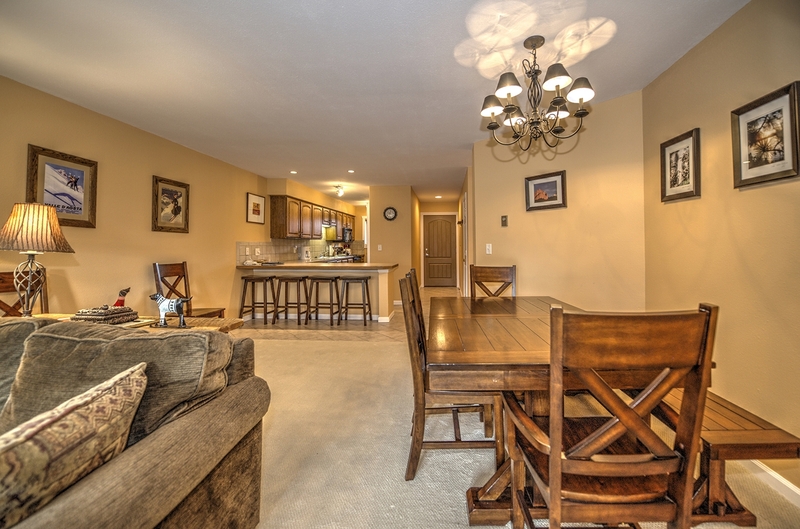 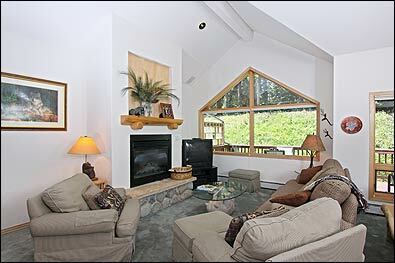 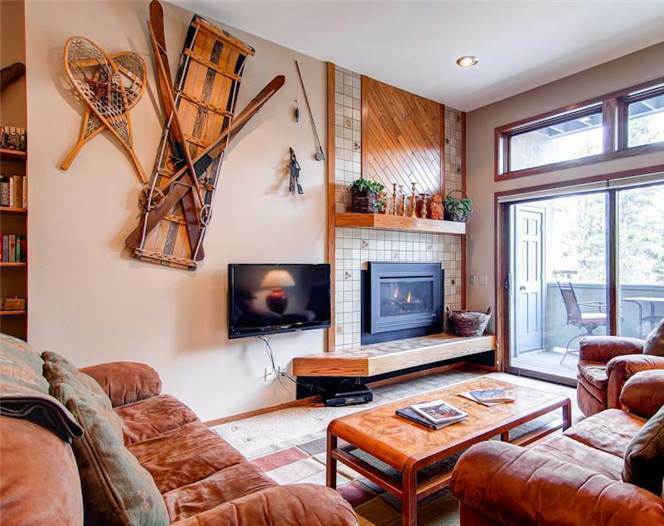 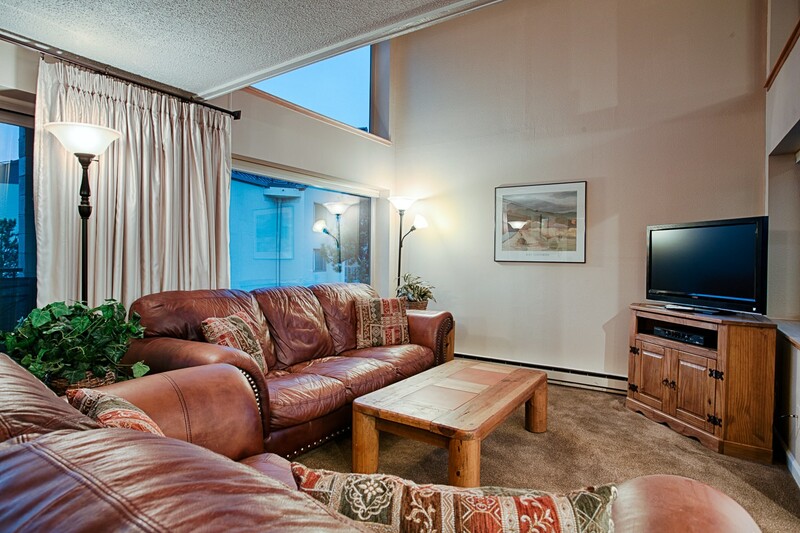 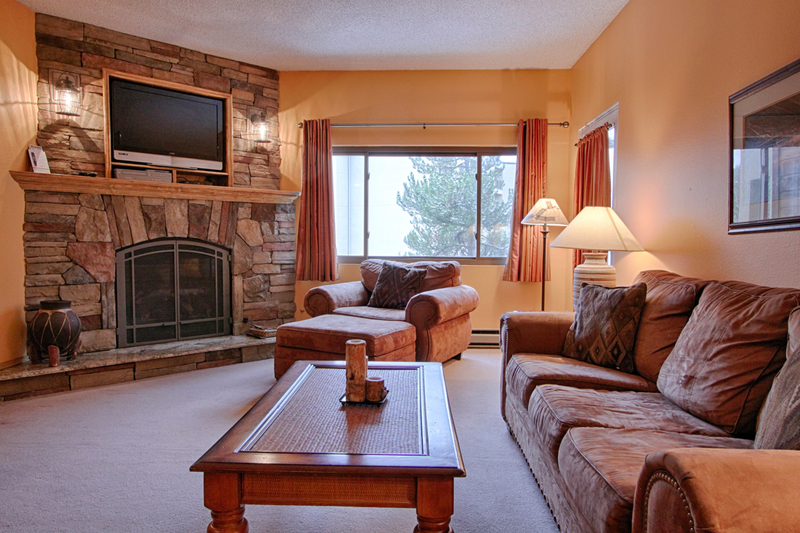 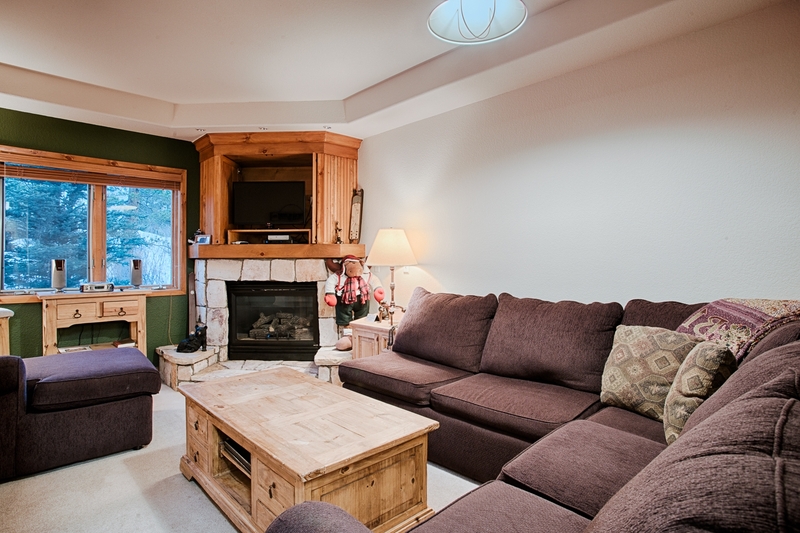 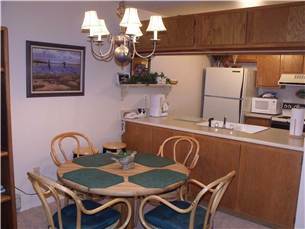 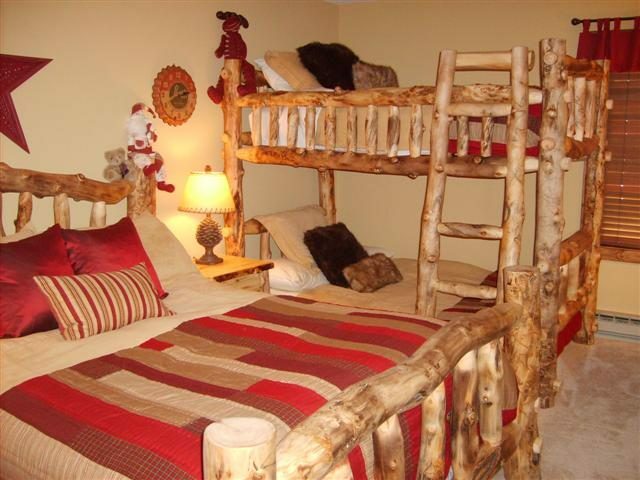 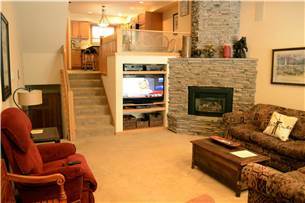 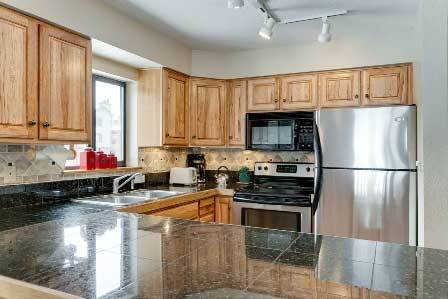 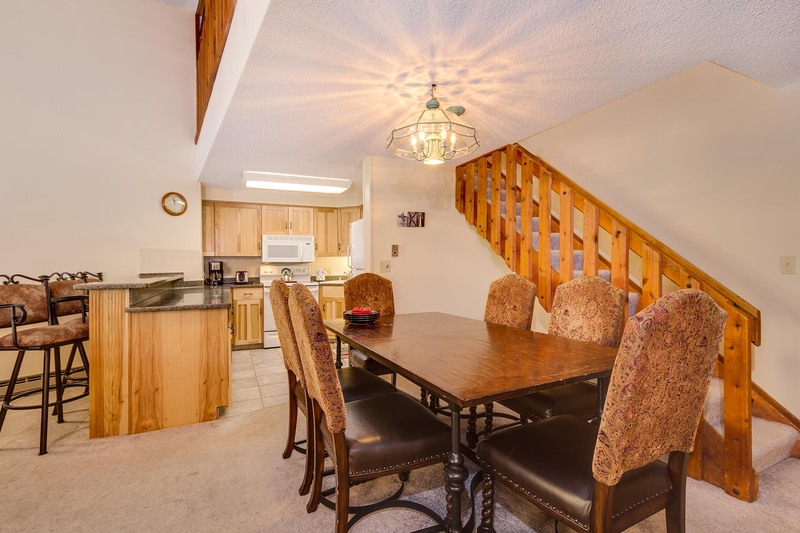 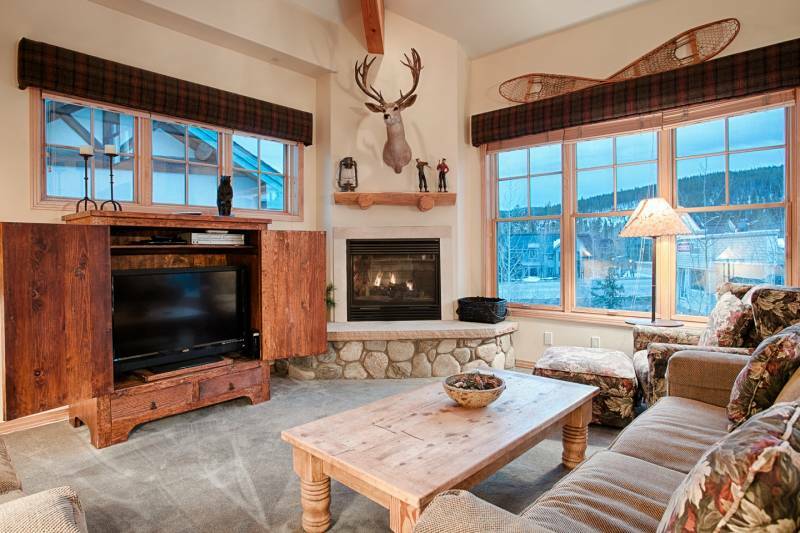 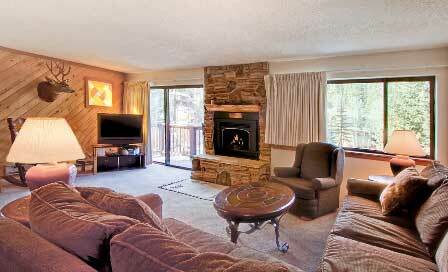 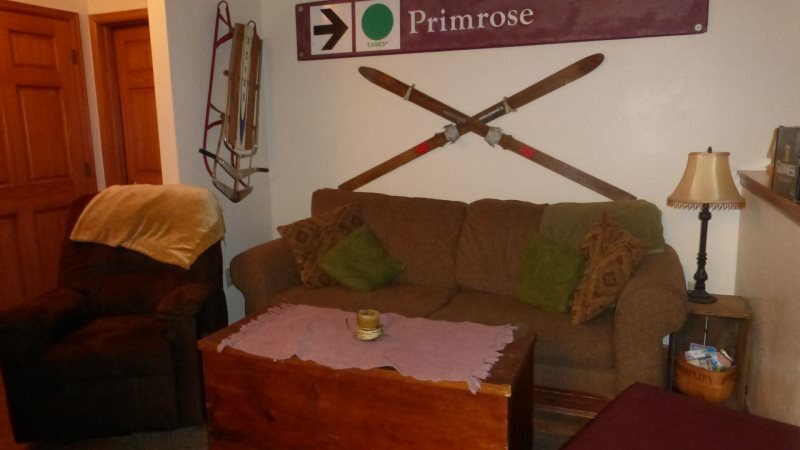 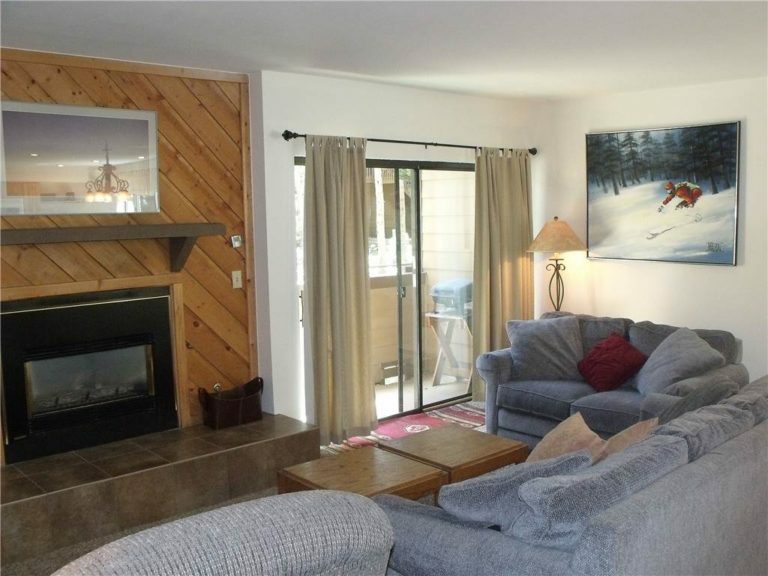 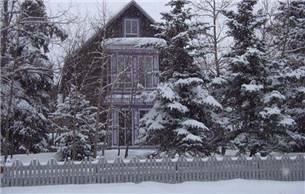 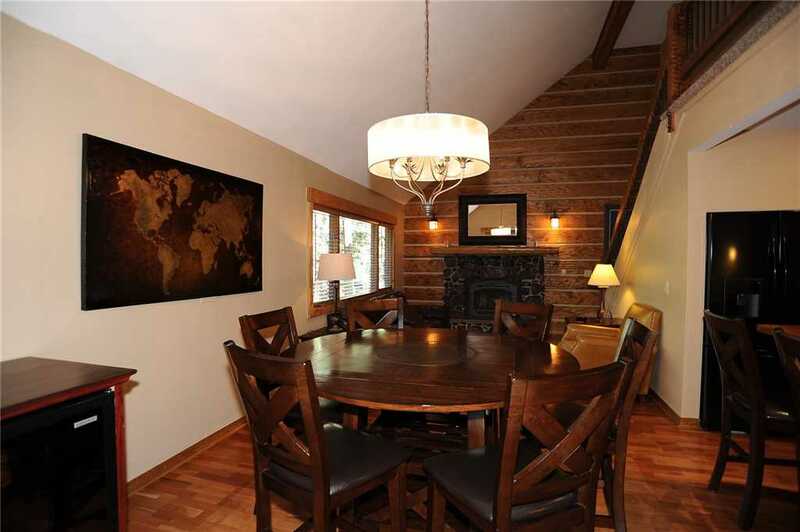 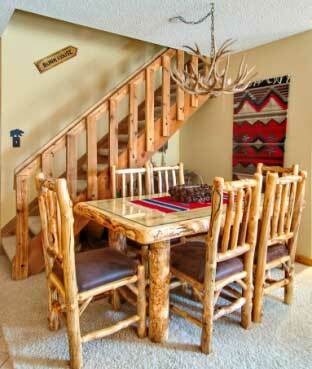 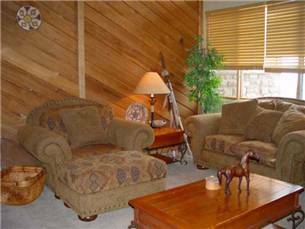 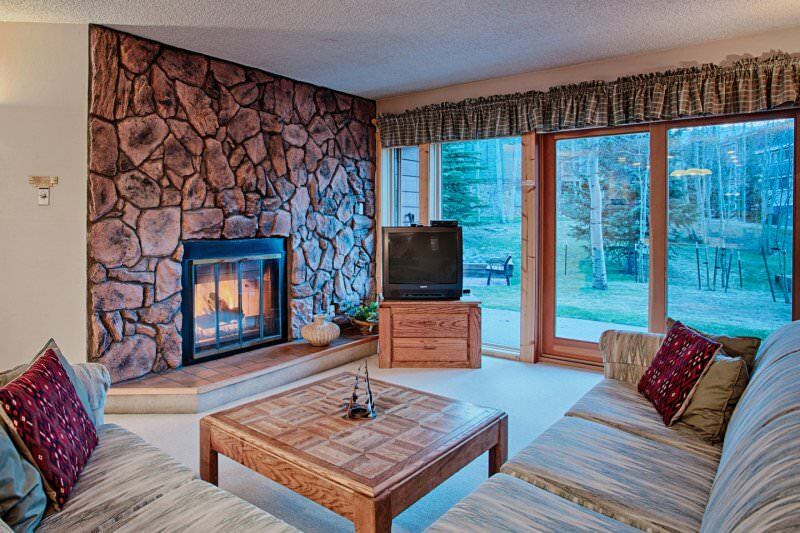 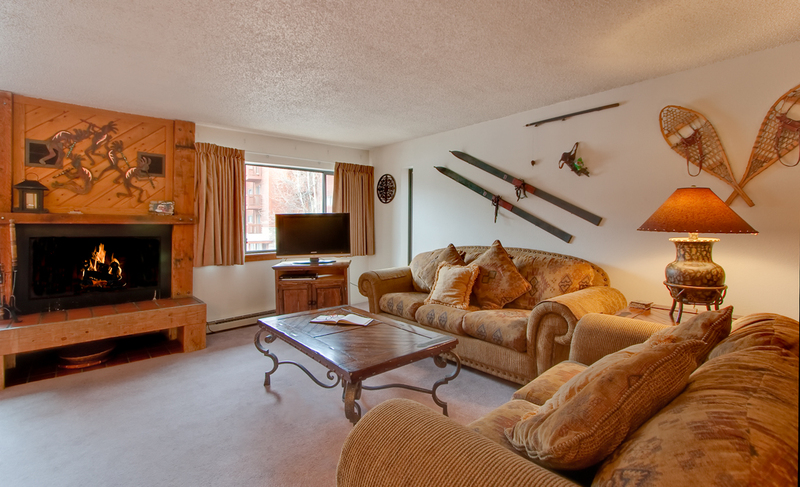 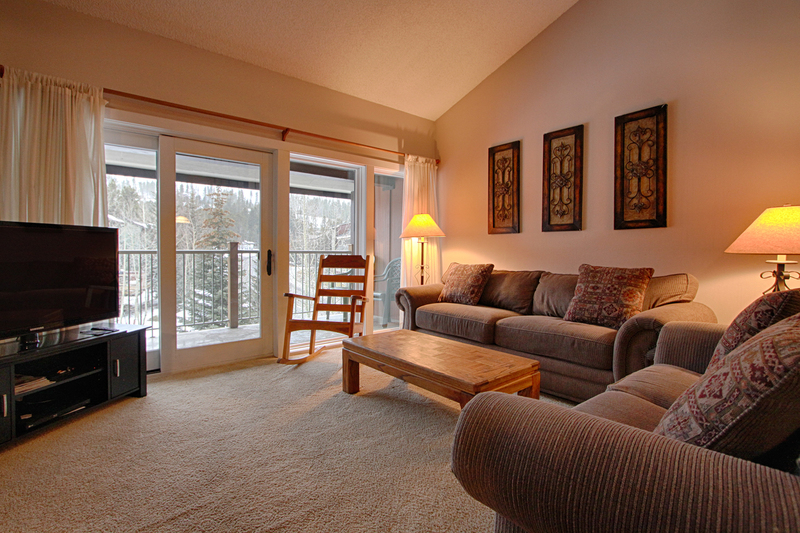 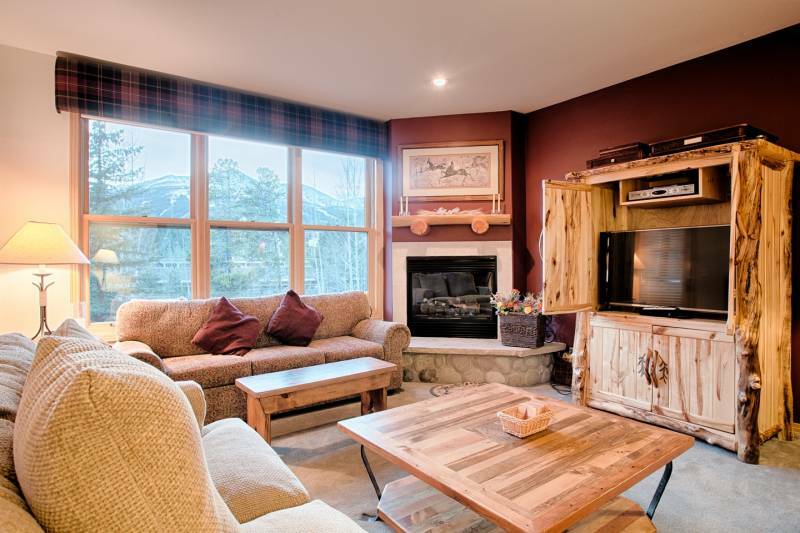 From the moment you walk into this nicely decorated 2 bedroom ski-in Sawmill Condo you will feel right at home. 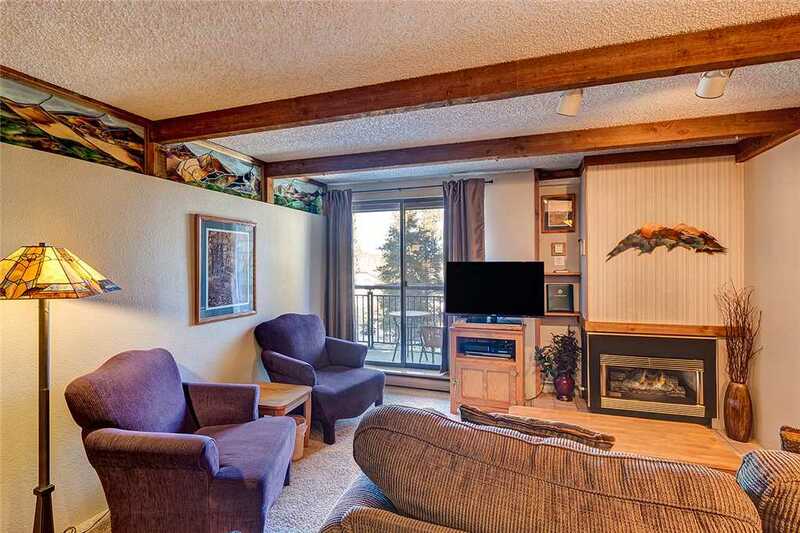 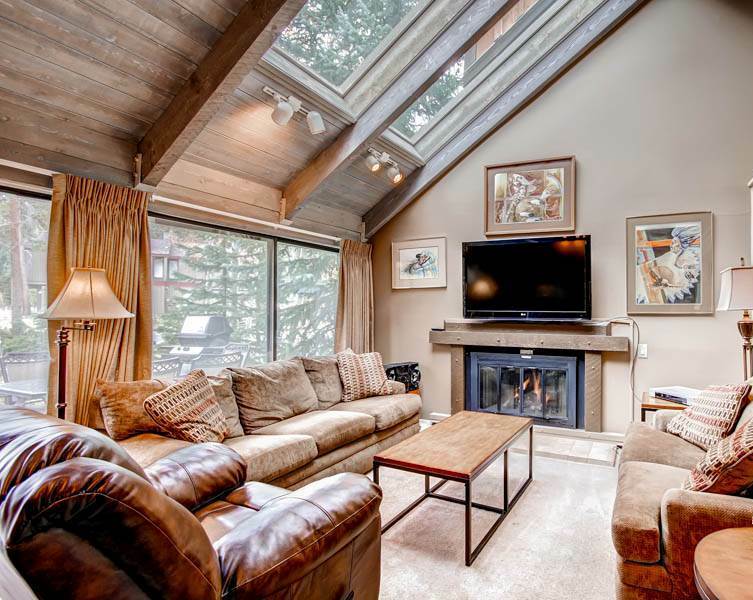 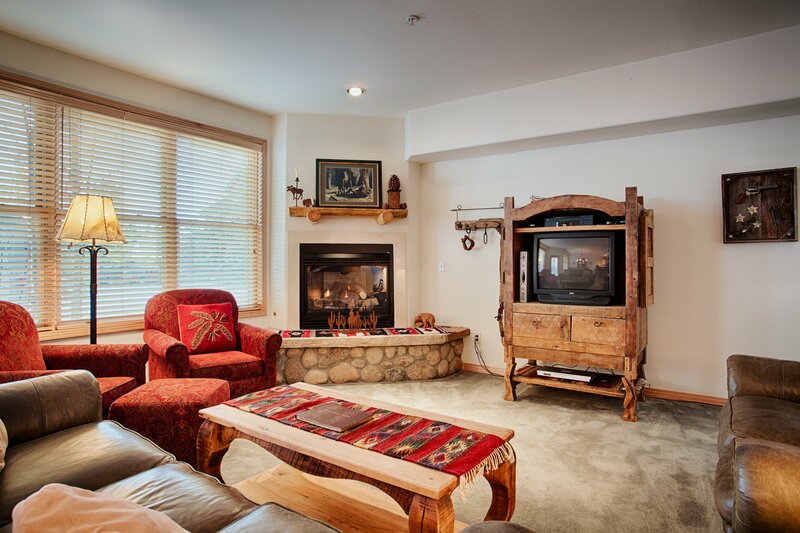 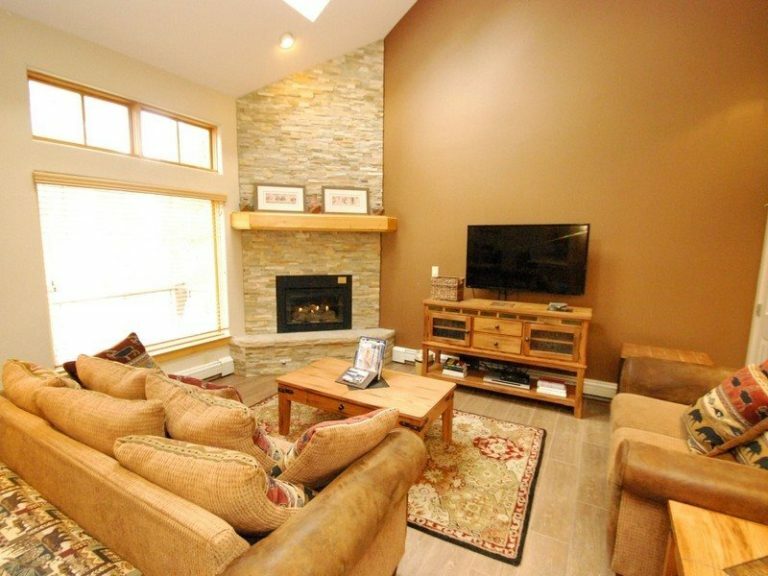 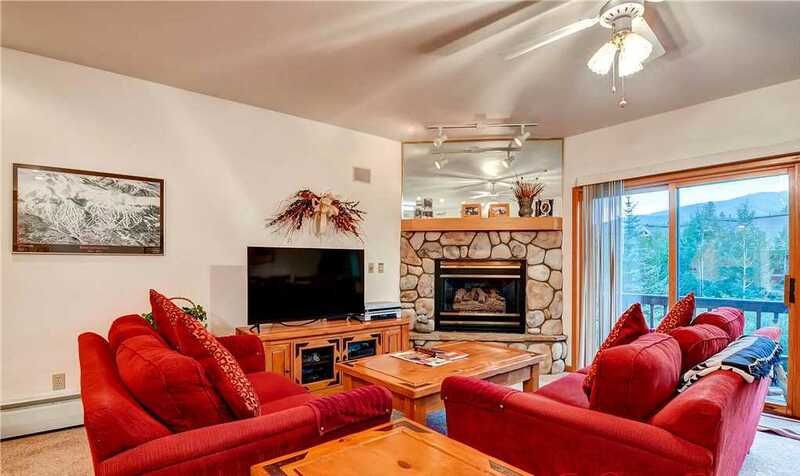 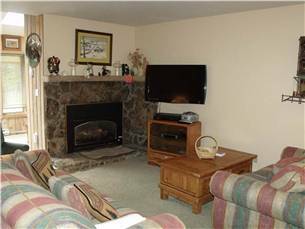 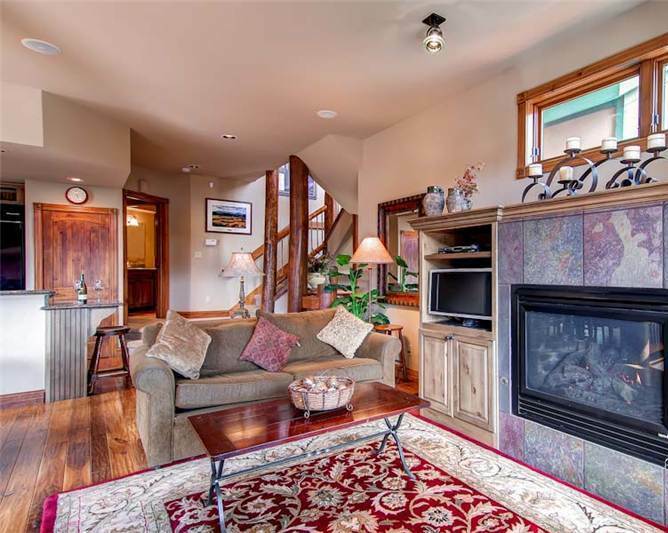 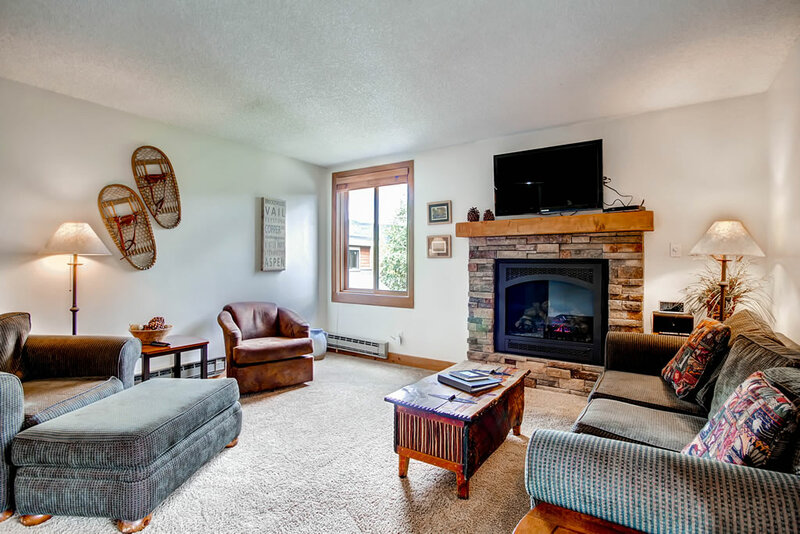 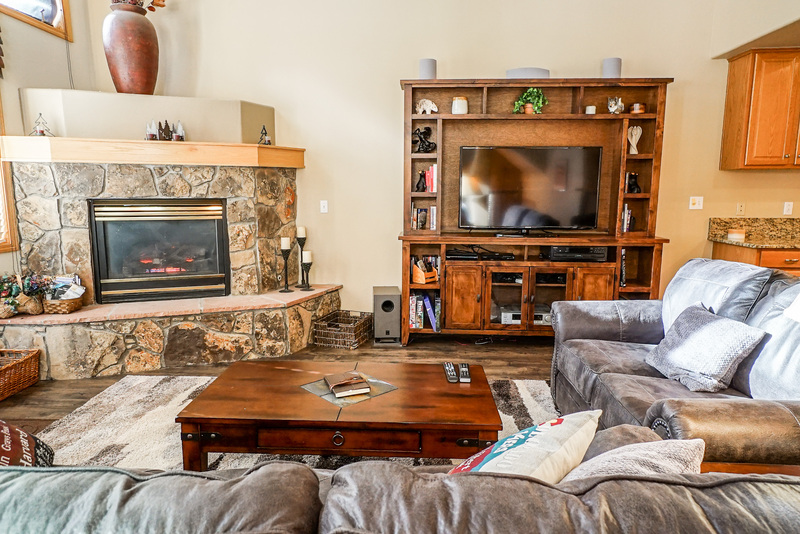 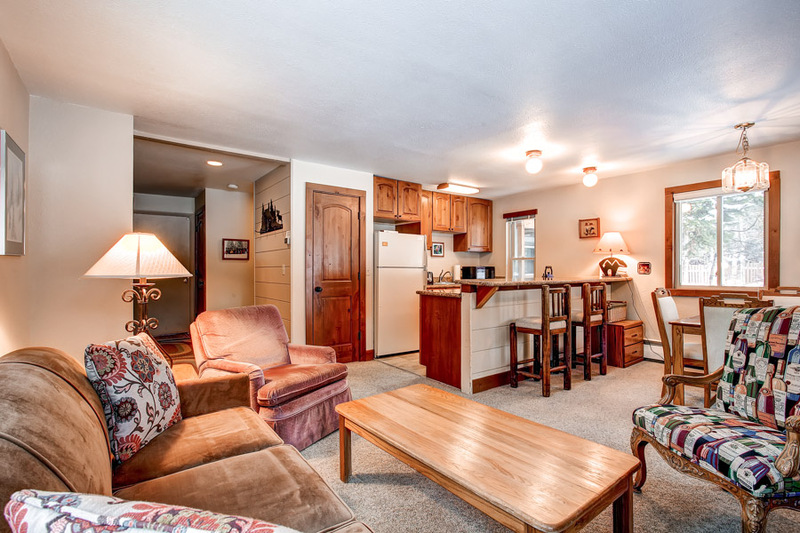 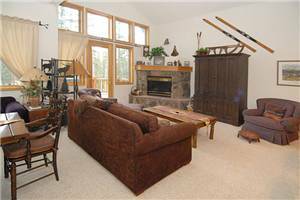 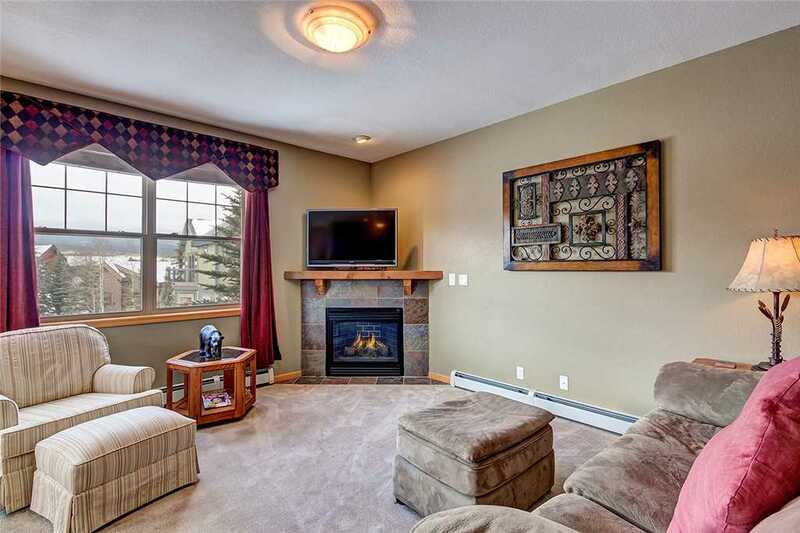 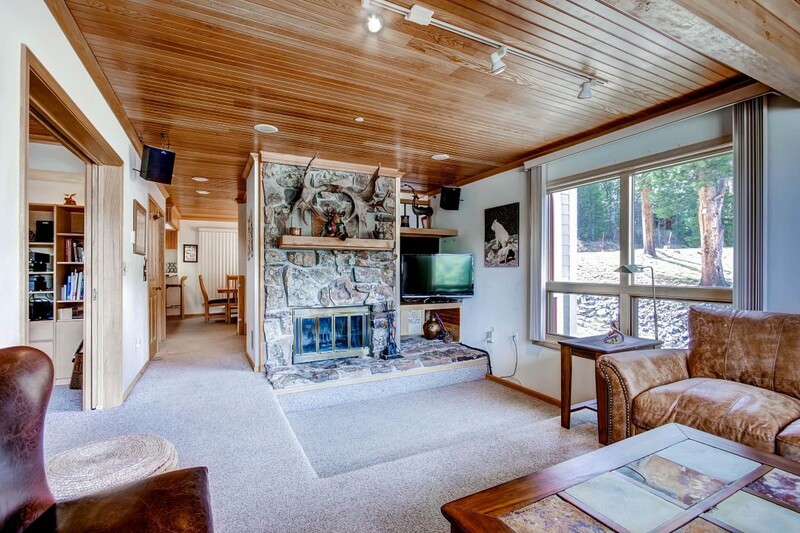 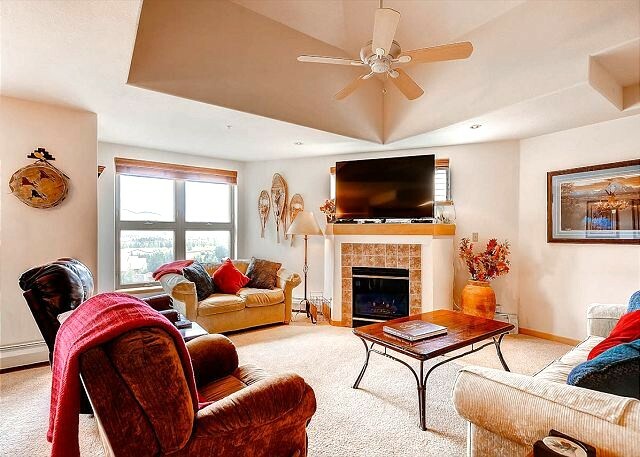 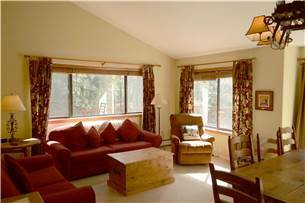 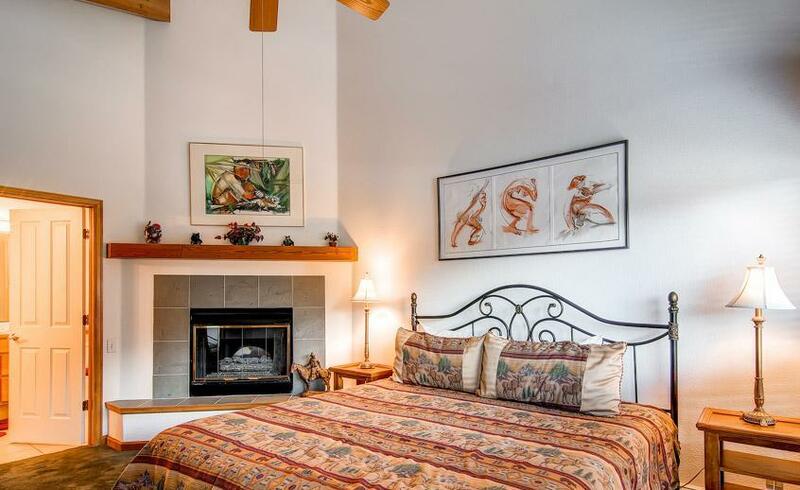 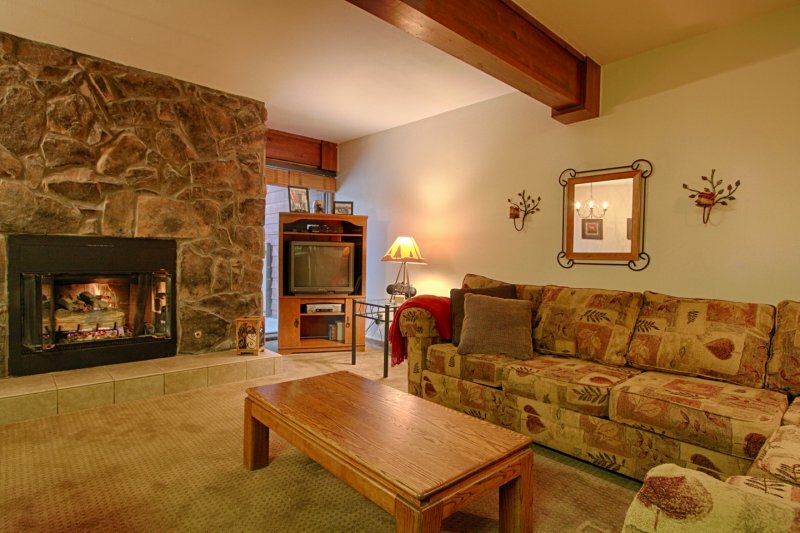 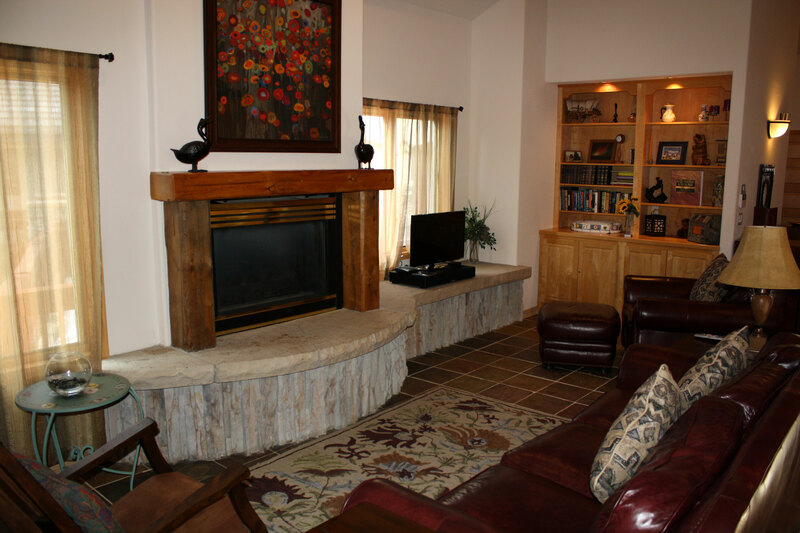 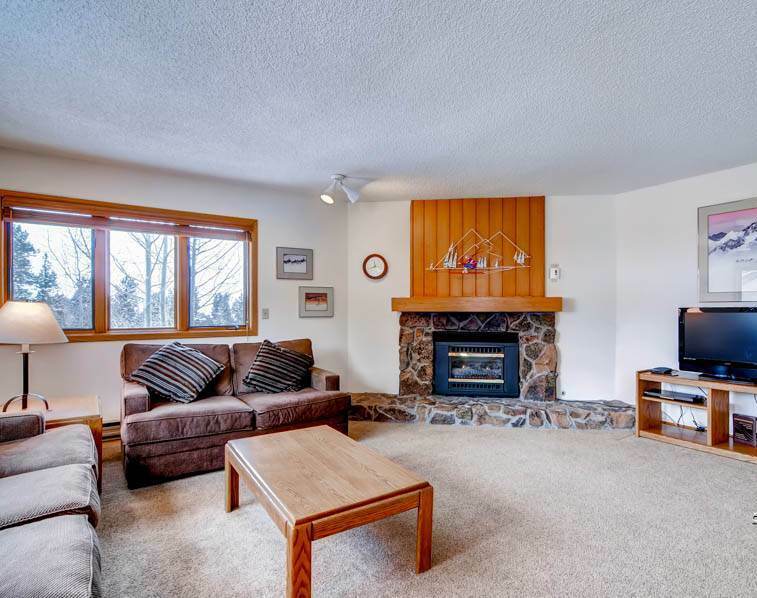 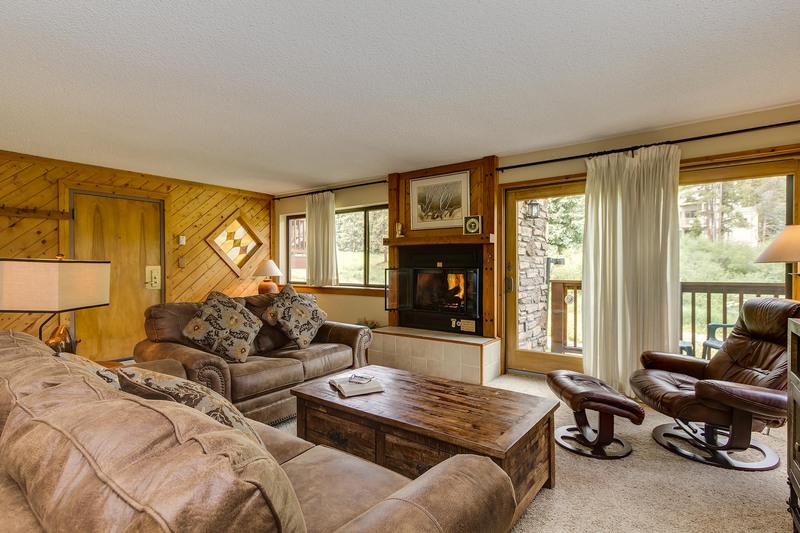 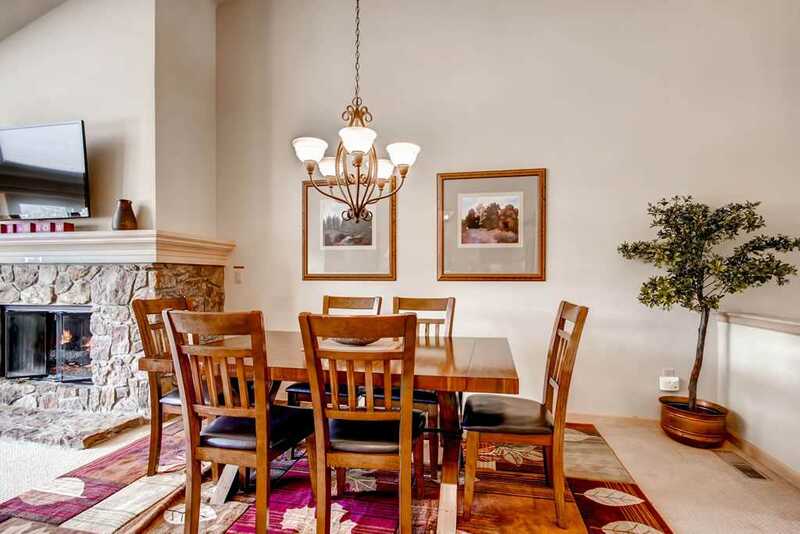 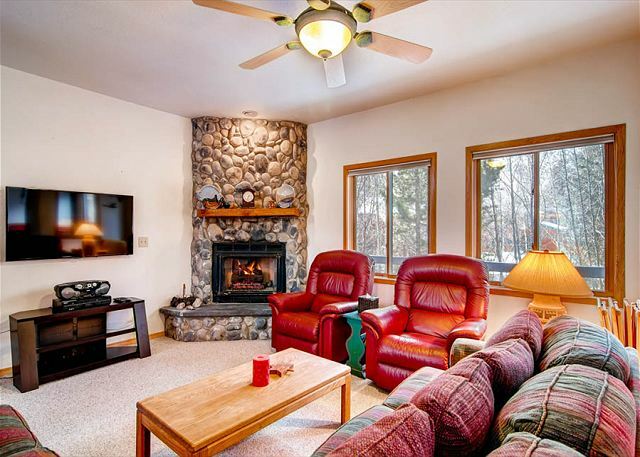 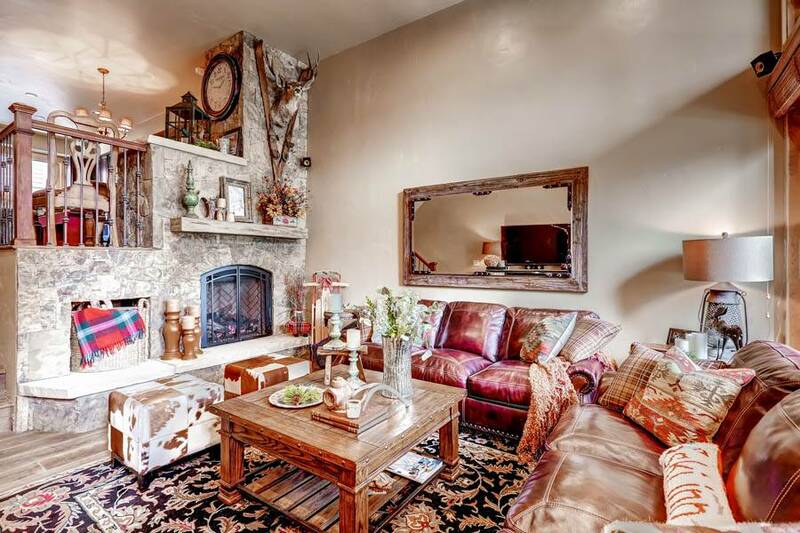 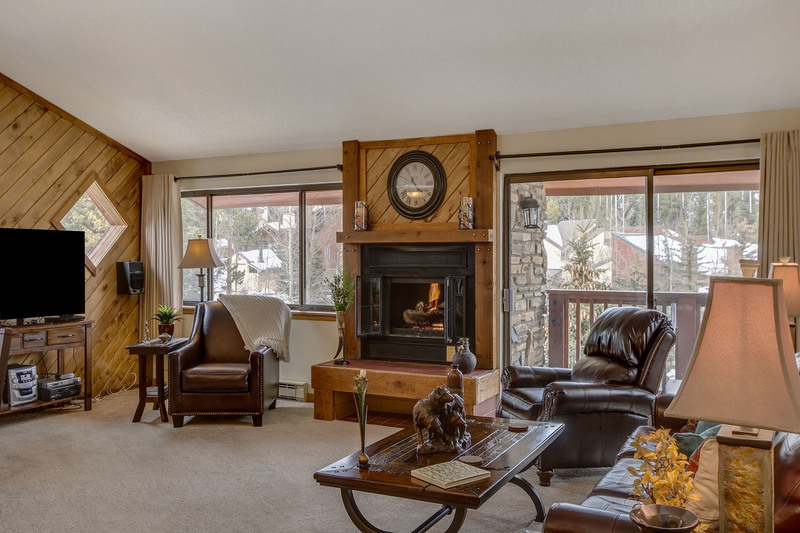 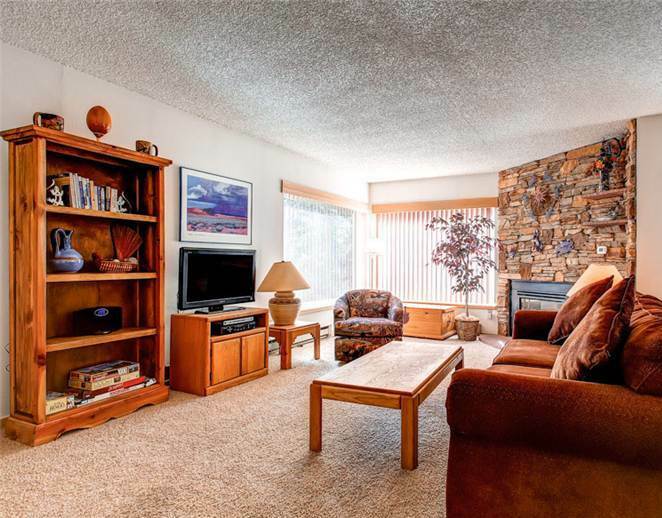 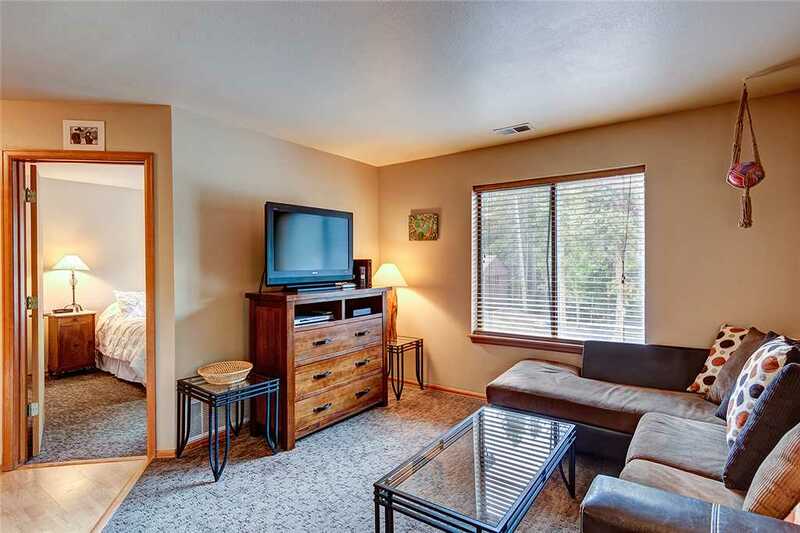 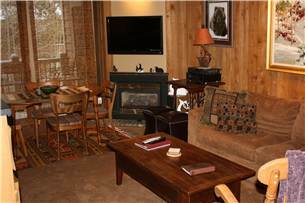 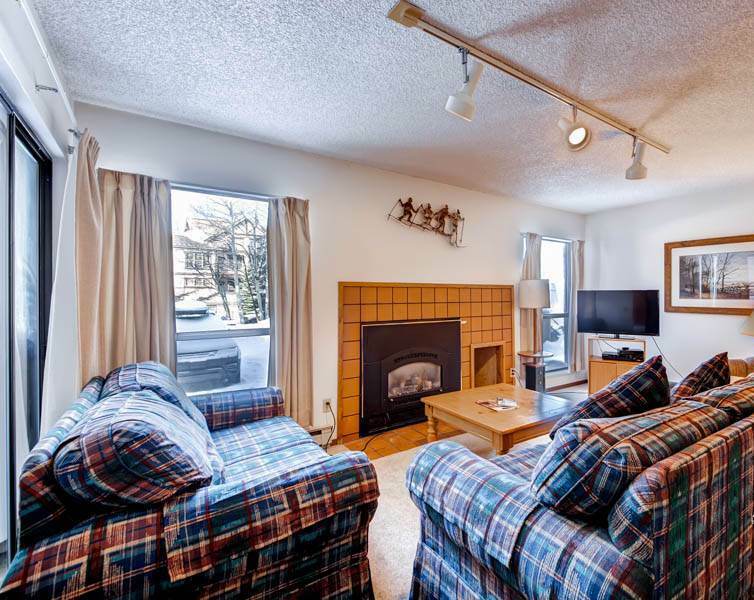 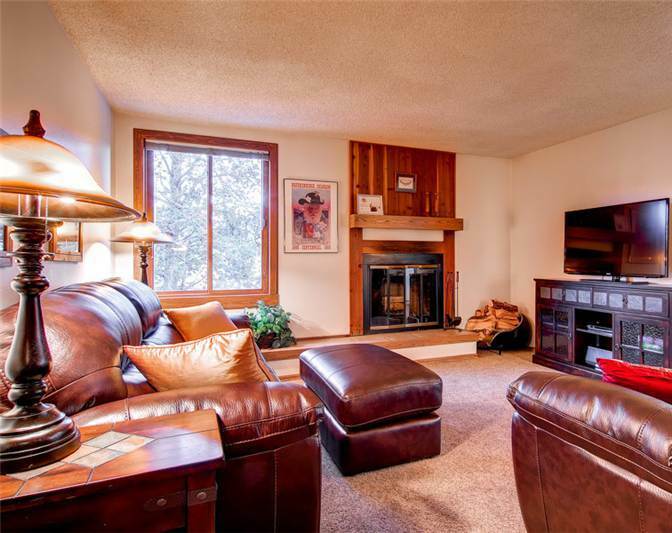 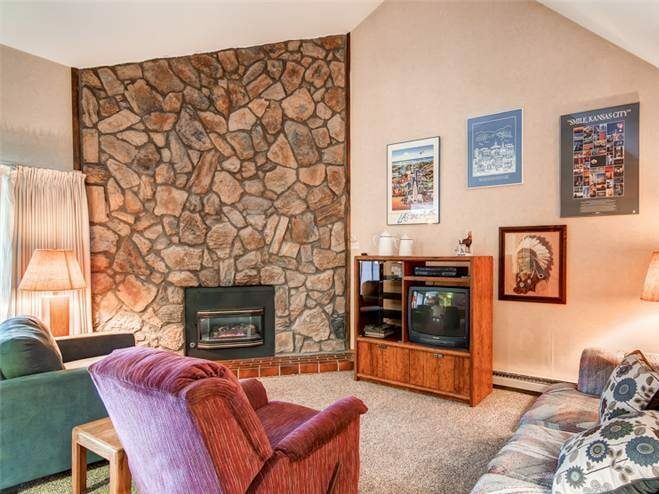 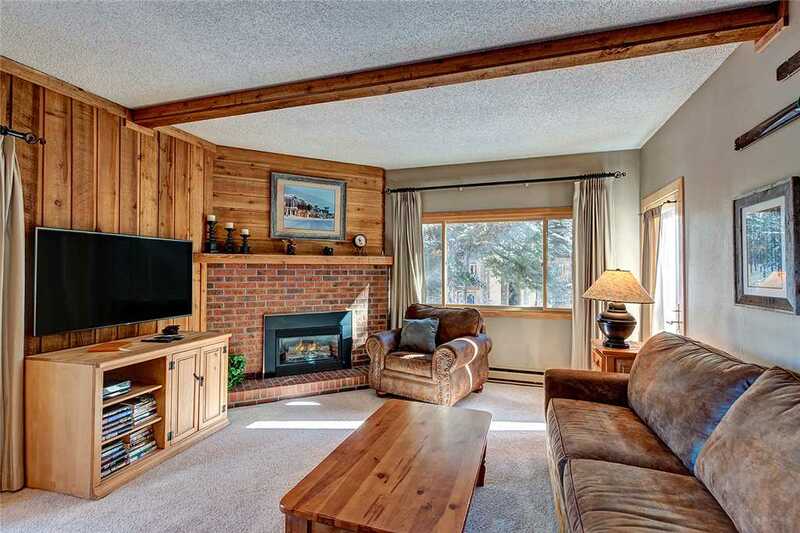 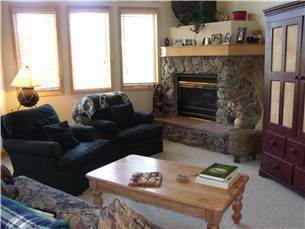 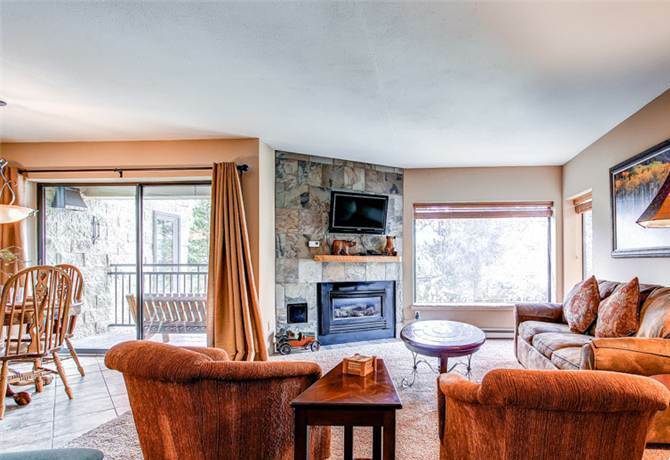 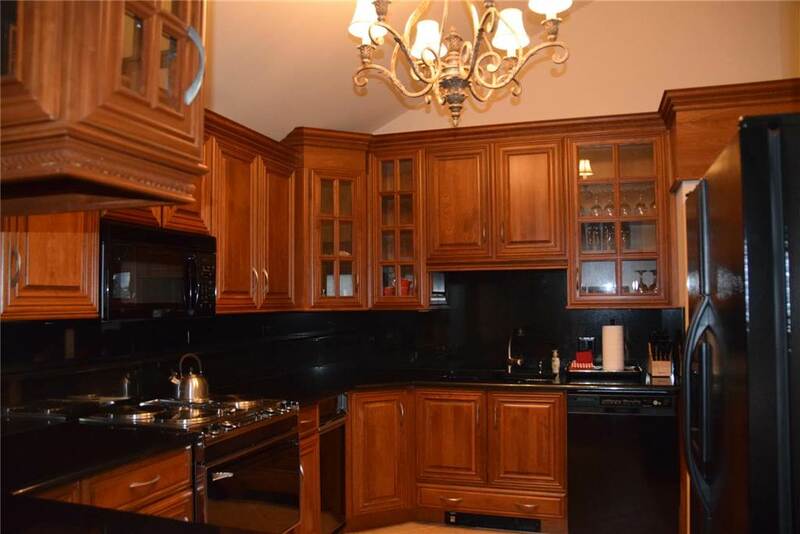 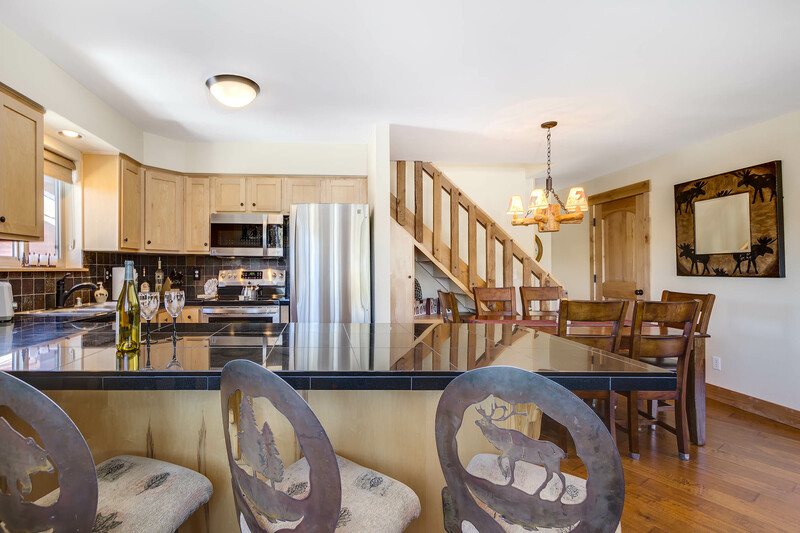 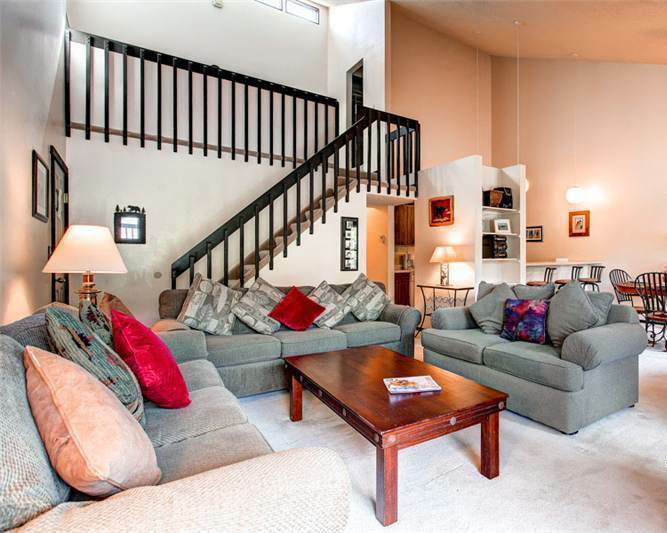 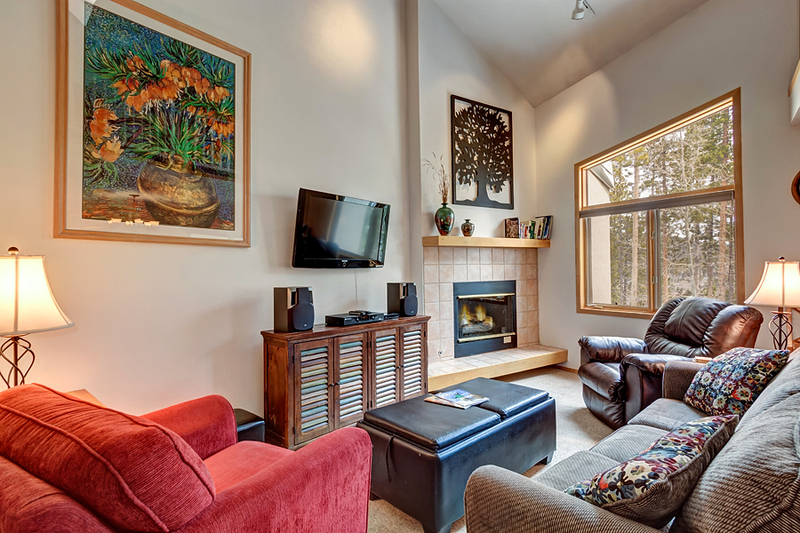 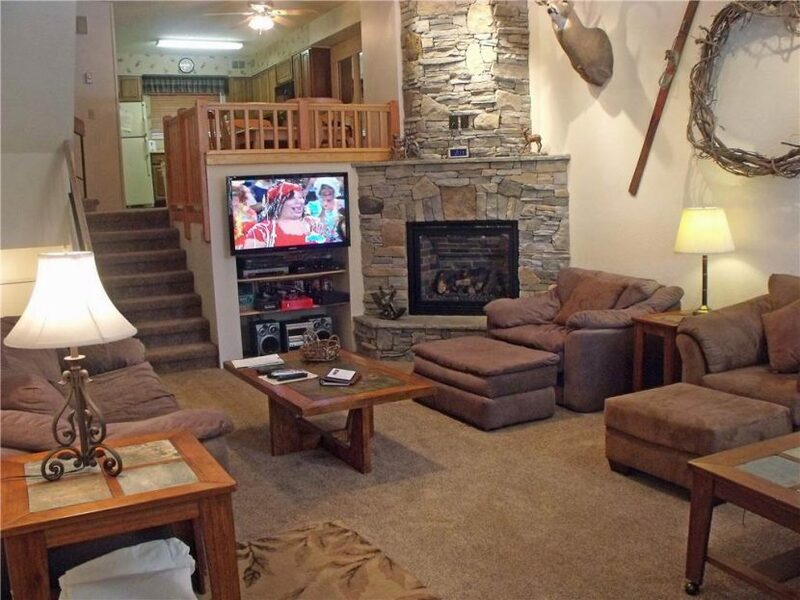 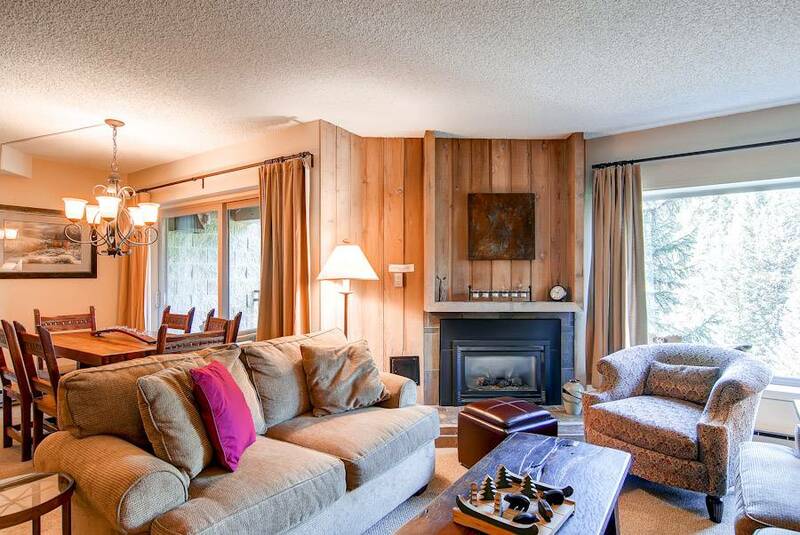 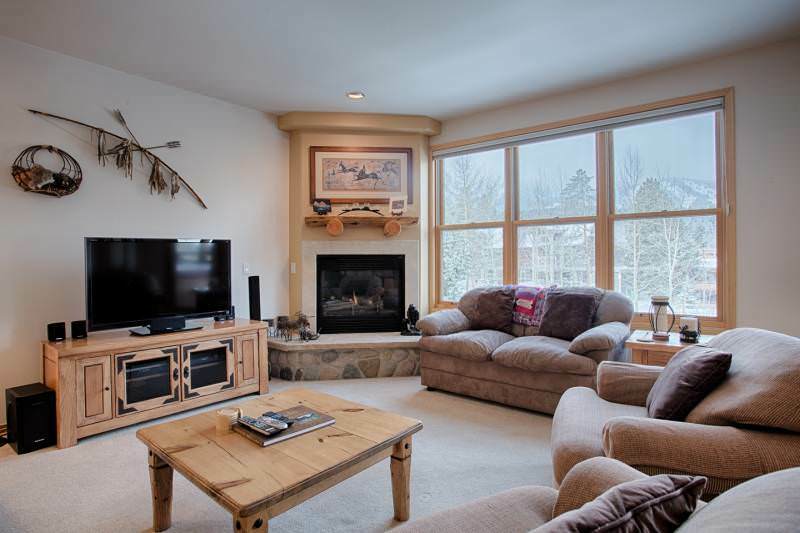 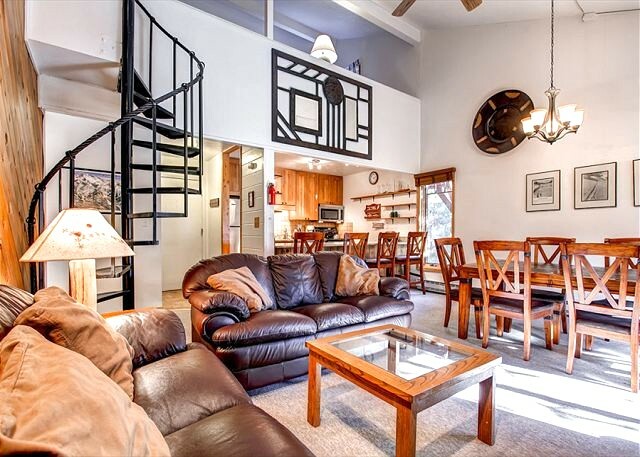 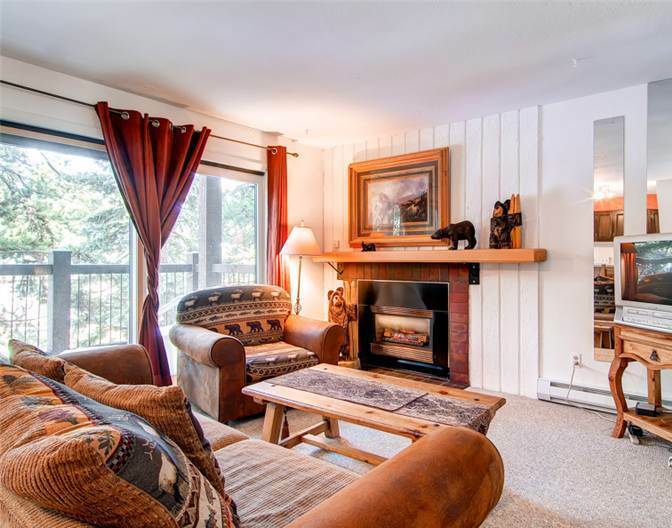 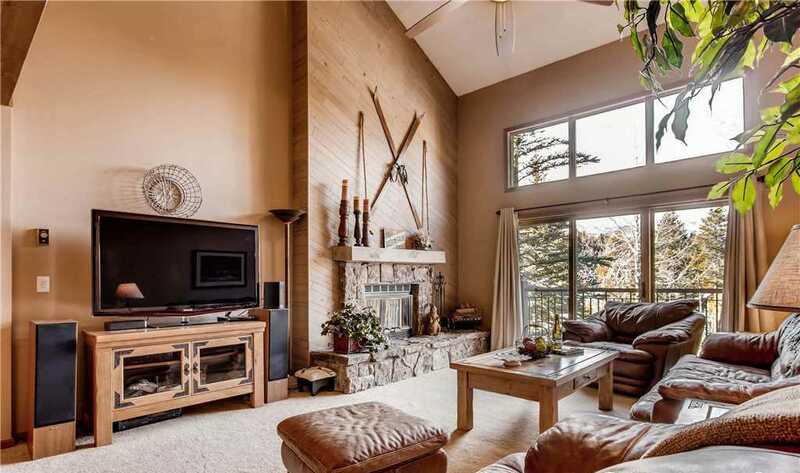 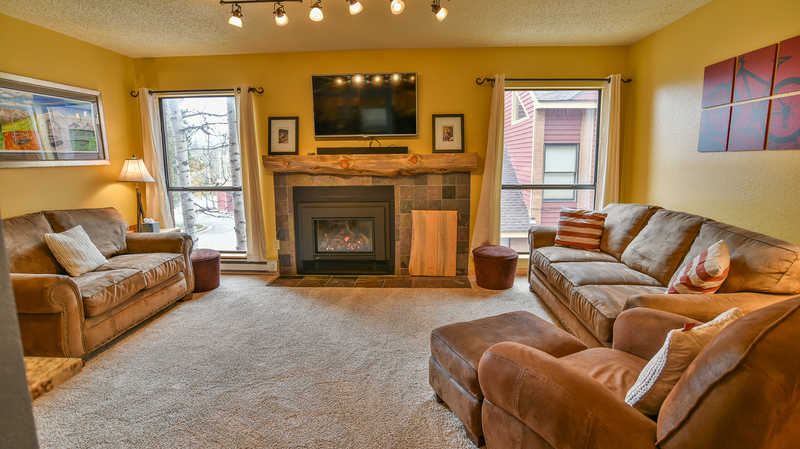 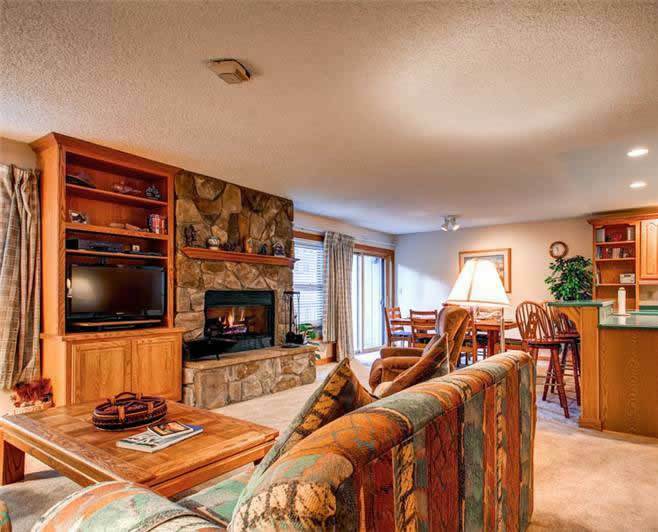 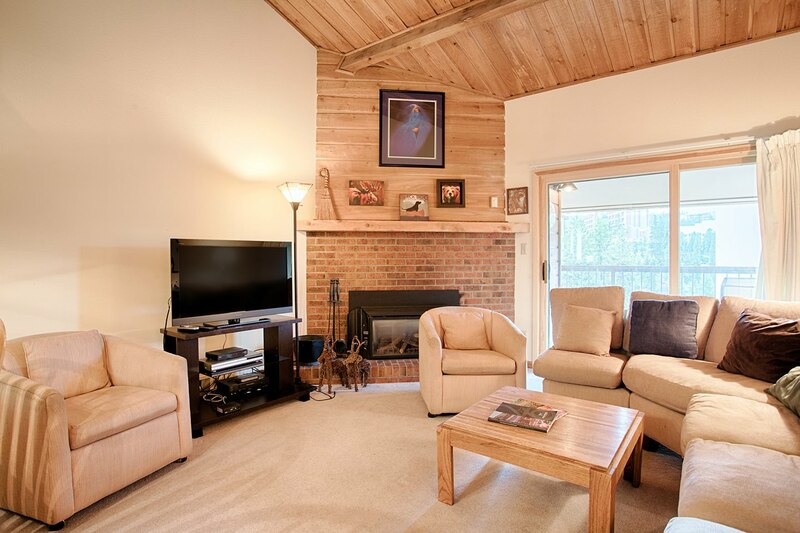 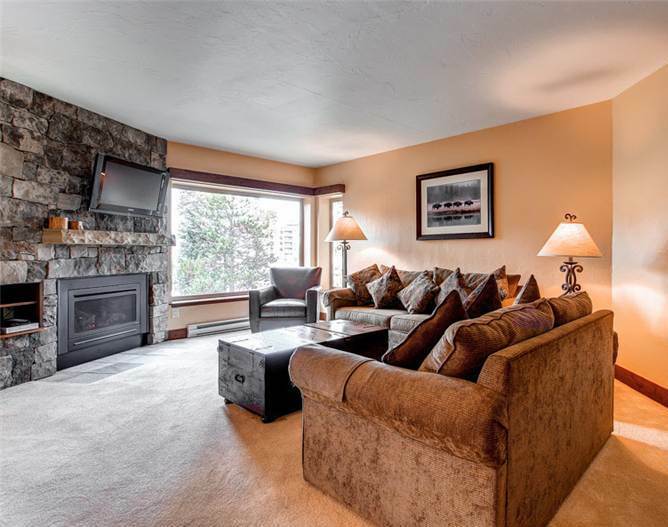 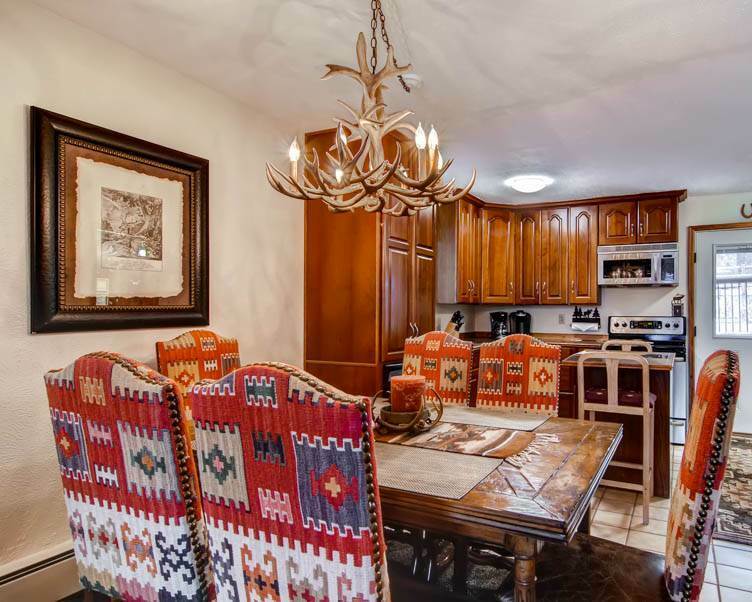 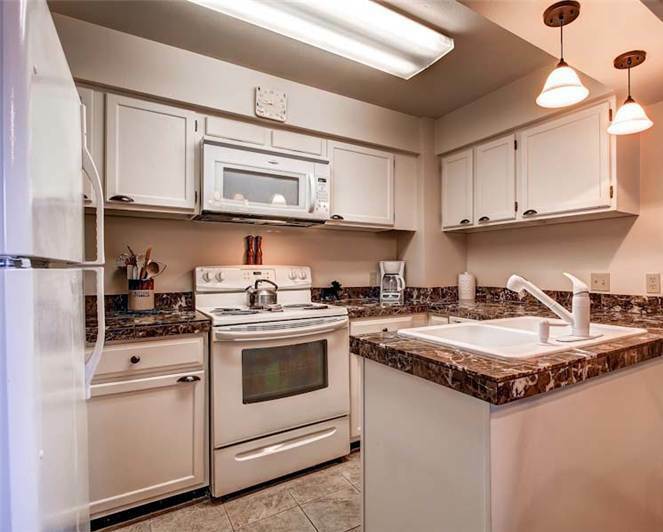 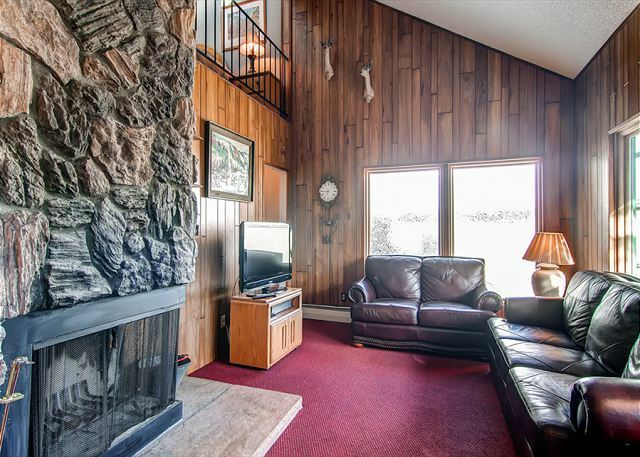 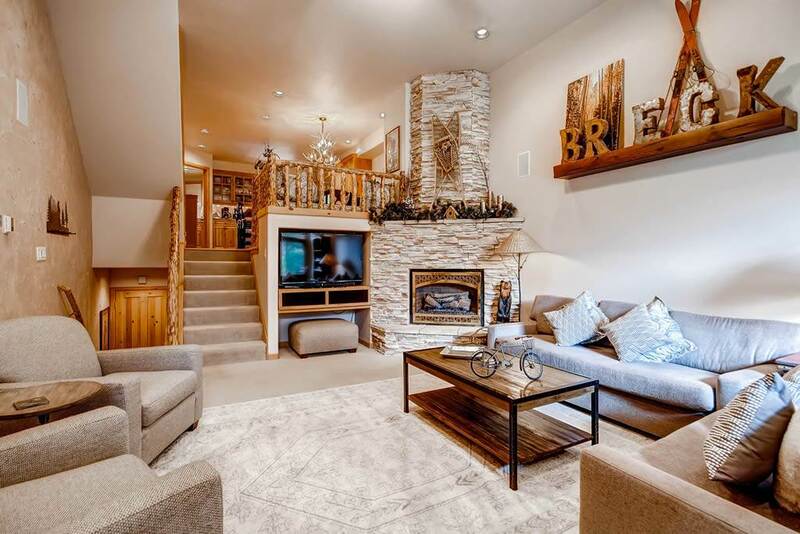 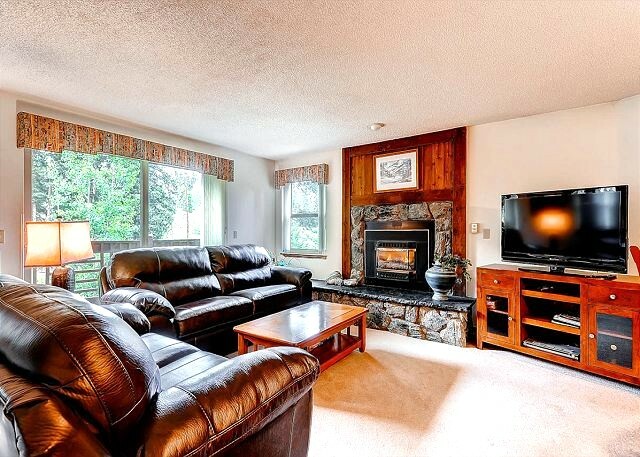 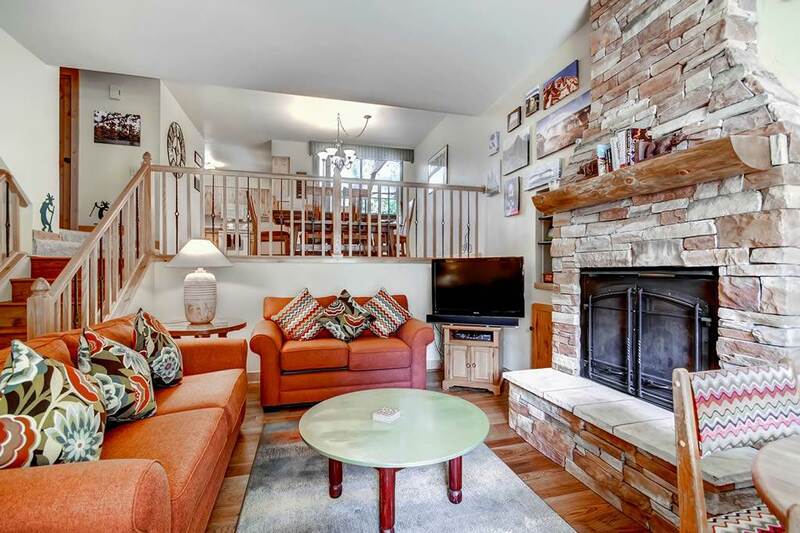 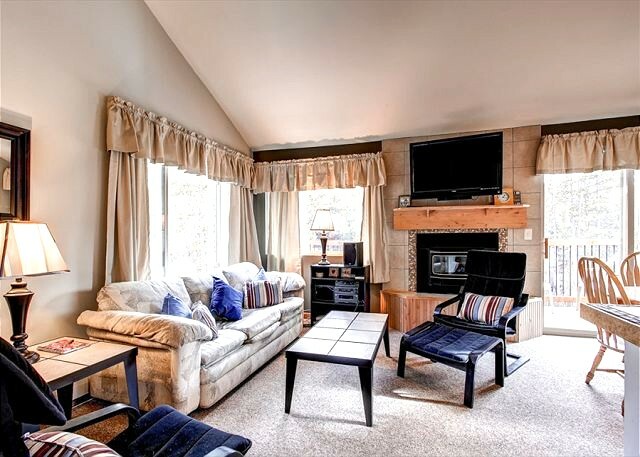 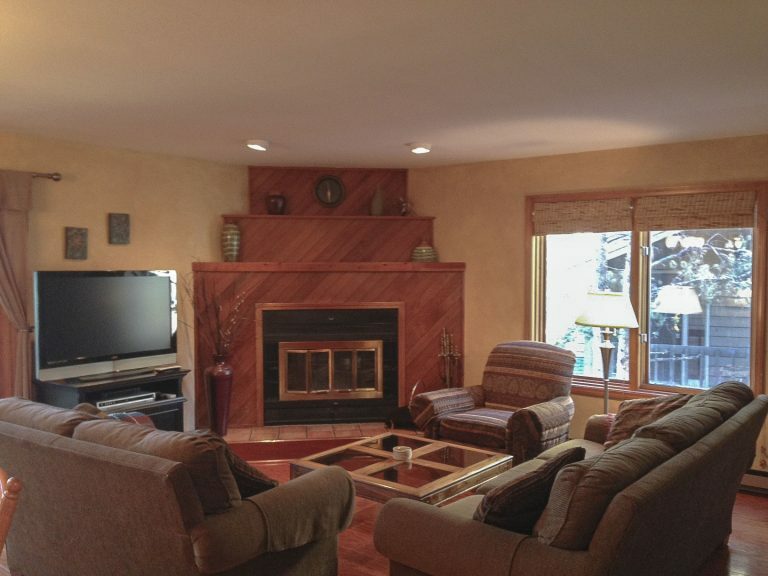 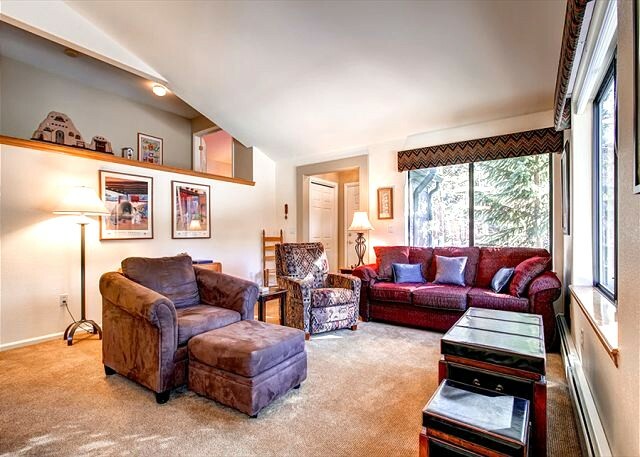 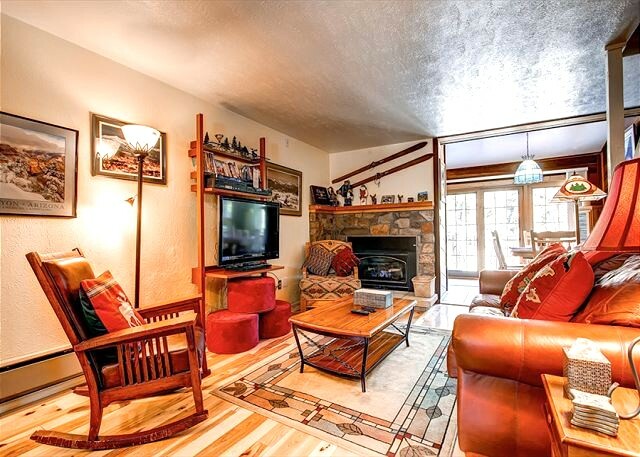 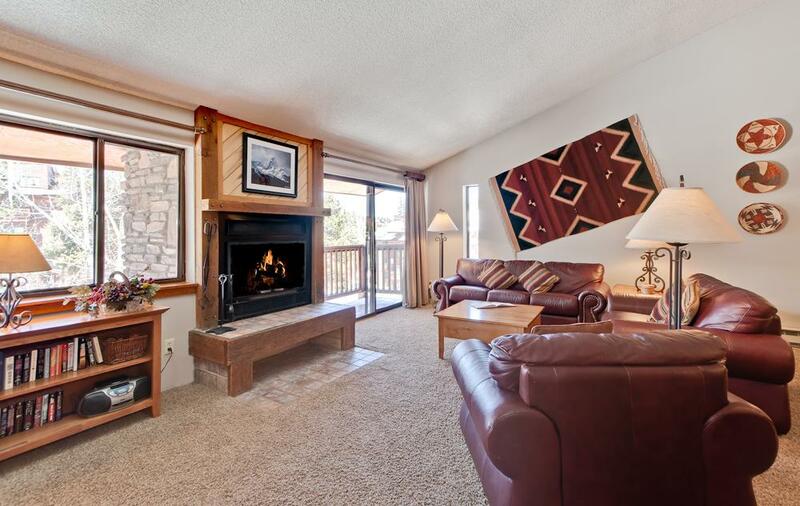 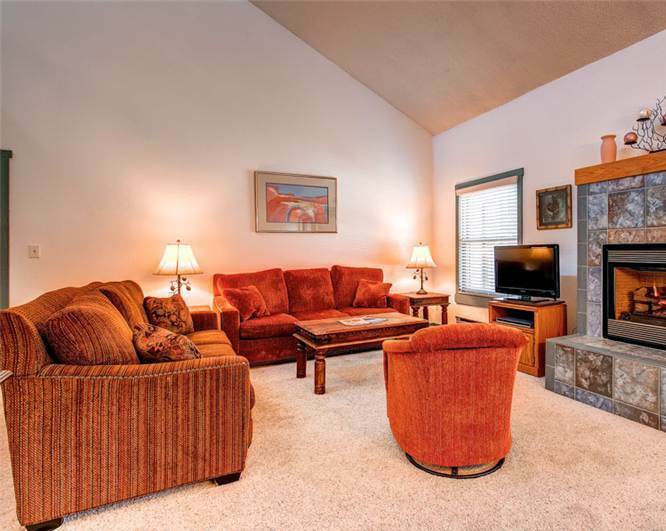 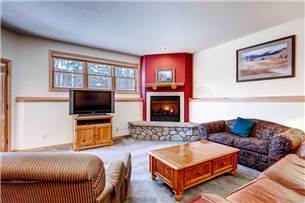 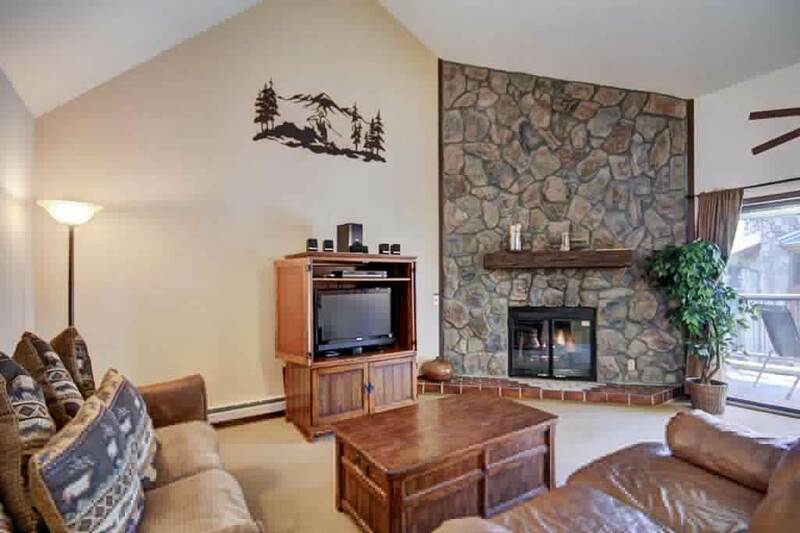 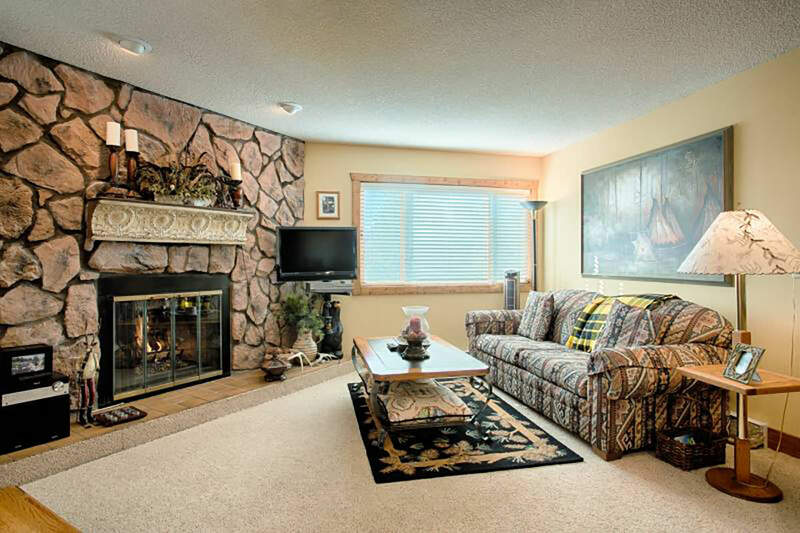 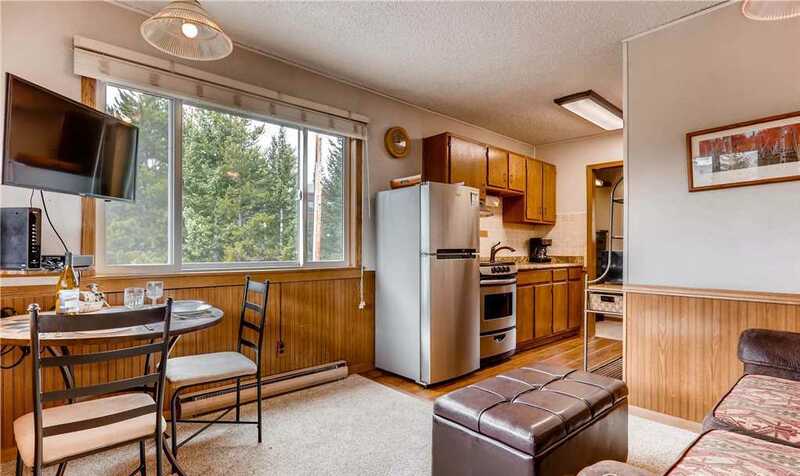 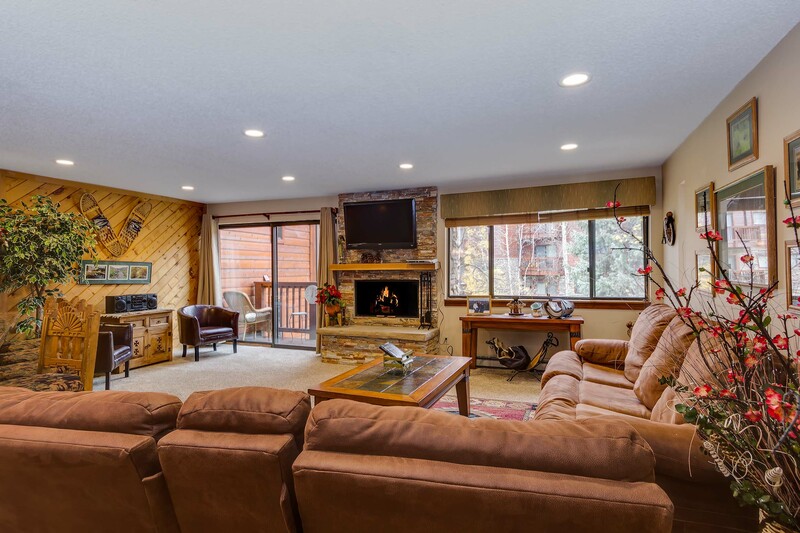 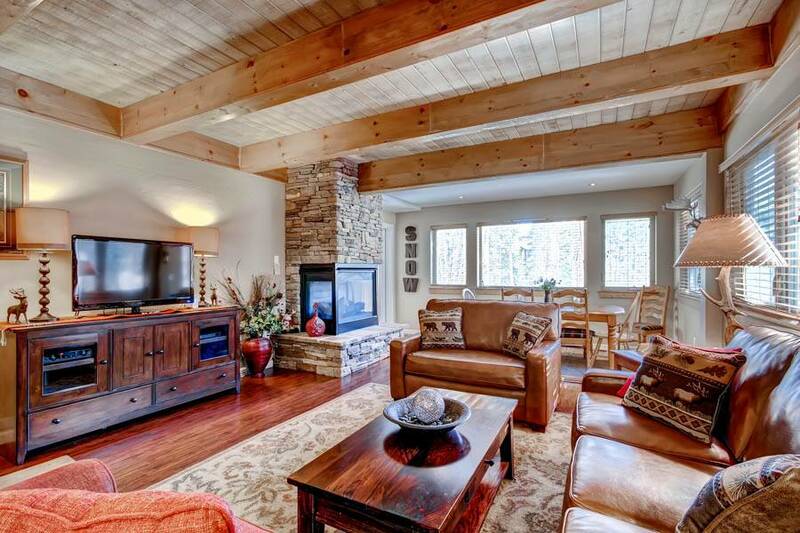 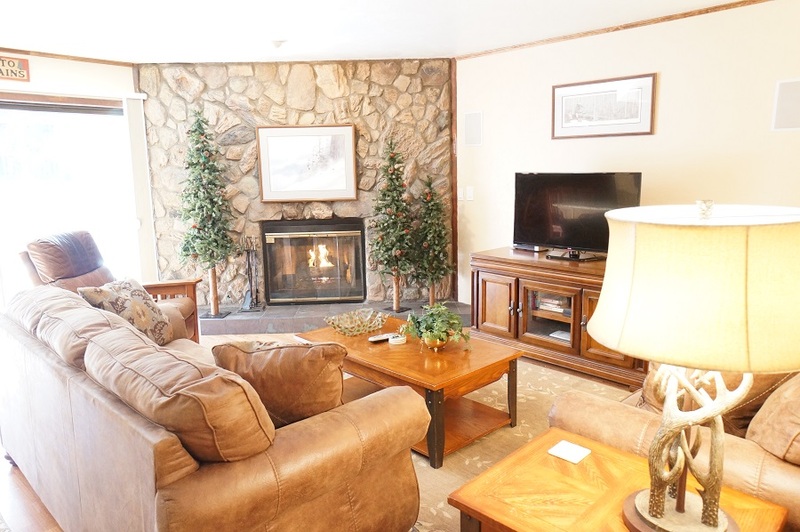 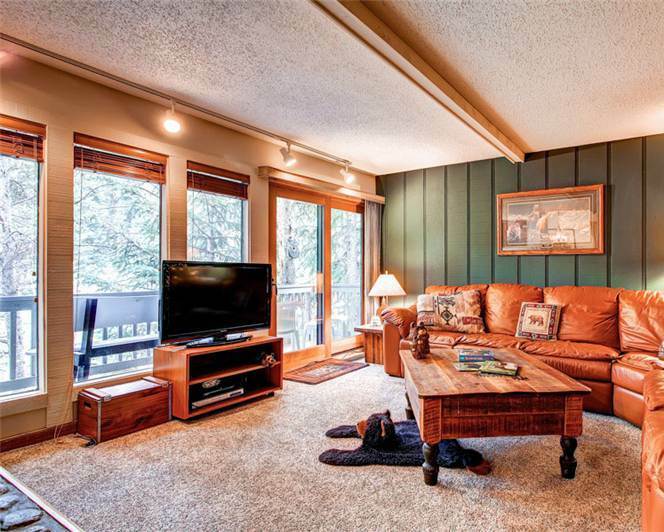 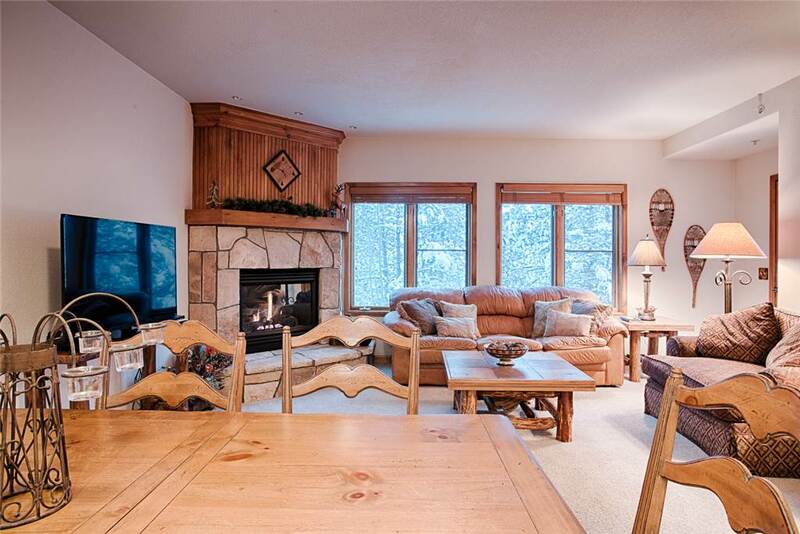 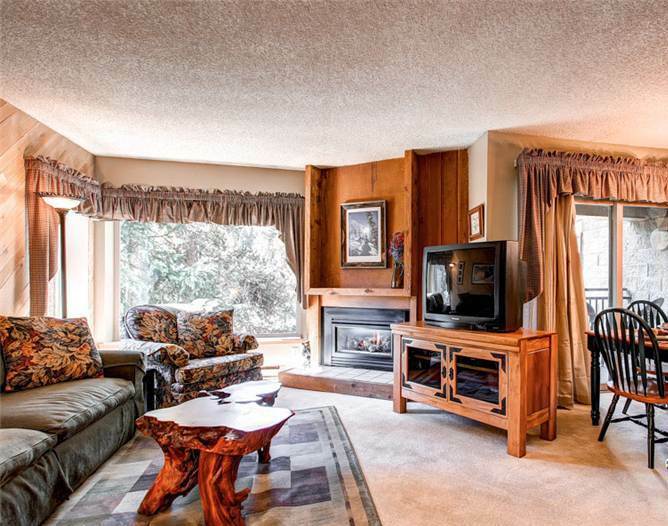 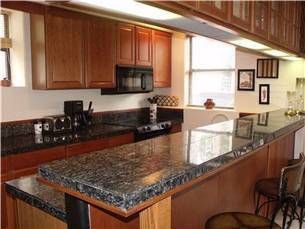 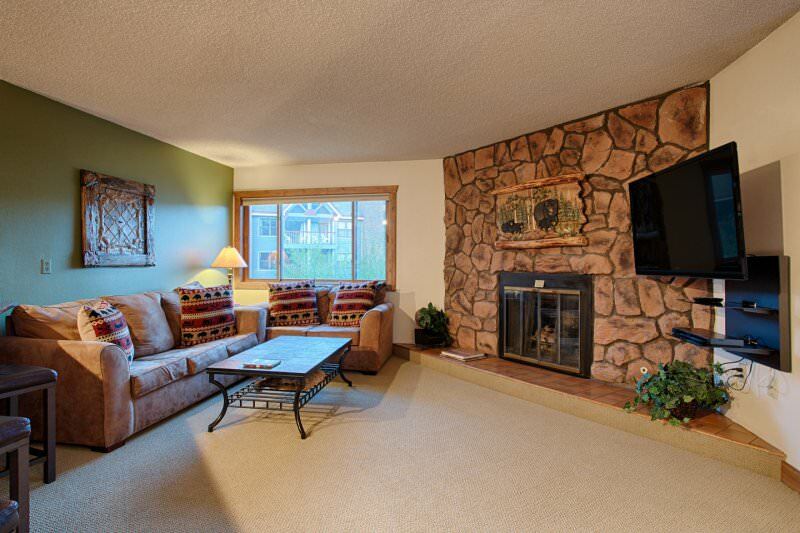 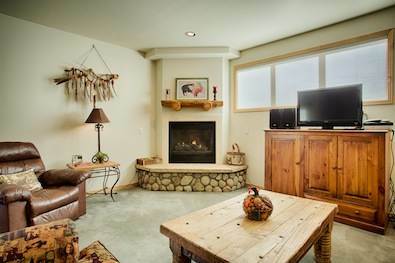 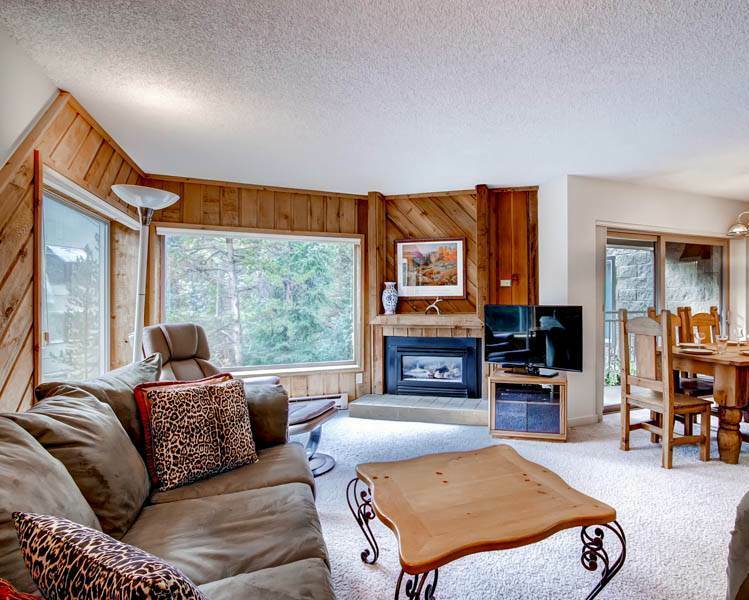 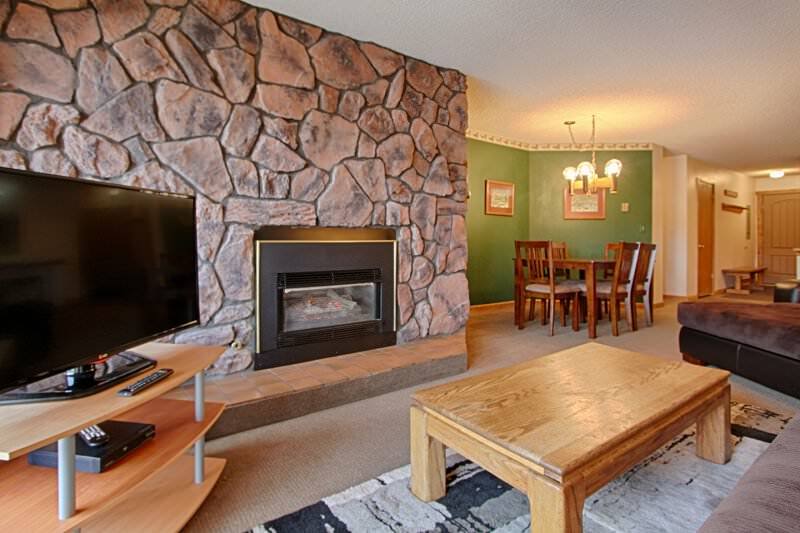 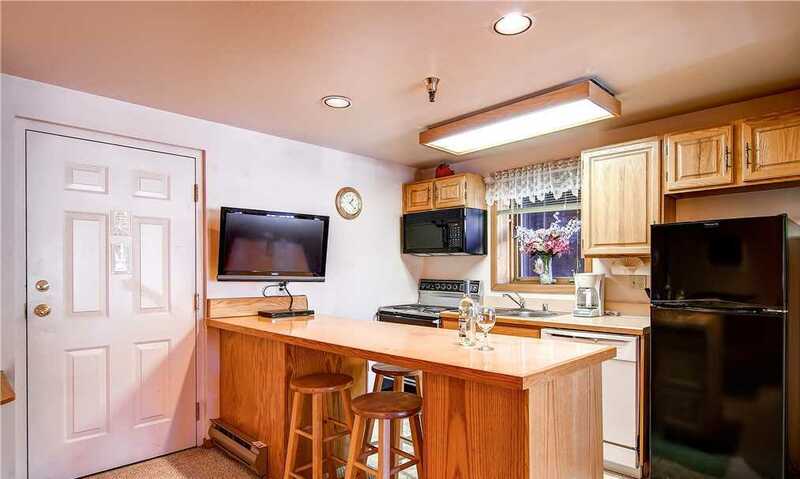 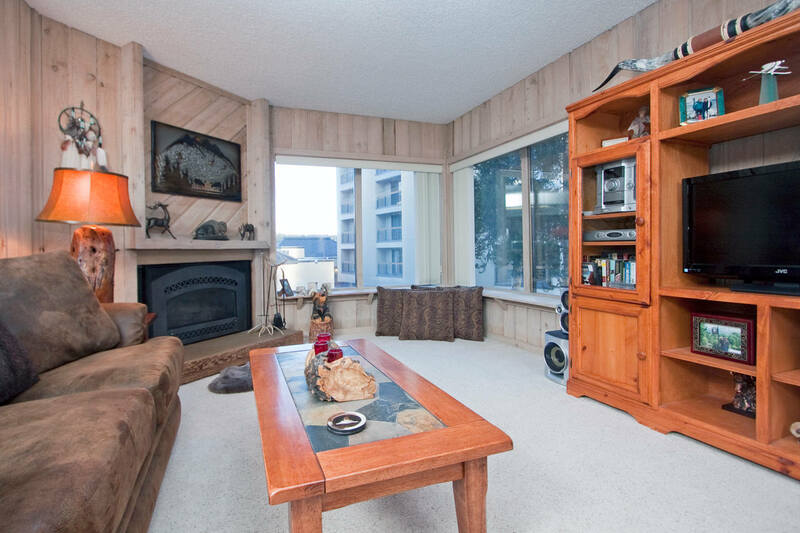 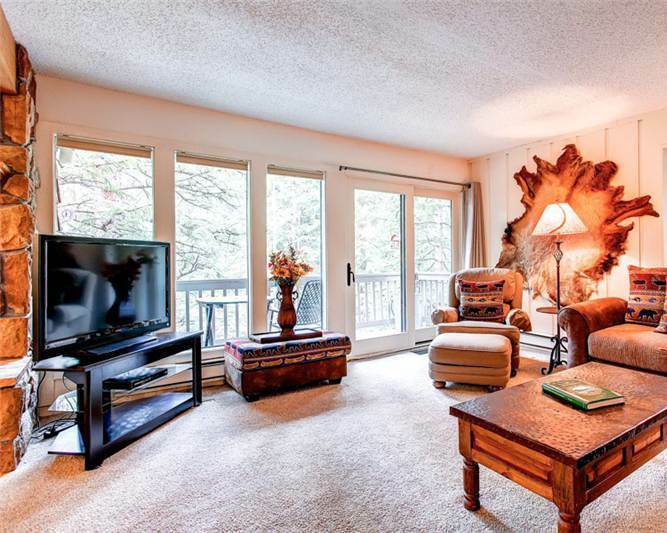 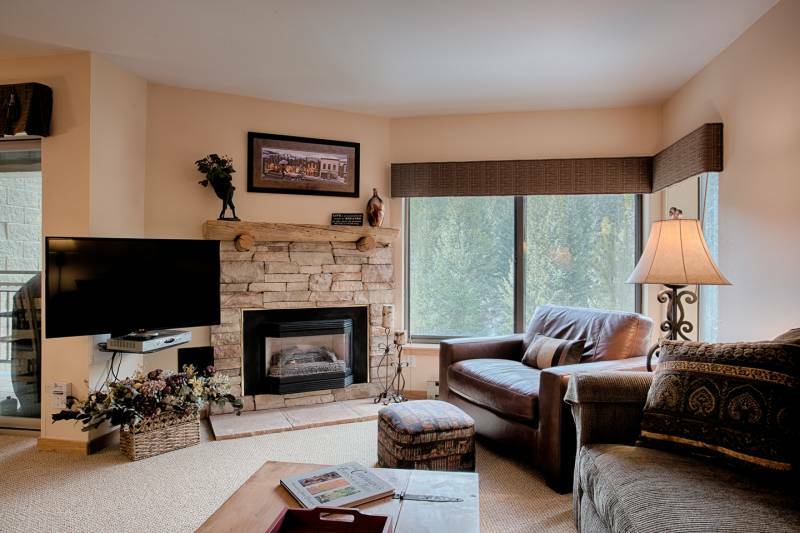 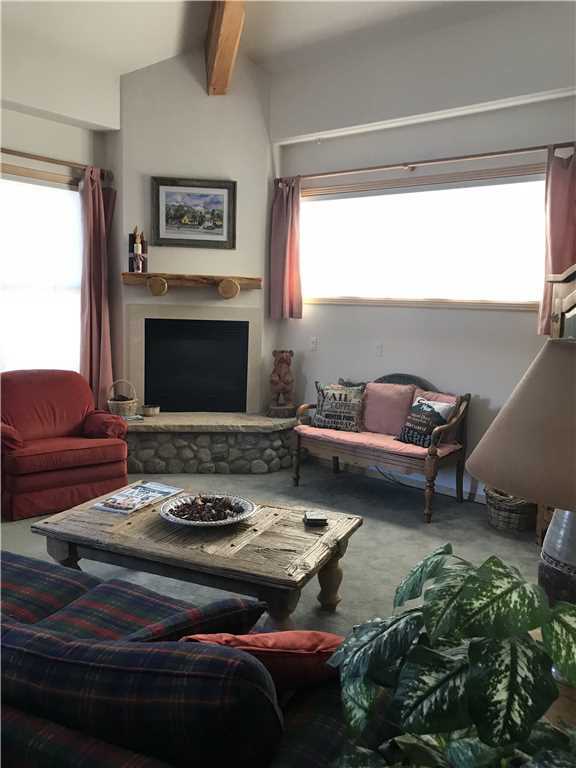 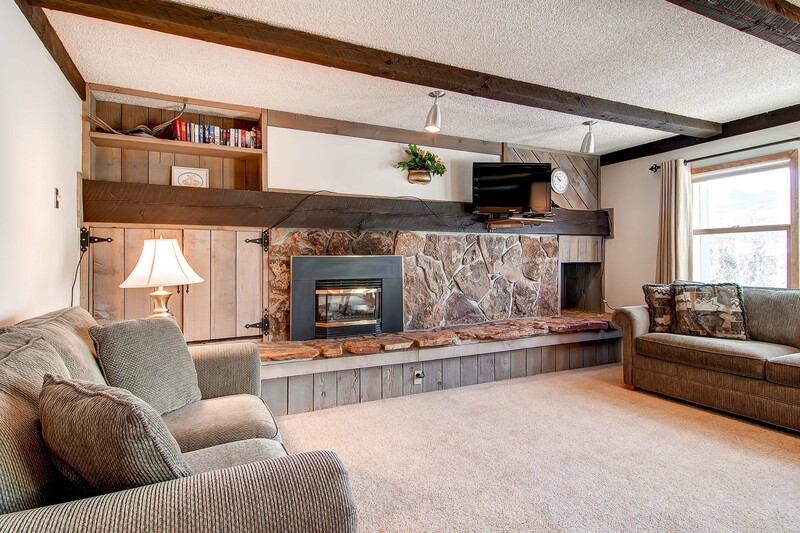 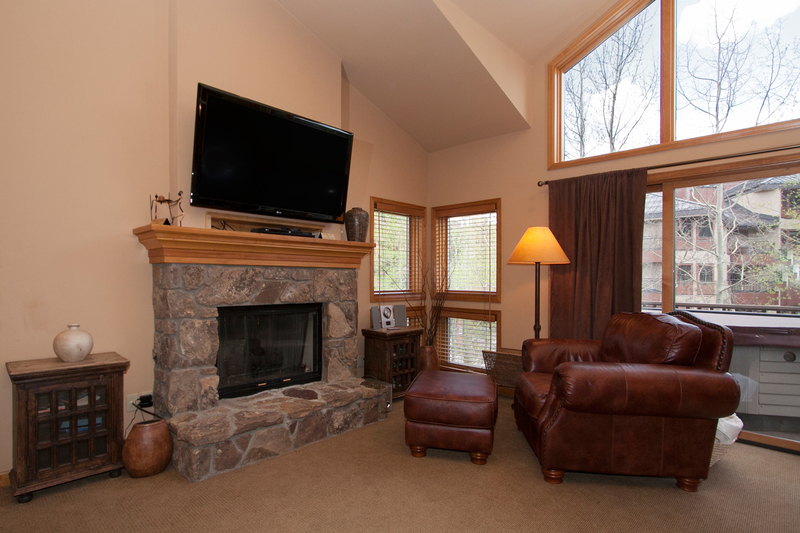 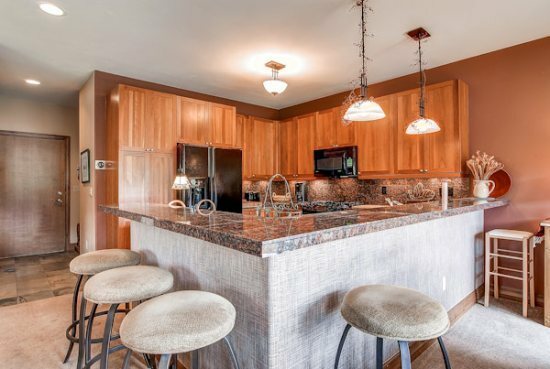 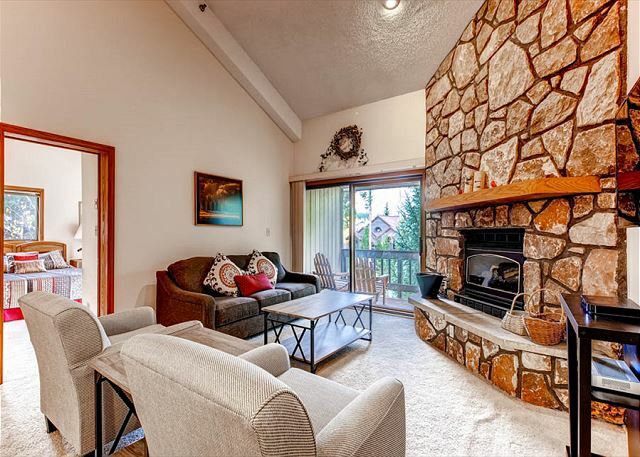 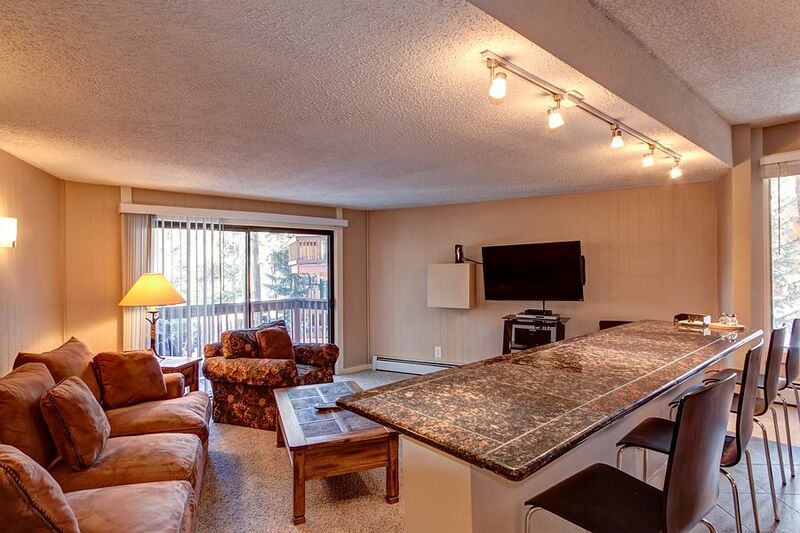 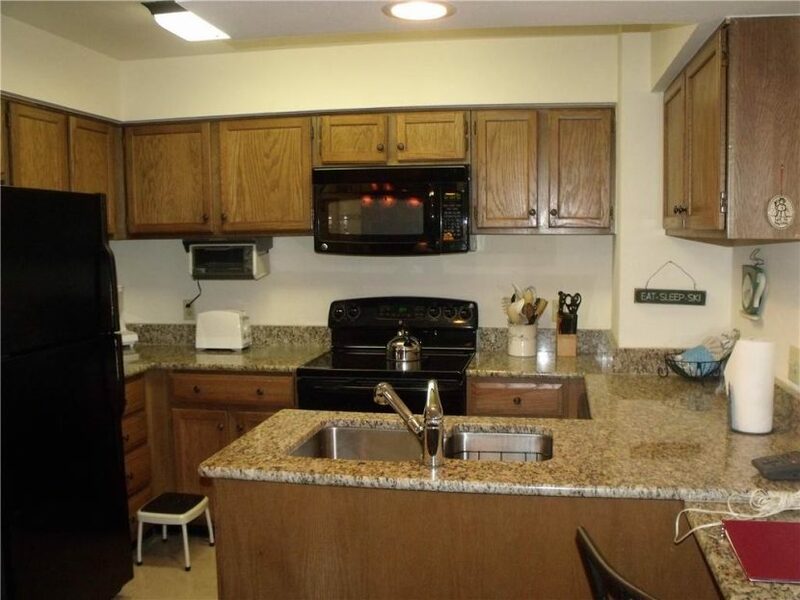 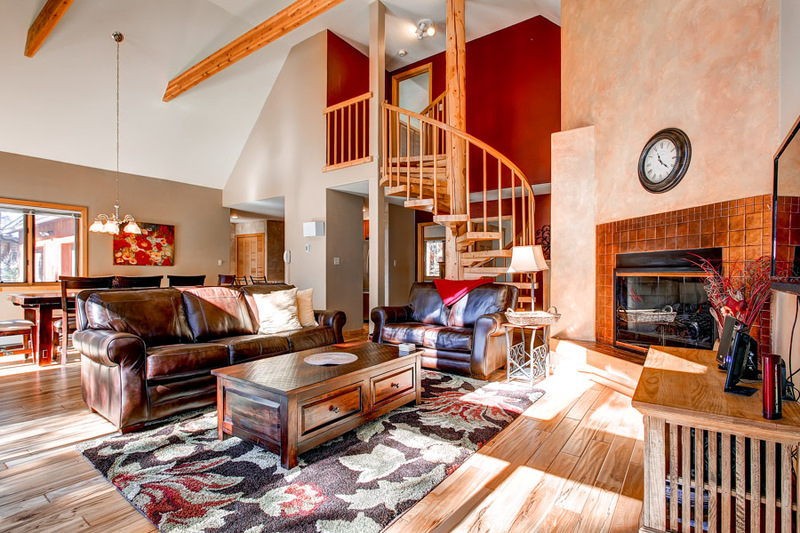 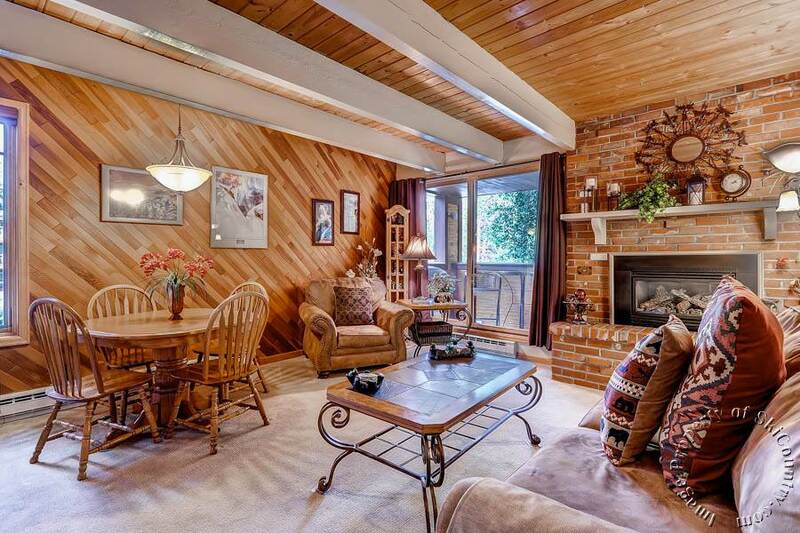 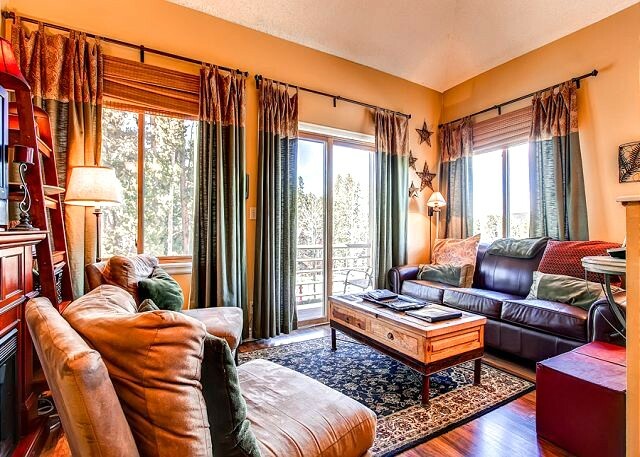 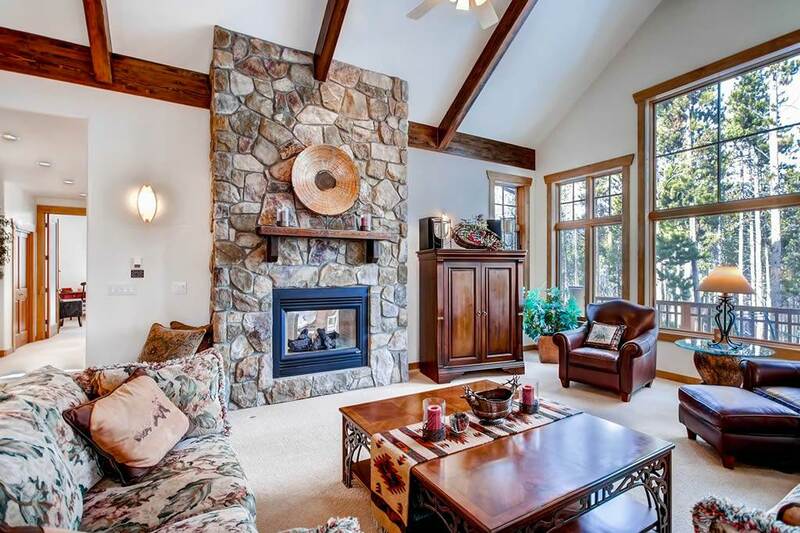 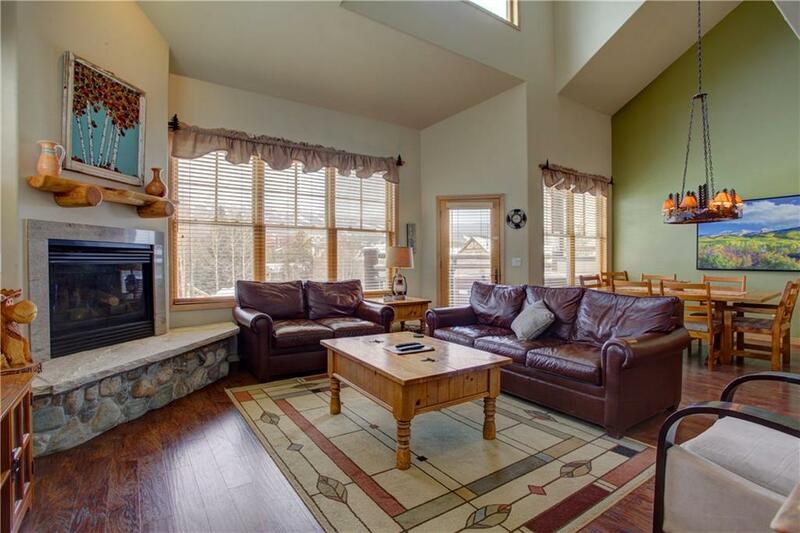 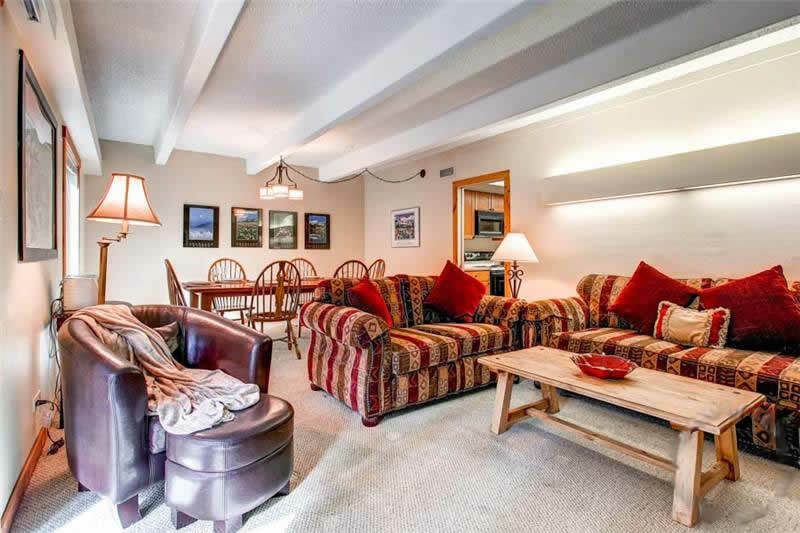 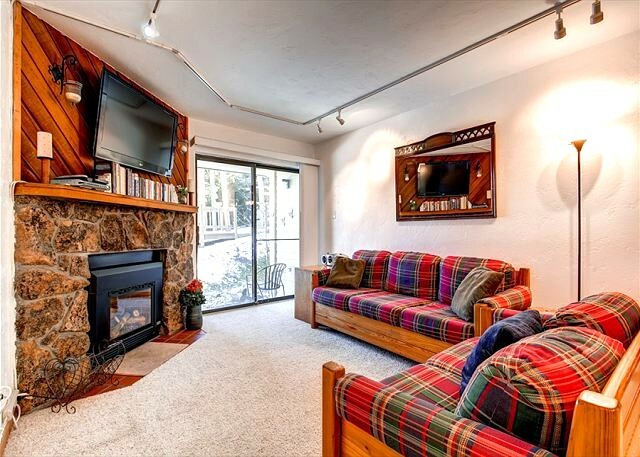 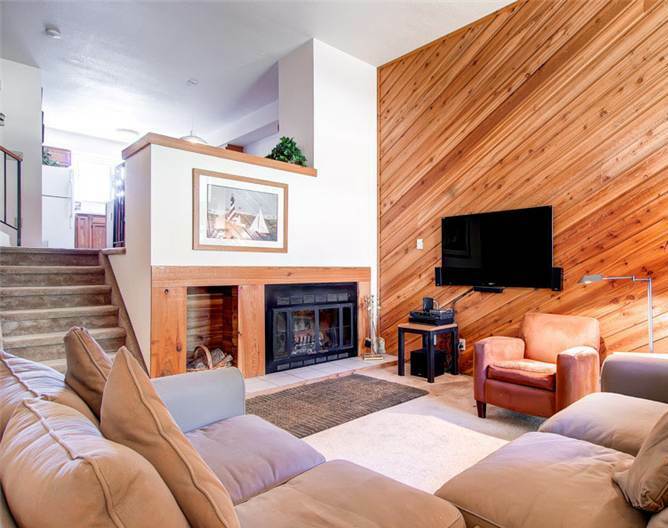 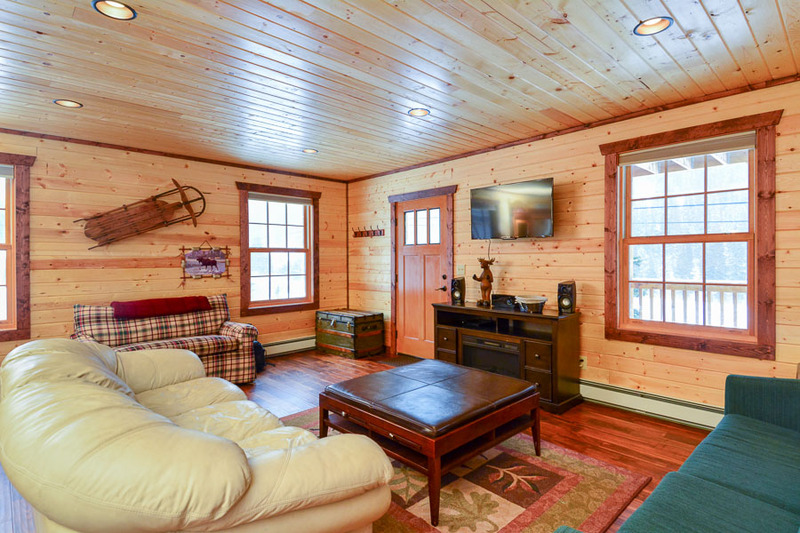 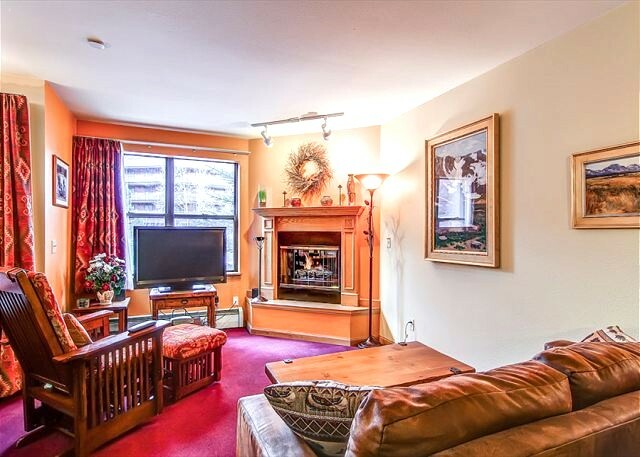 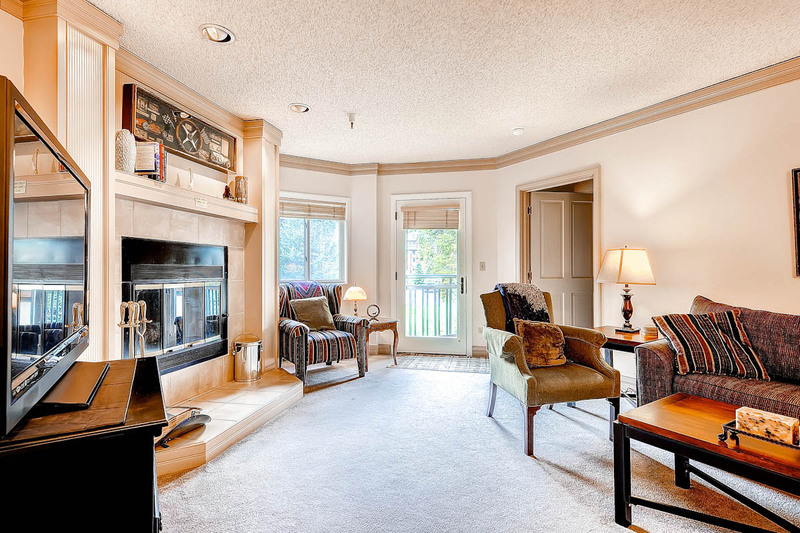 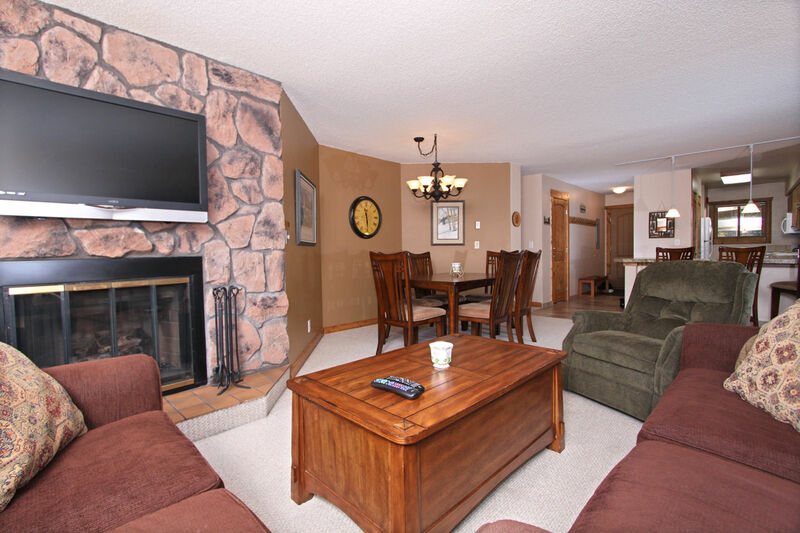 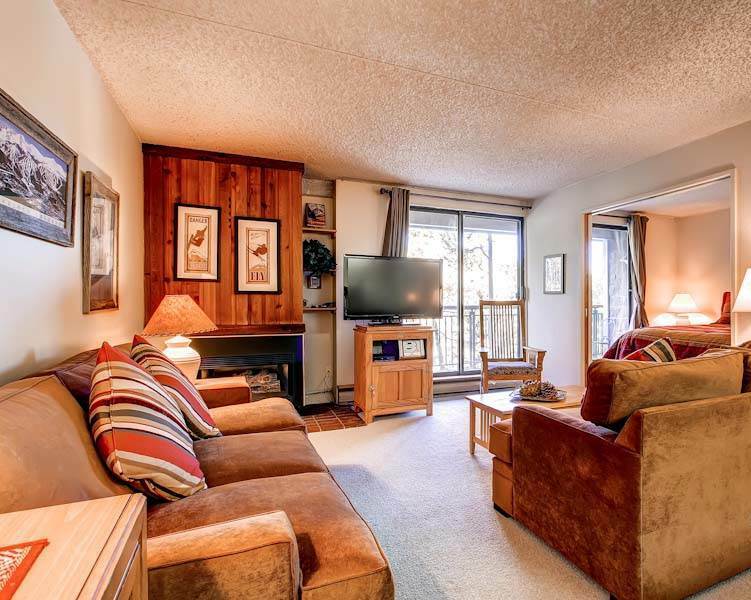 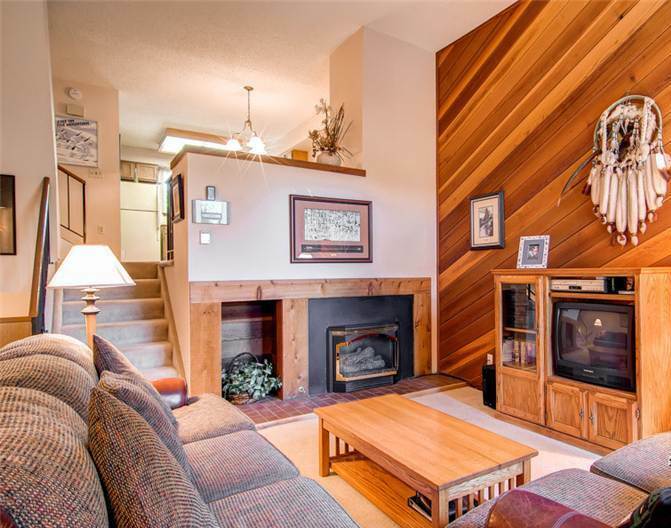 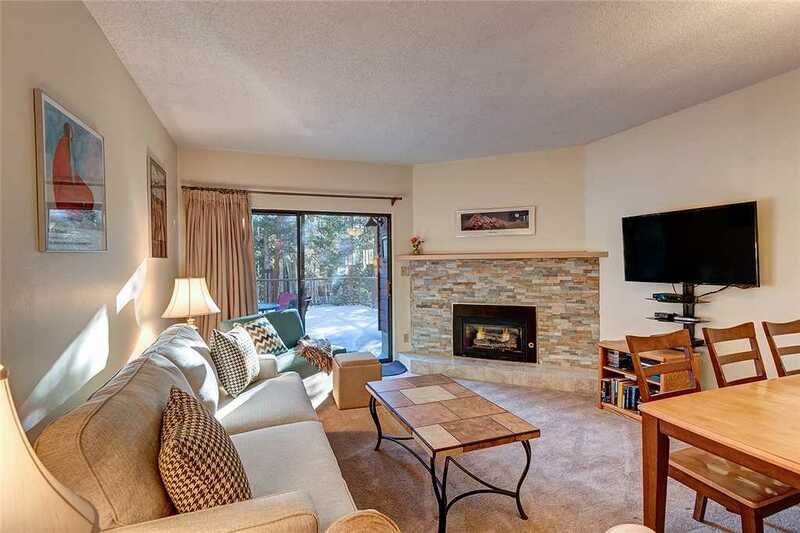 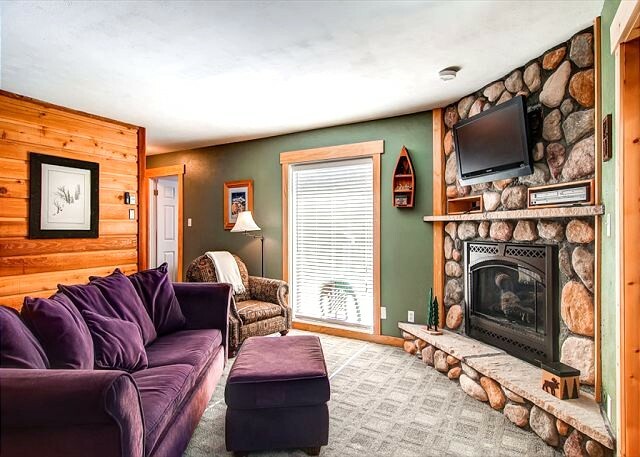 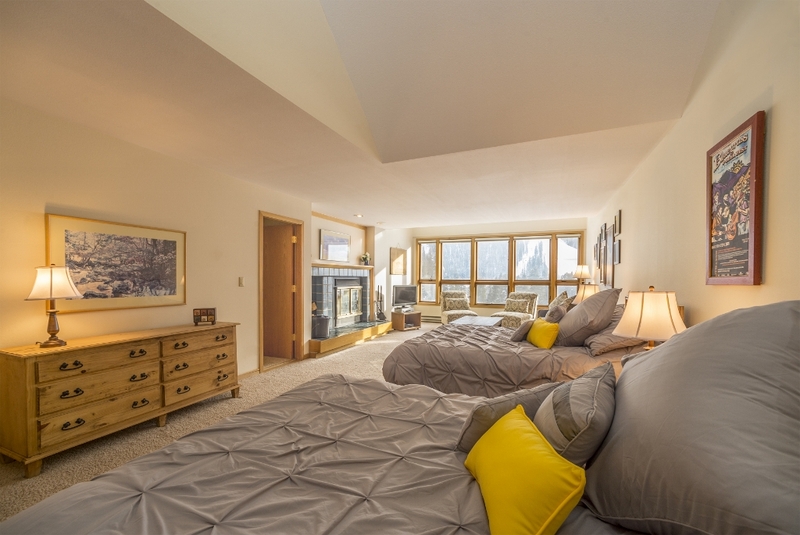 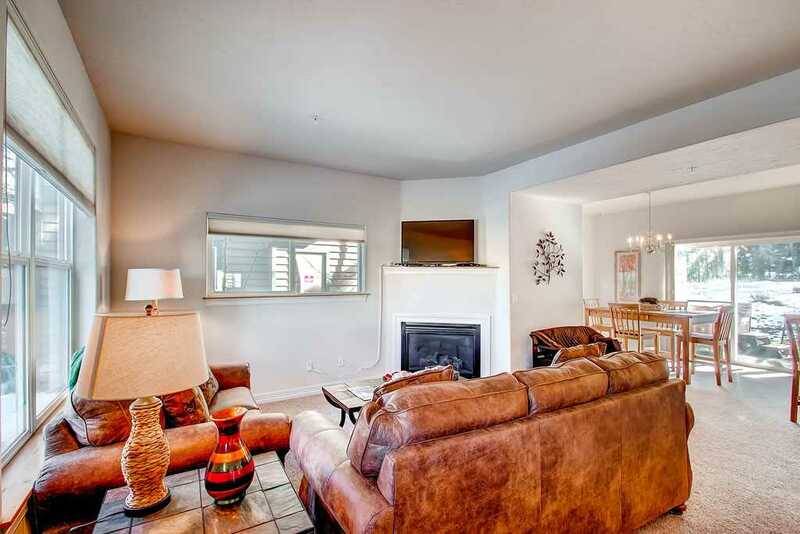 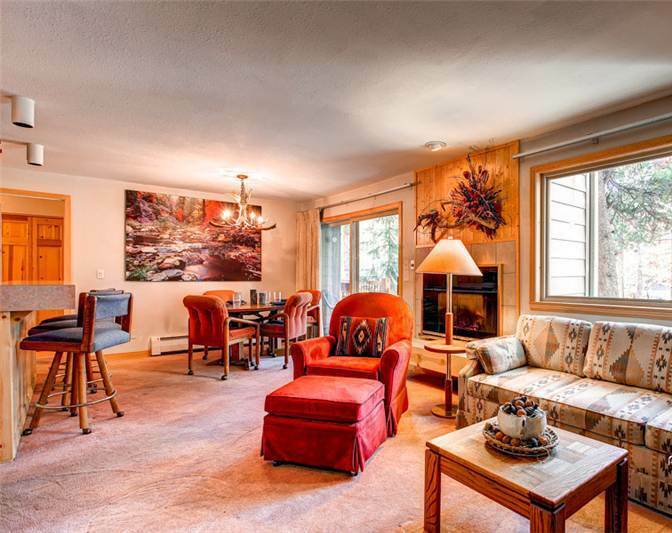 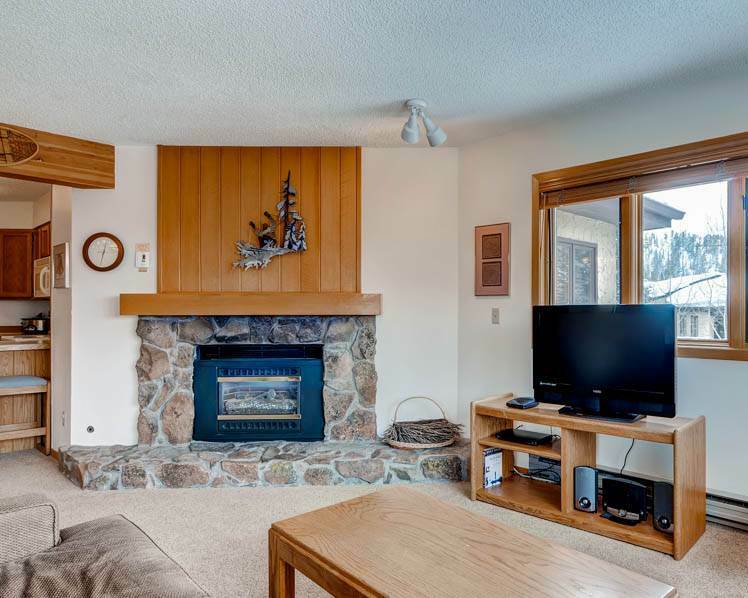 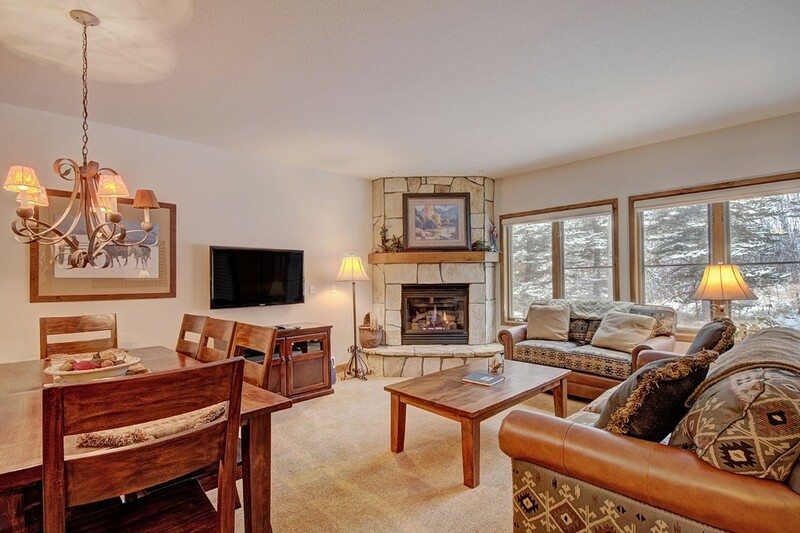 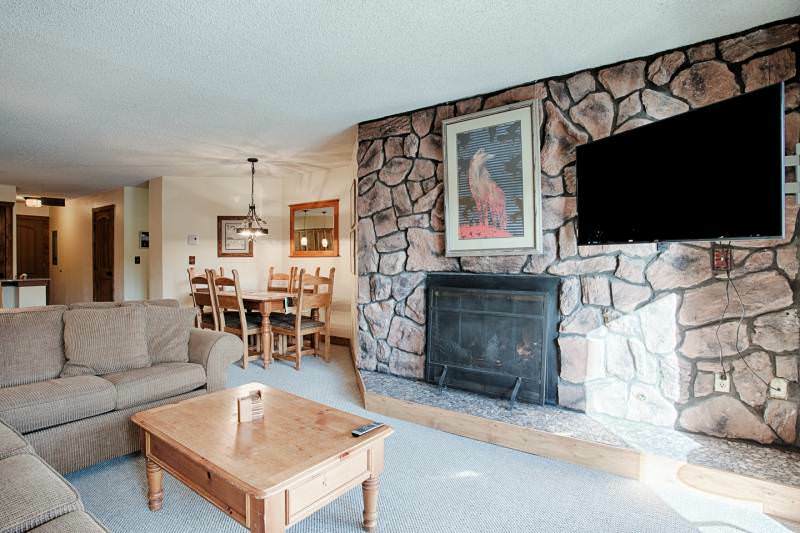 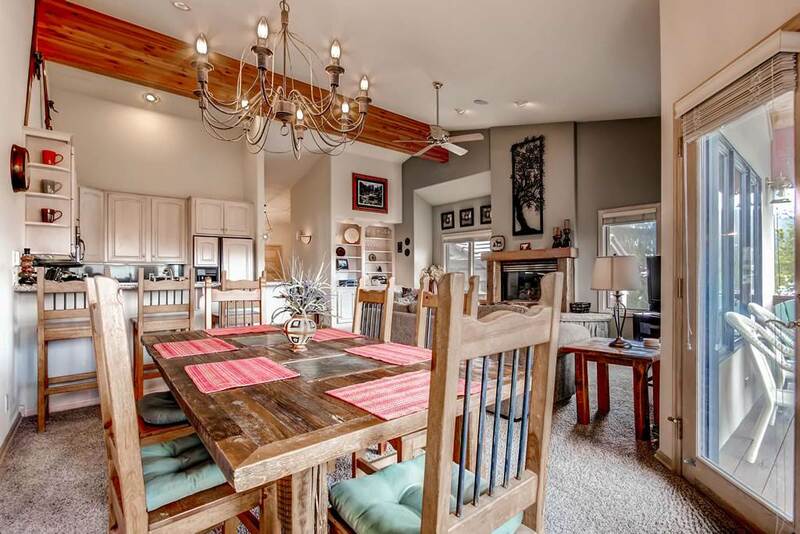 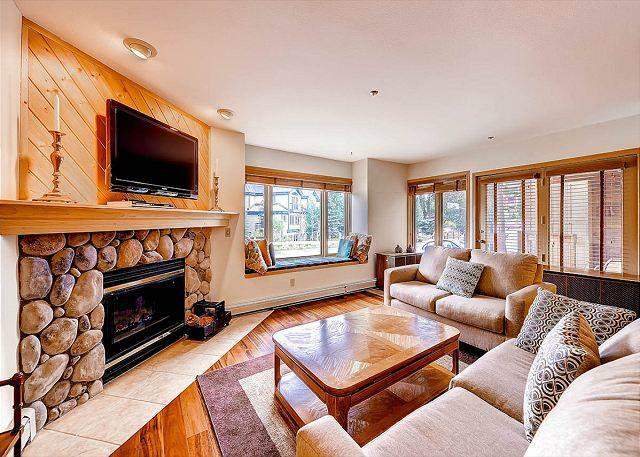 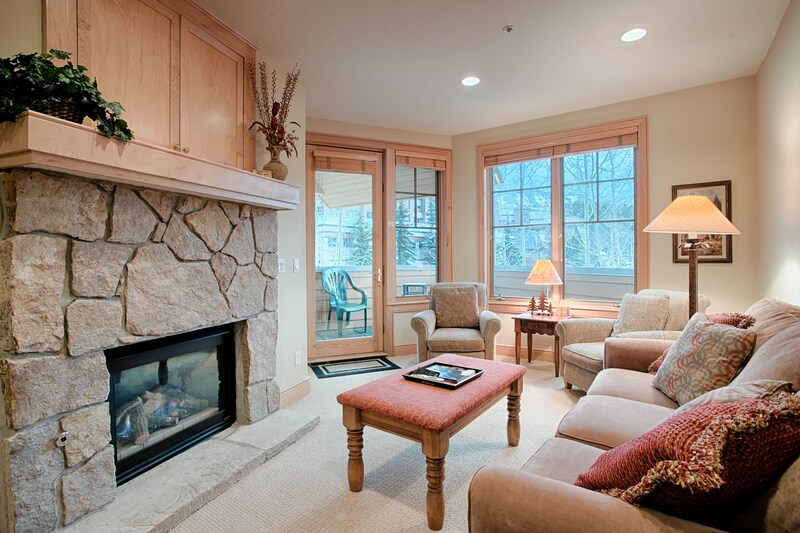 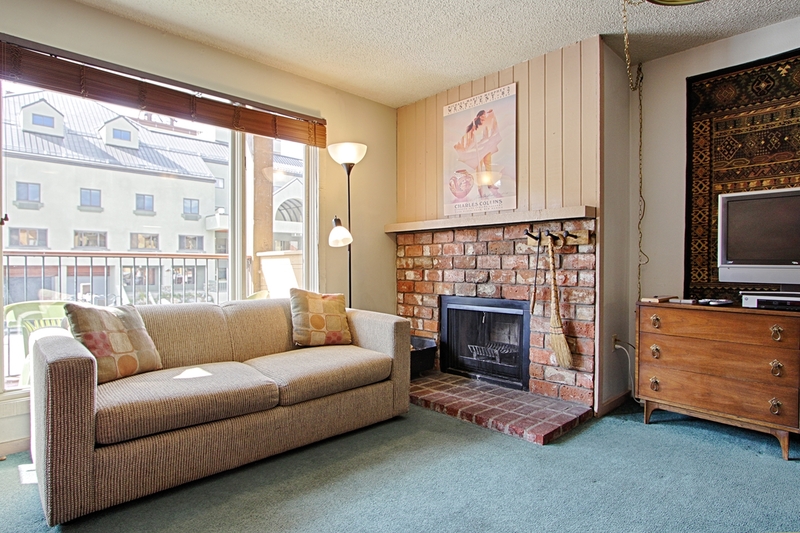 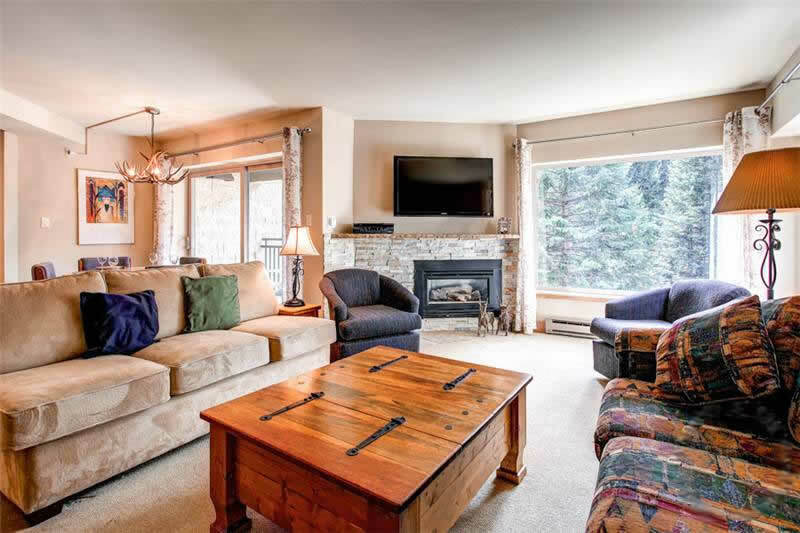 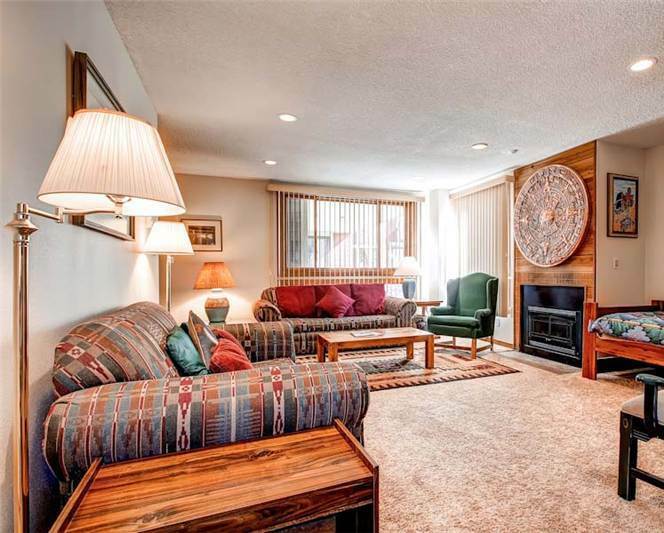 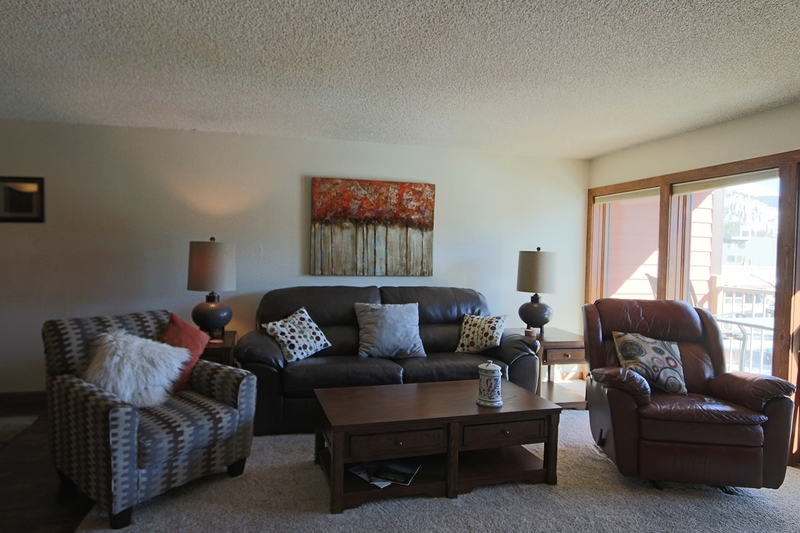 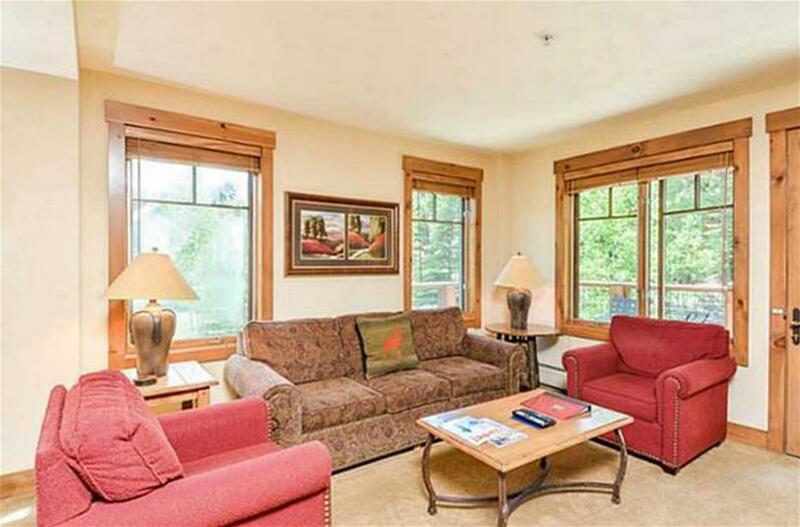 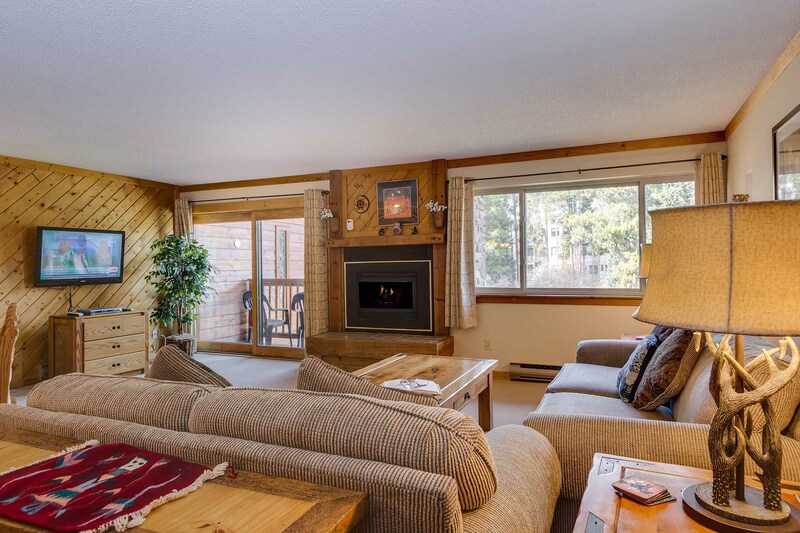 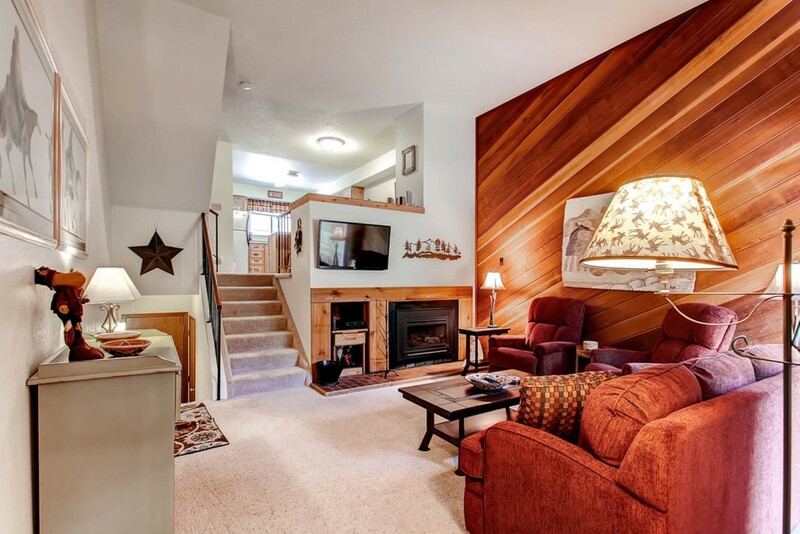 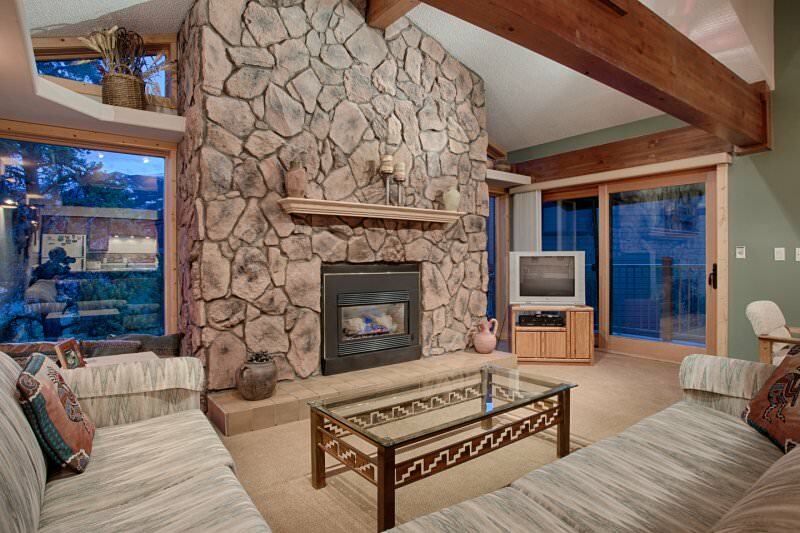 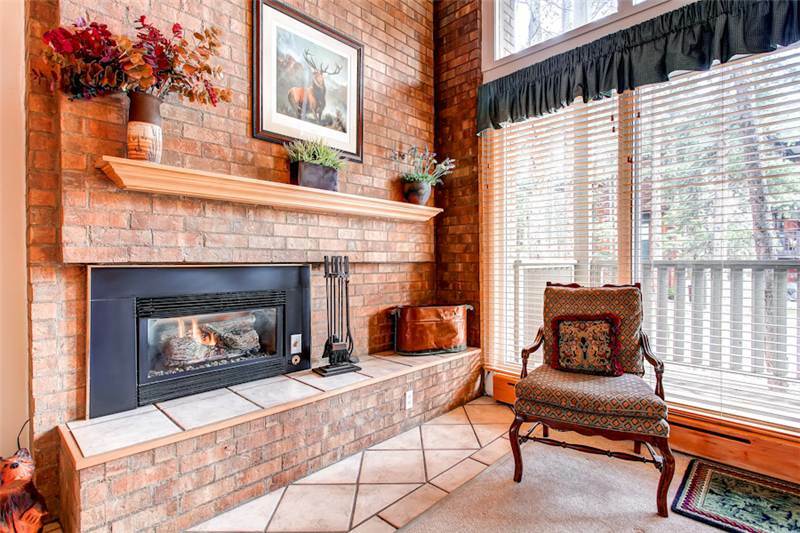 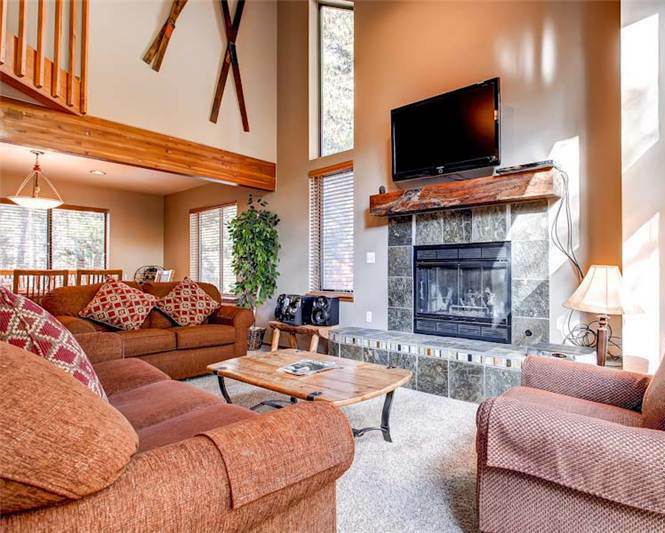 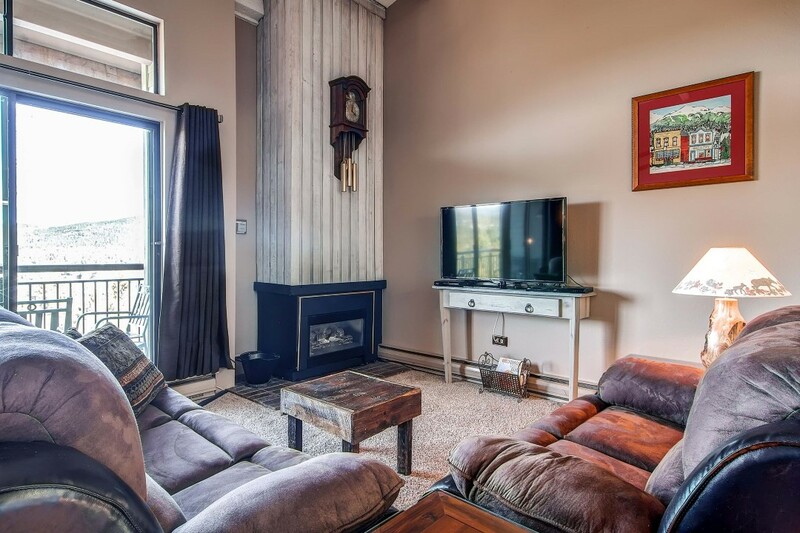 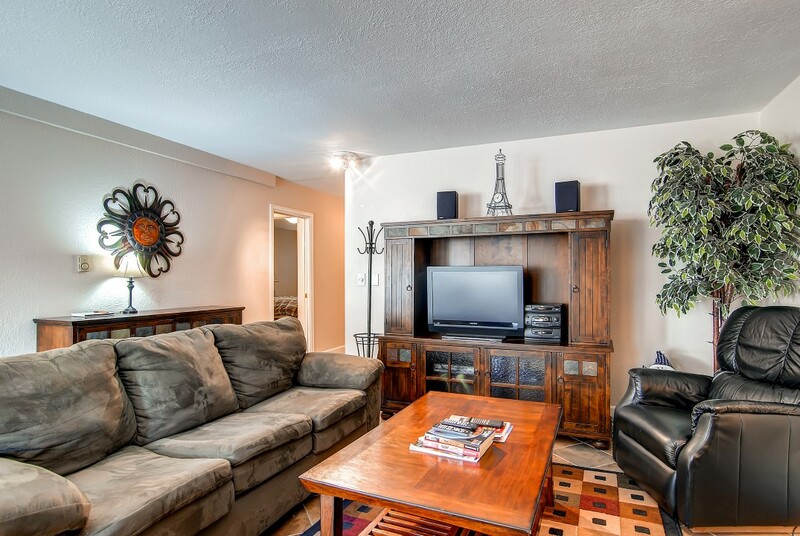 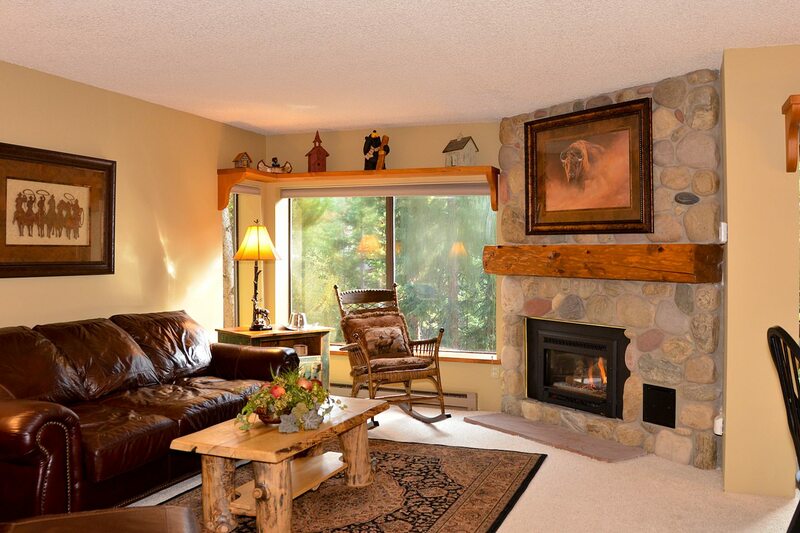 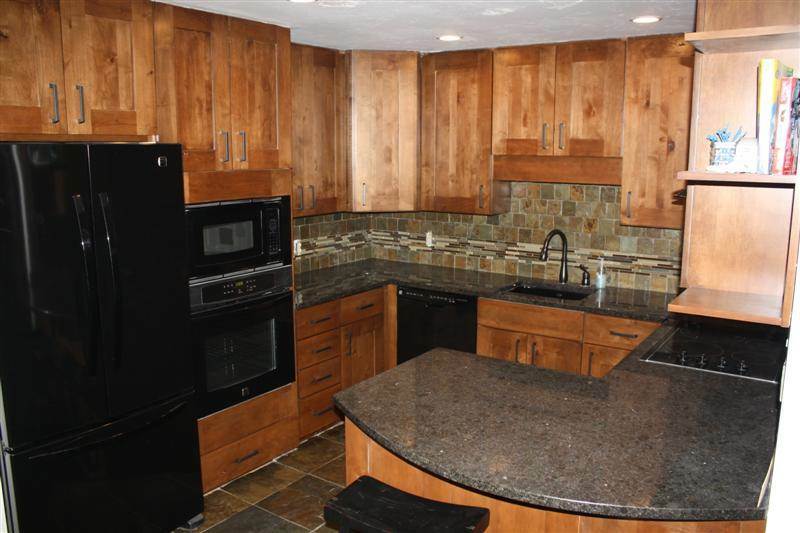 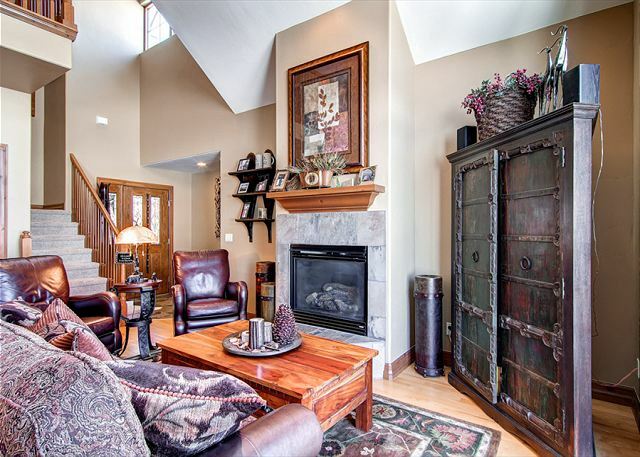 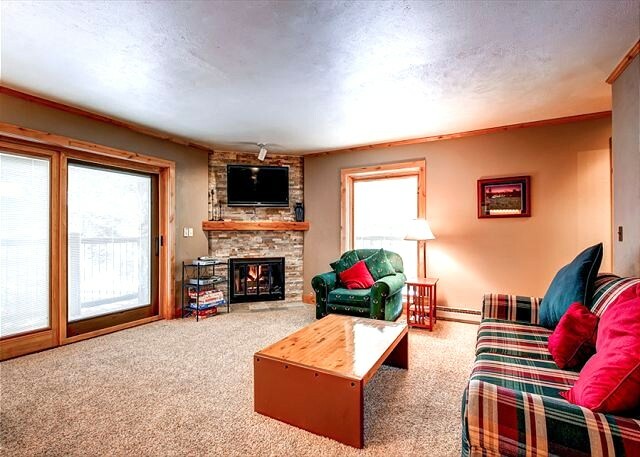 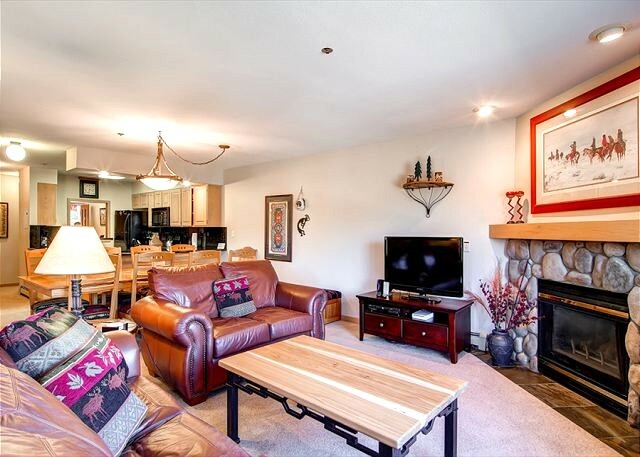 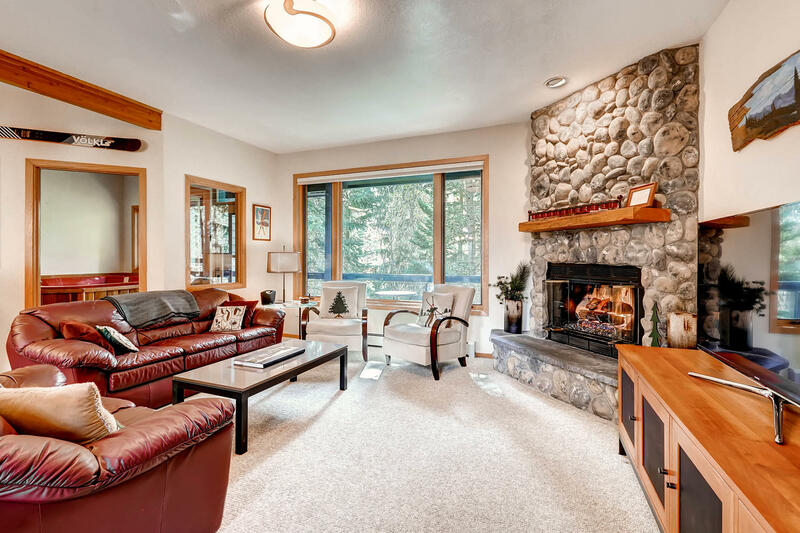 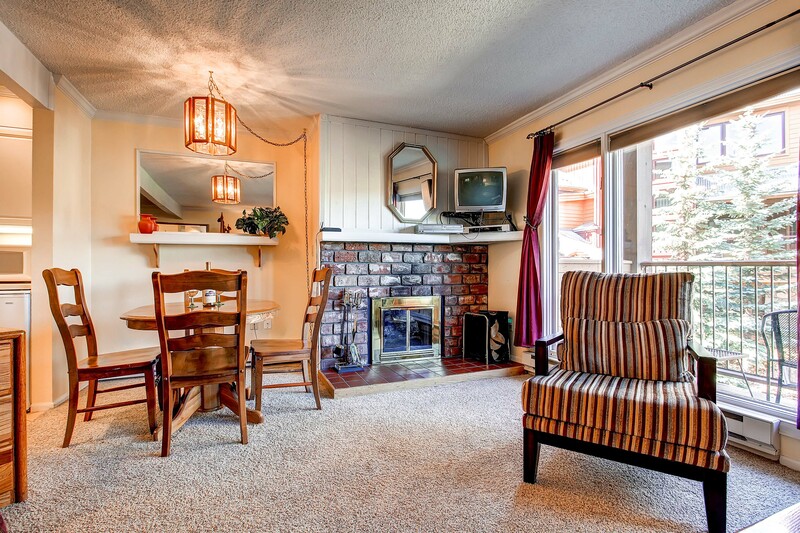 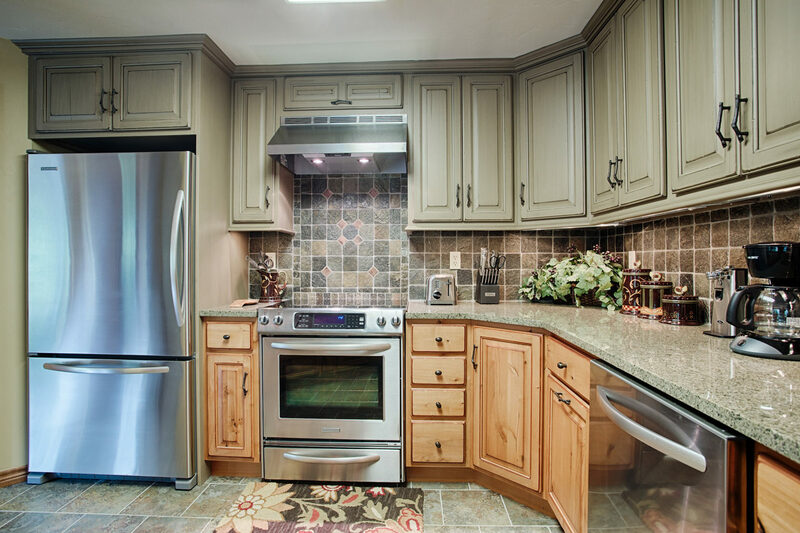 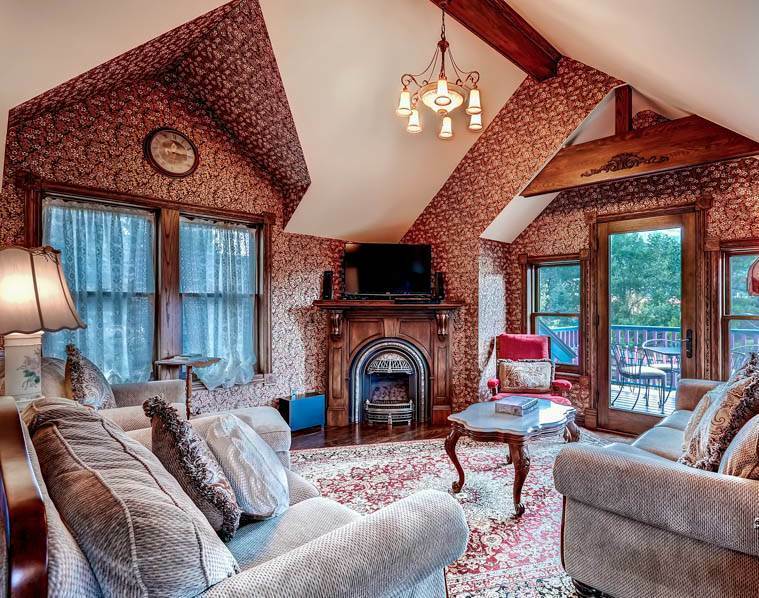 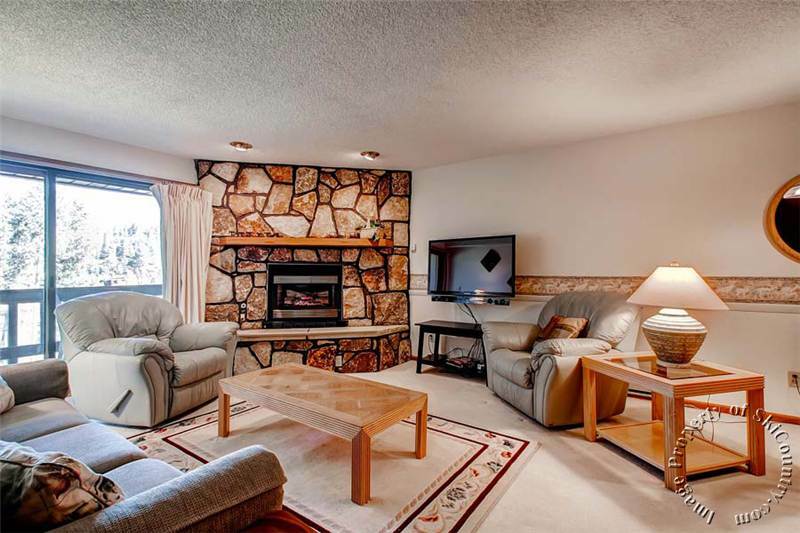 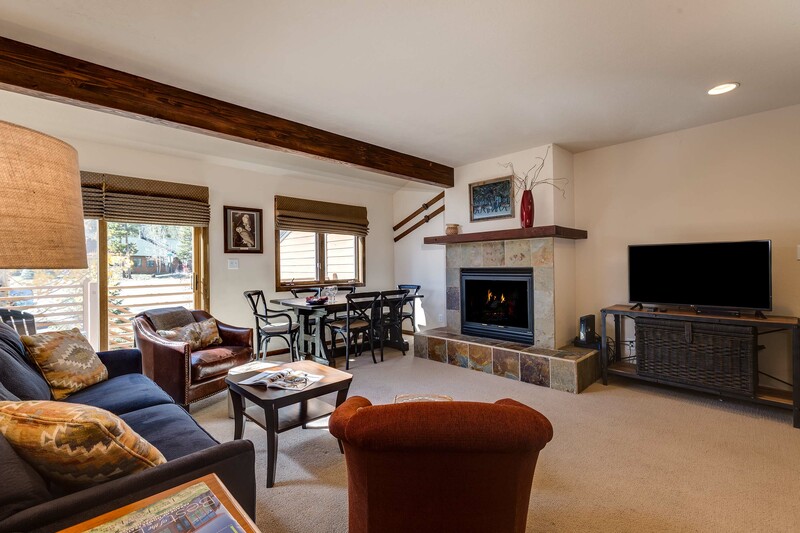 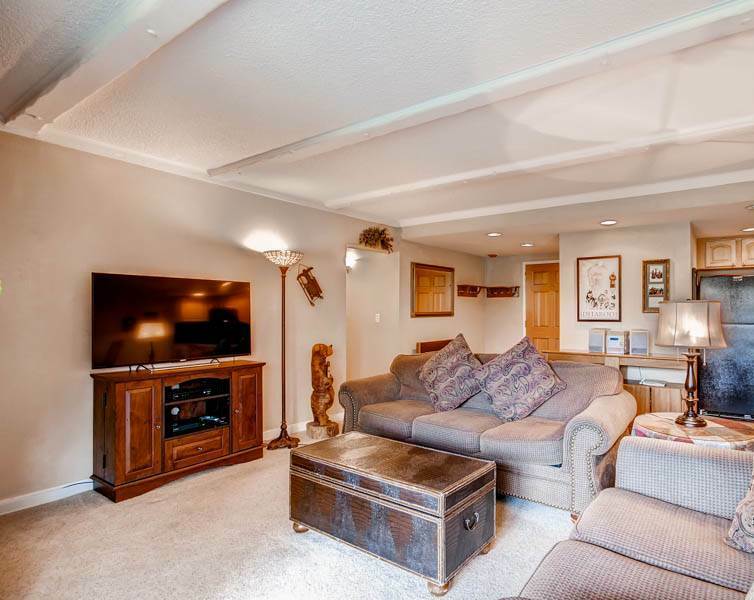 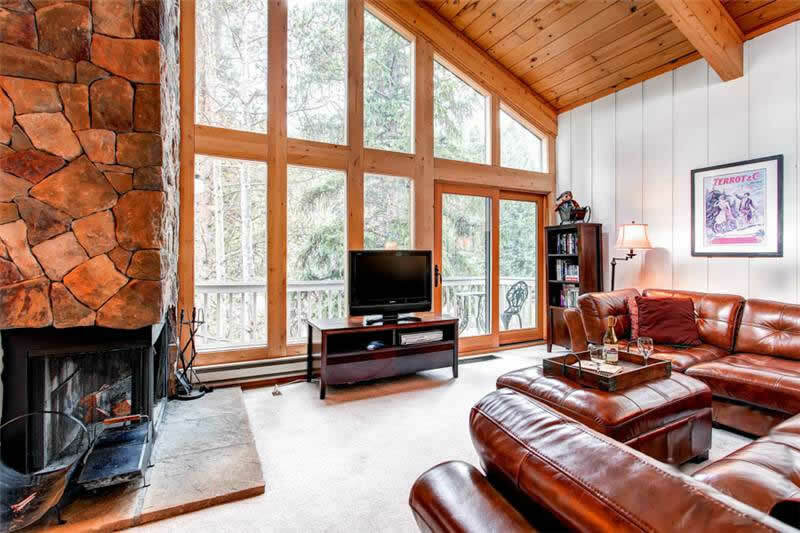 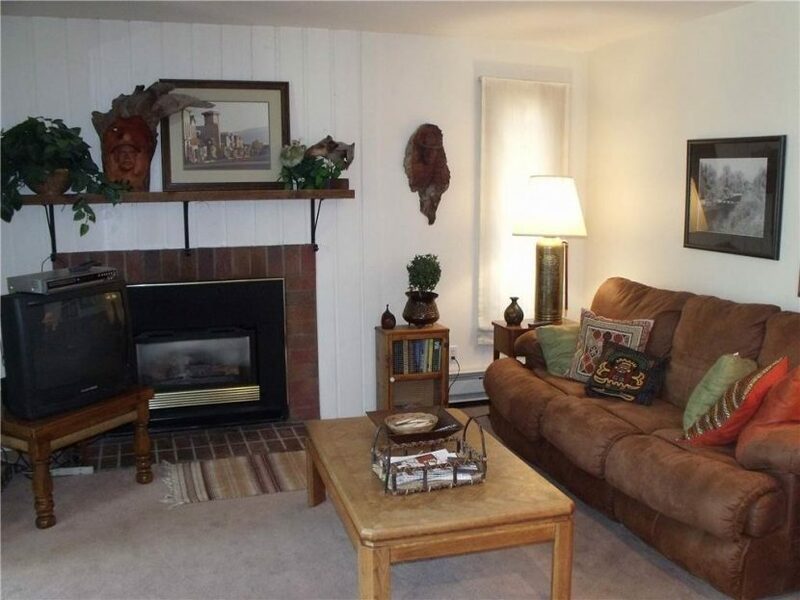 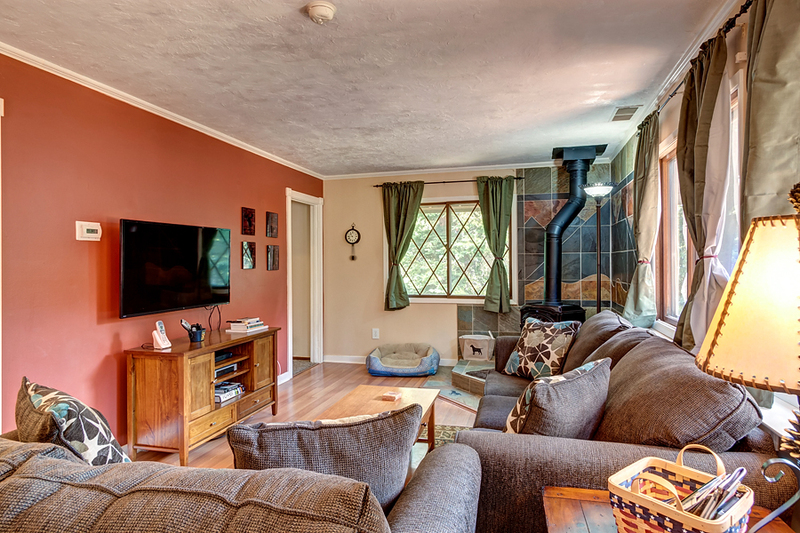 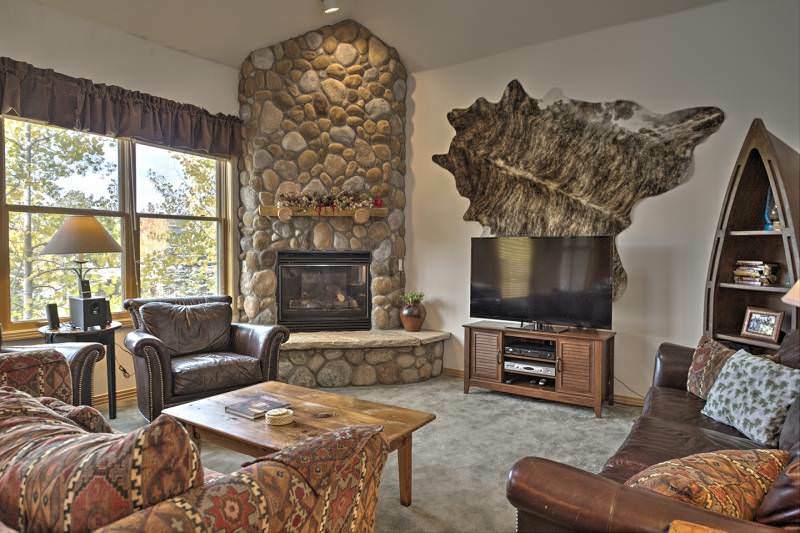 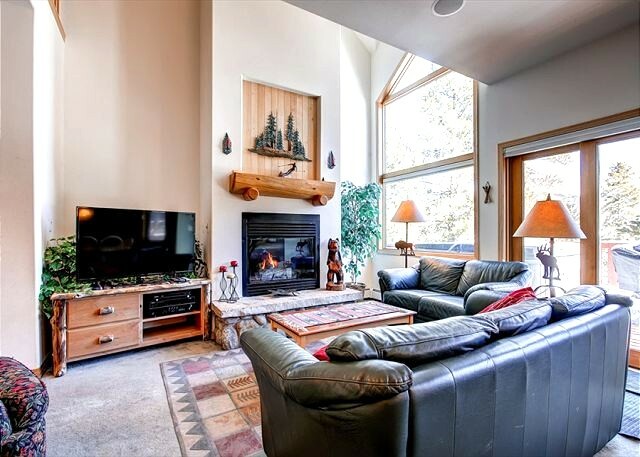 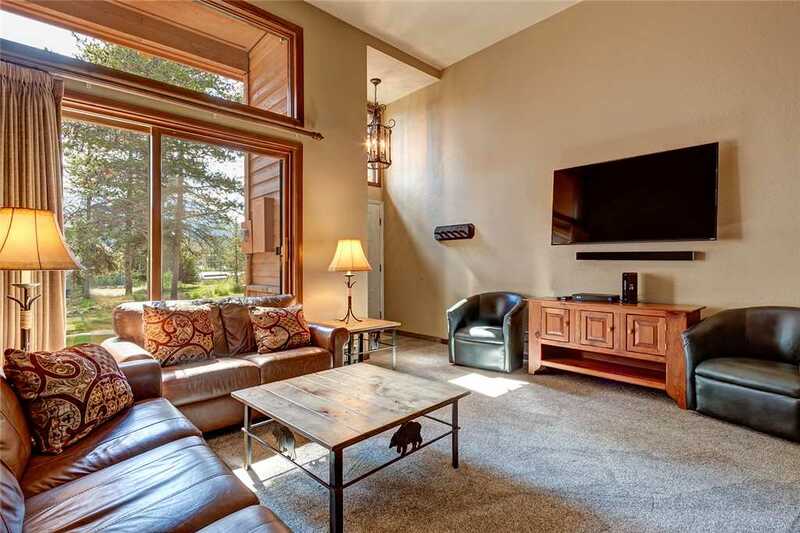 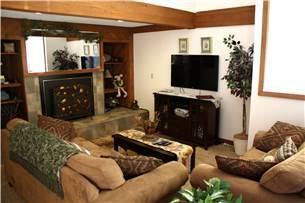 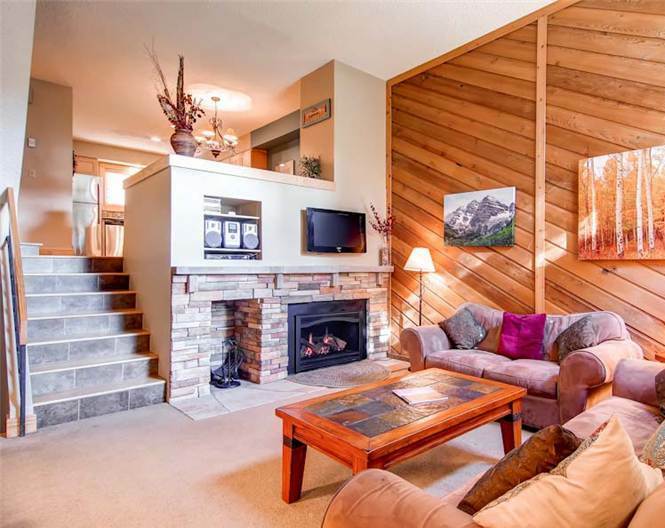 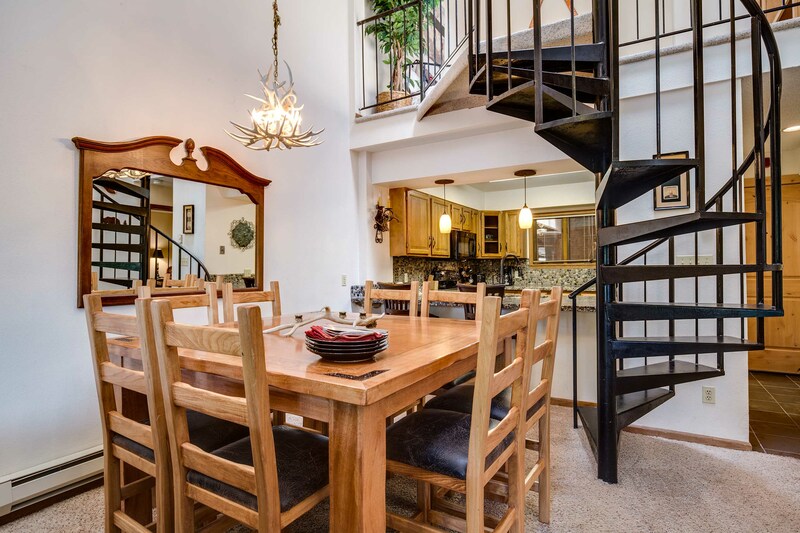 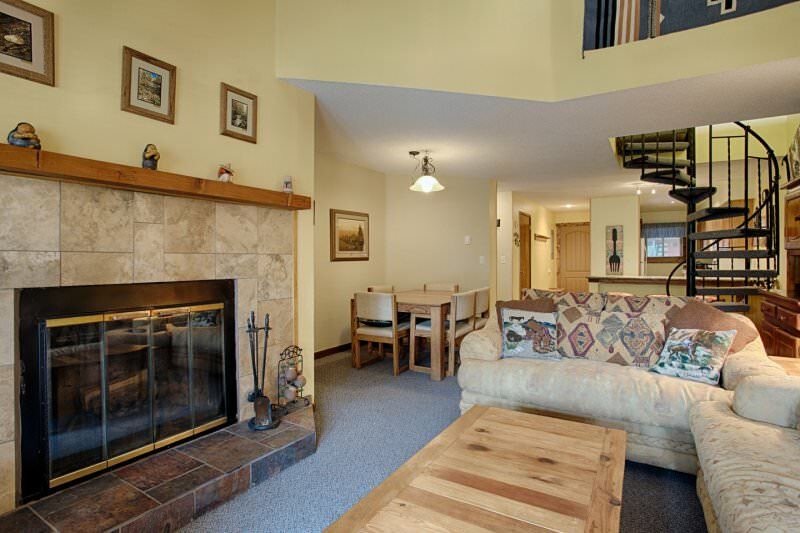 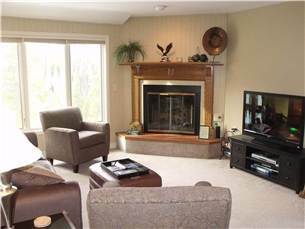 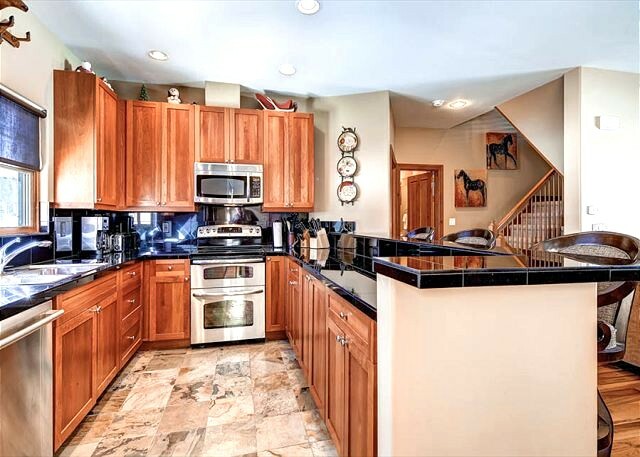 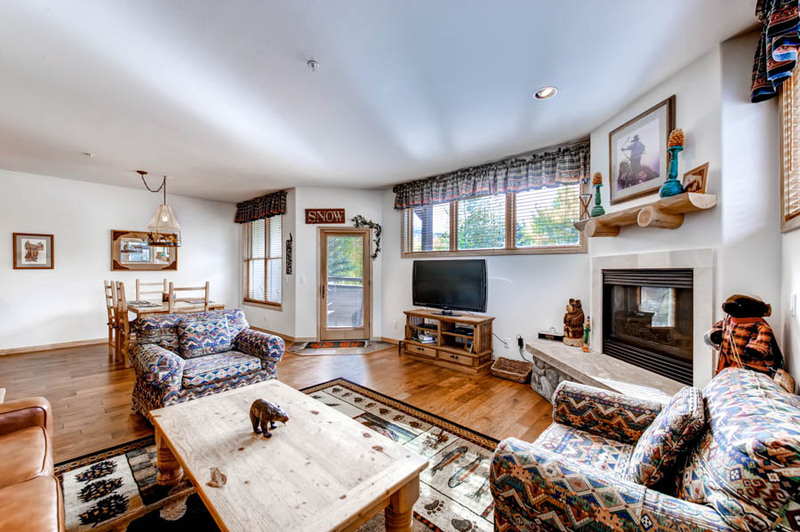 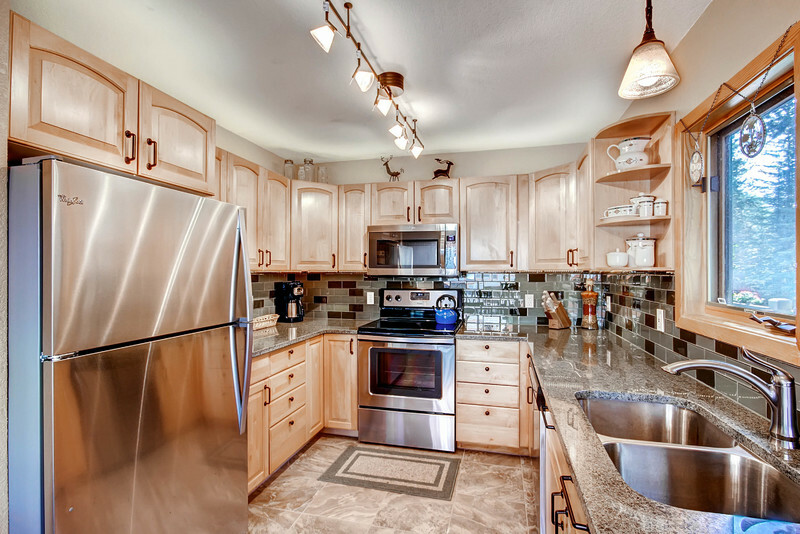 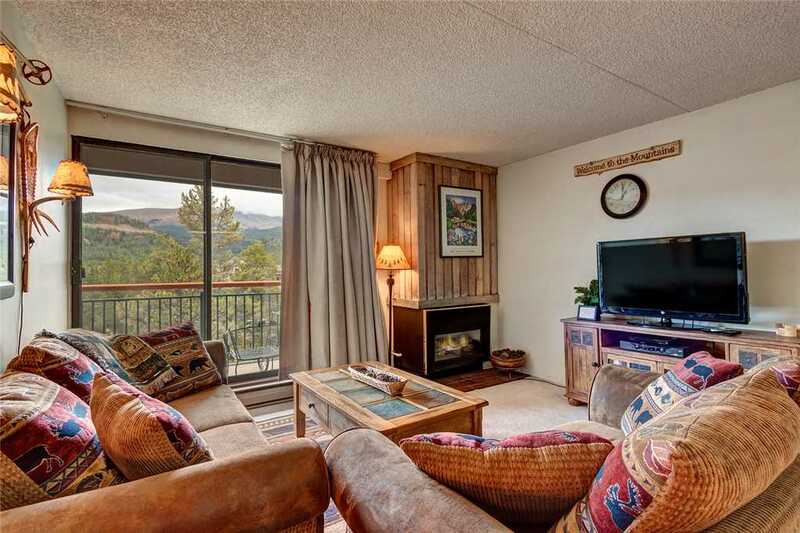 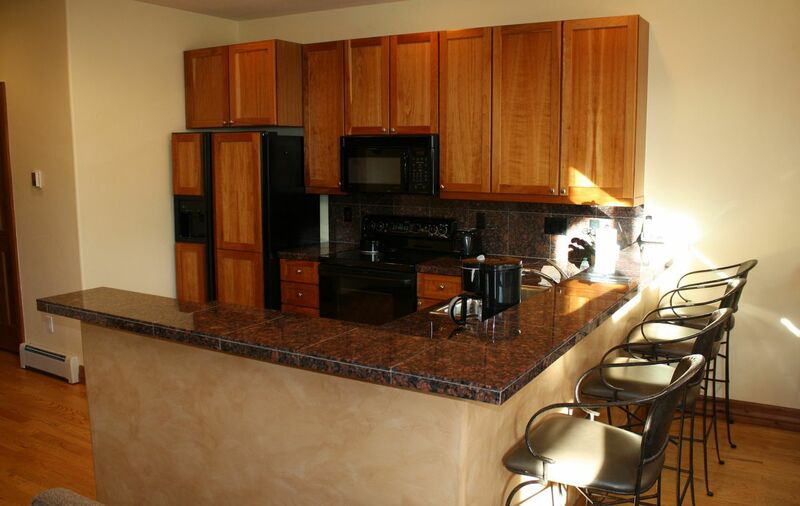 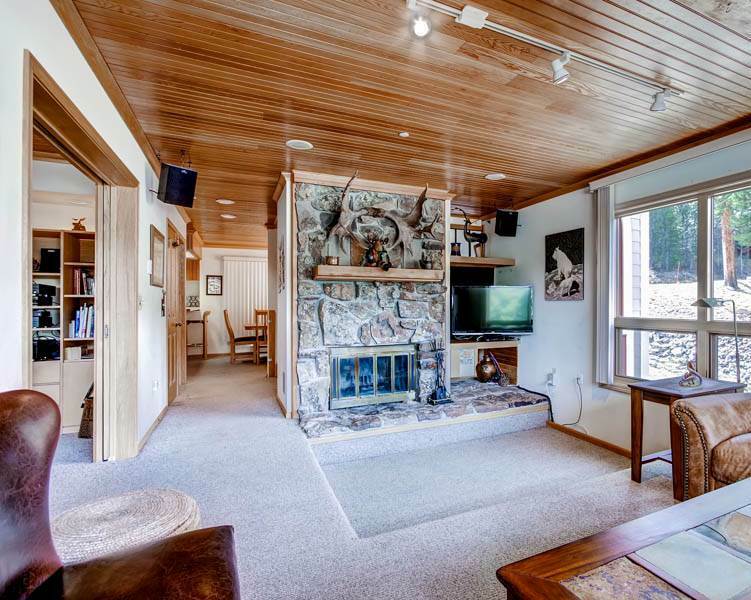 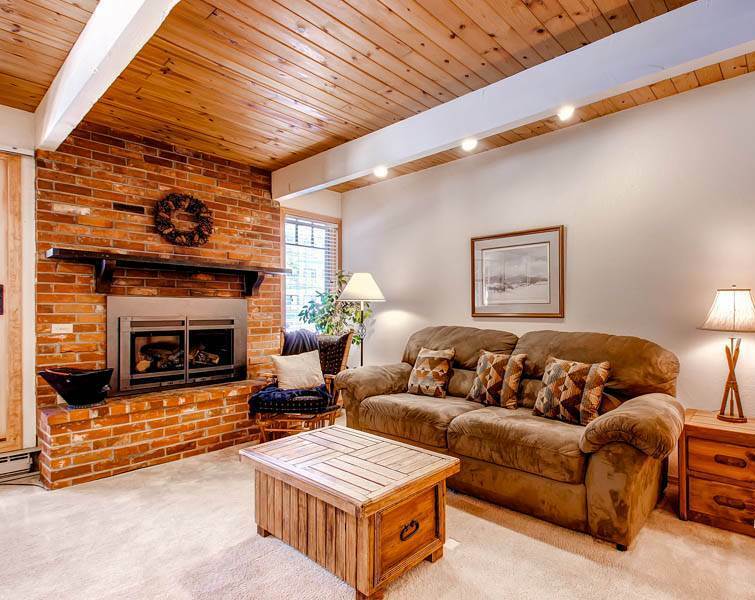 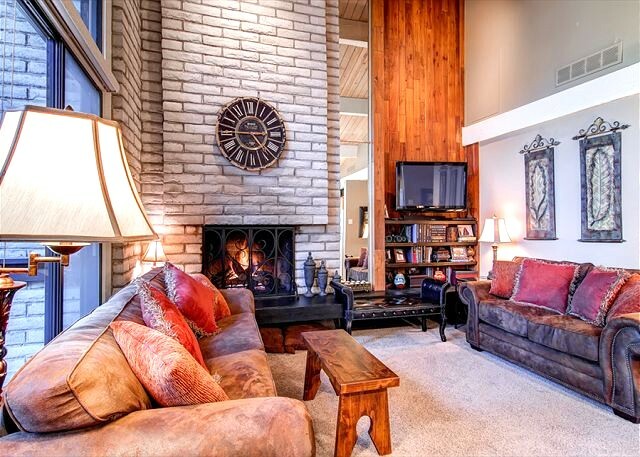 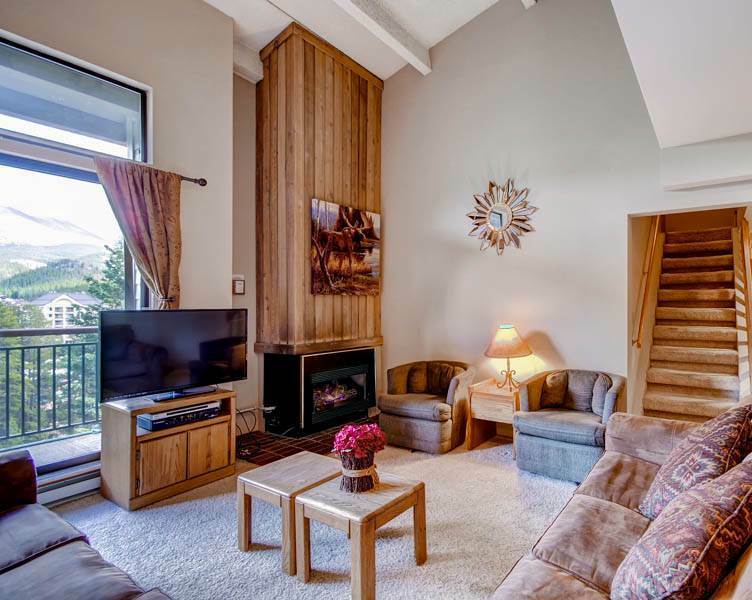 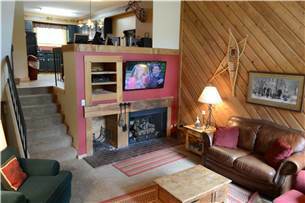 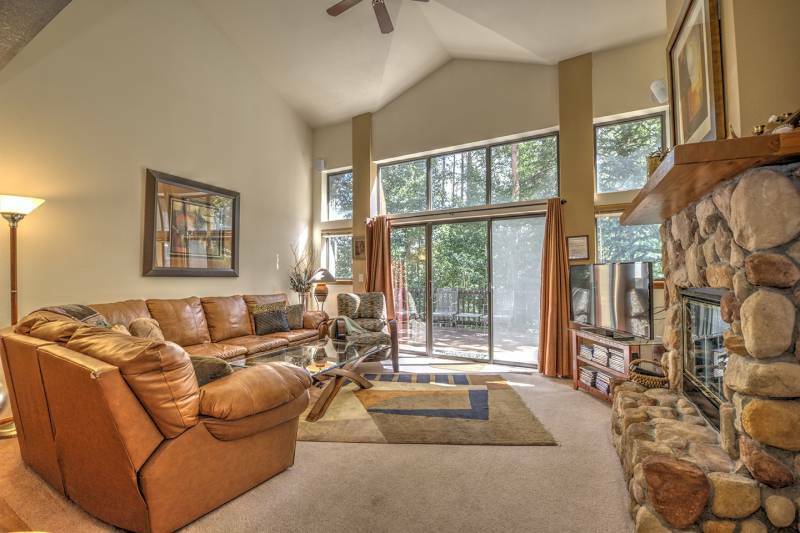 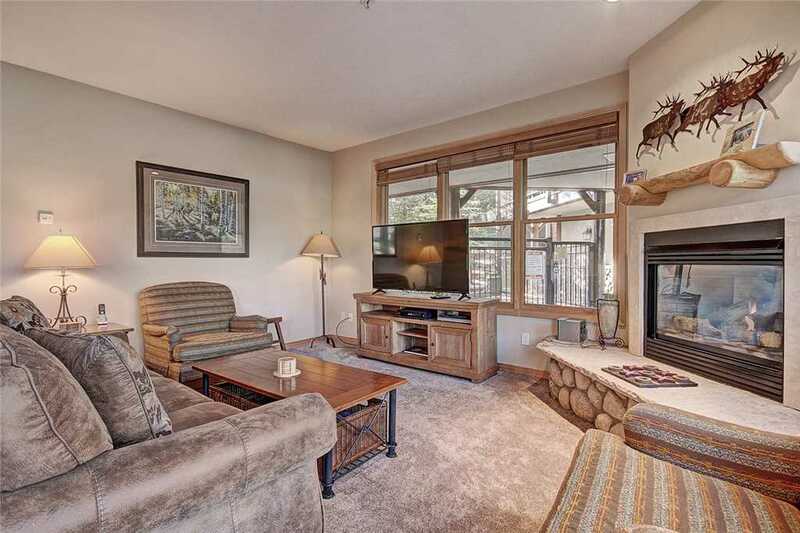 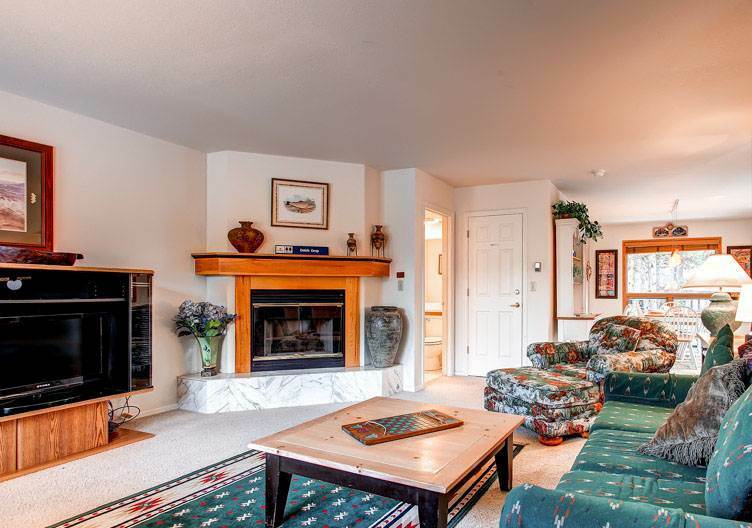 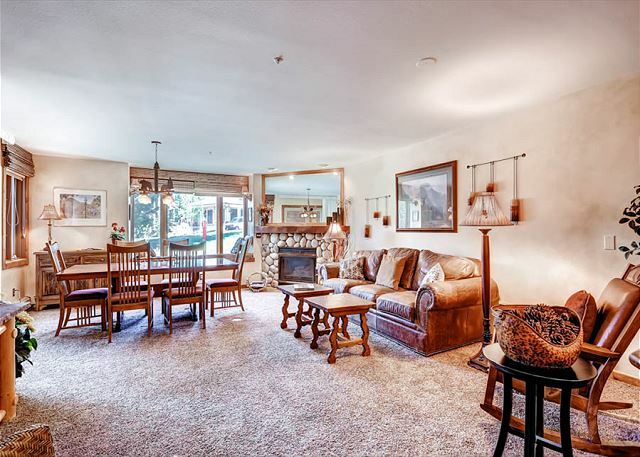 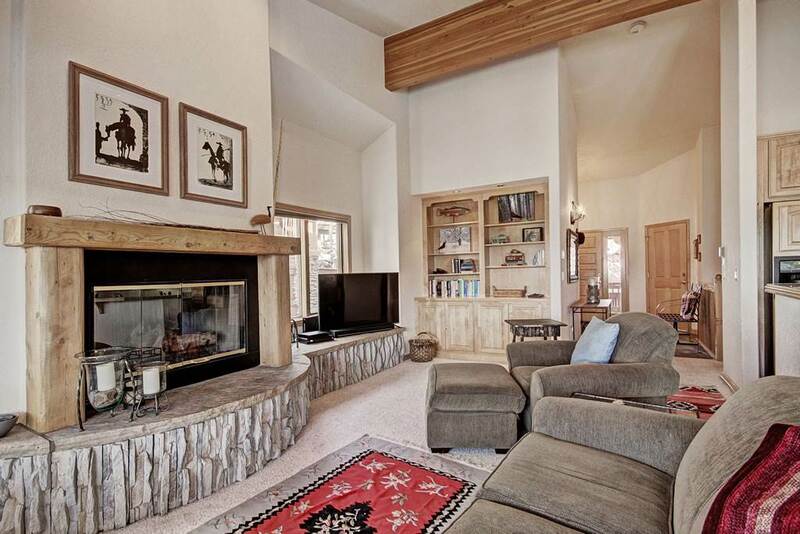 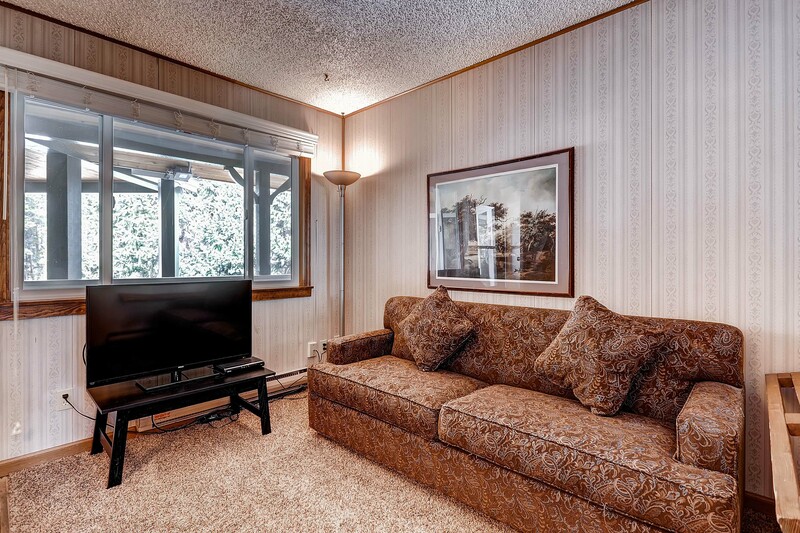 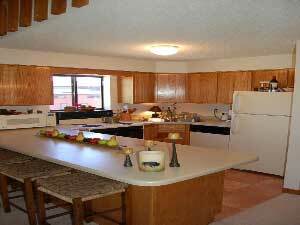 This updated two bedroom, two bathroom Sawmill Creek condo features an open floor plan with a fully stocked kitchen, fireplace, flat screen televisions in the living and master bedroom, along with floor level access to the complex courtyard. 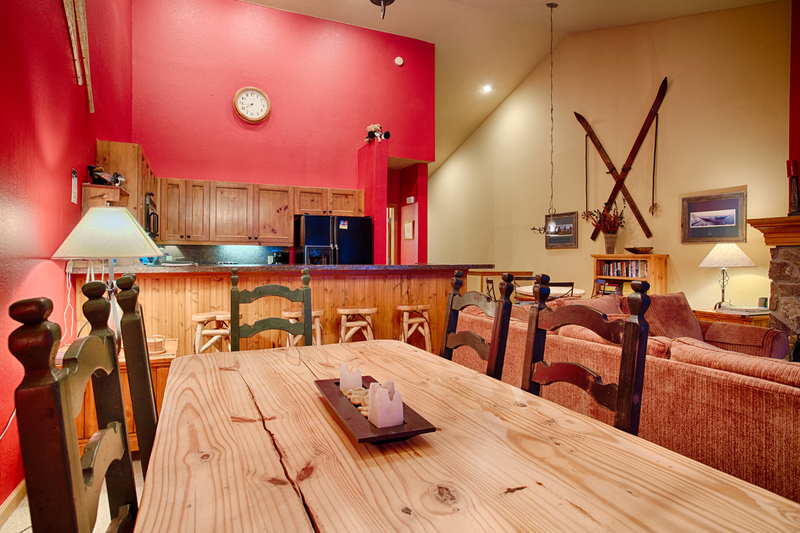 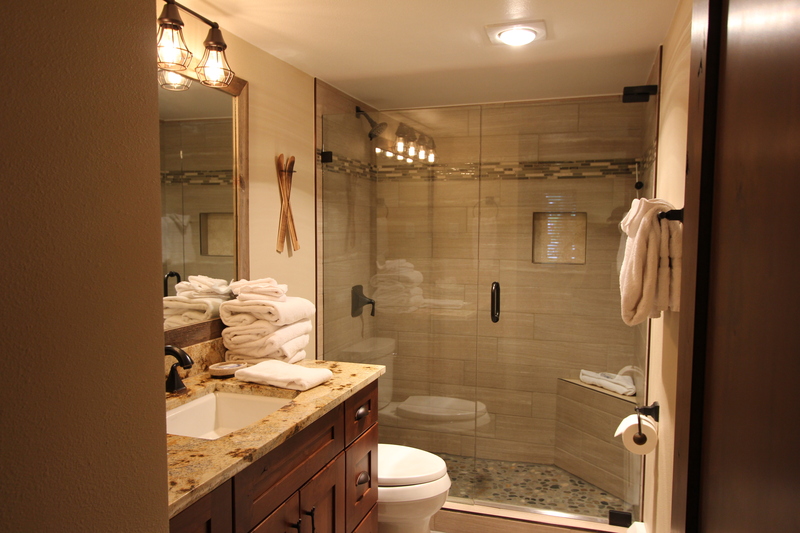 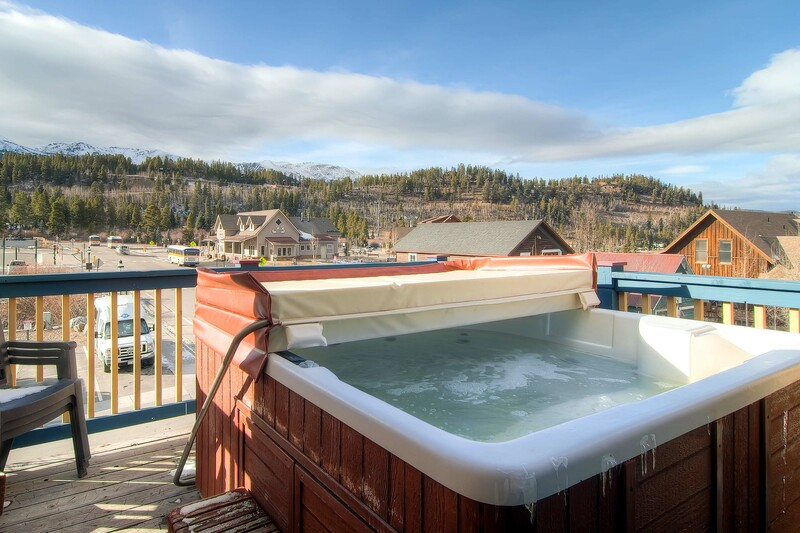 After an eventful day on the slopes or around town, make sure to enjoy the two indoor hot tubs on site! 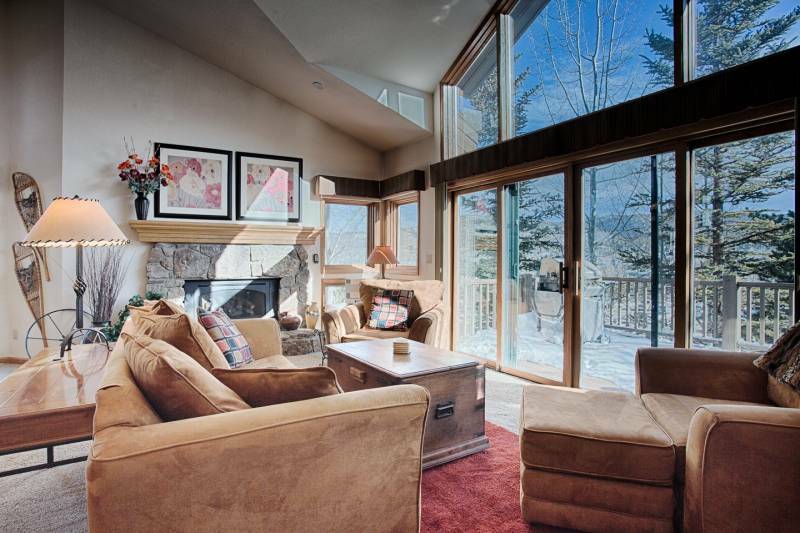 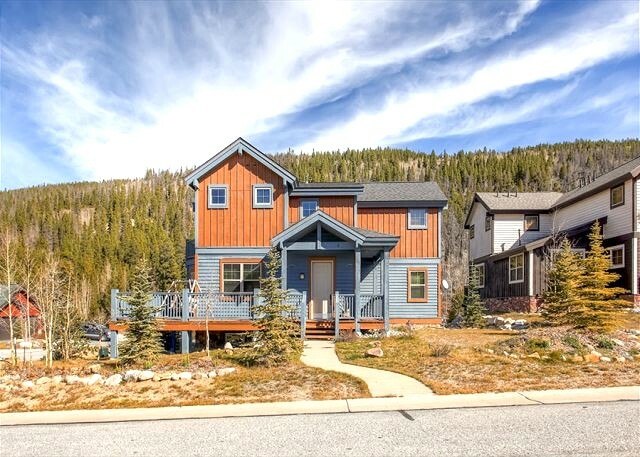 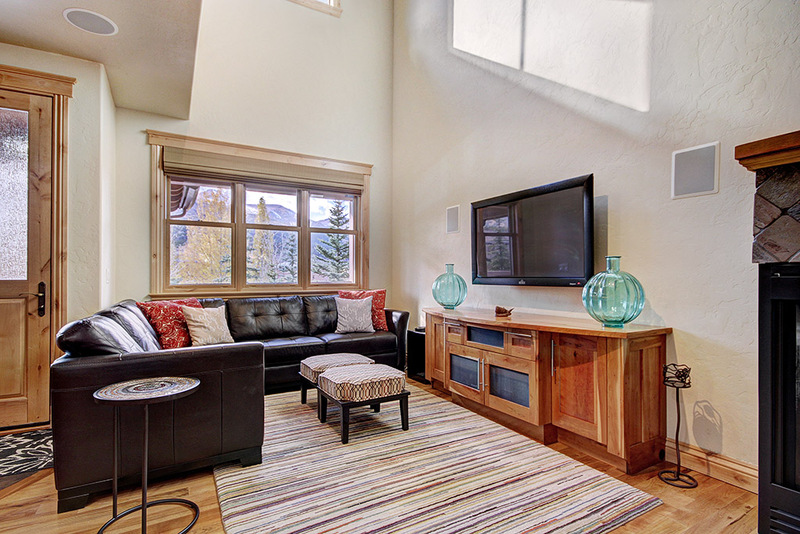 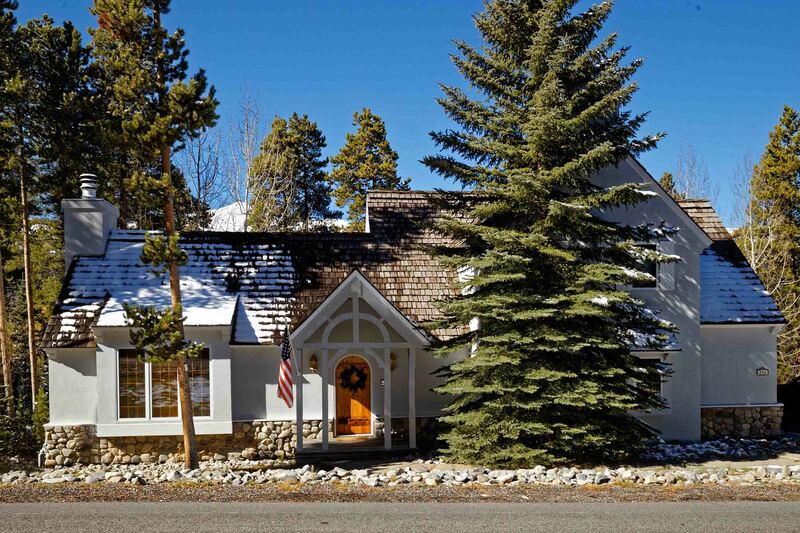 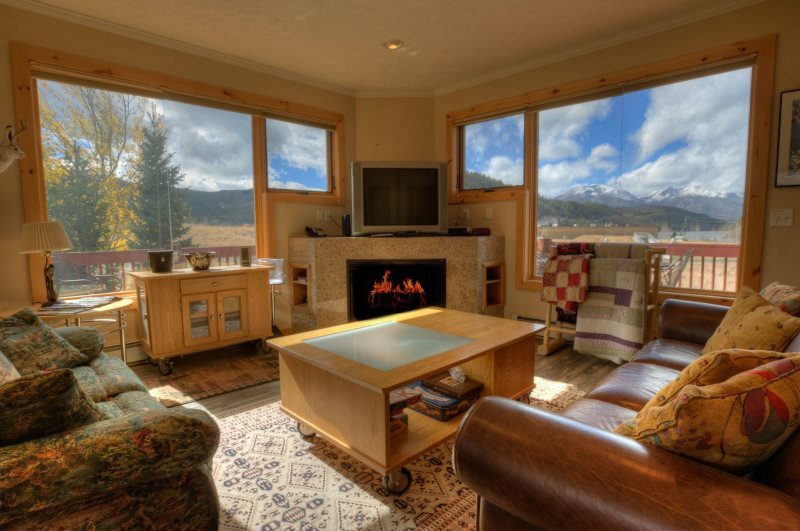 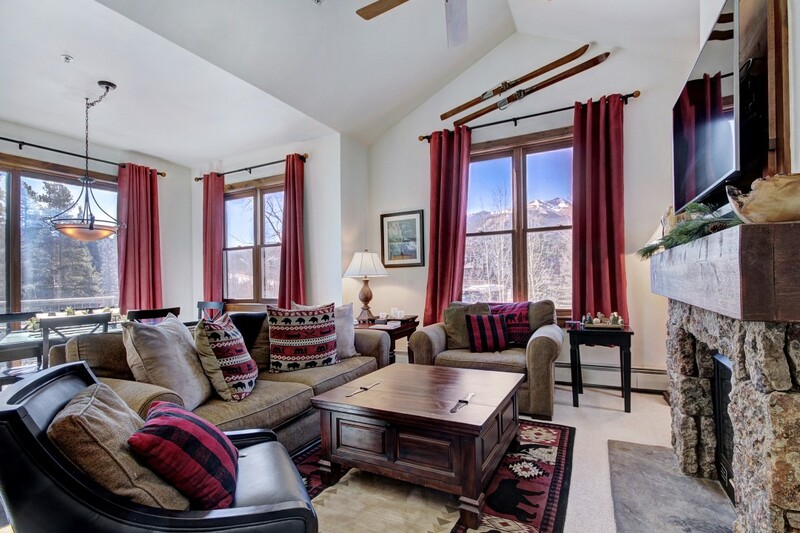 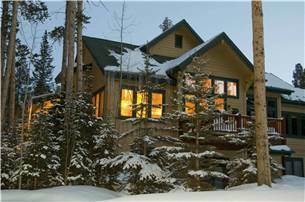 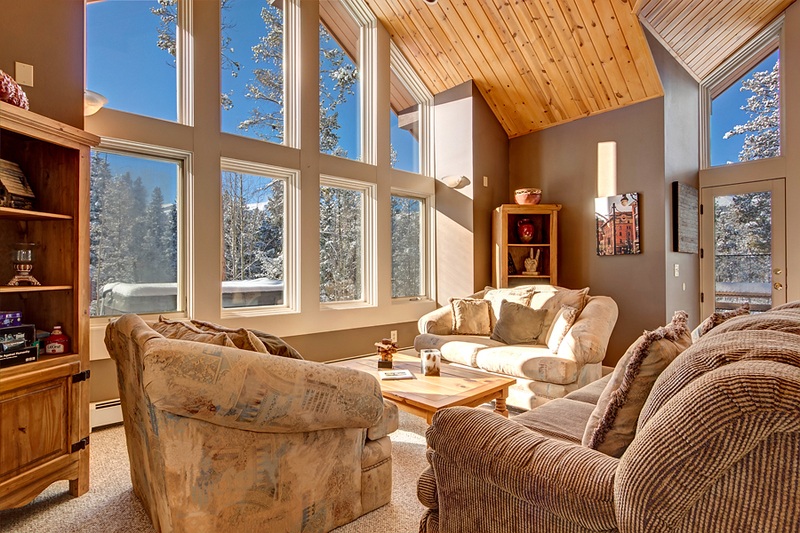 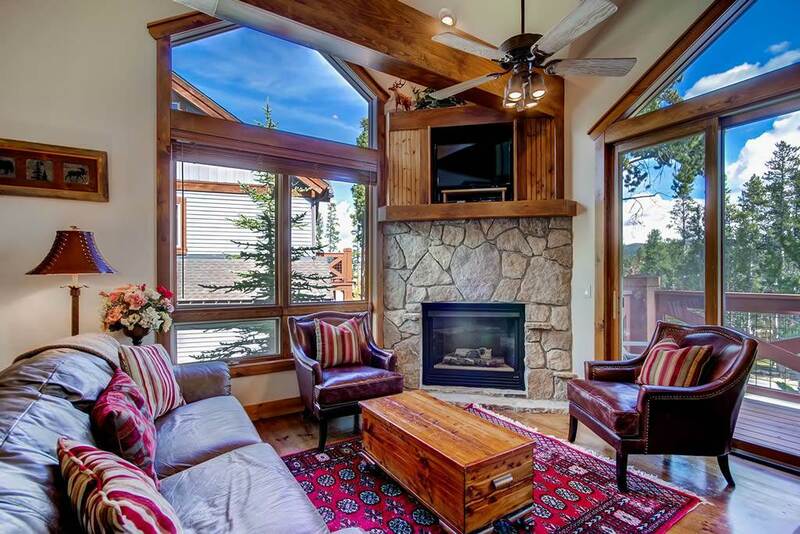 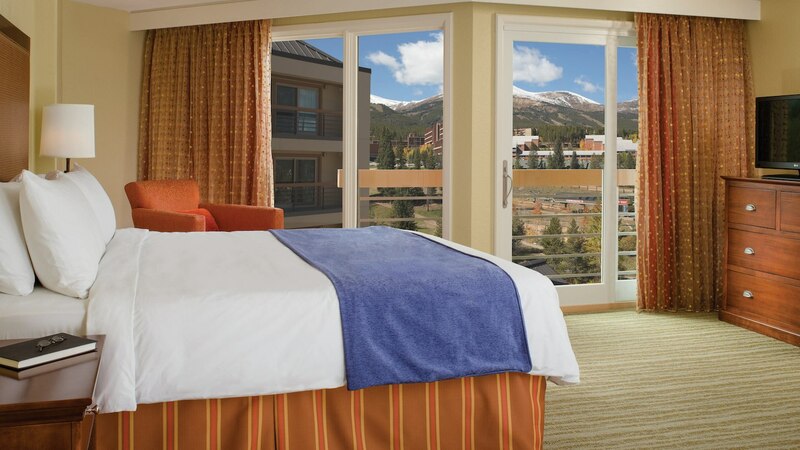 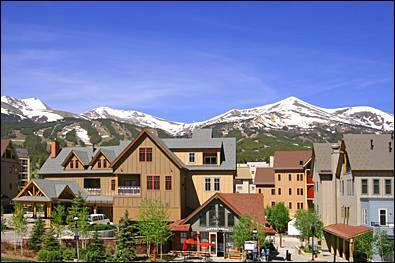 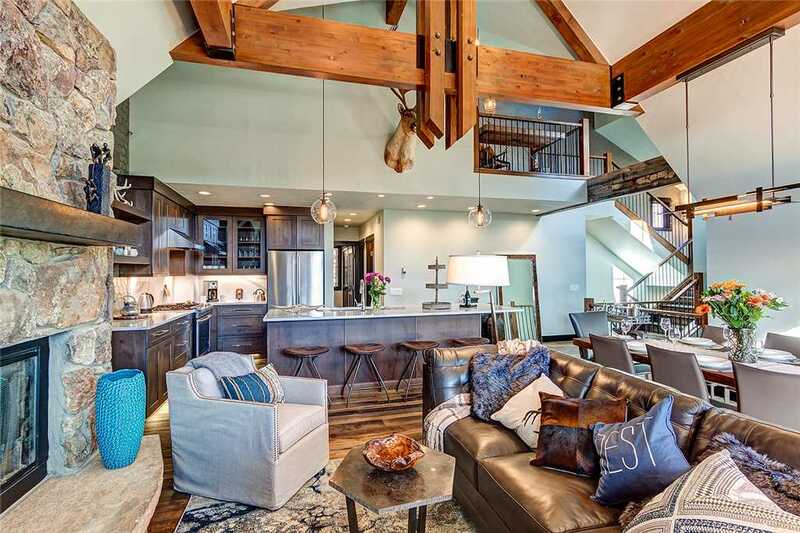 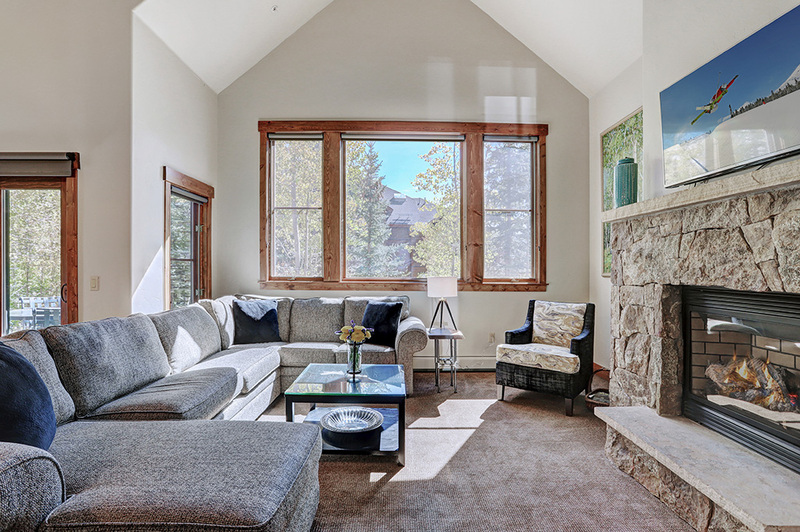 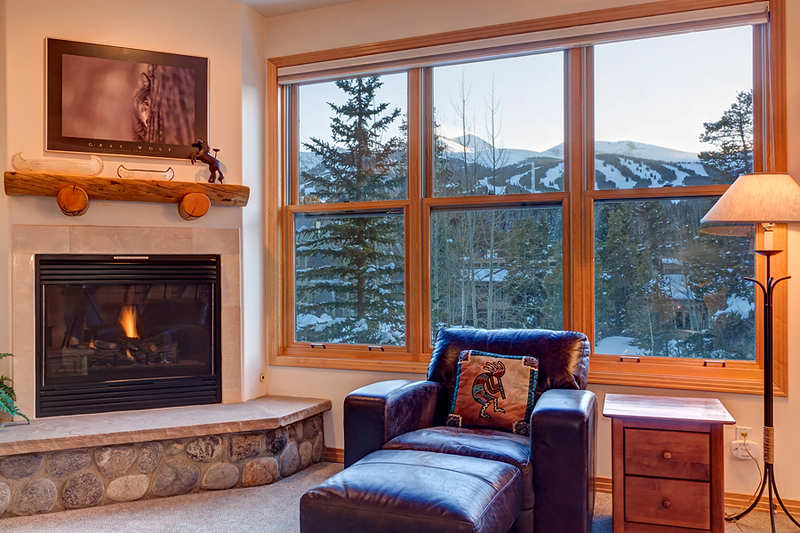 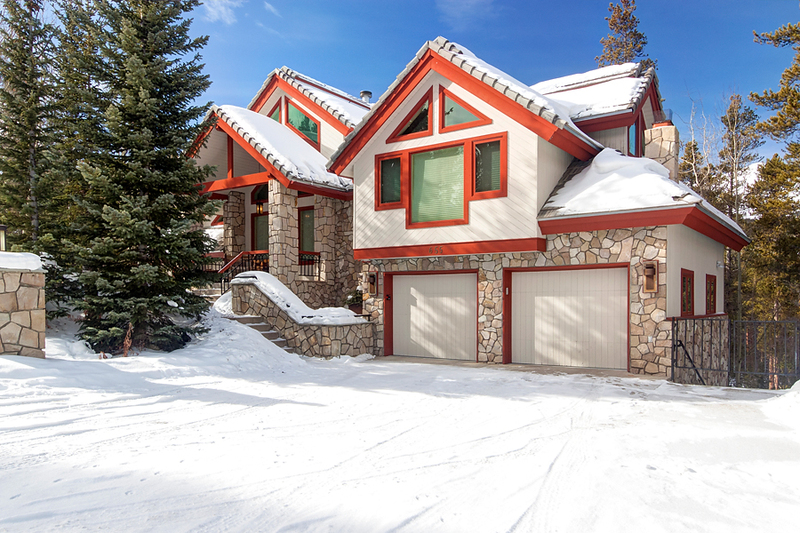 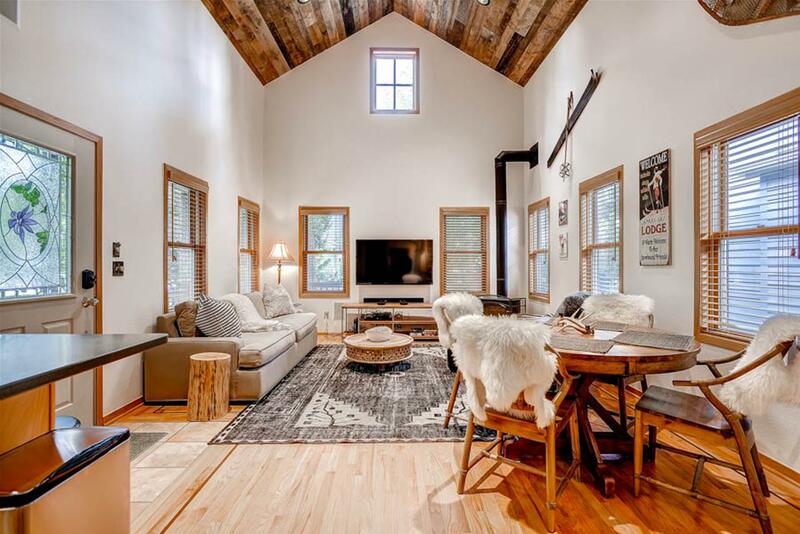 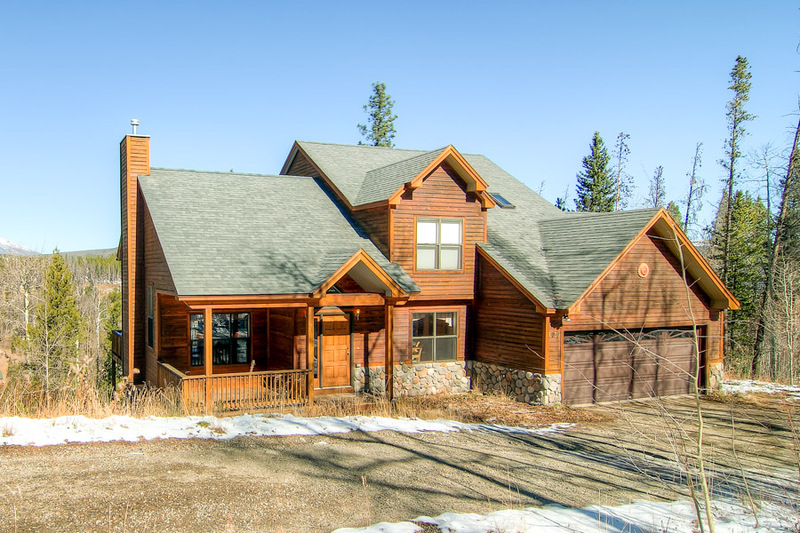 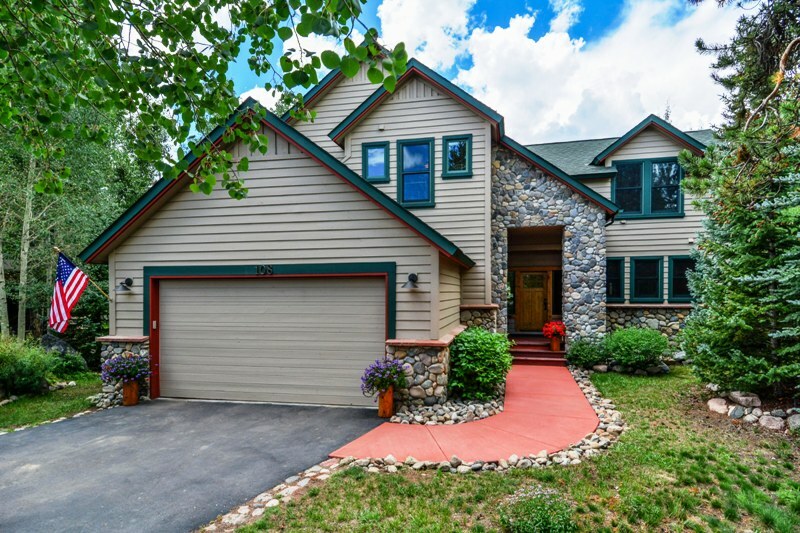 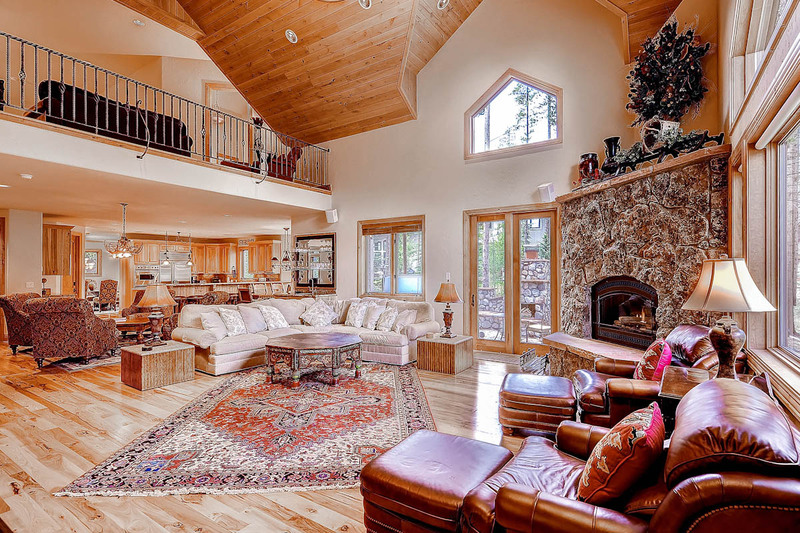 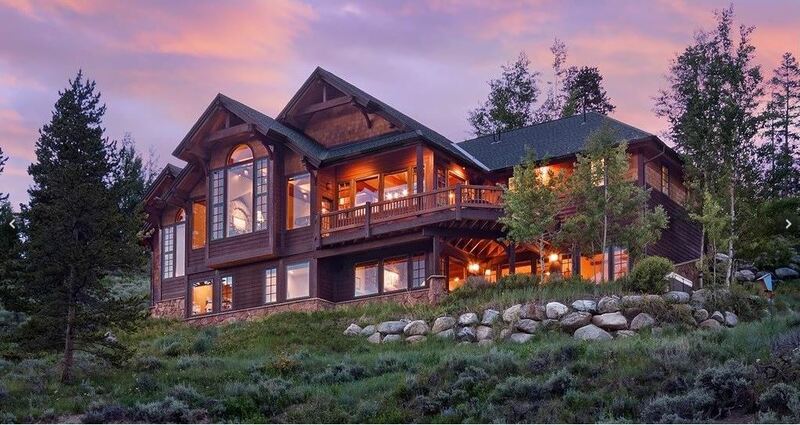 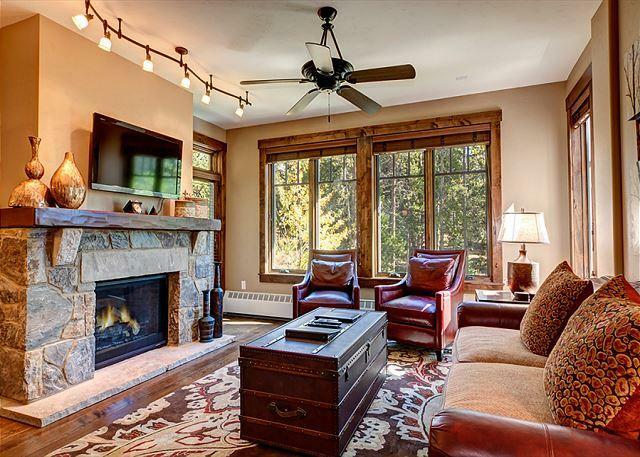 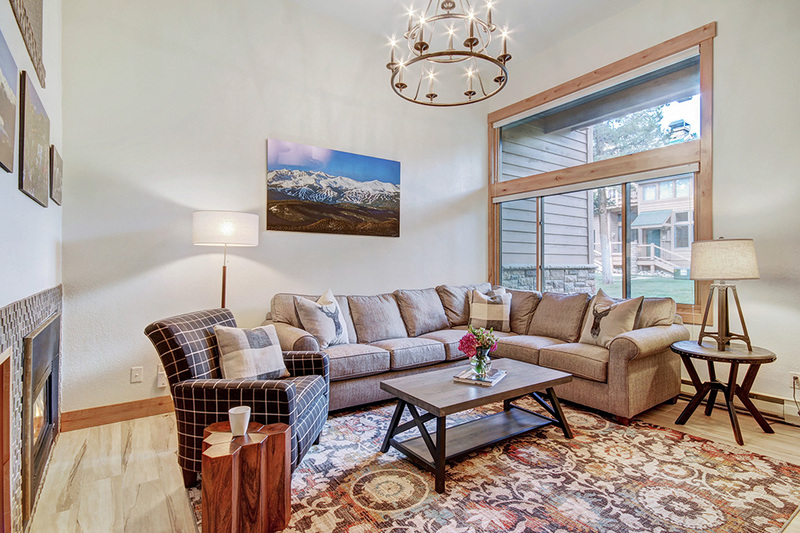 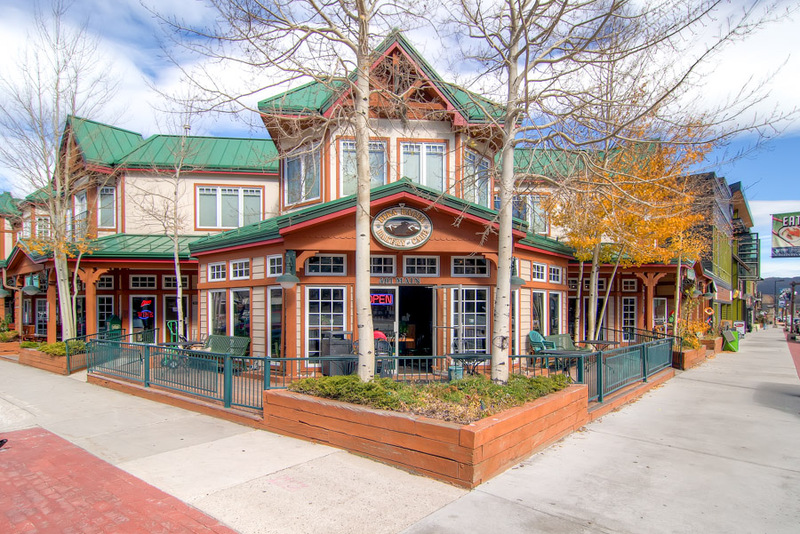 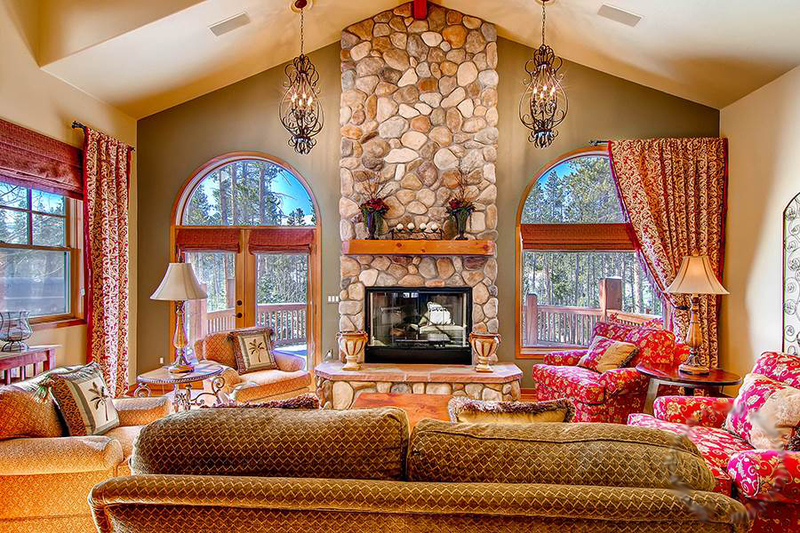 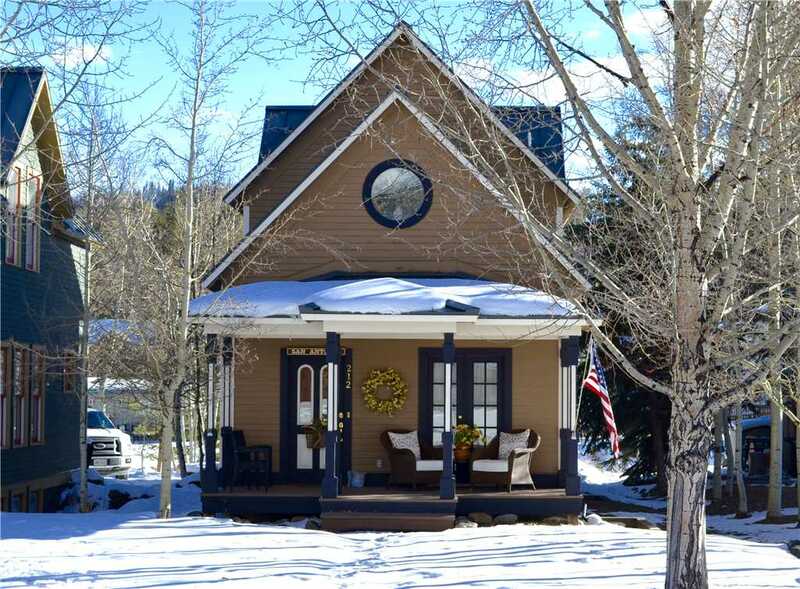 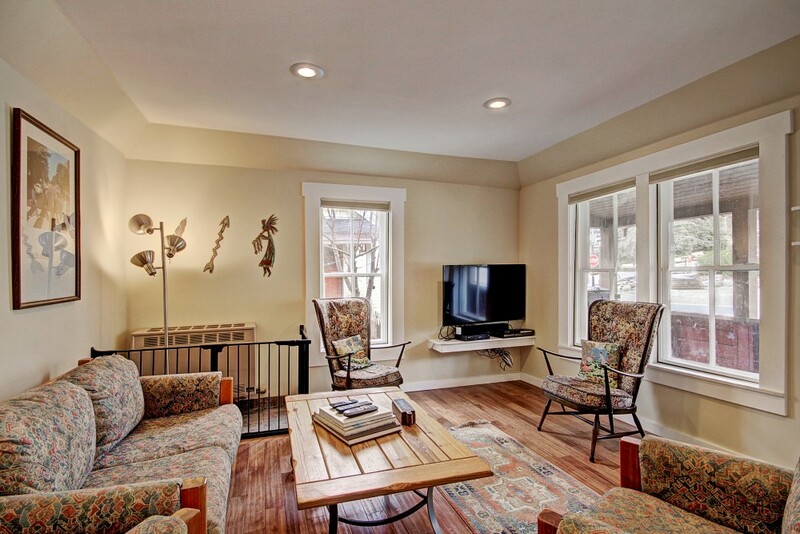 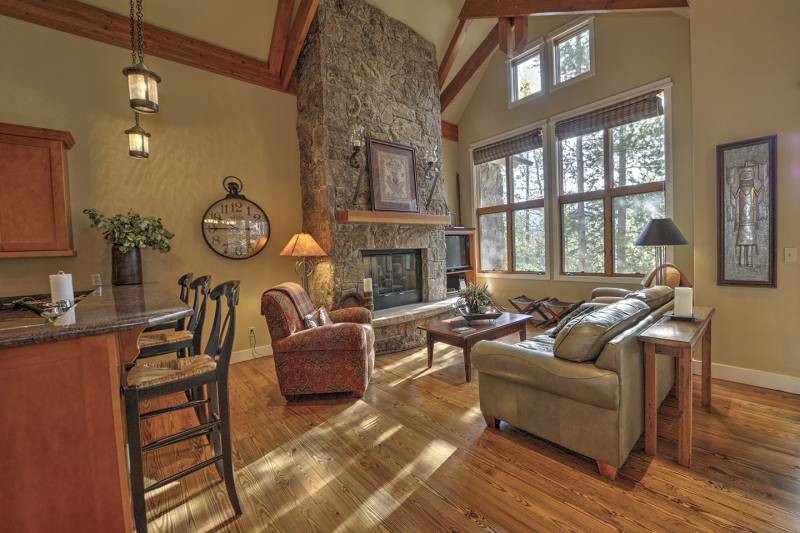 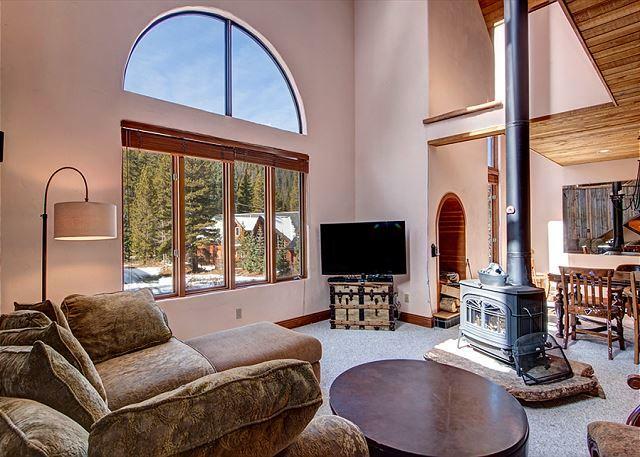 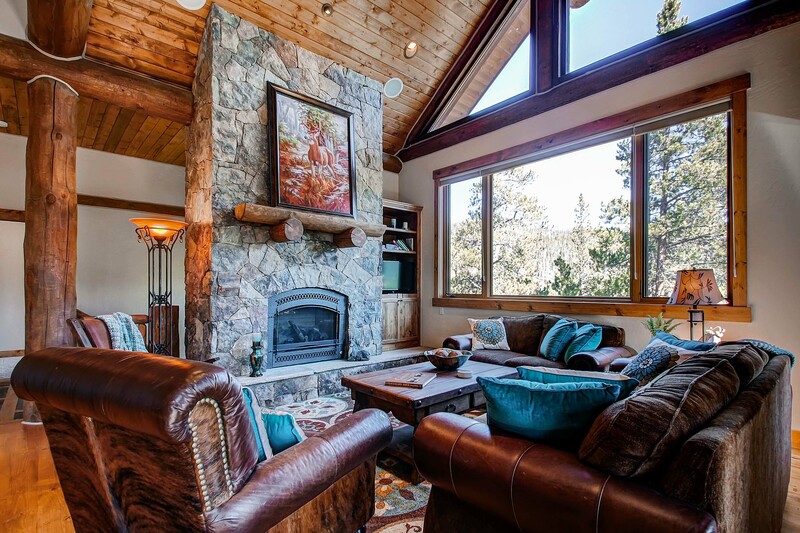 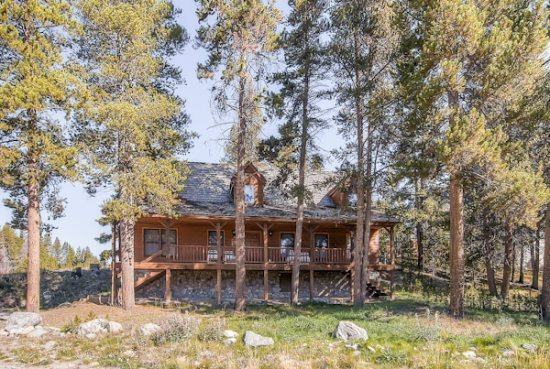 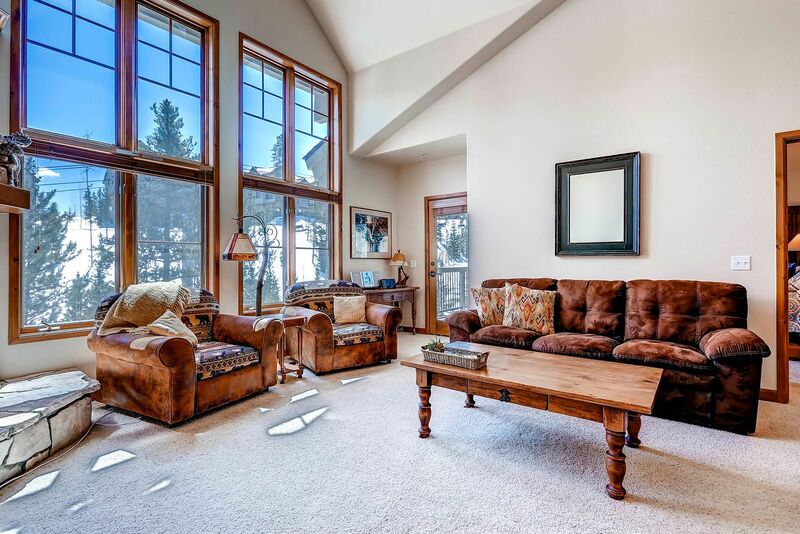 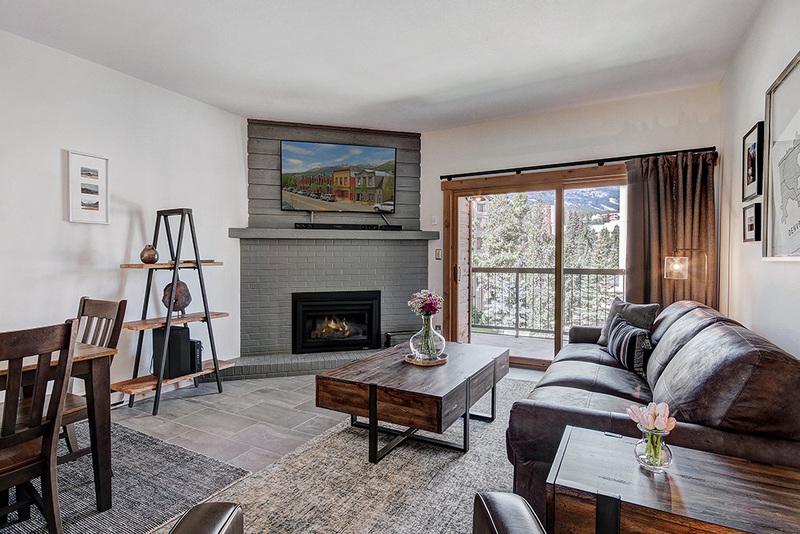 Walk out of your front door and be just a short block away from Breckenridge’s historic Main Street or a few hundred yards away from the Breck Connect Gondola and take a scenic ride up to the base of Peak 8. 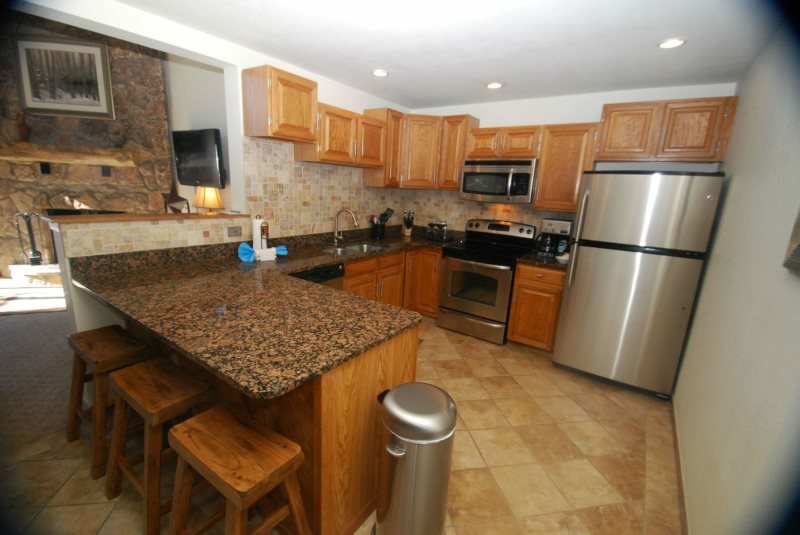 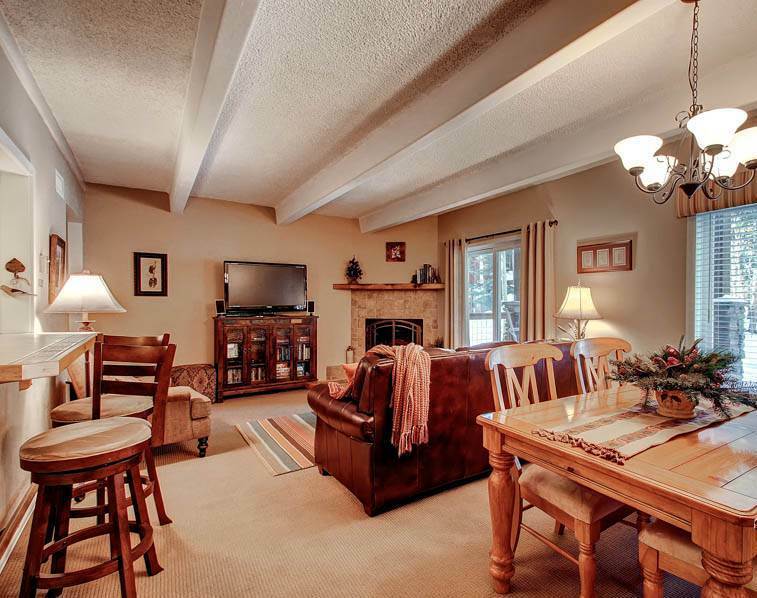 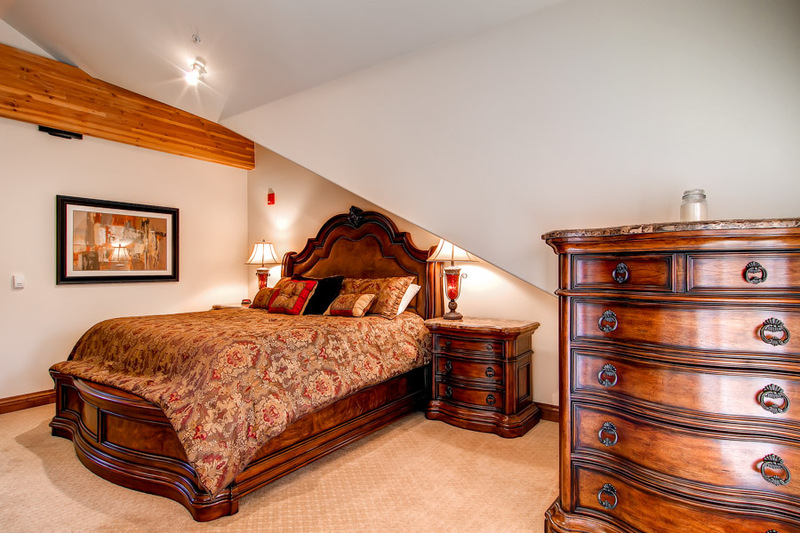 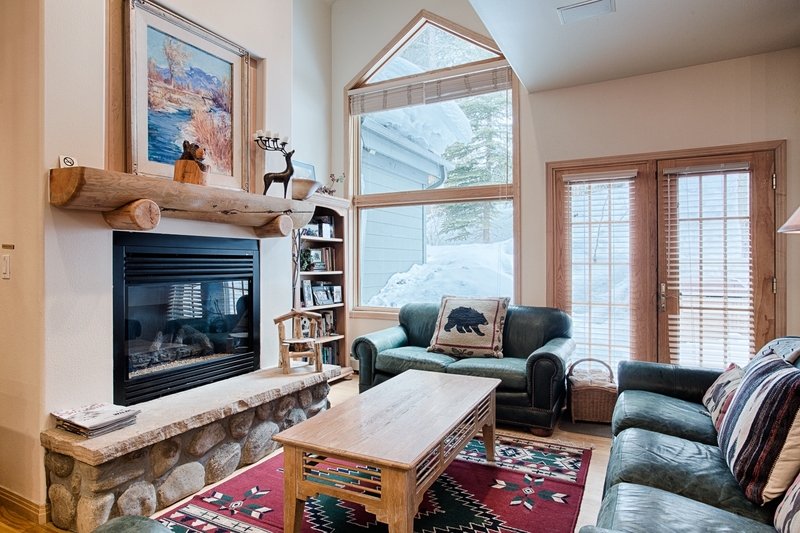 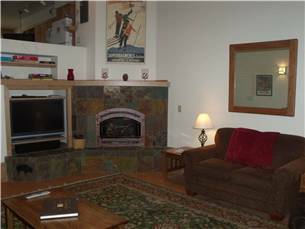 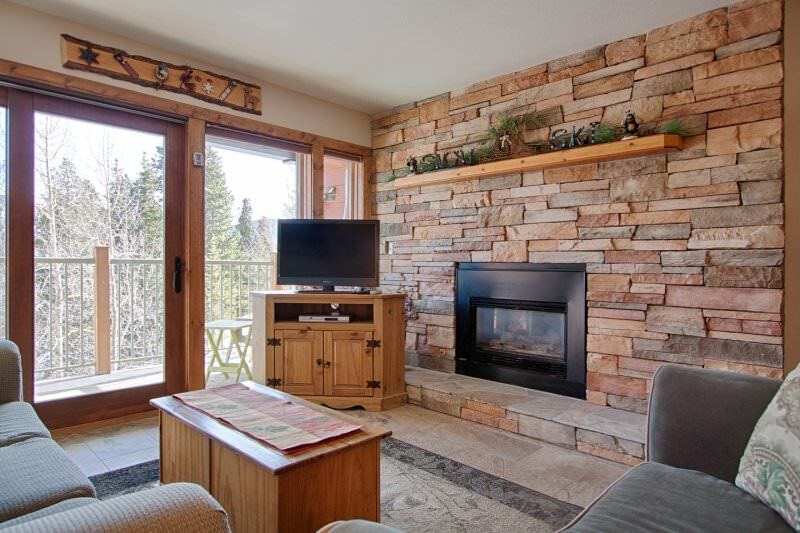 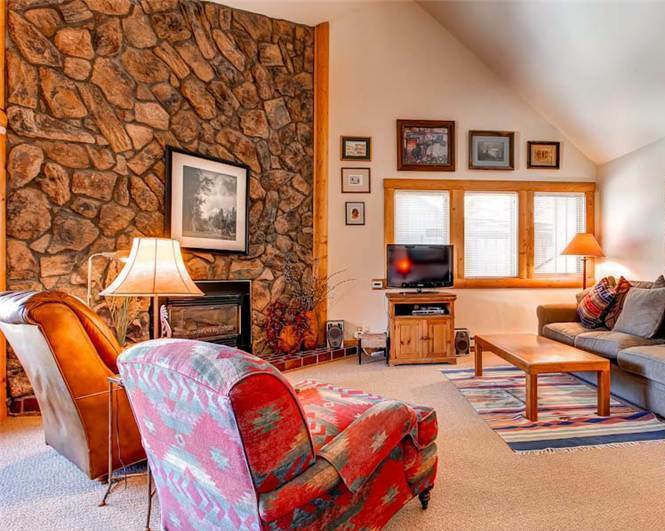 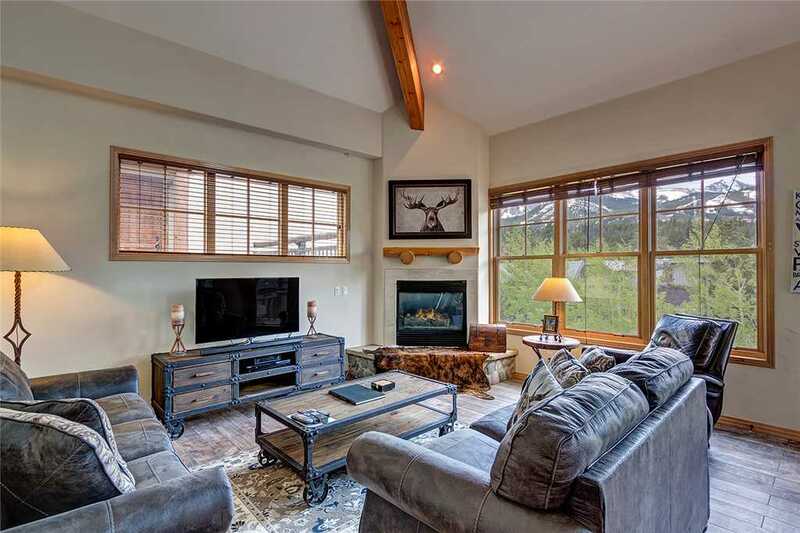 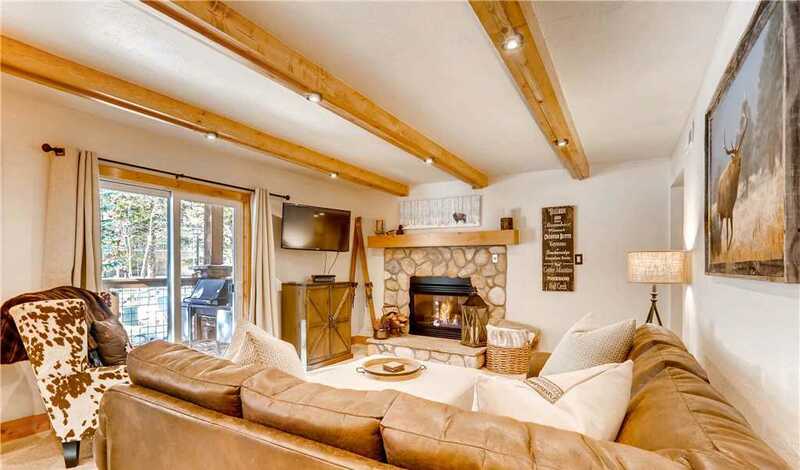 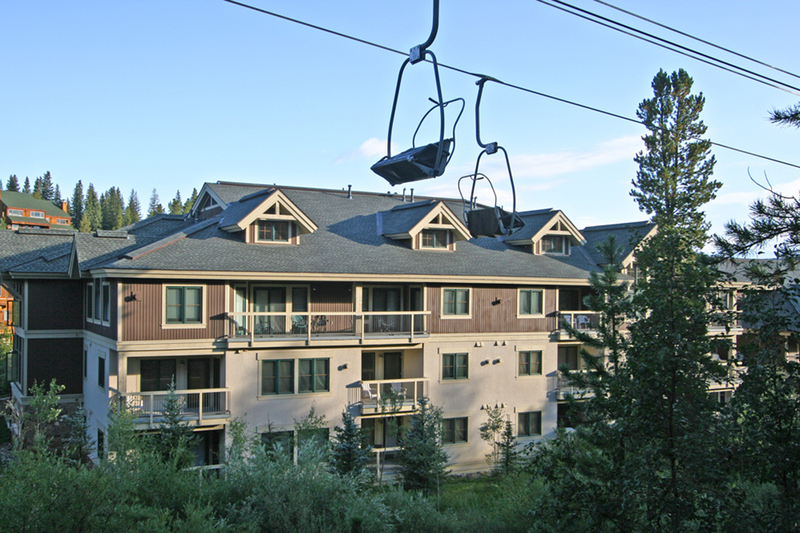 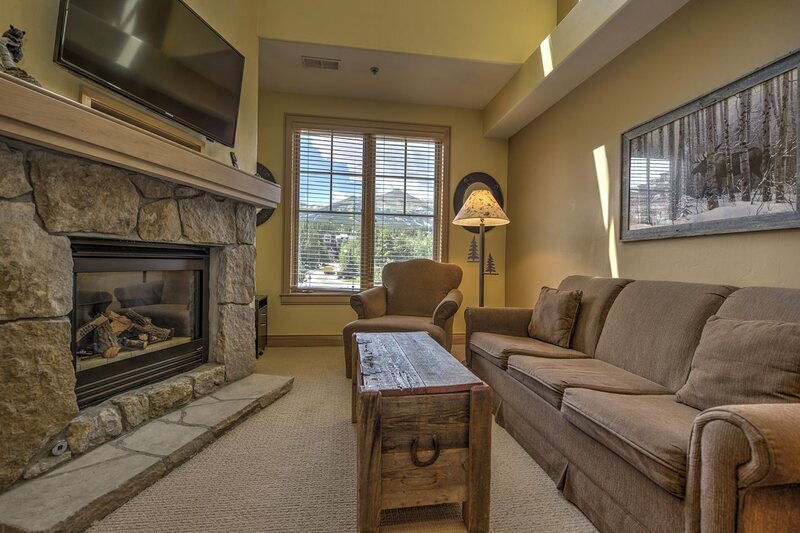 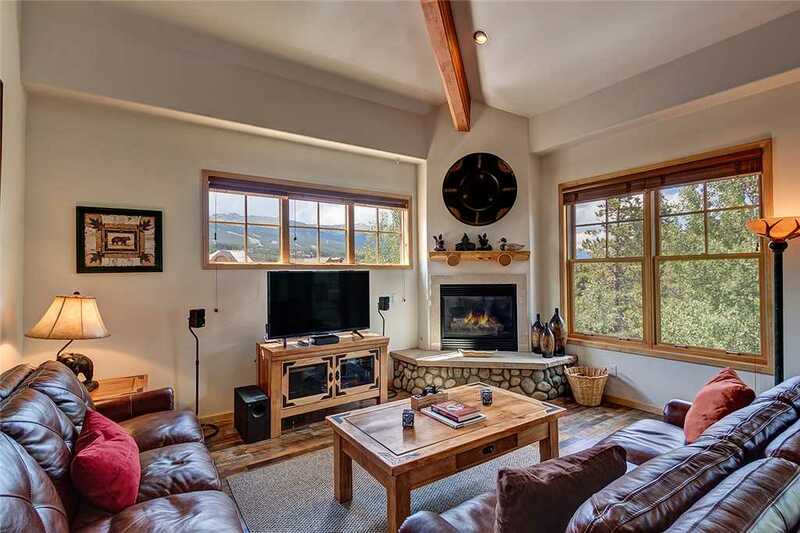 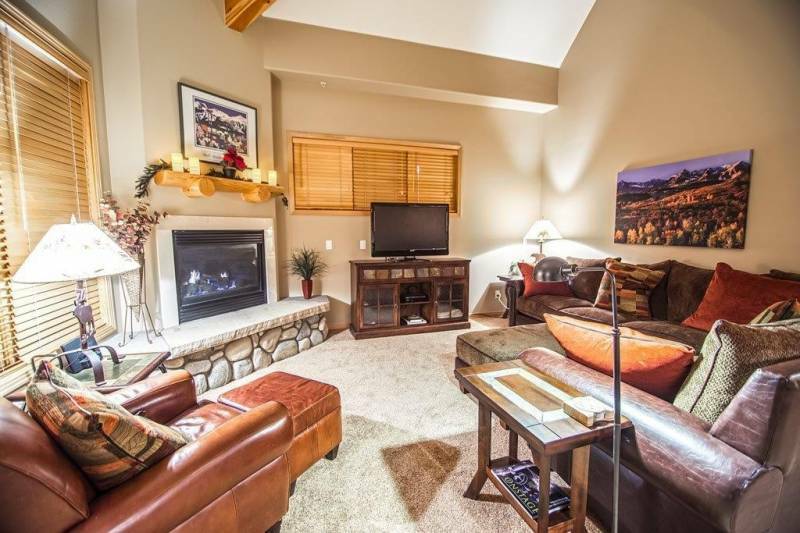 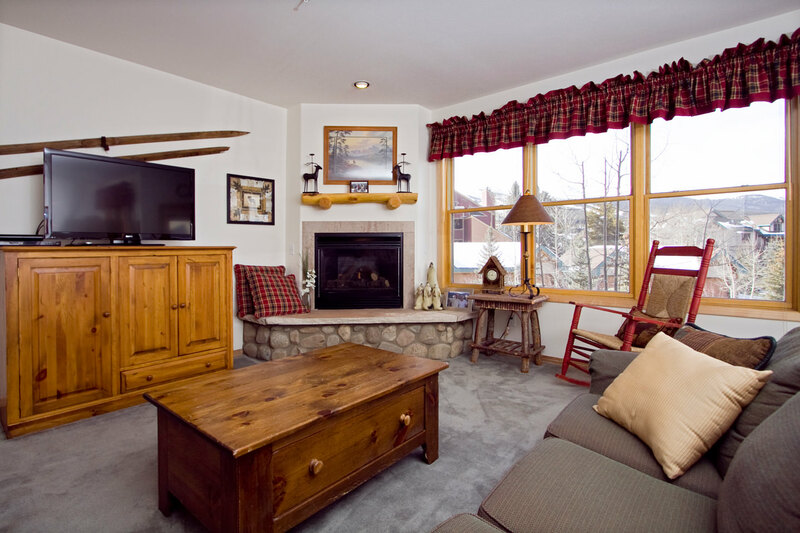 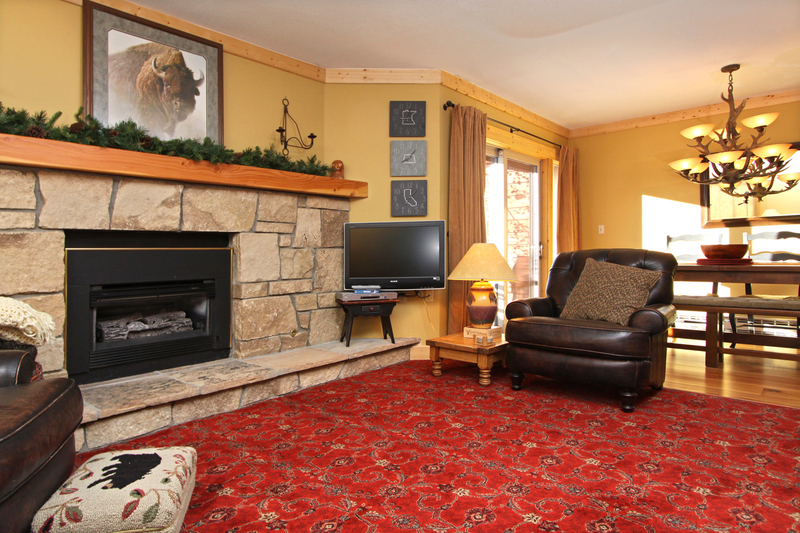 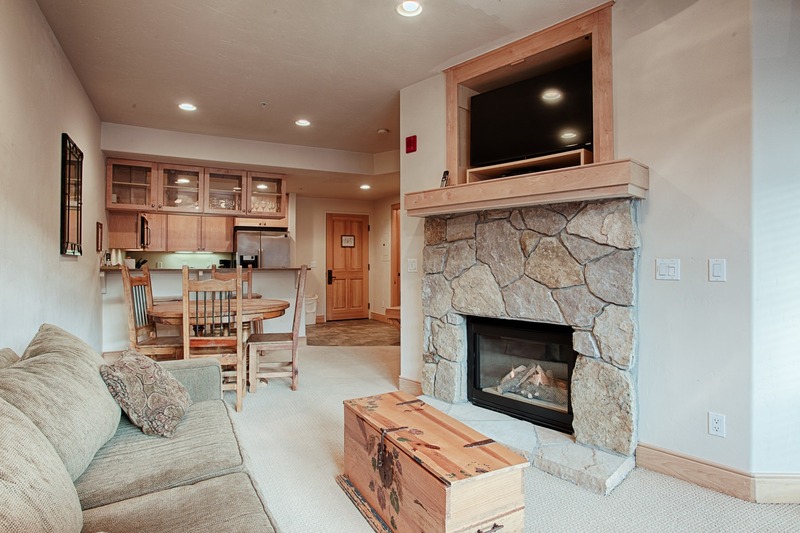 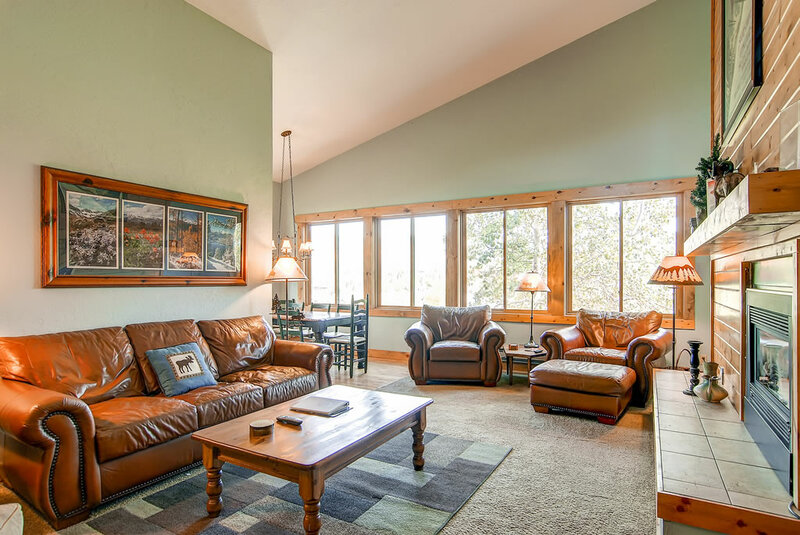 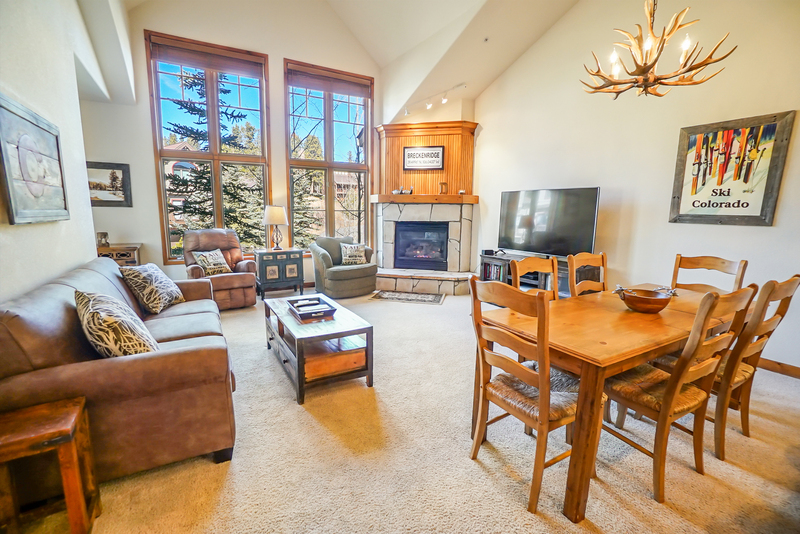 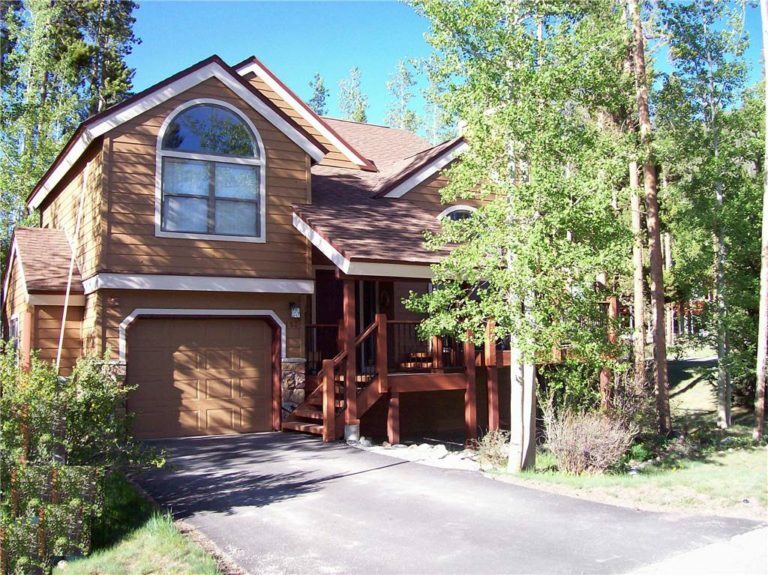 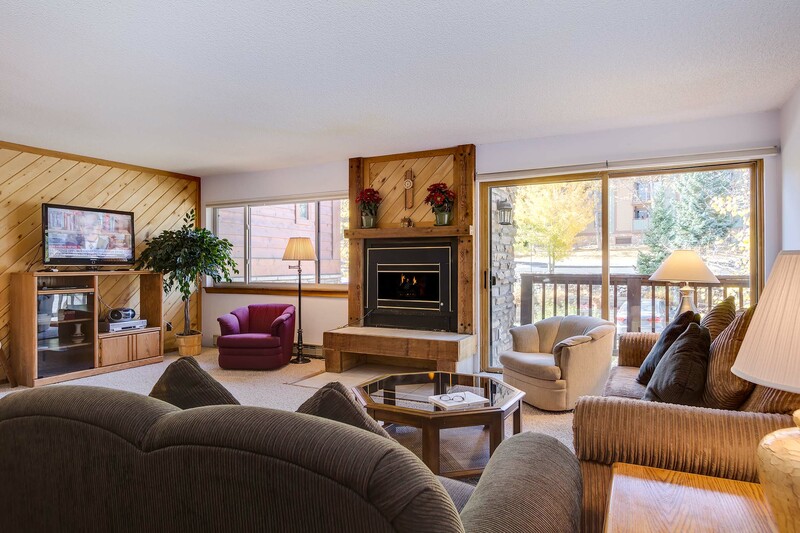 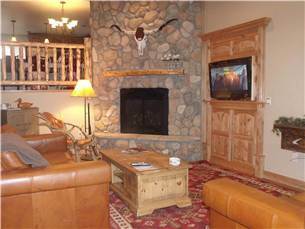 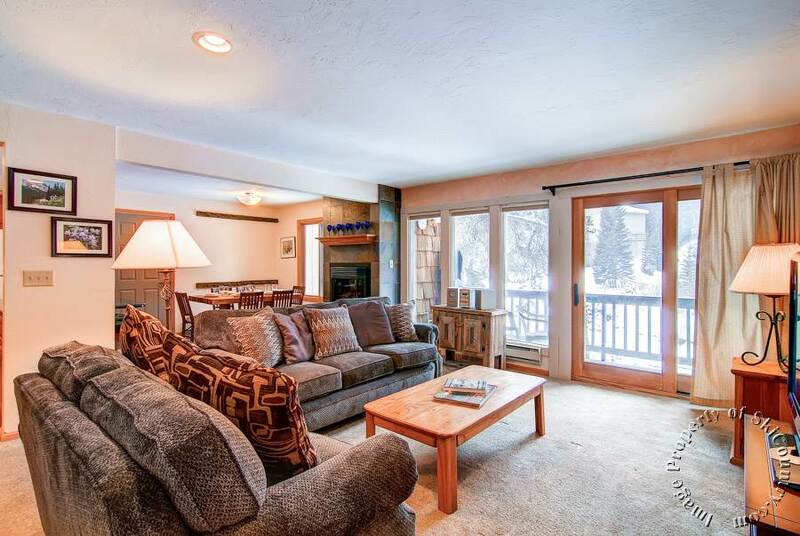 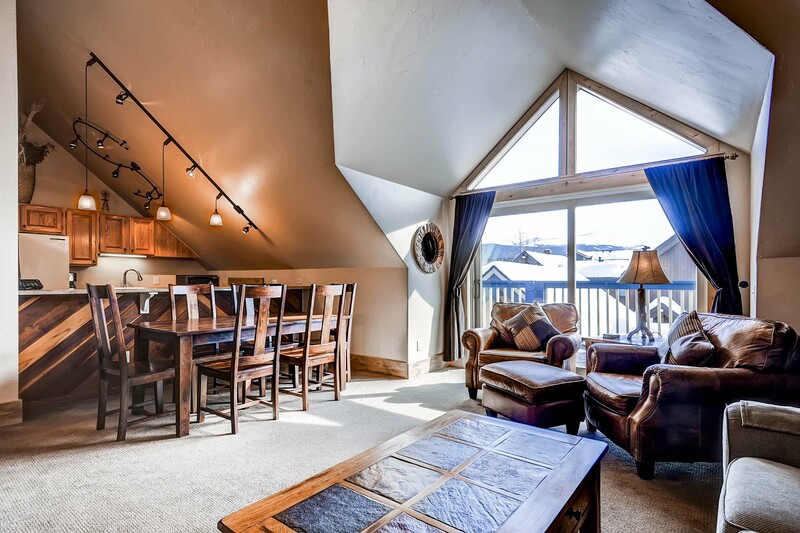 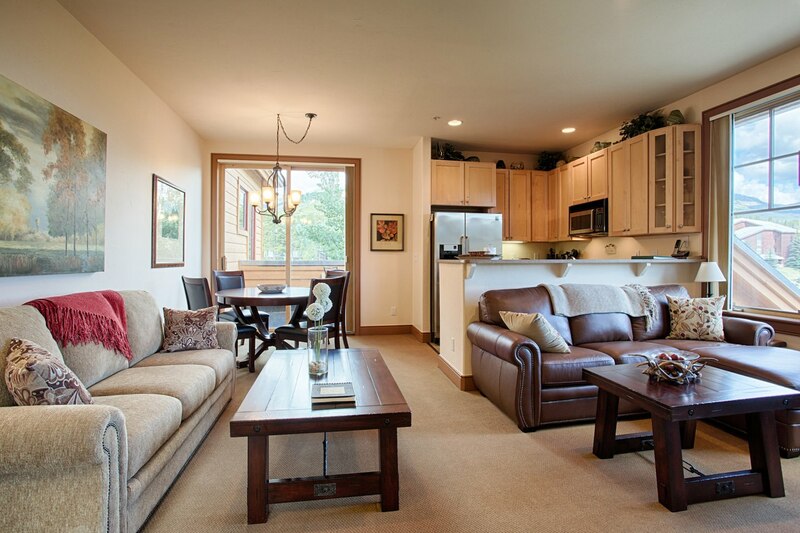 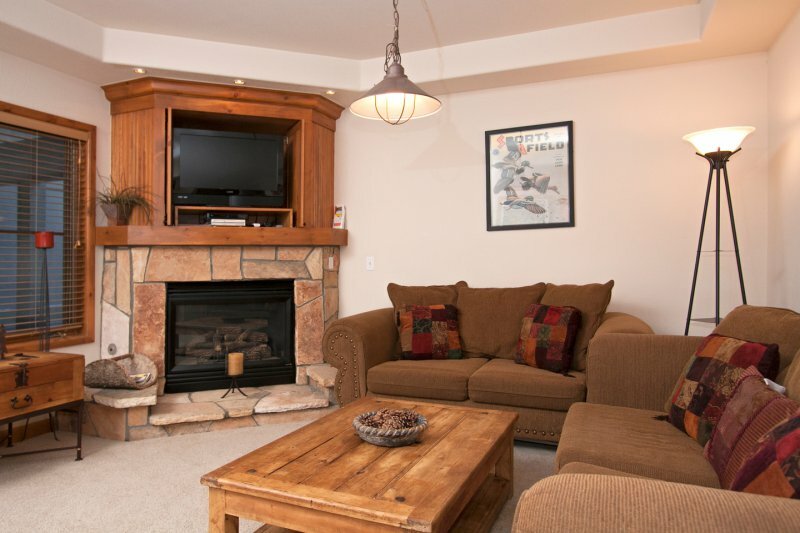 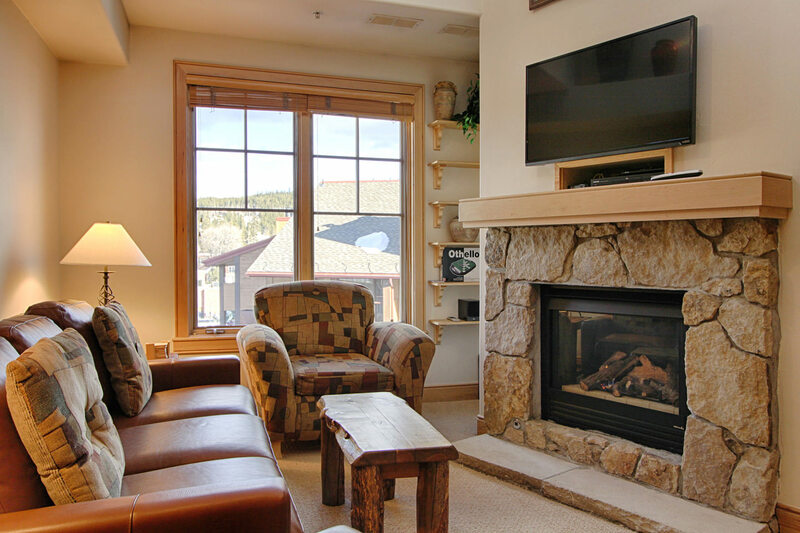 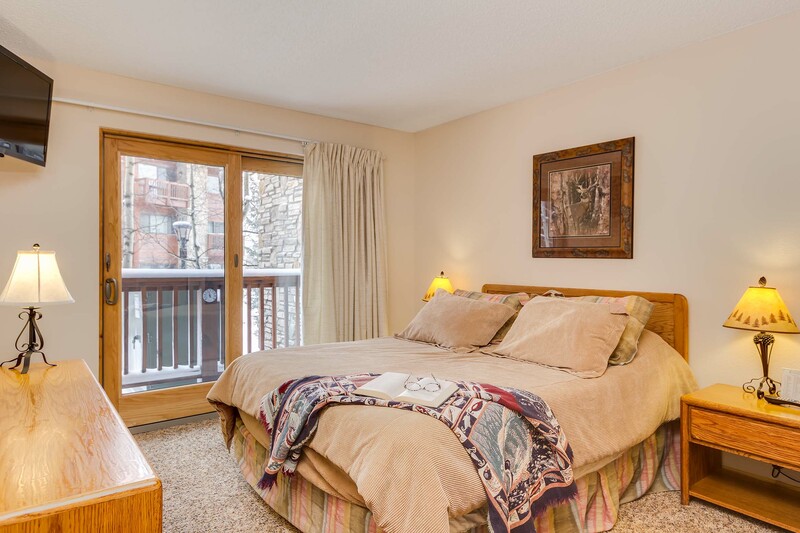 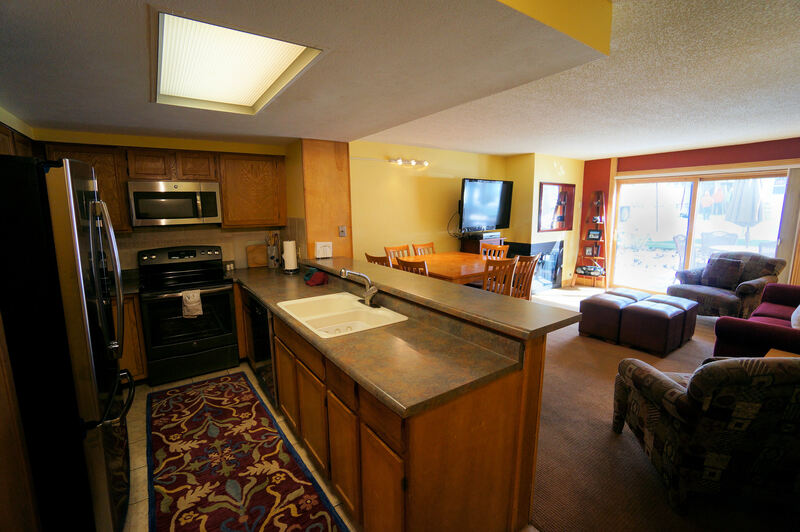 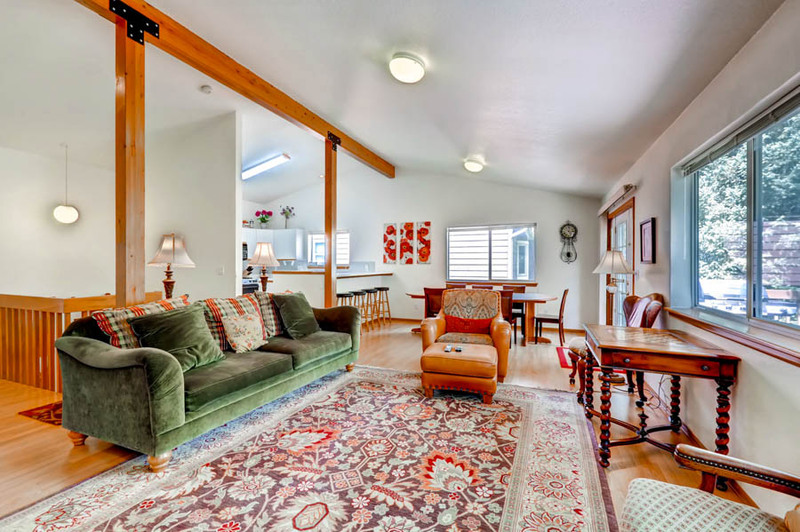 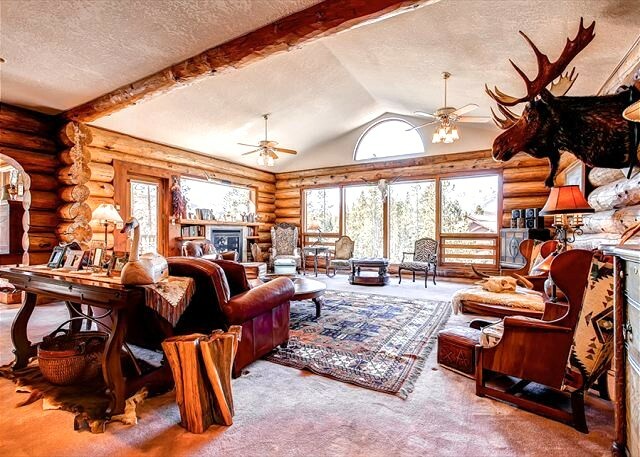 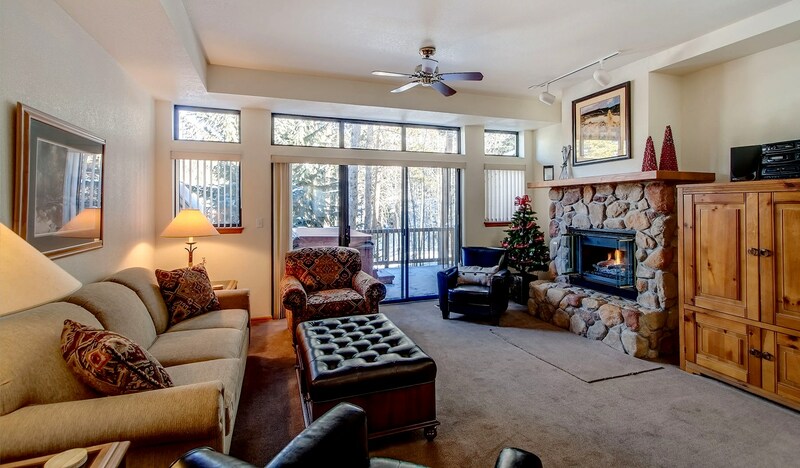 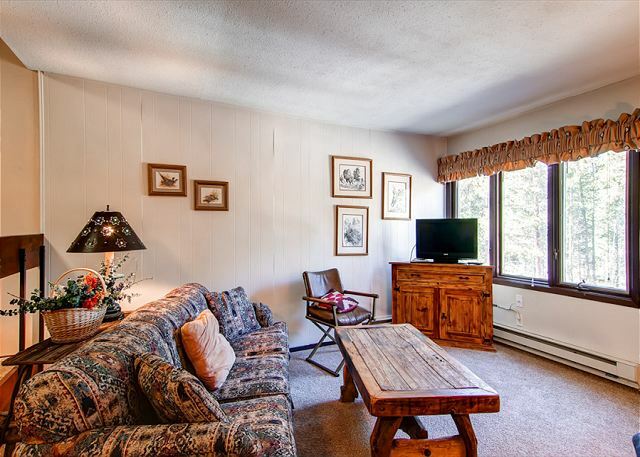 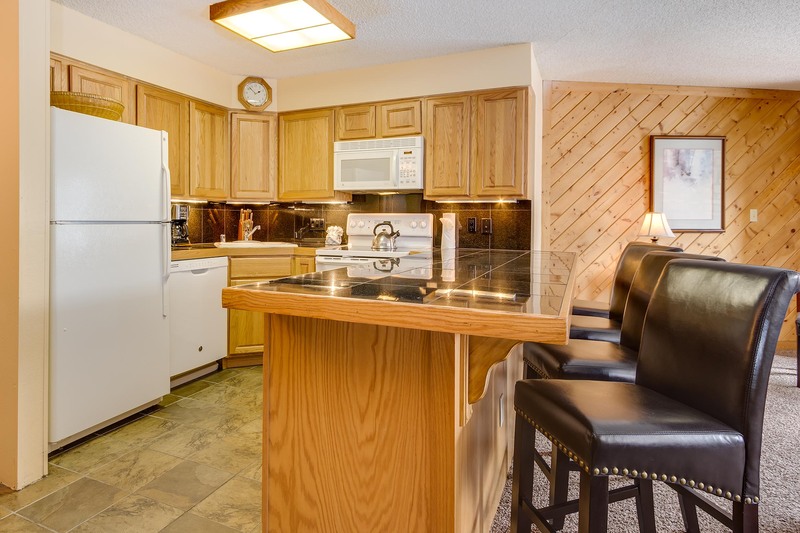 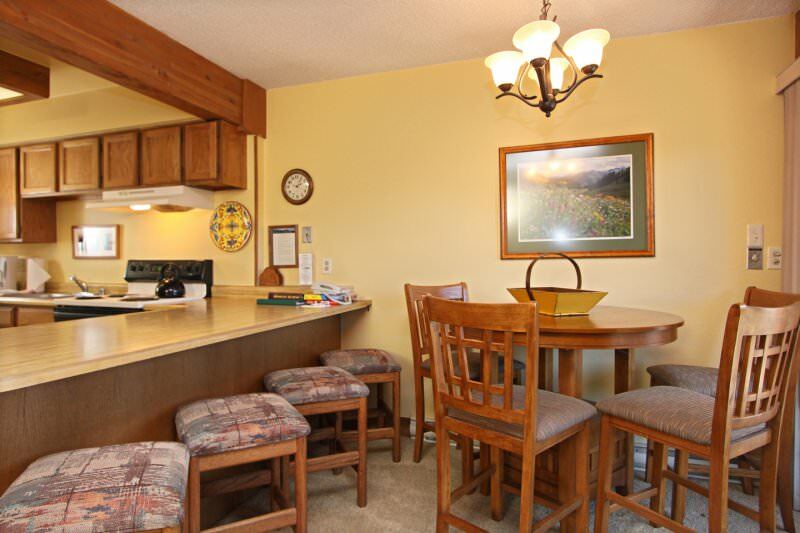 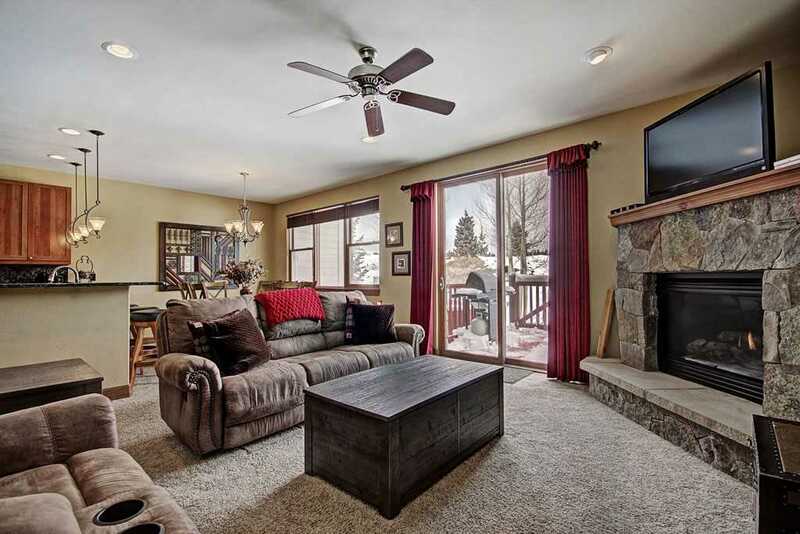 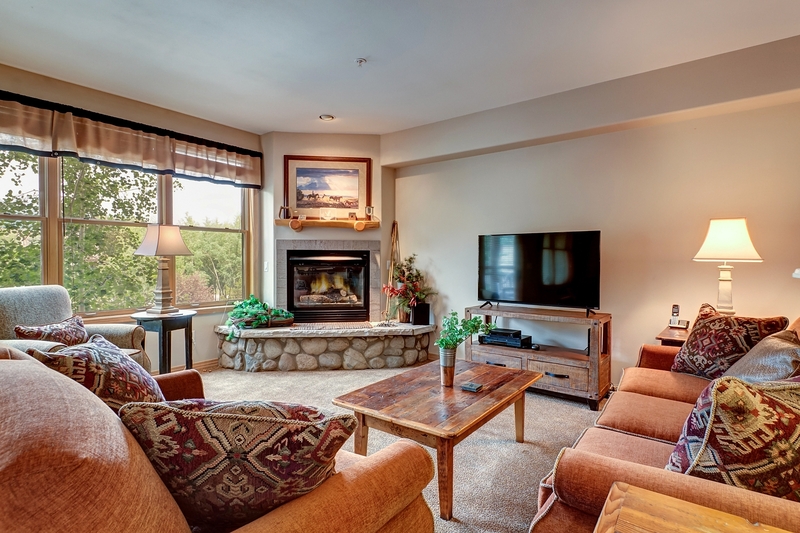 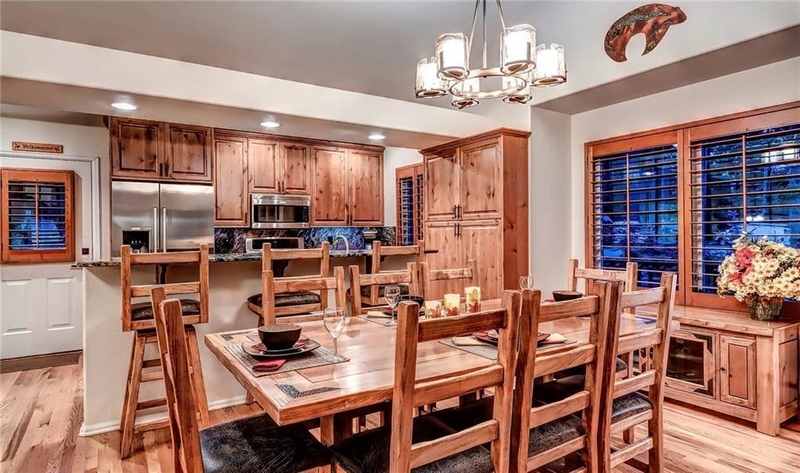 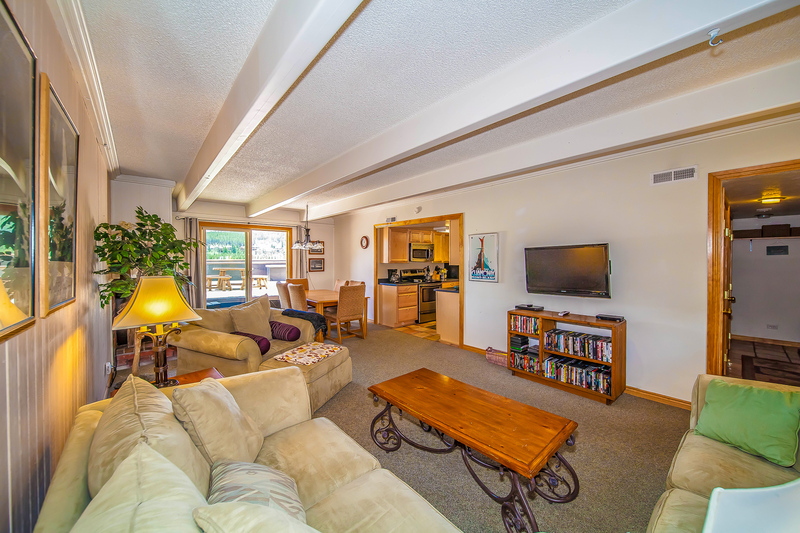 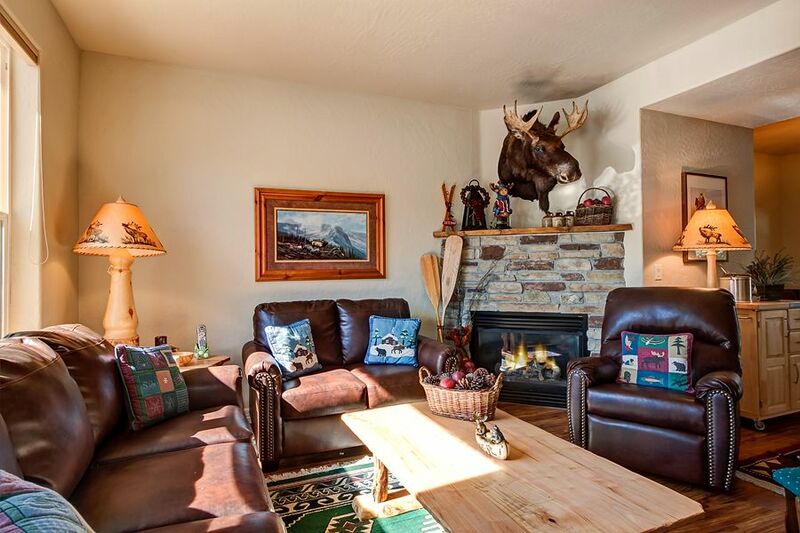 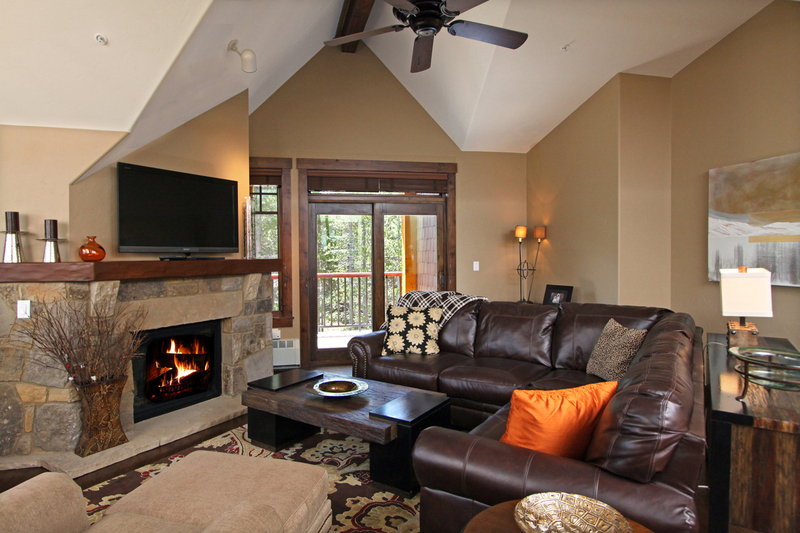 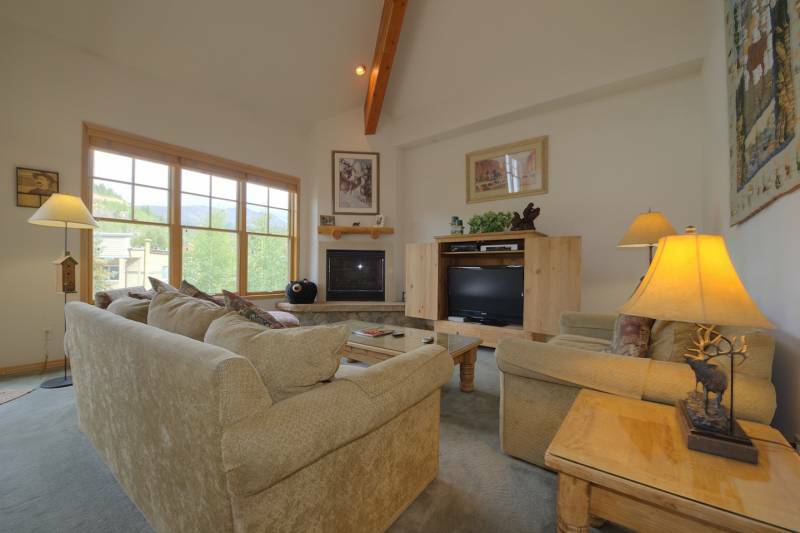 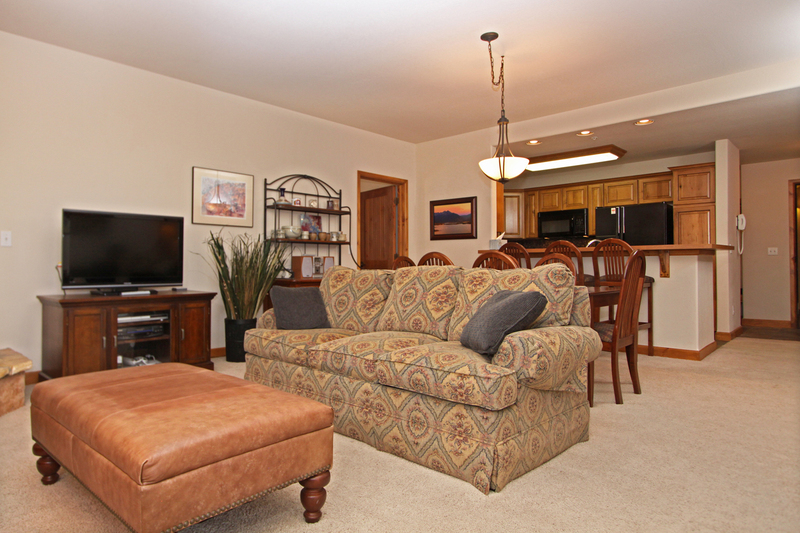 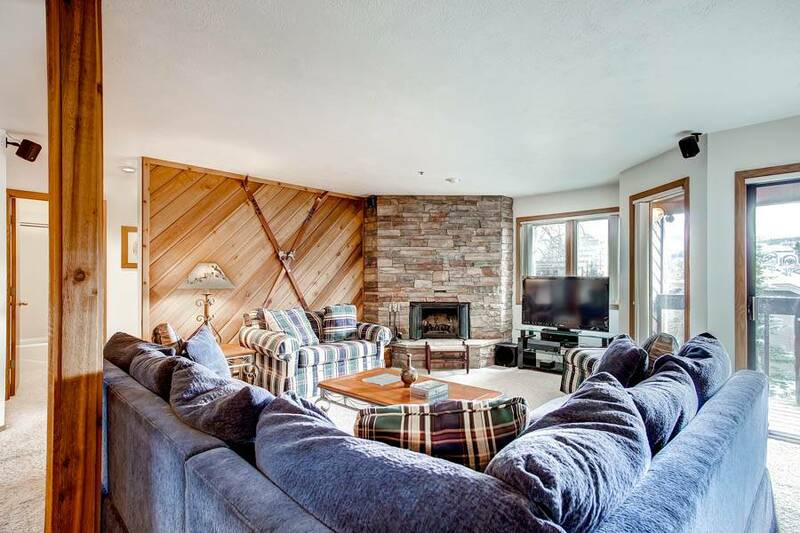 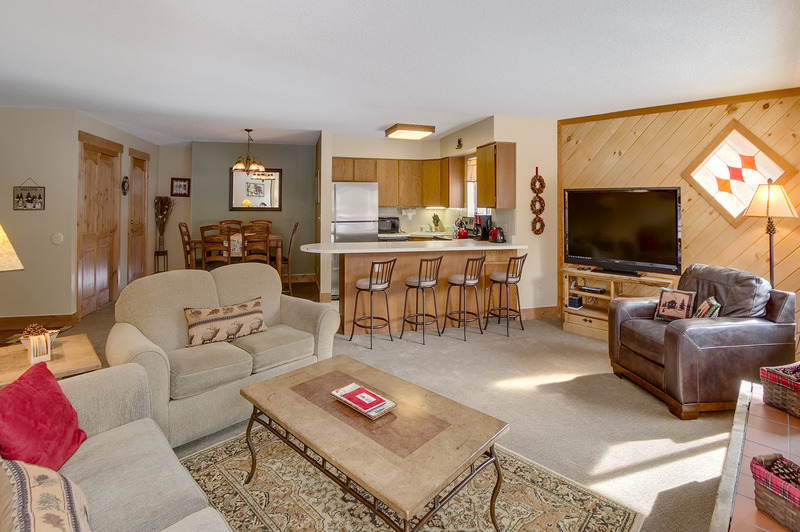 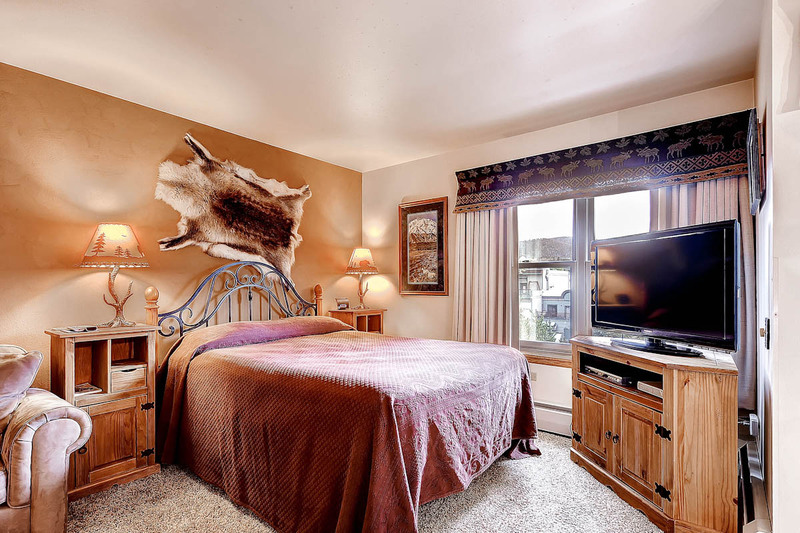 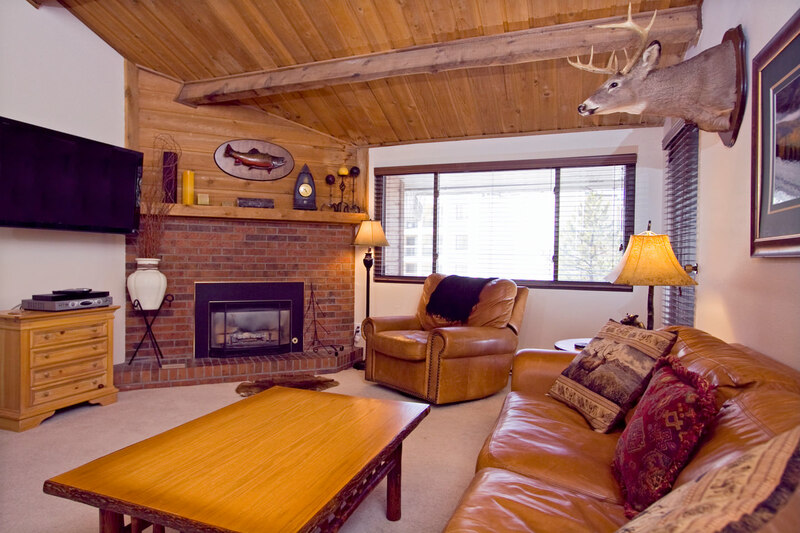 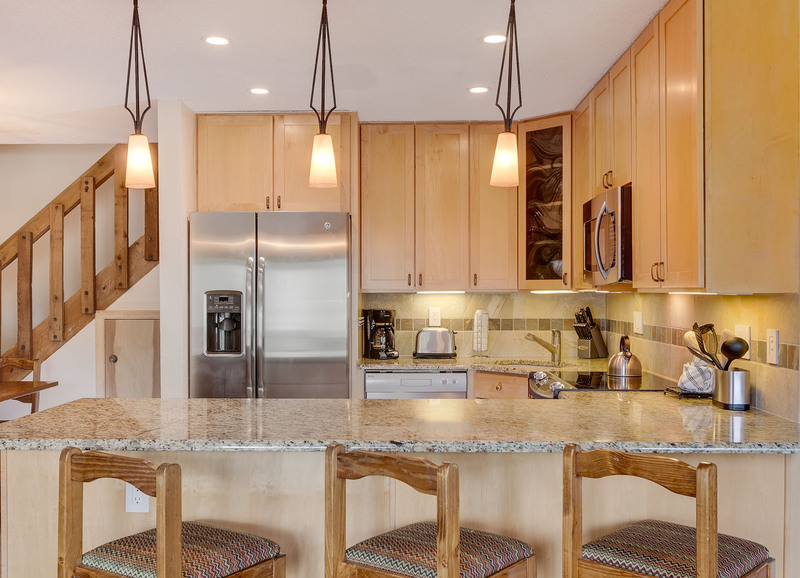 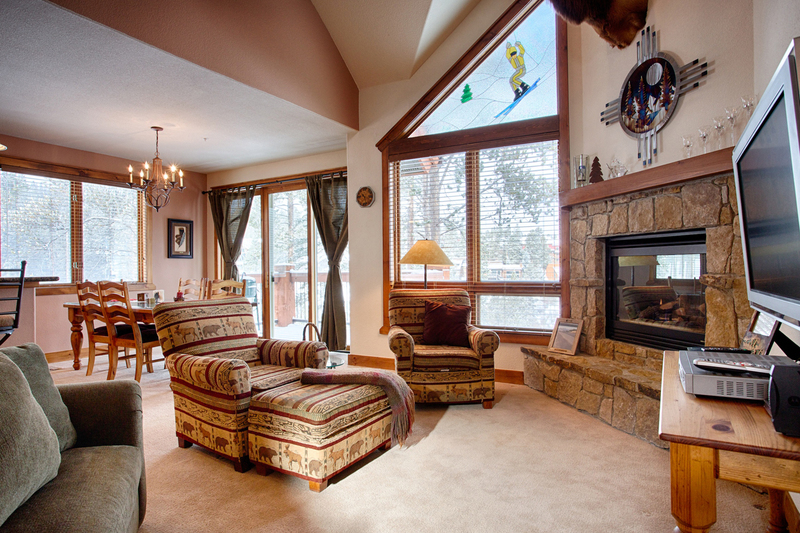 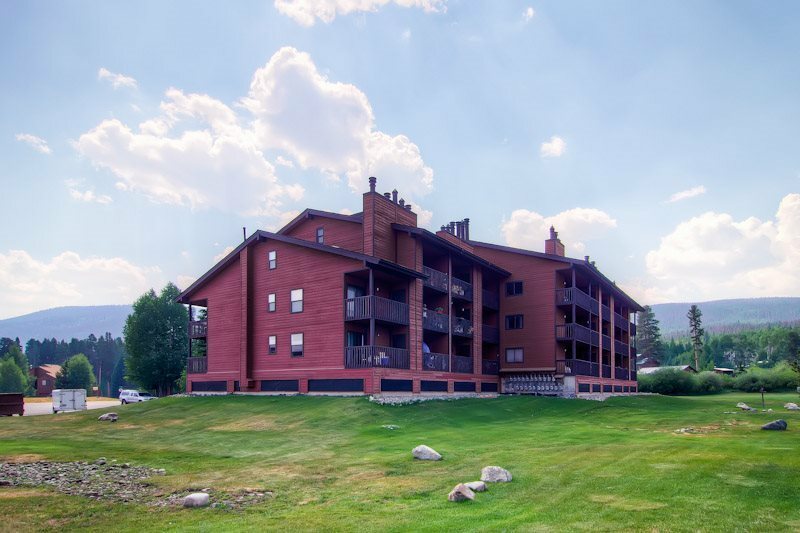 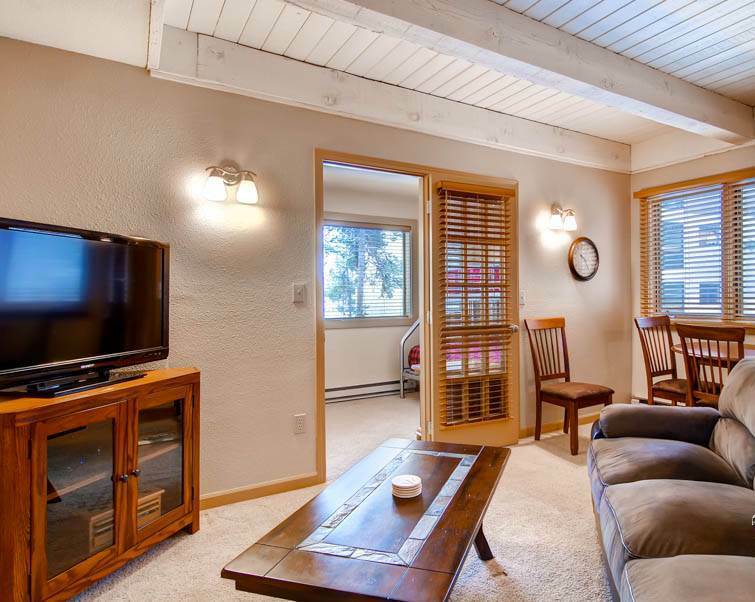 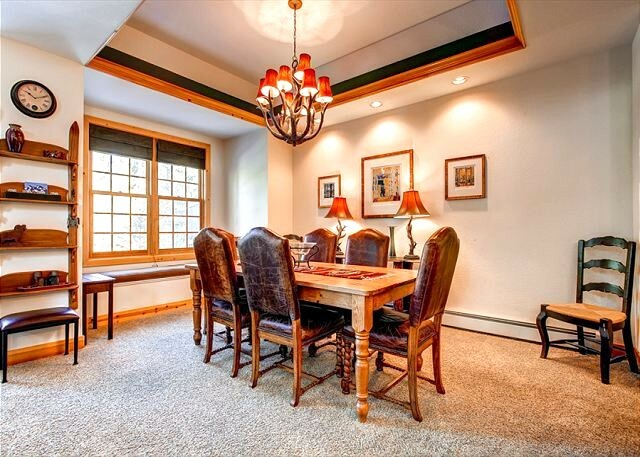 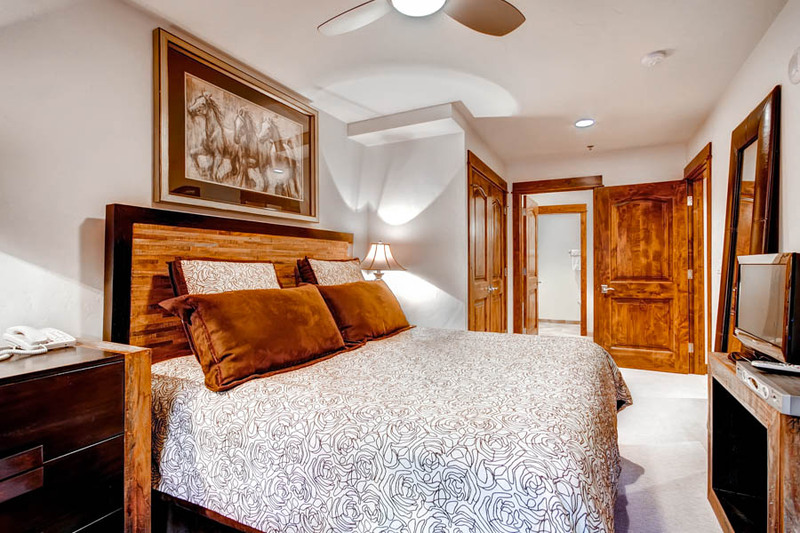 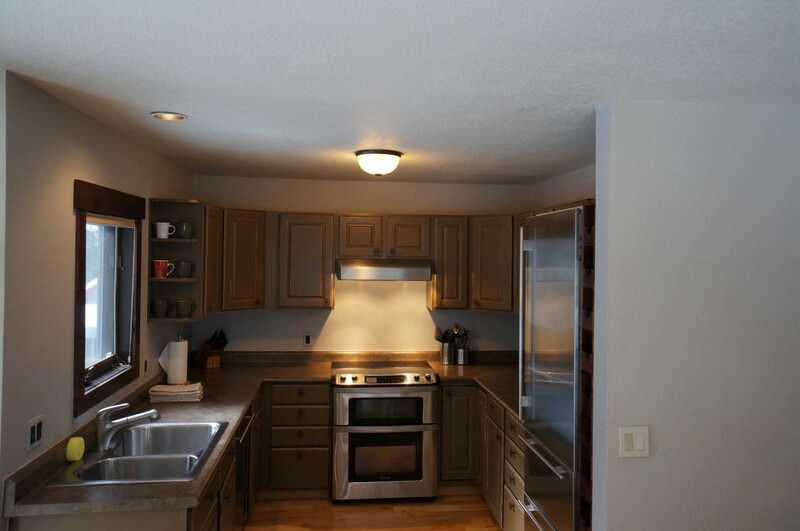 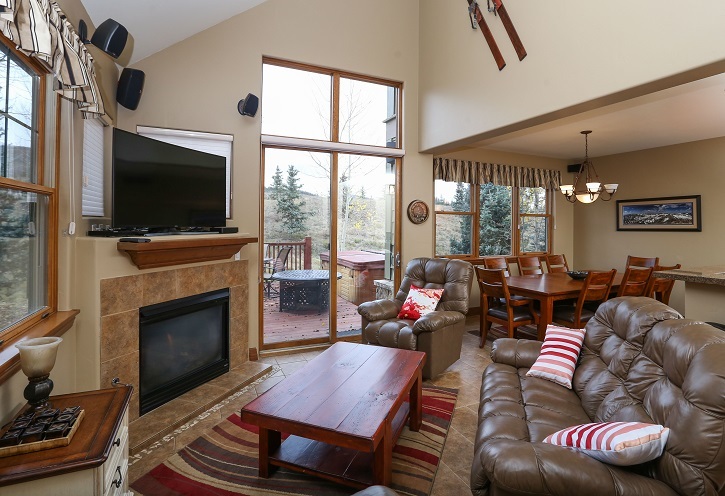 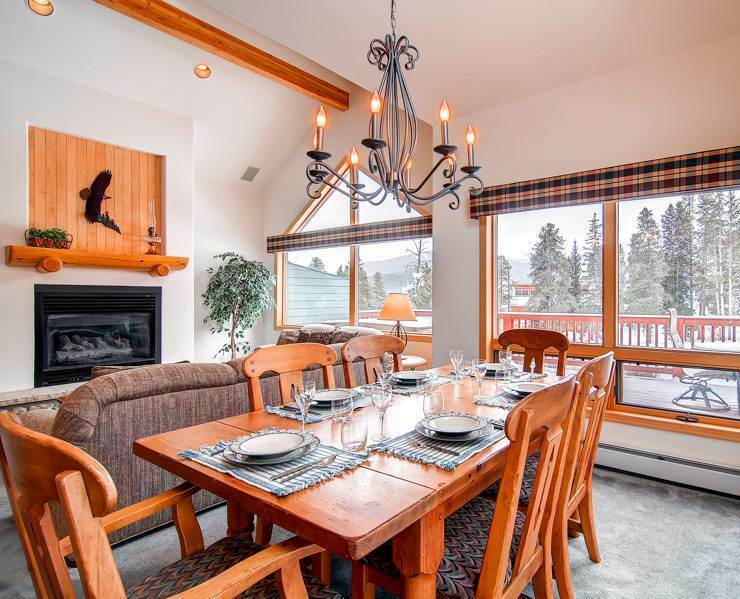 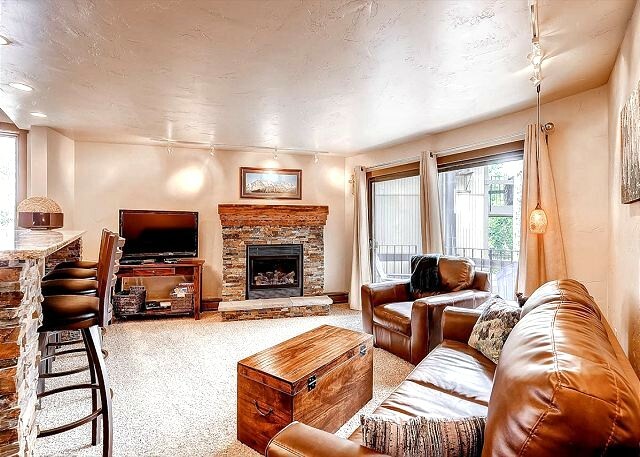 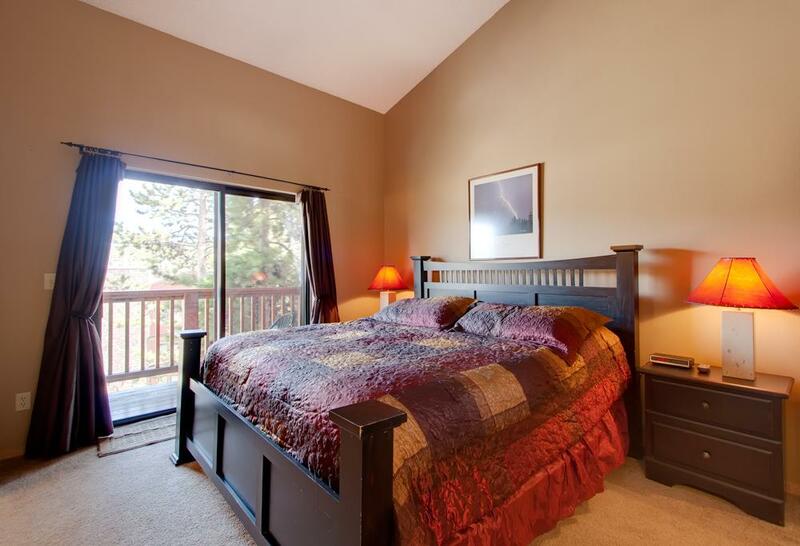 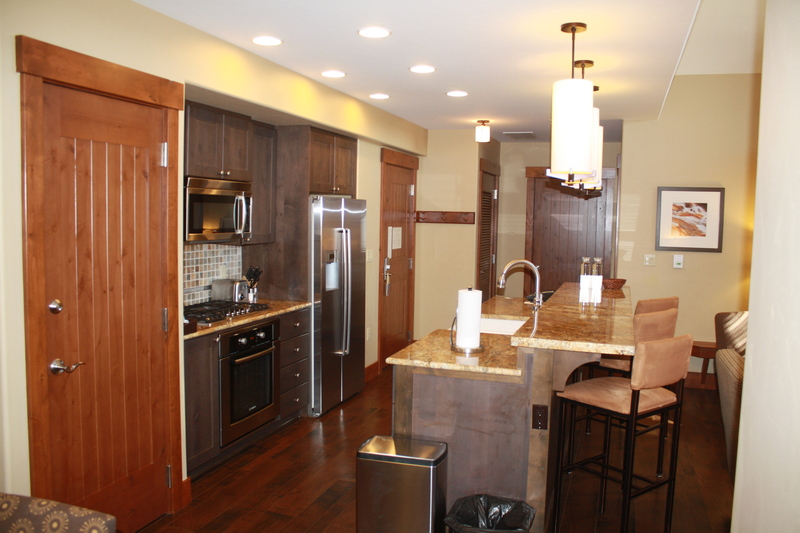 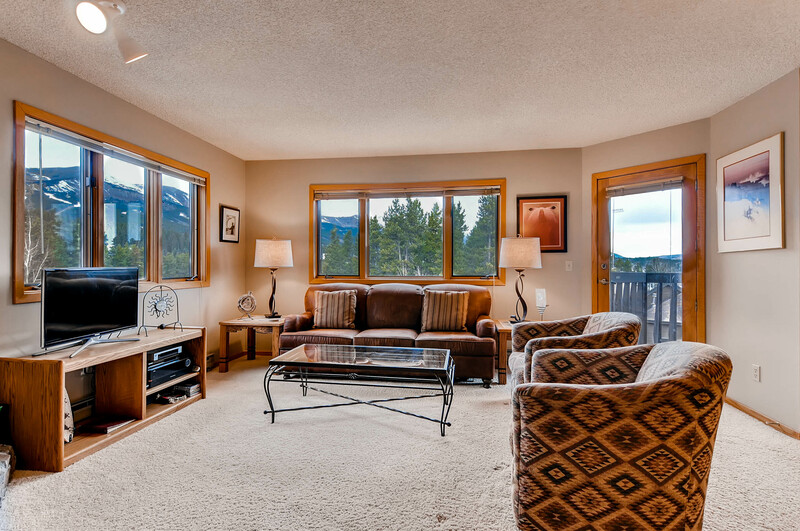 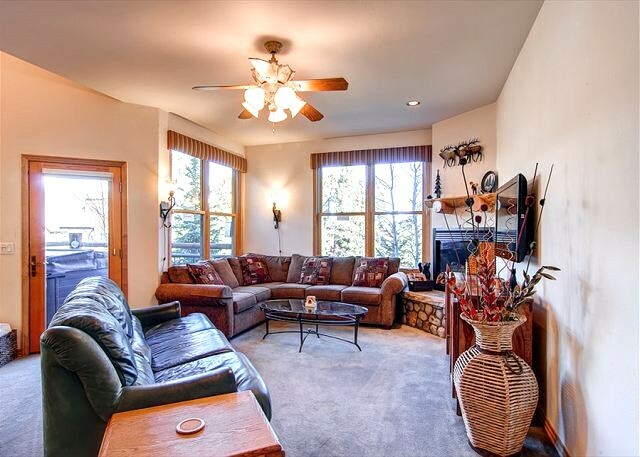 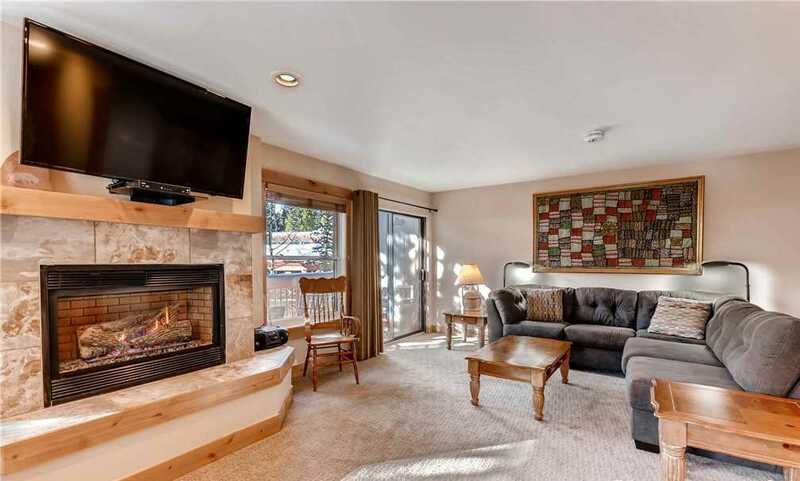 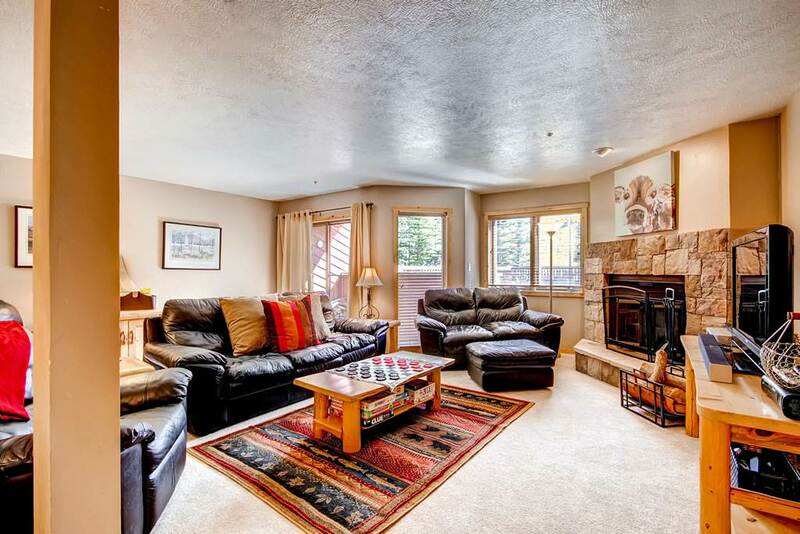 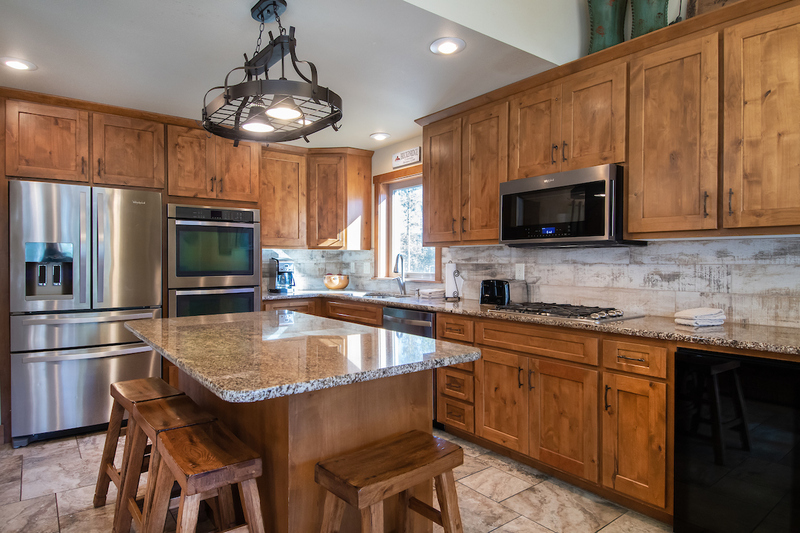 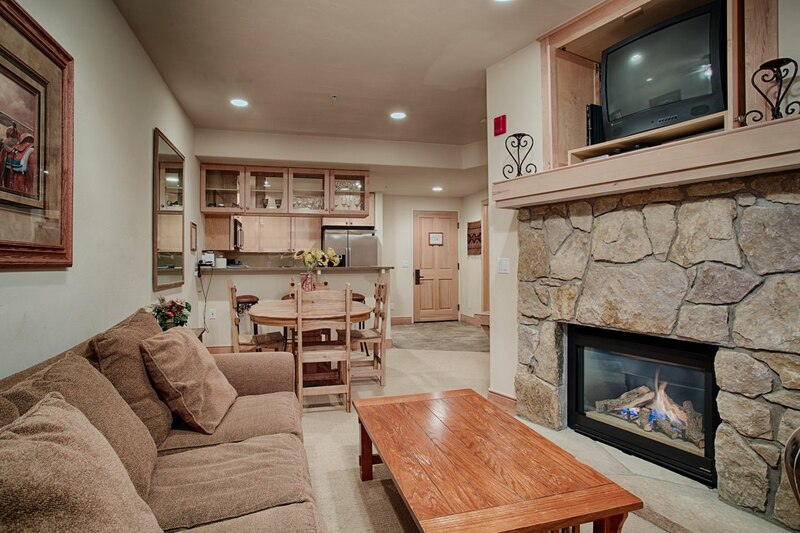 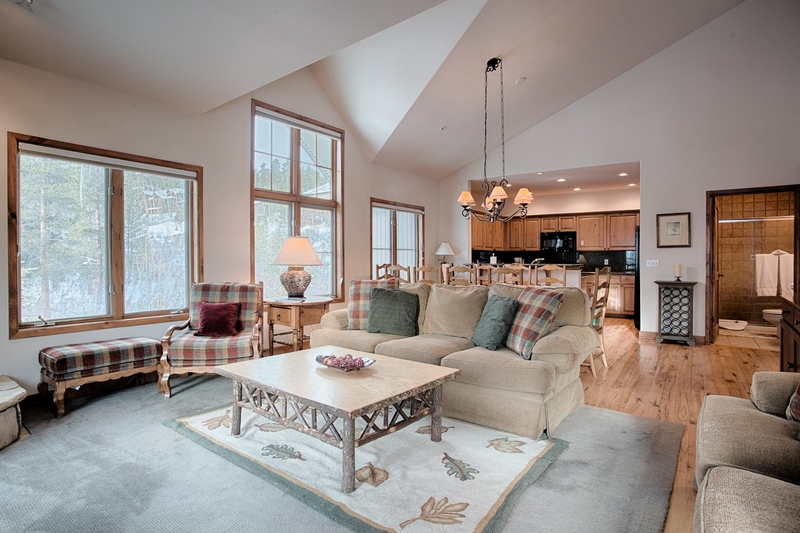 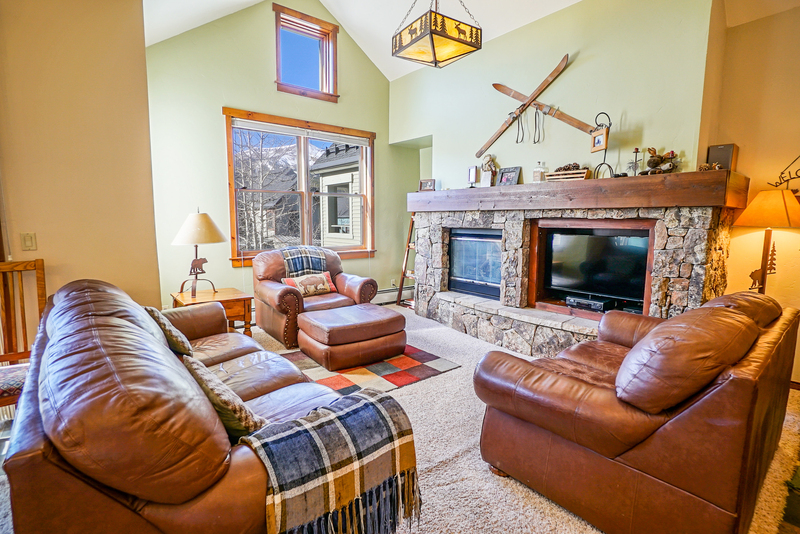 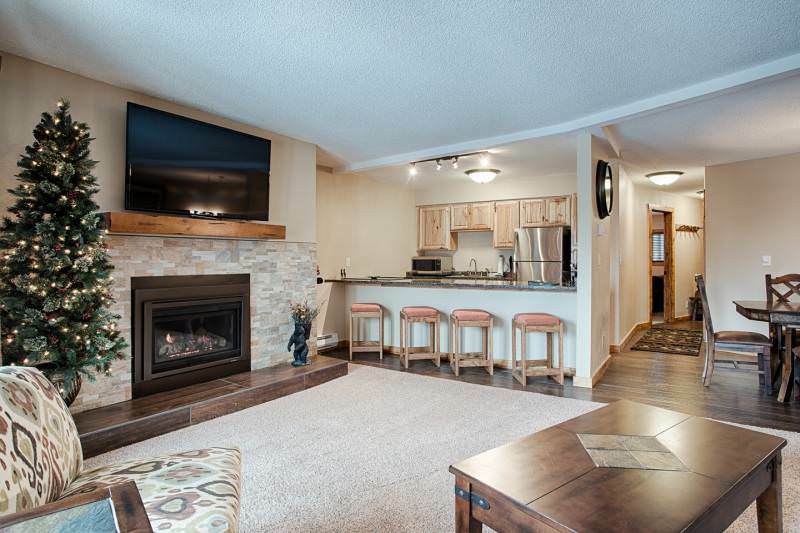 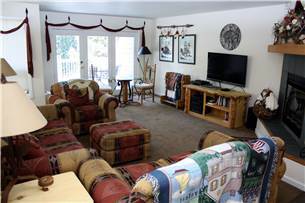 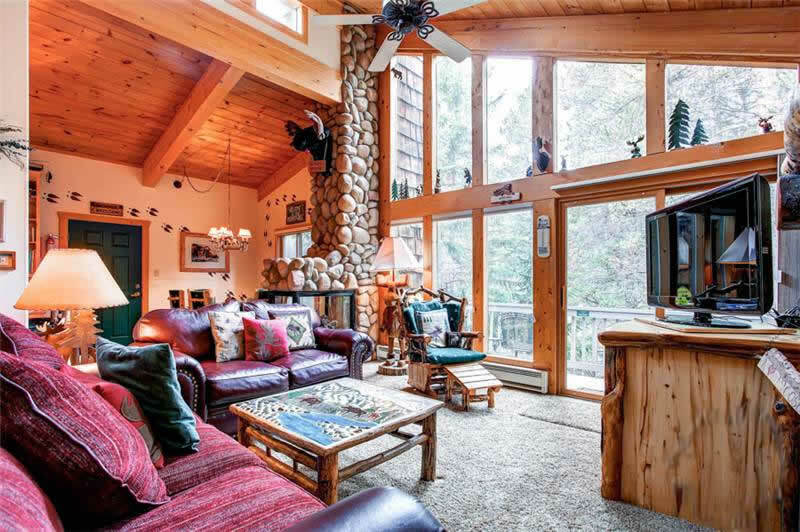 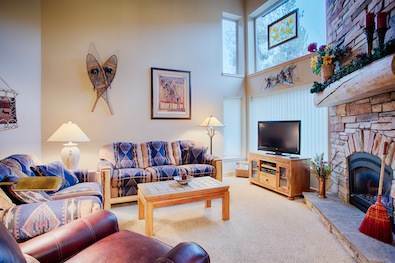 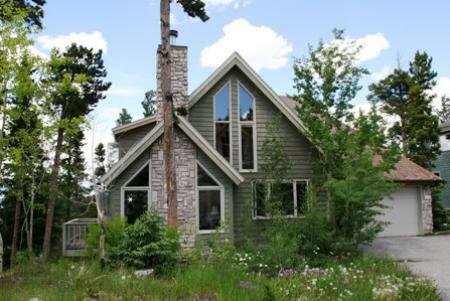 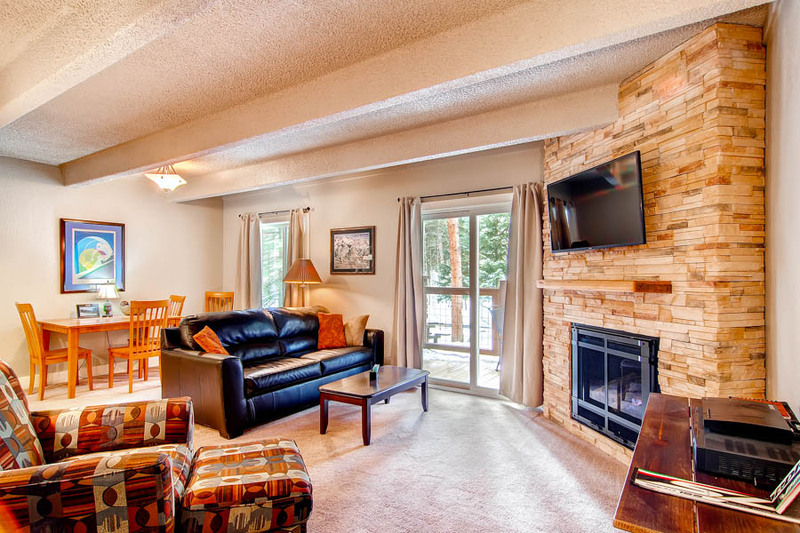 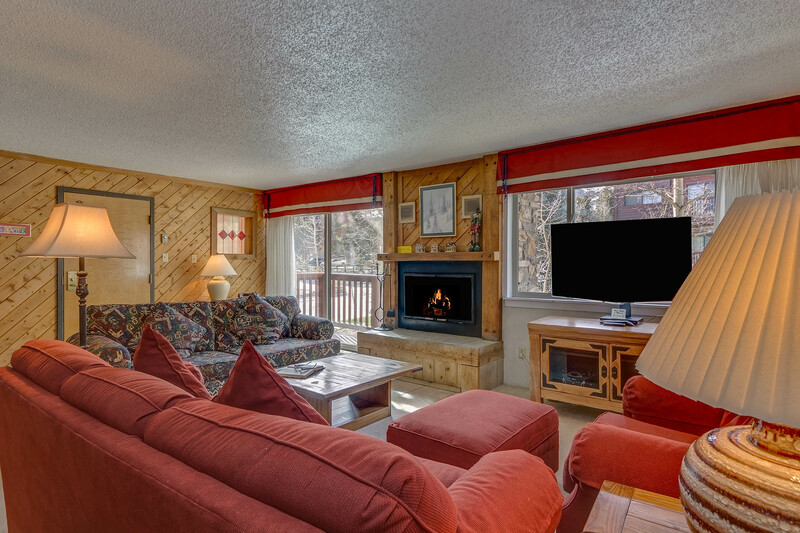 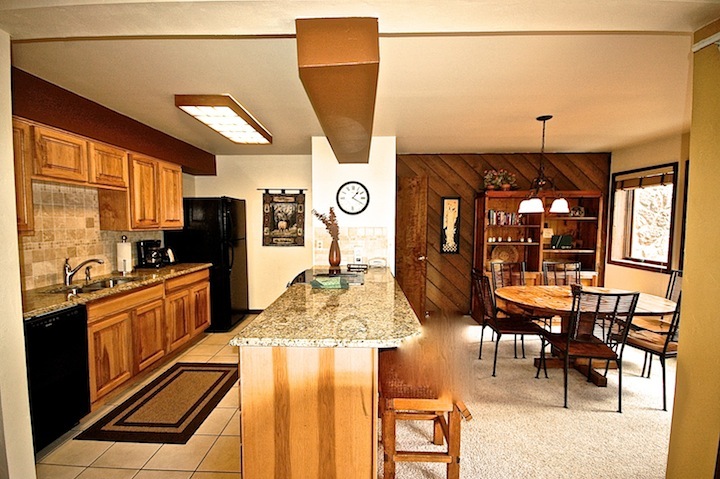 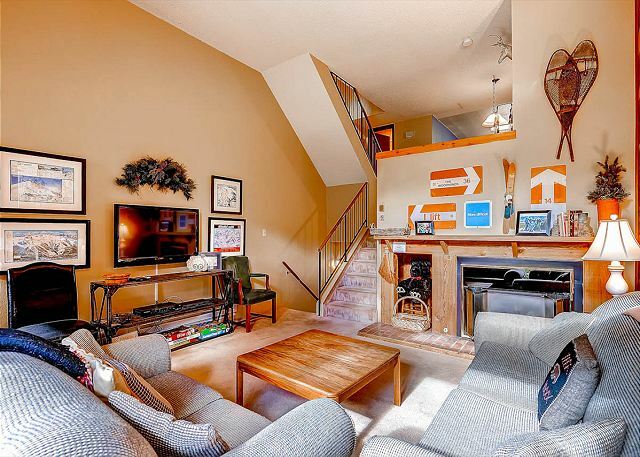 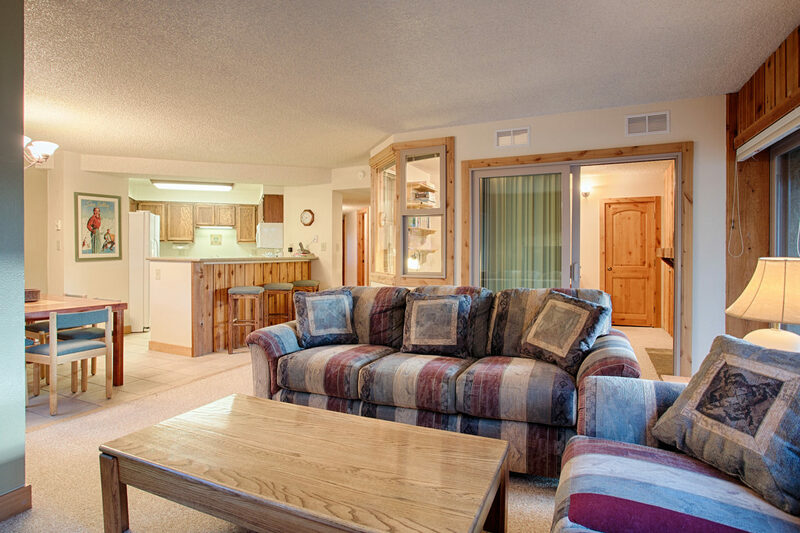 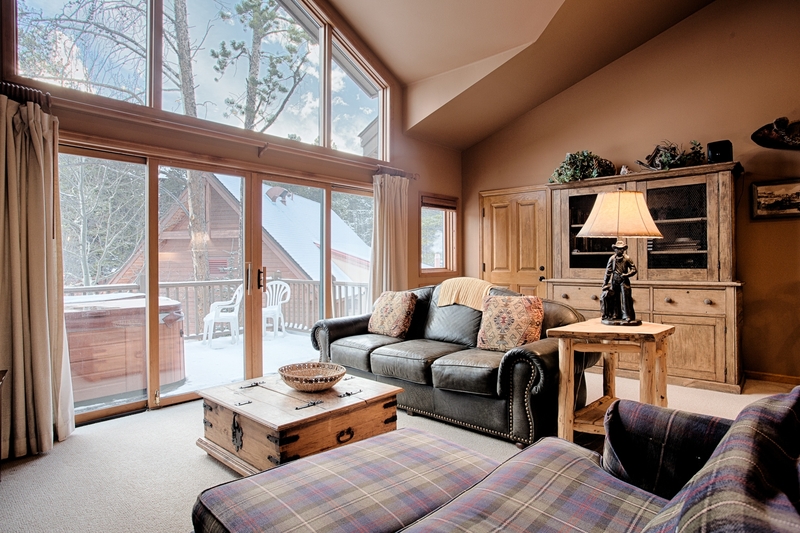 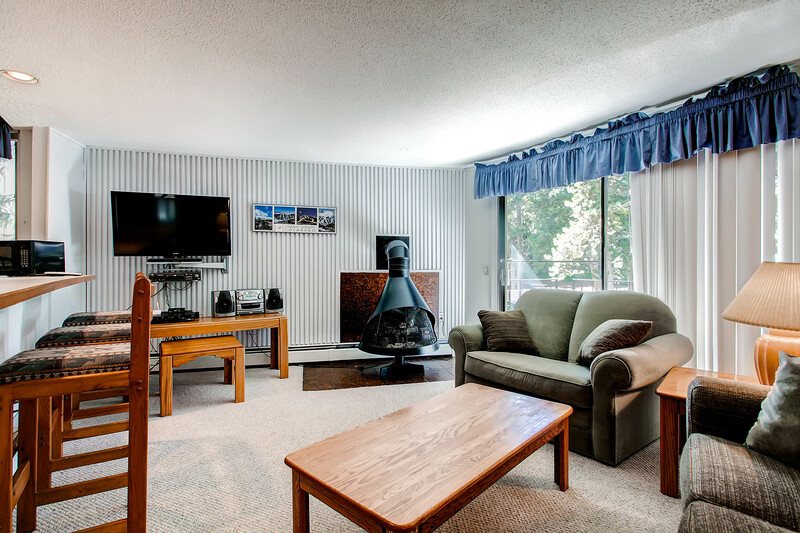 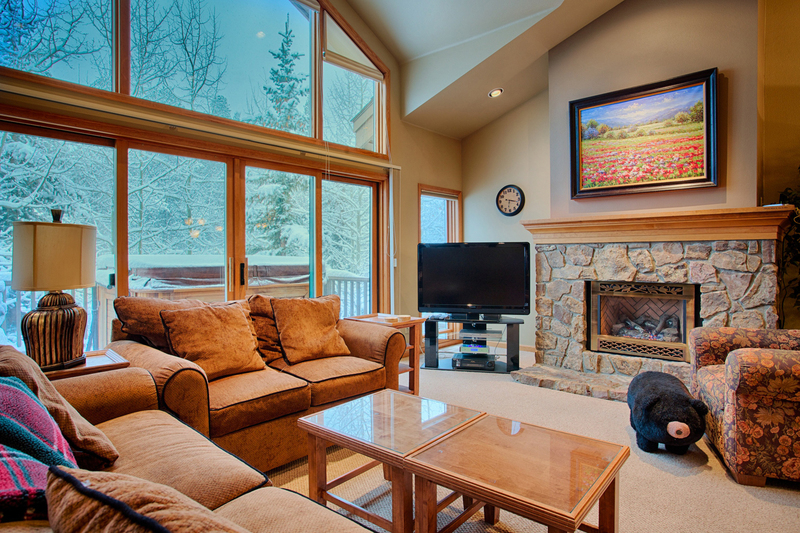 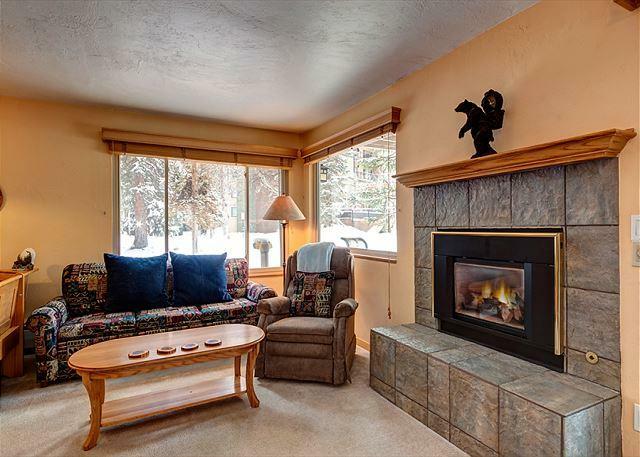 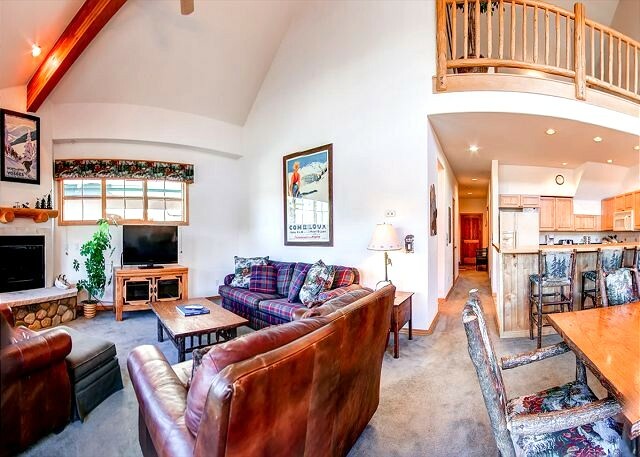 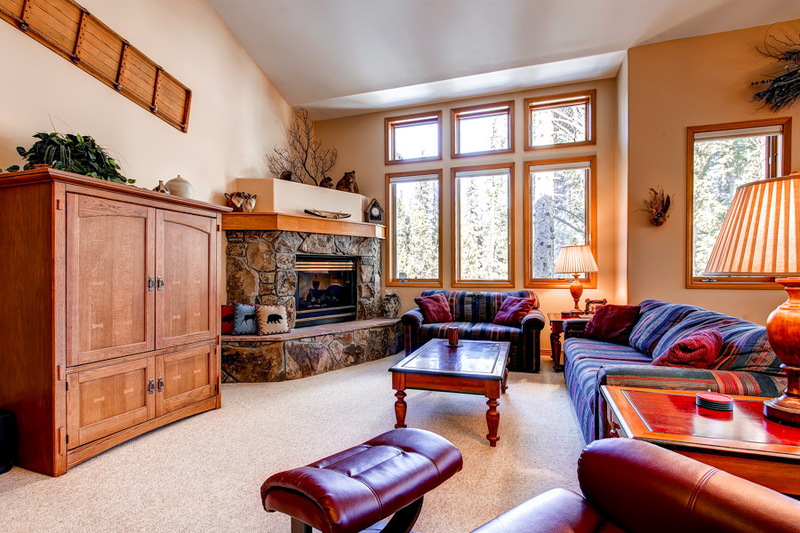 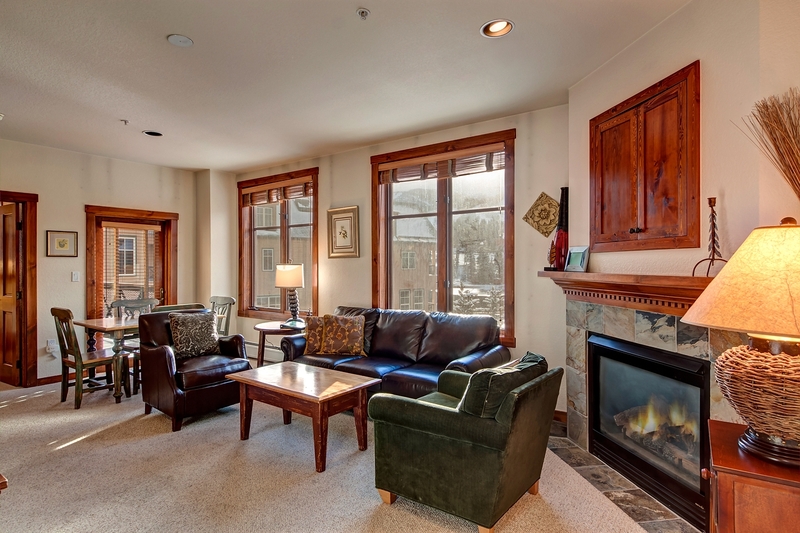 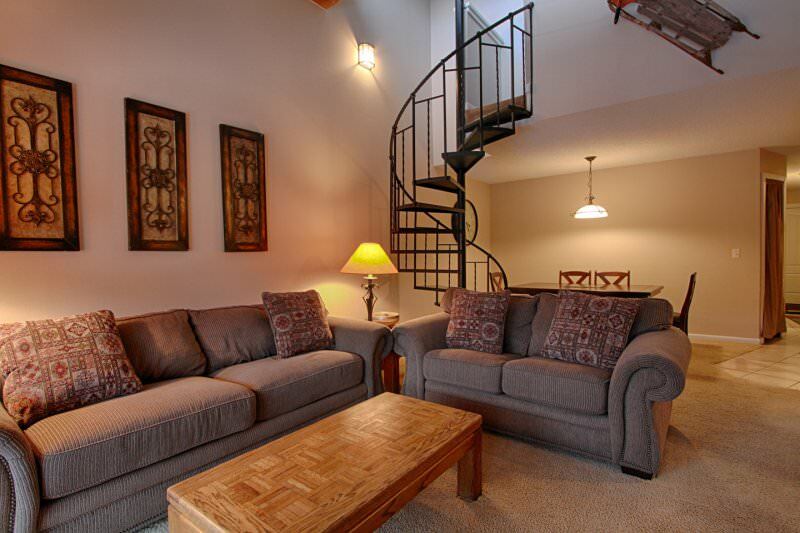 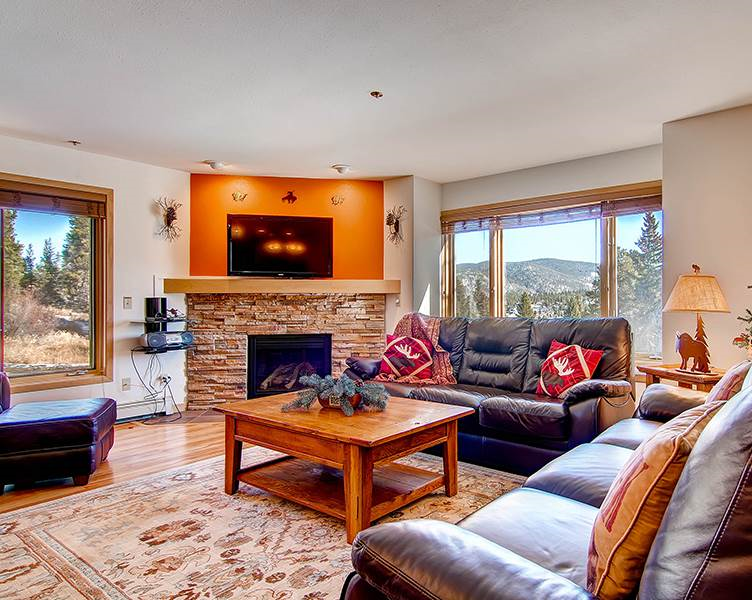 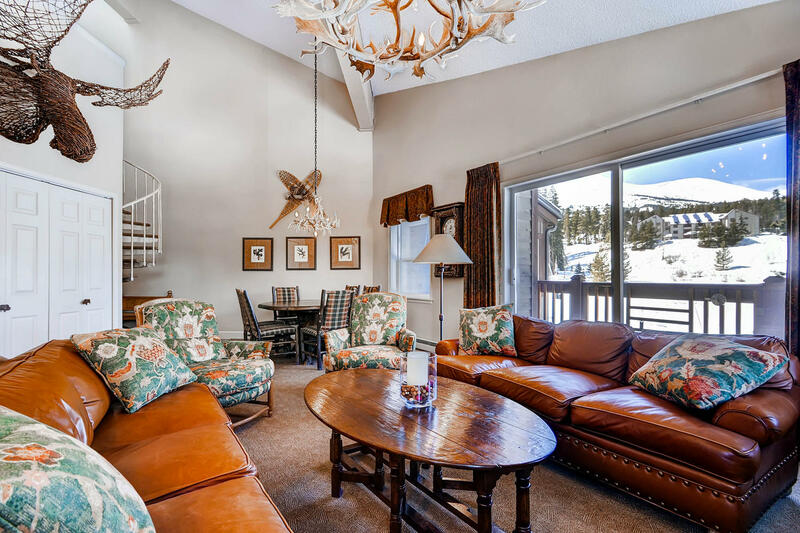 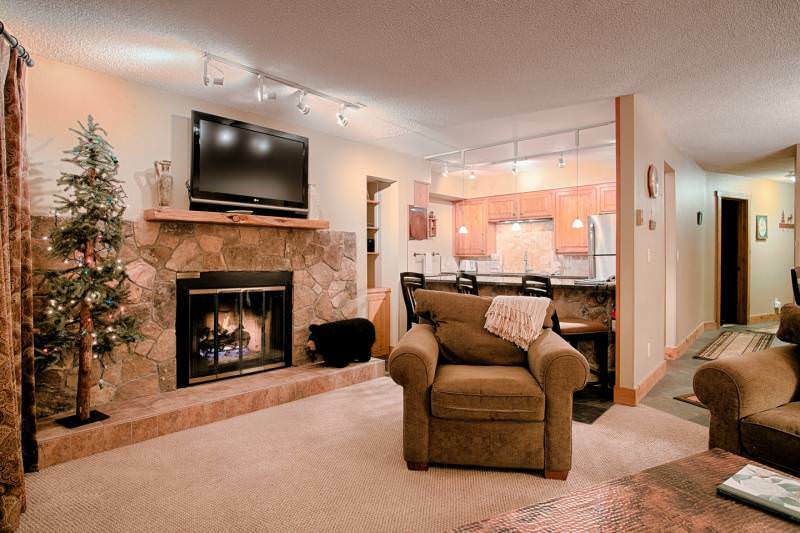 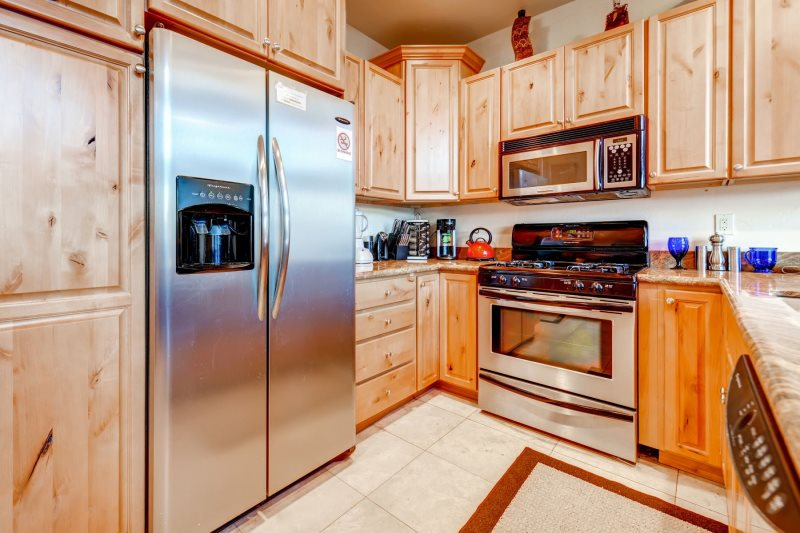 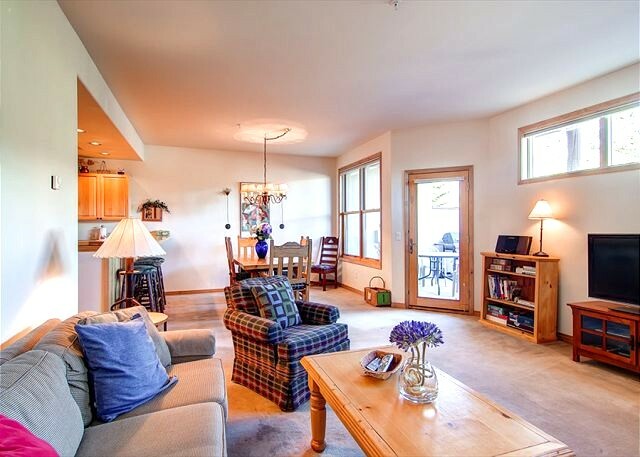 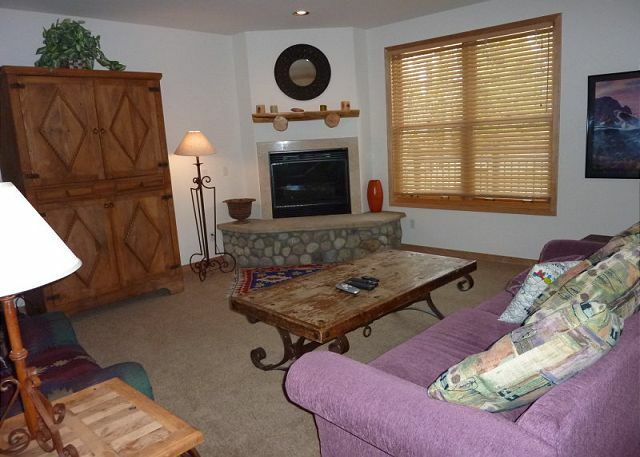 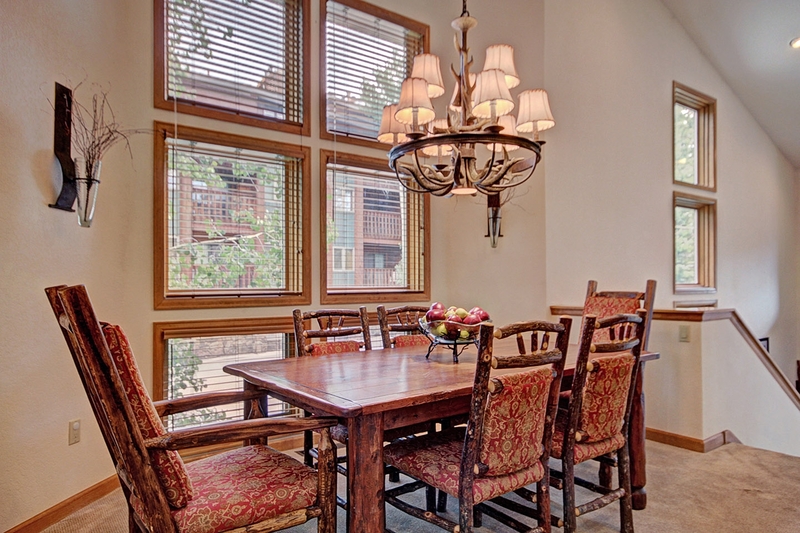 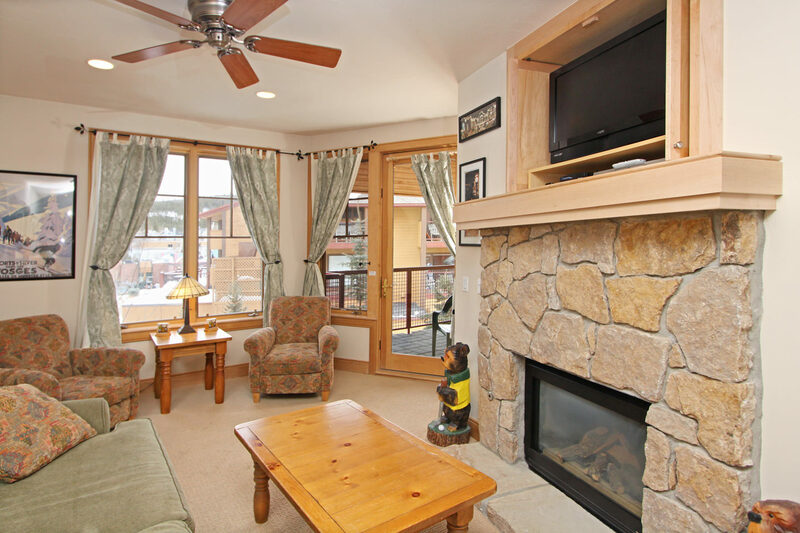 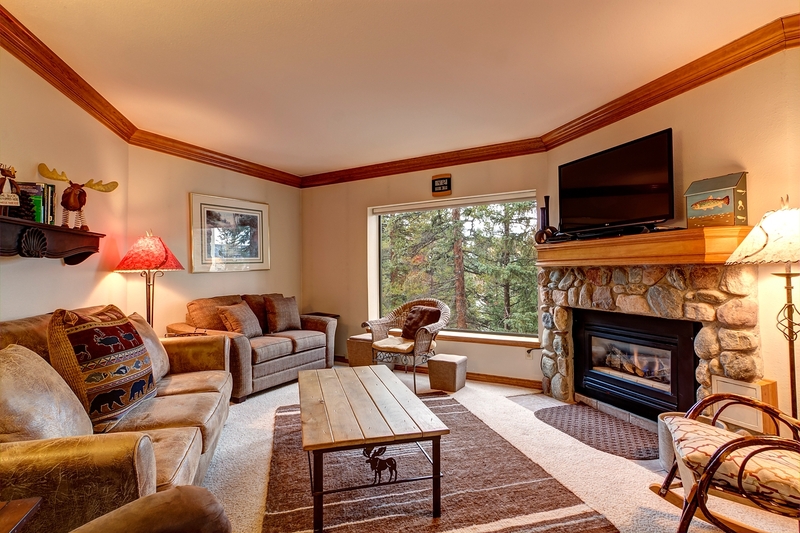 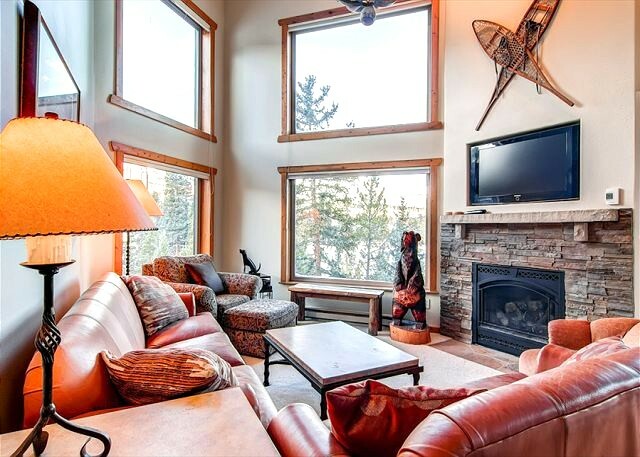 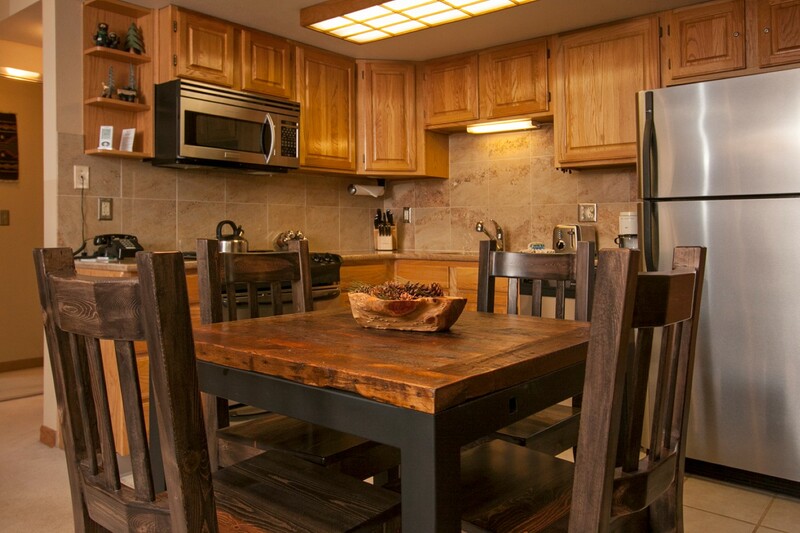 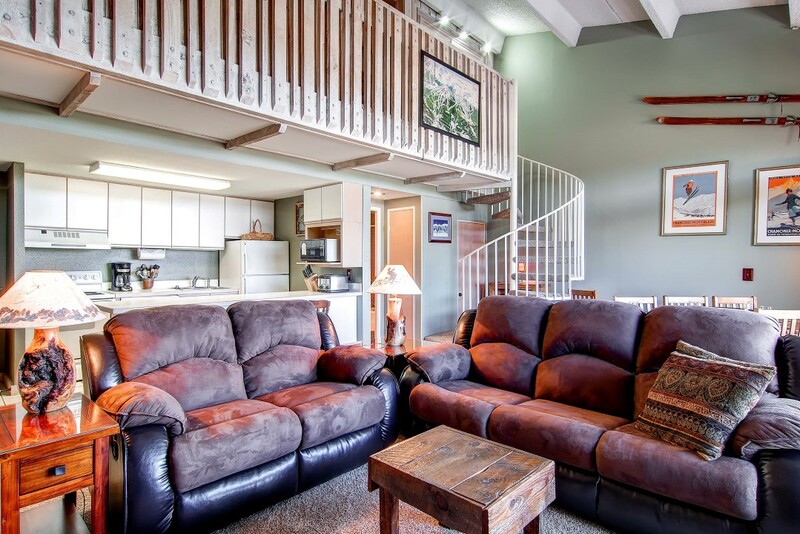 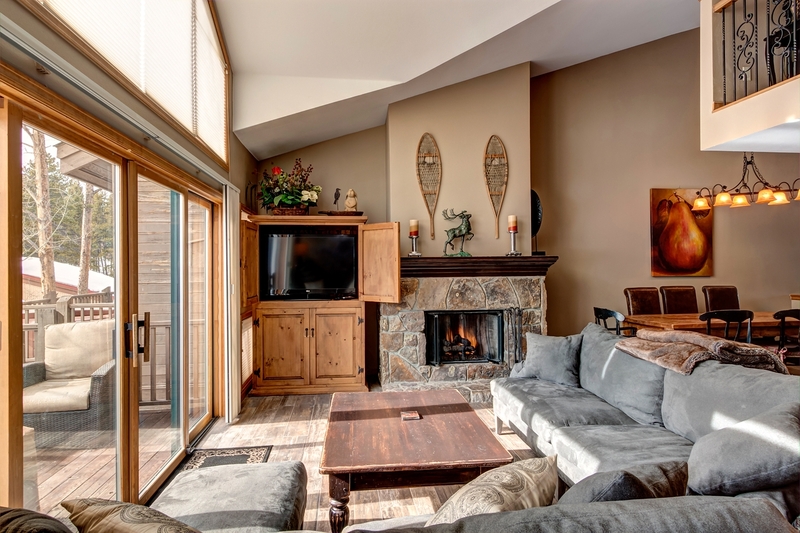 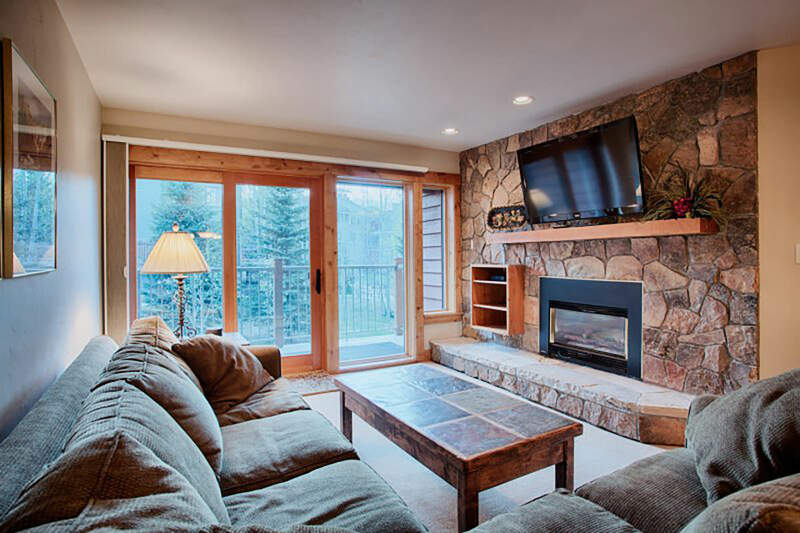 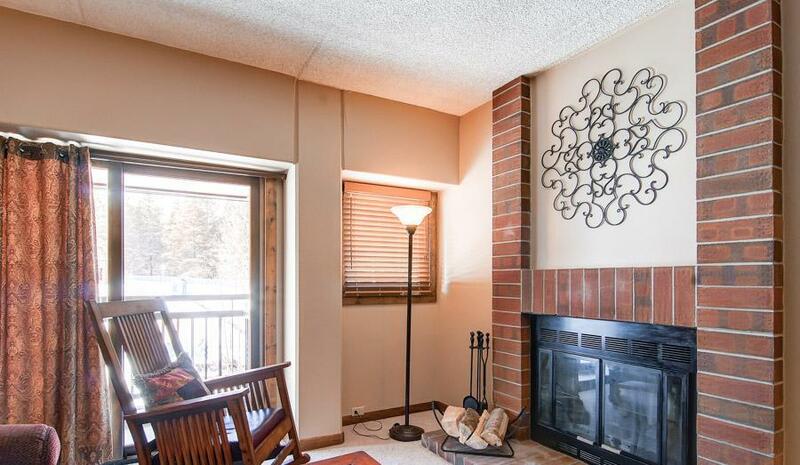 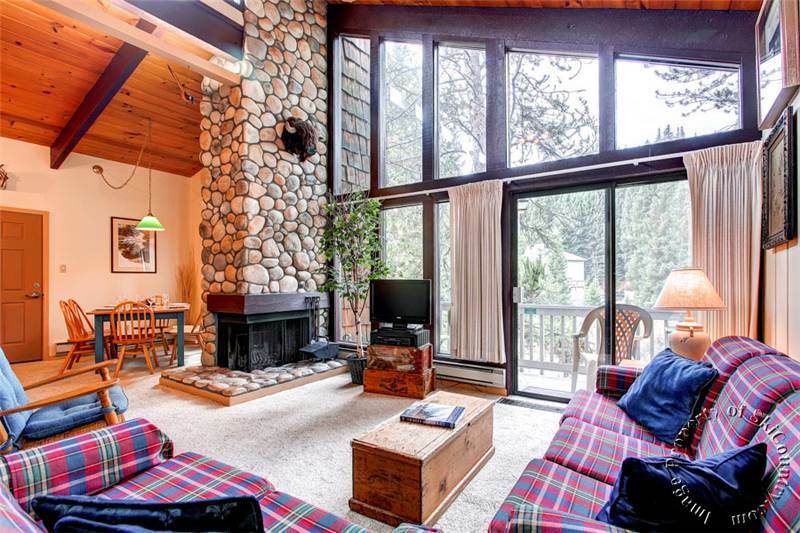 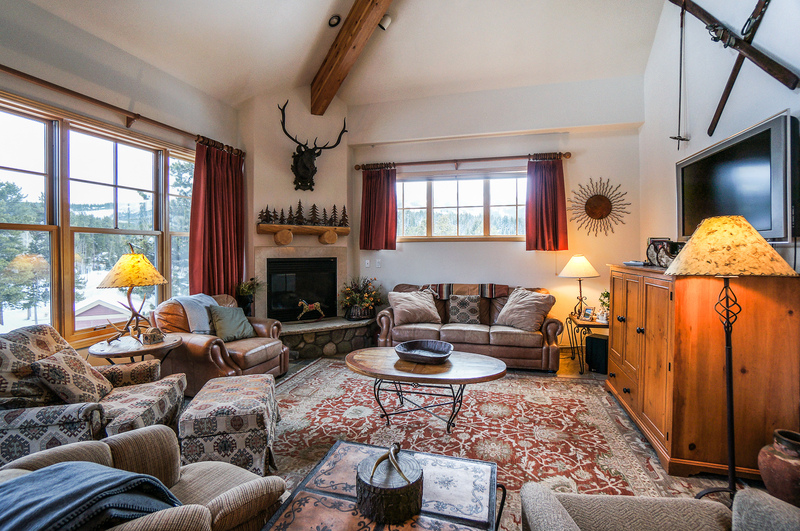 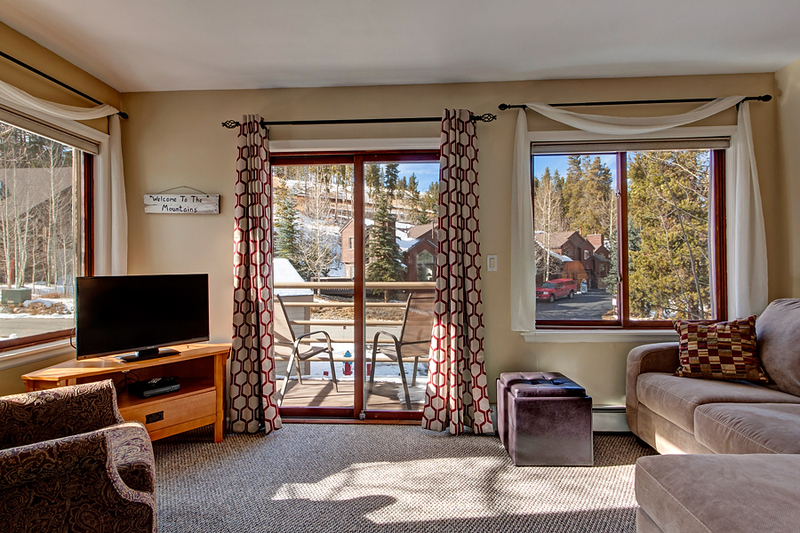 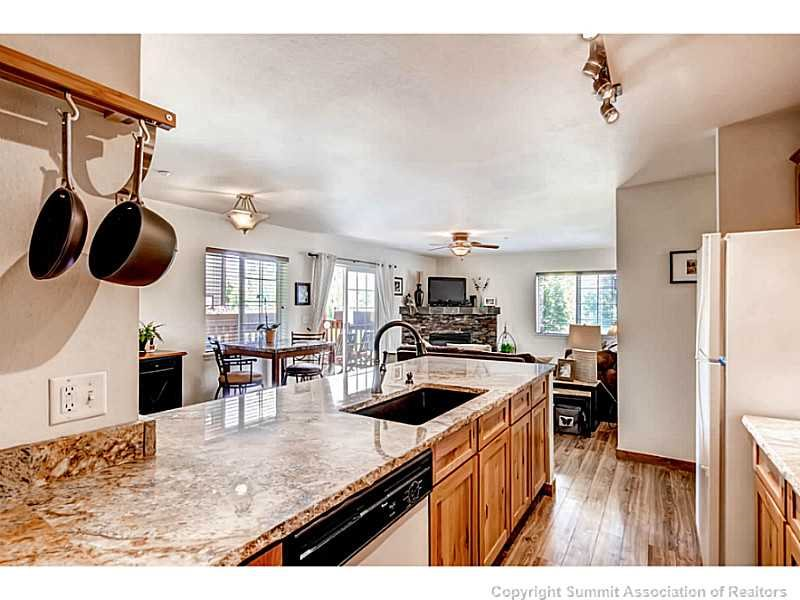 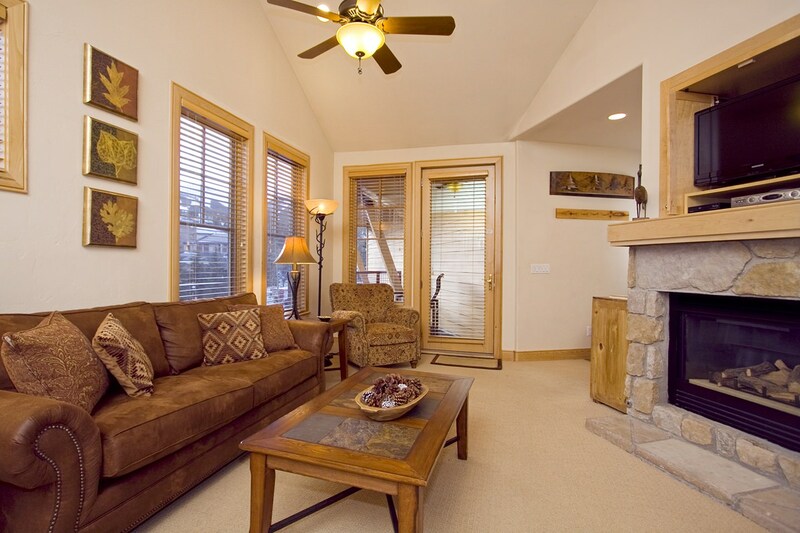 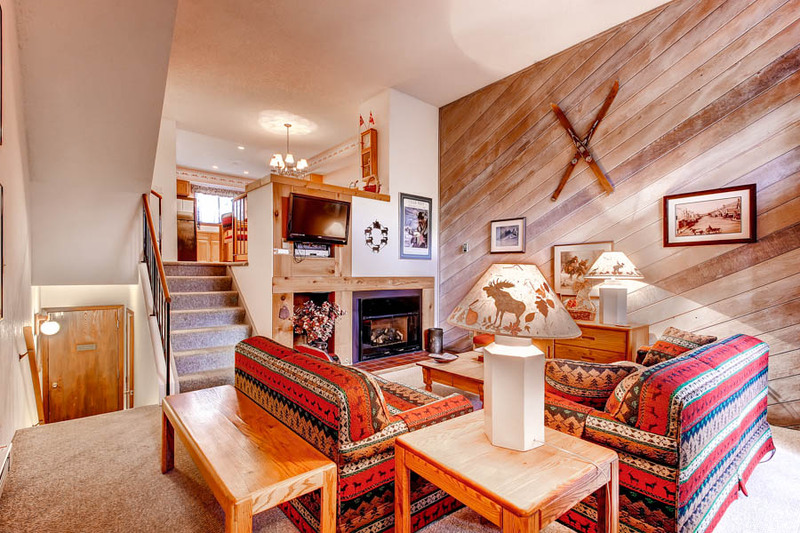 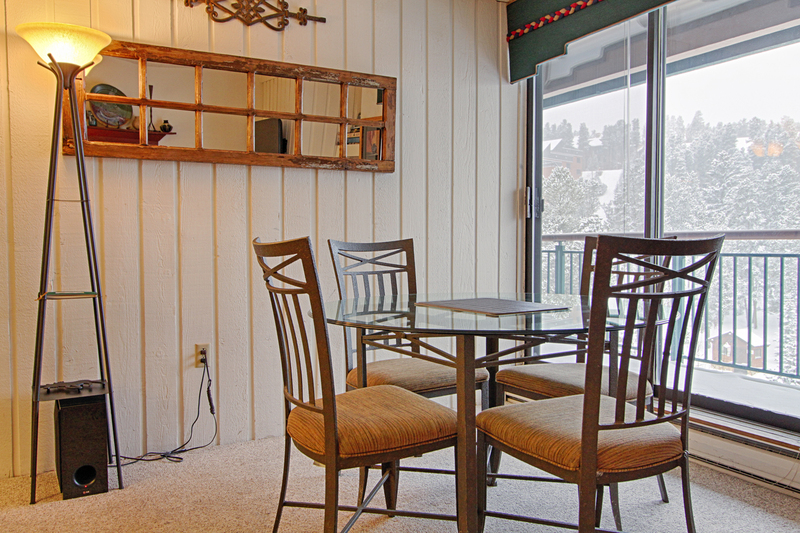 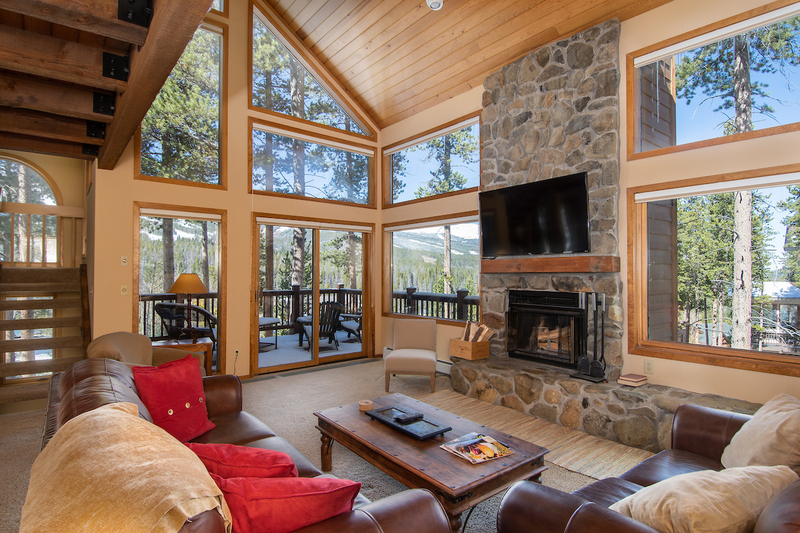 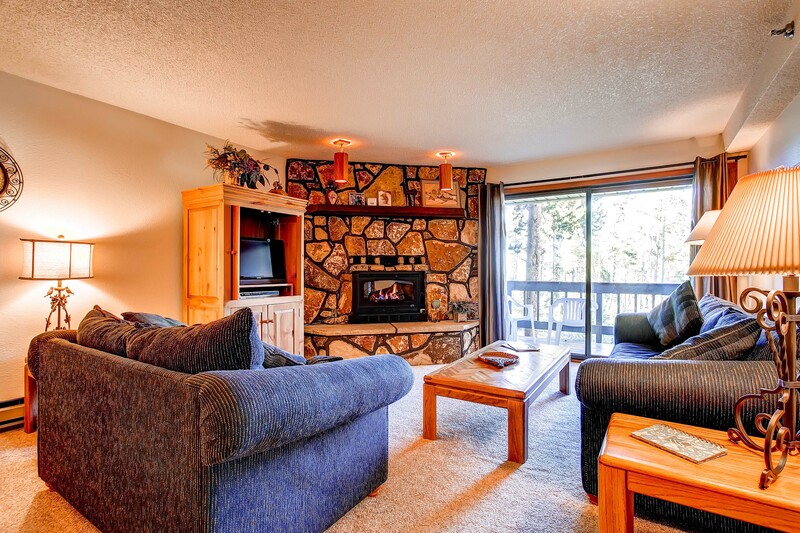 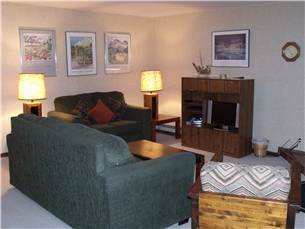 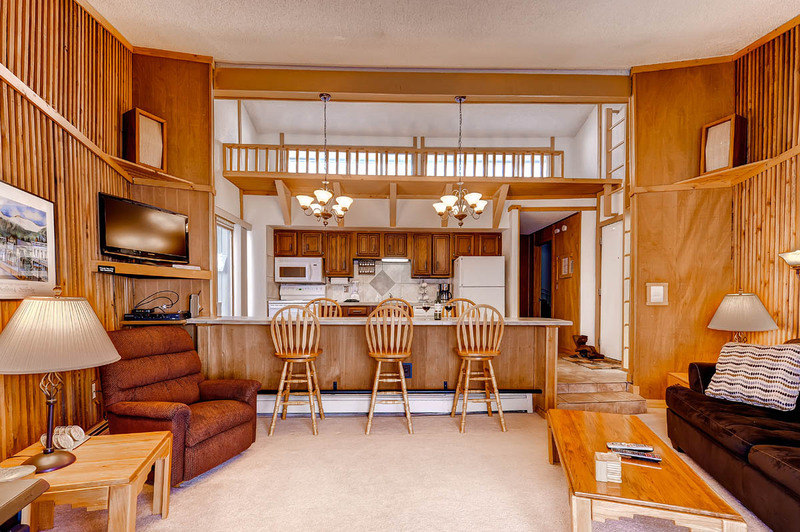 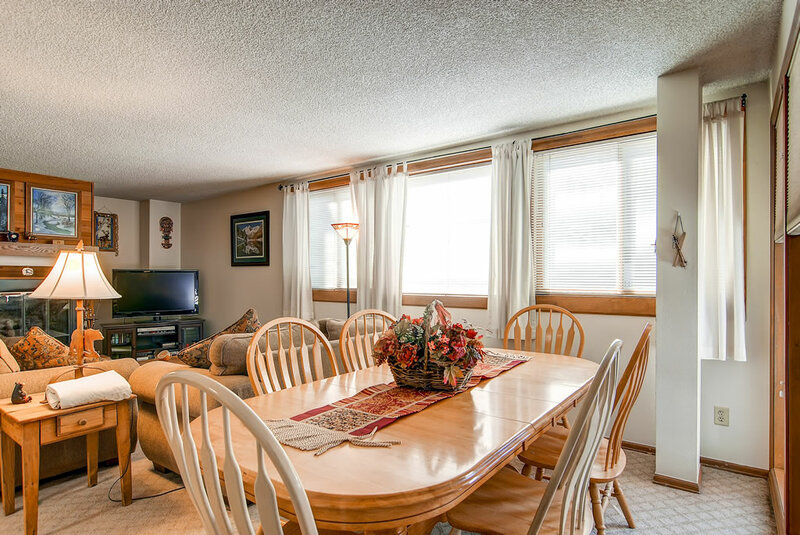 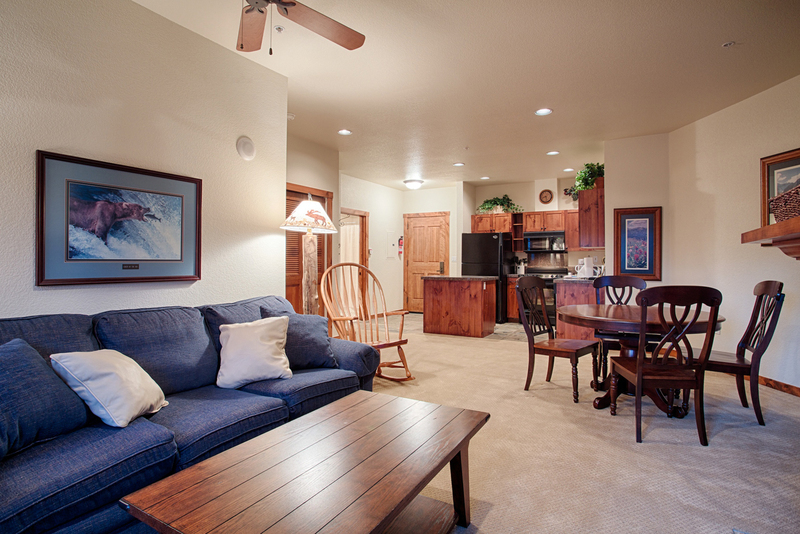 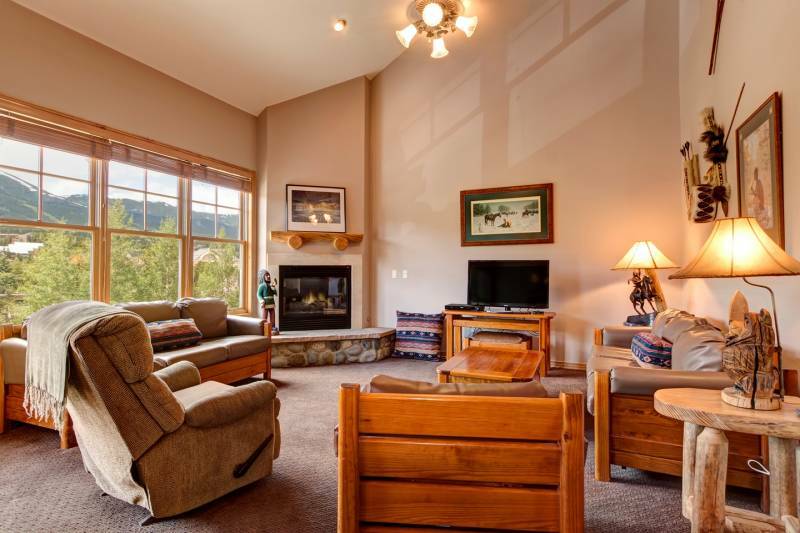 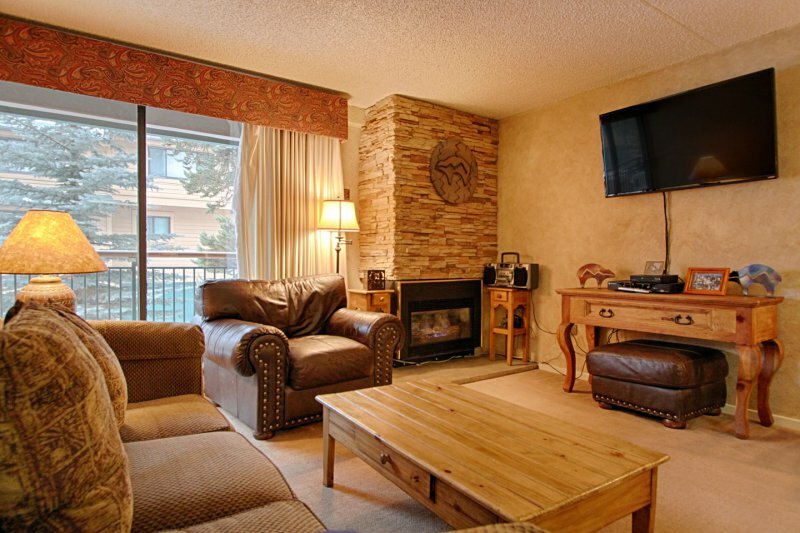 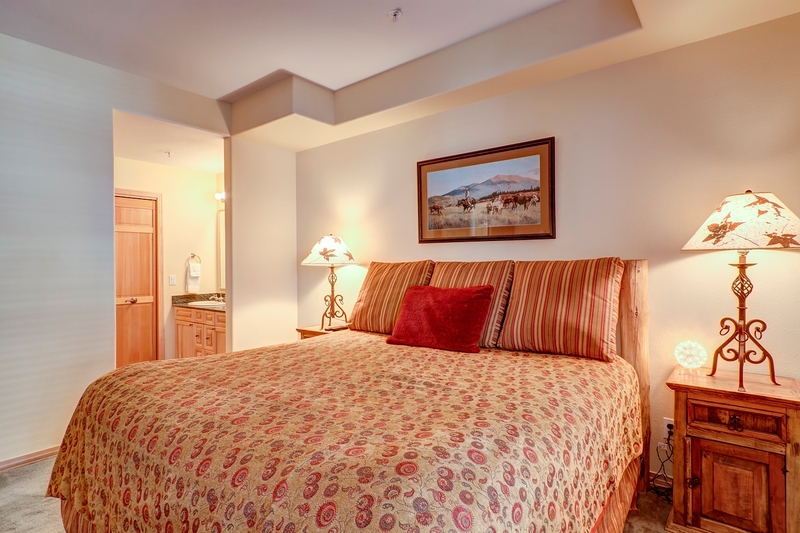 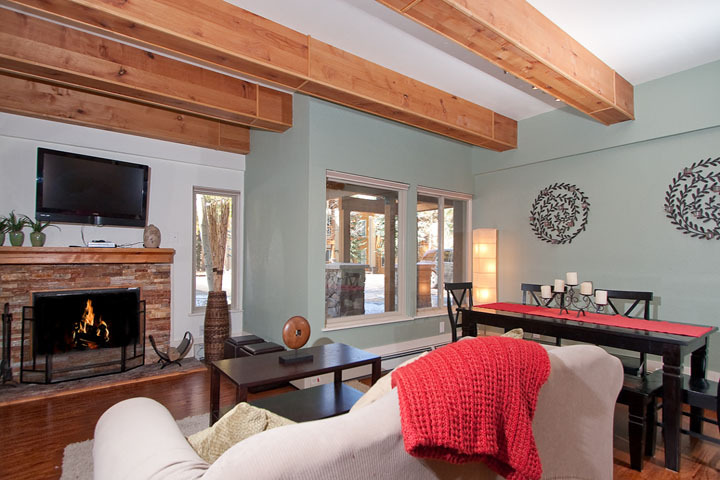 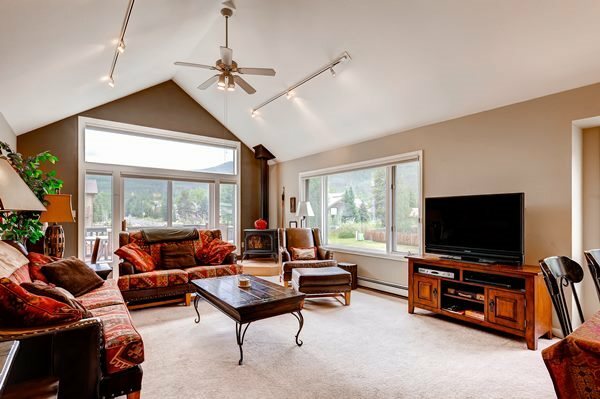 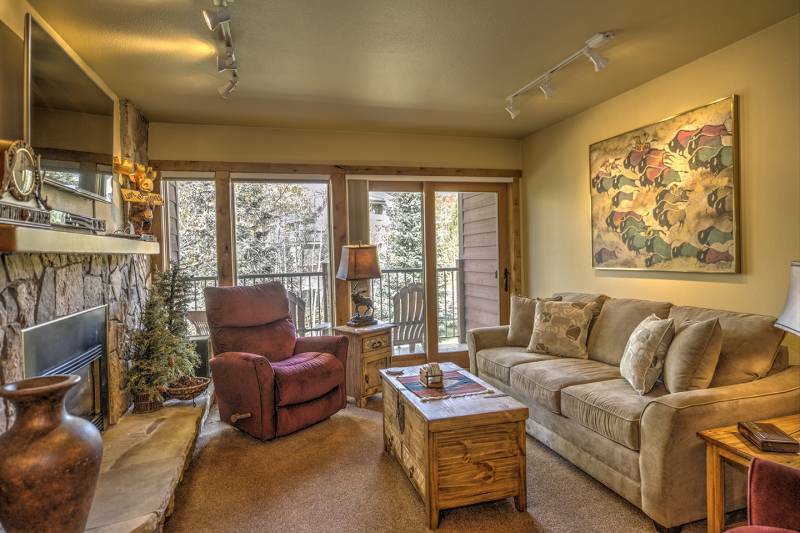 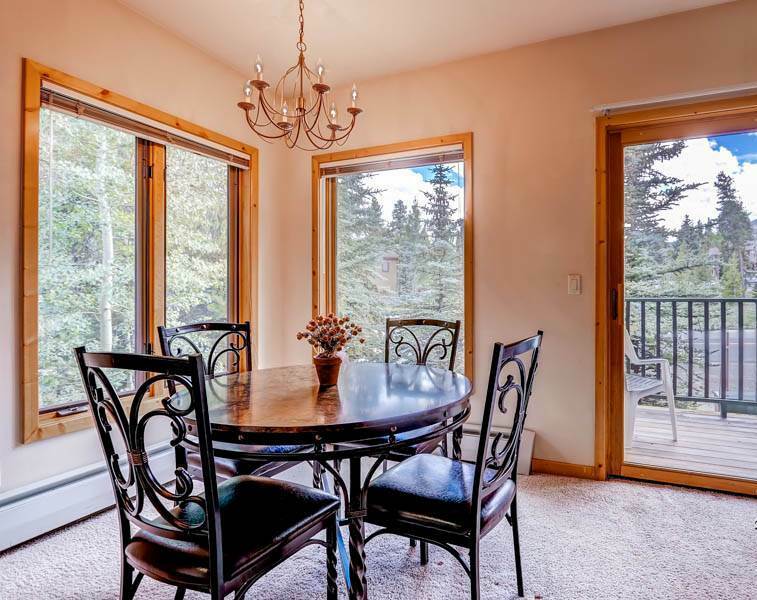 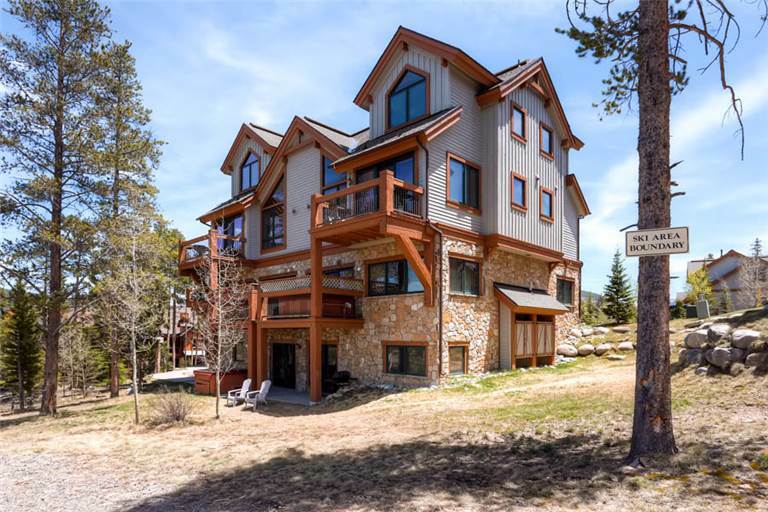 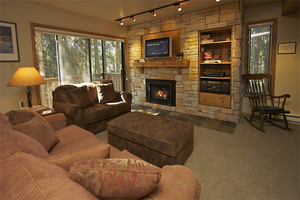 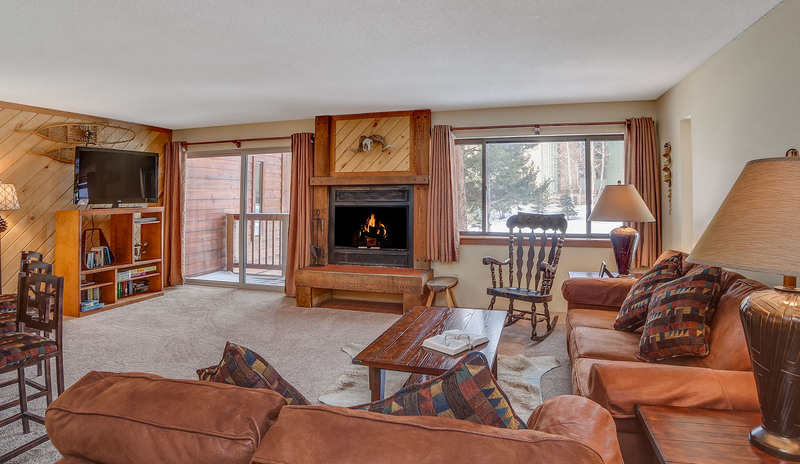 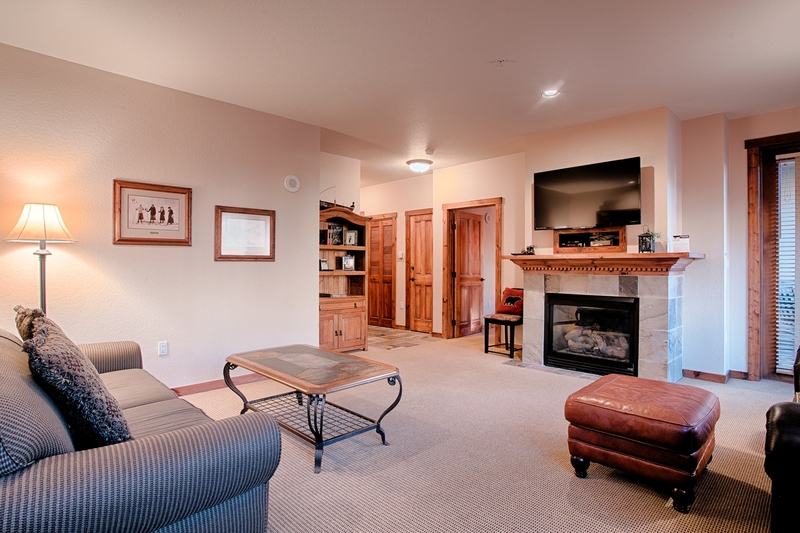 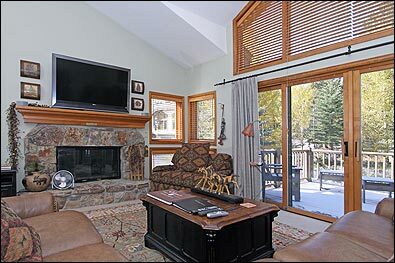 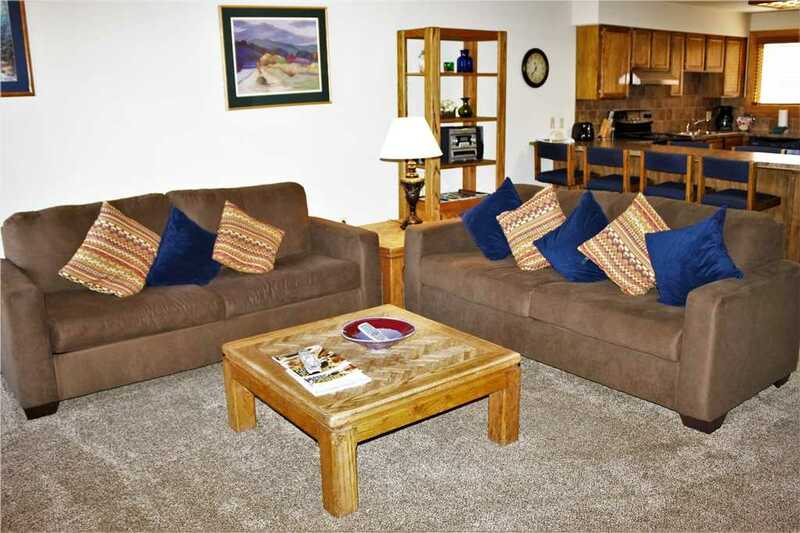 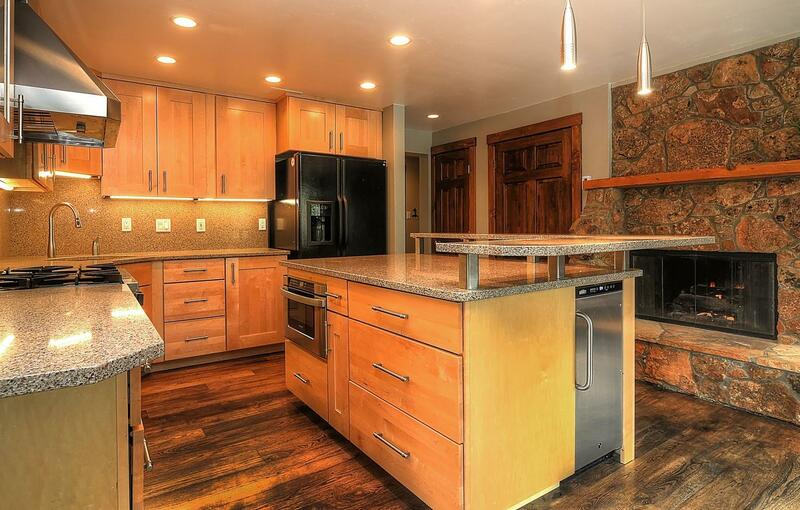 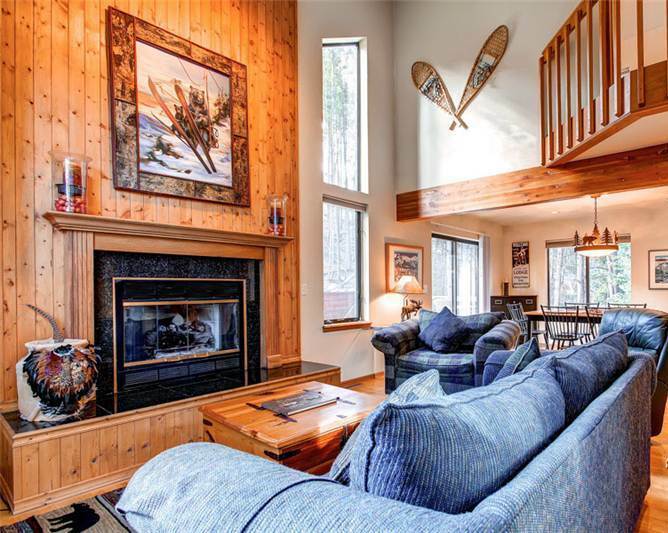 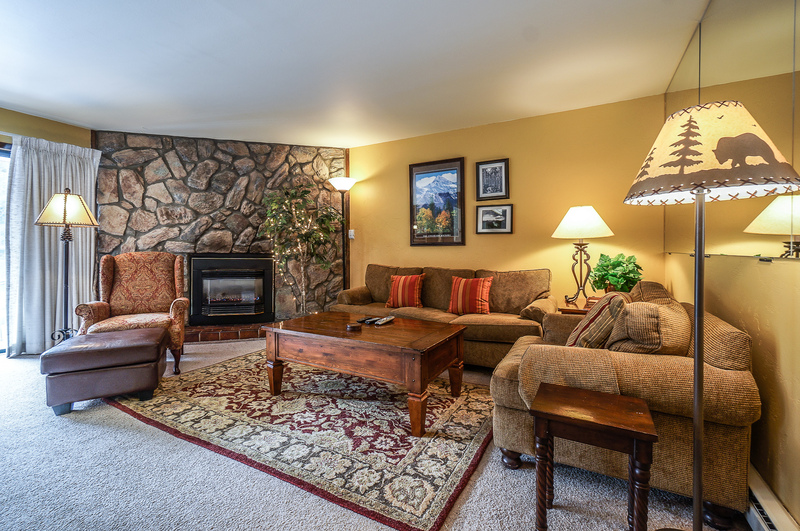 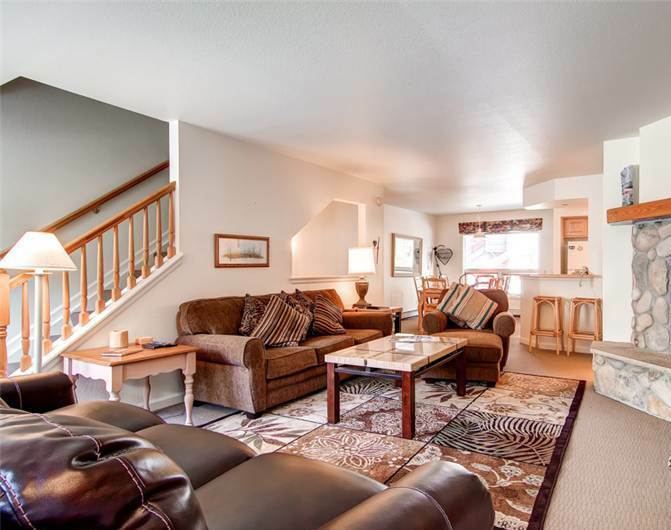 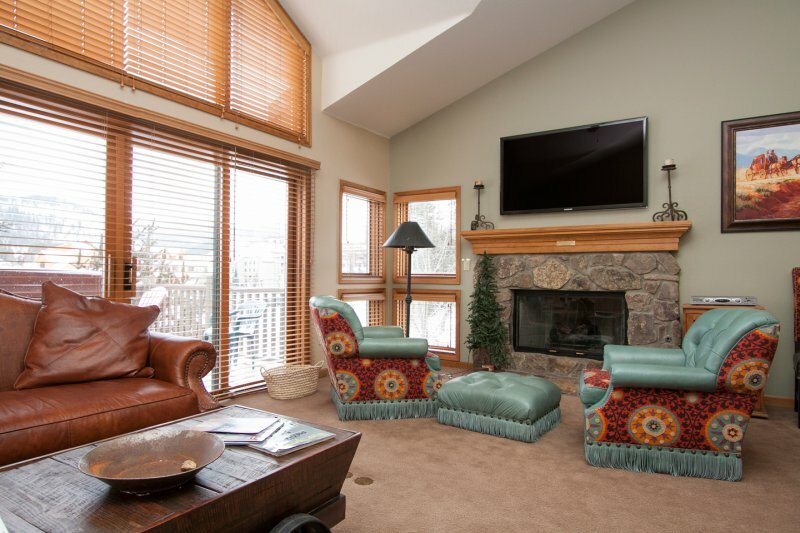 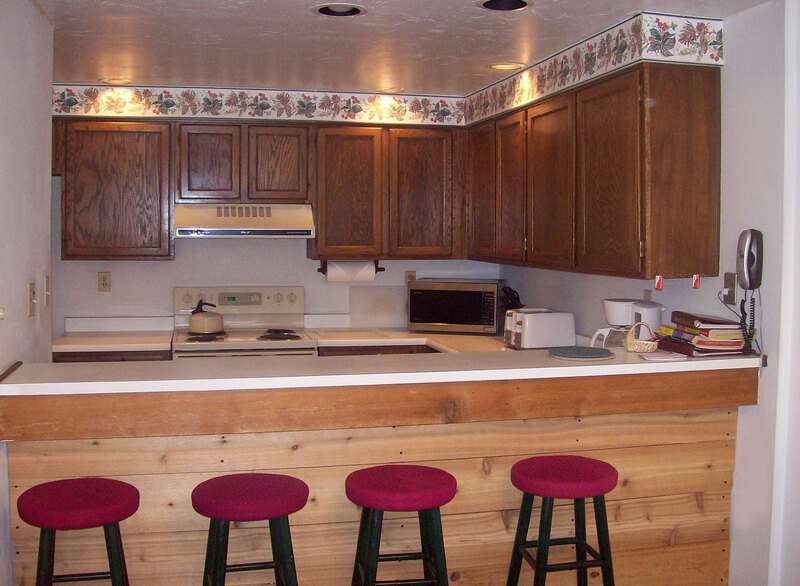 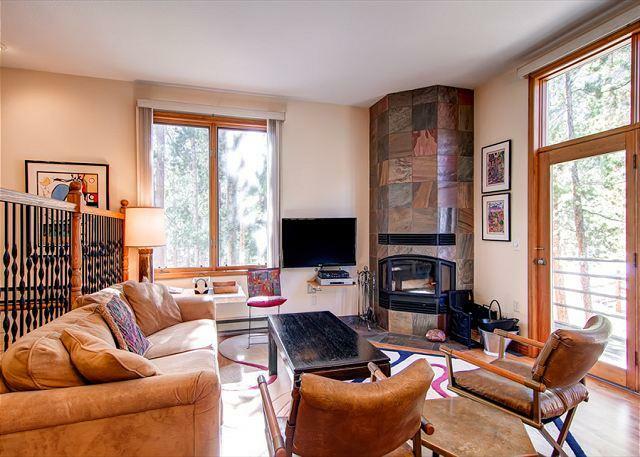 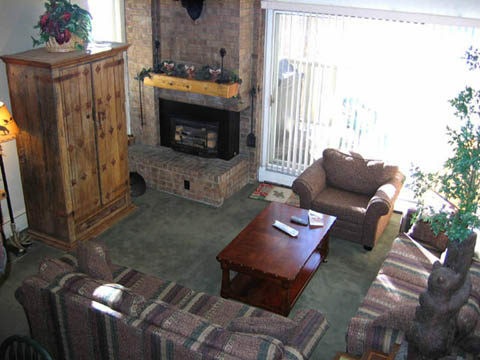 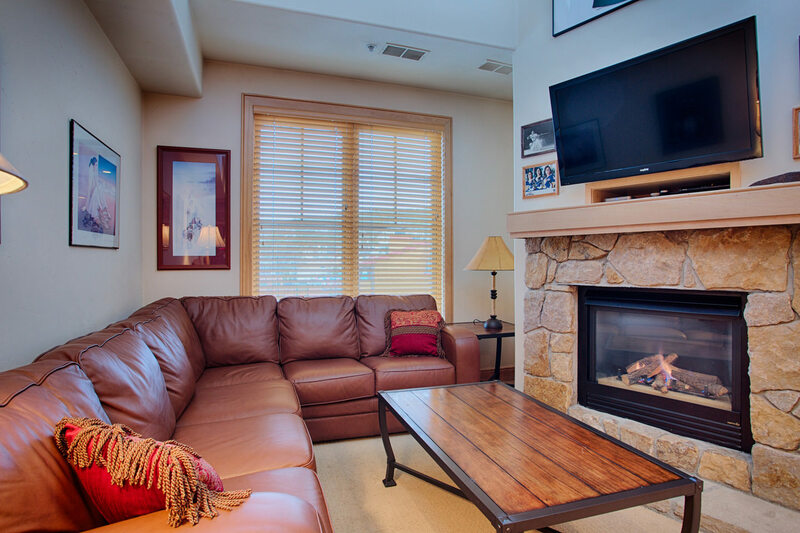 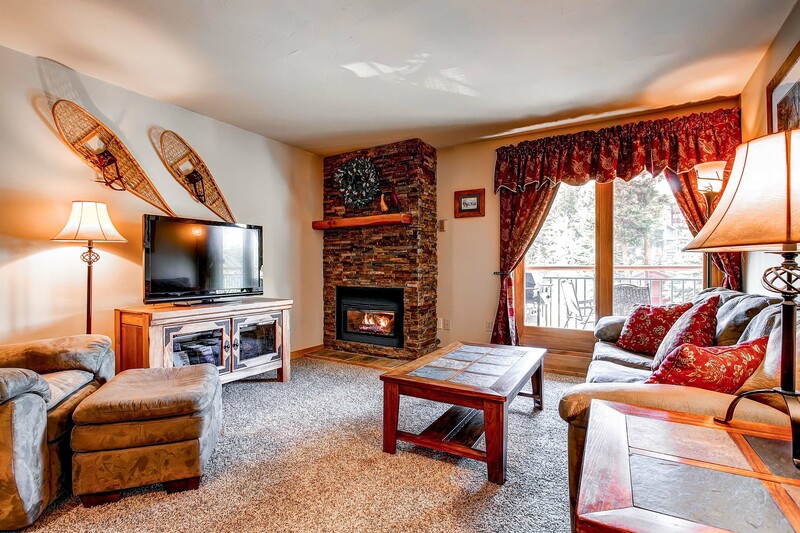 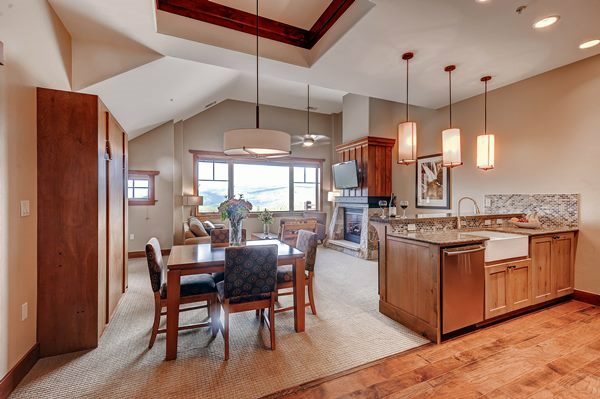 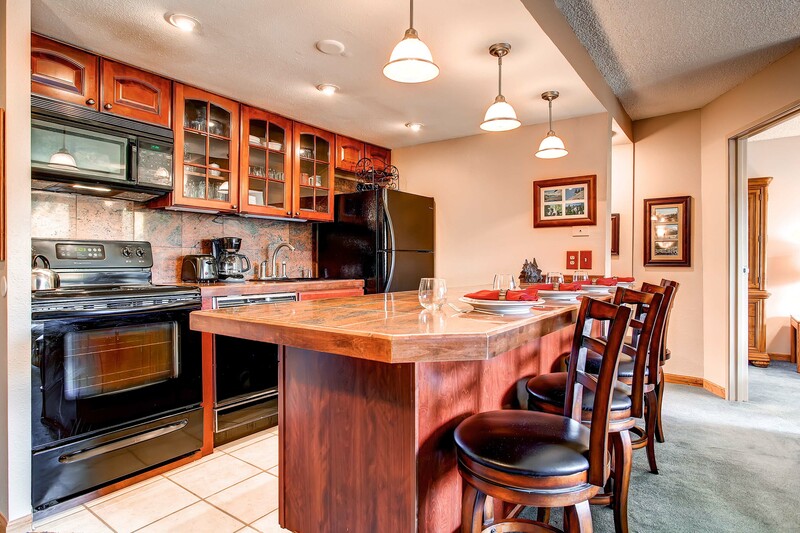 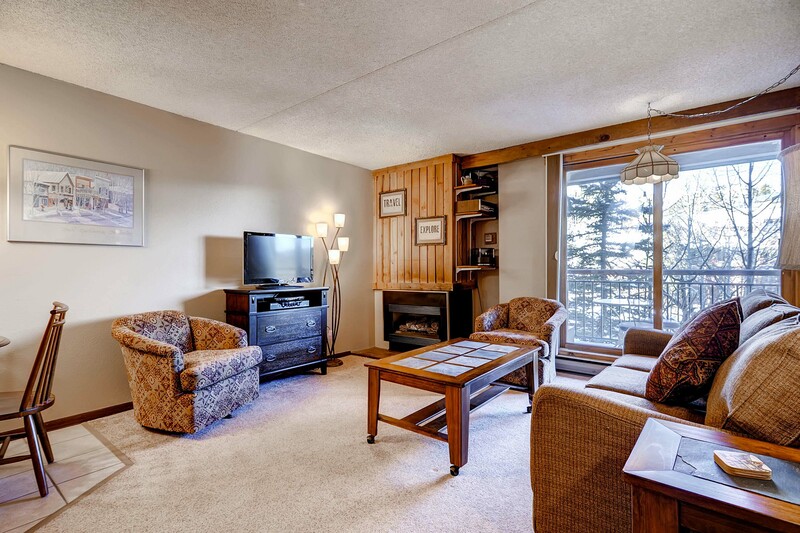 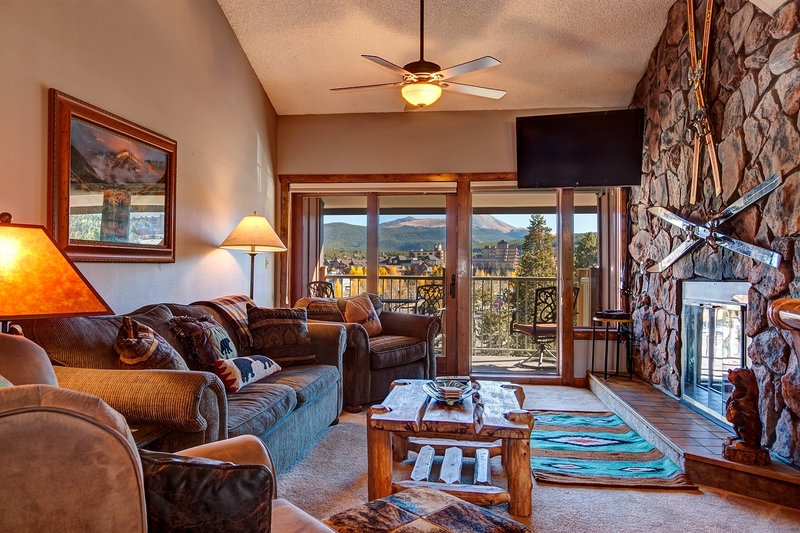 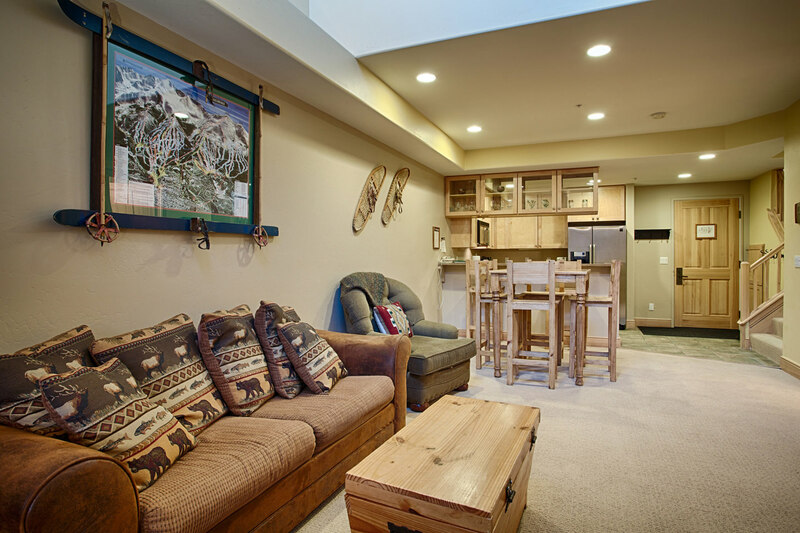 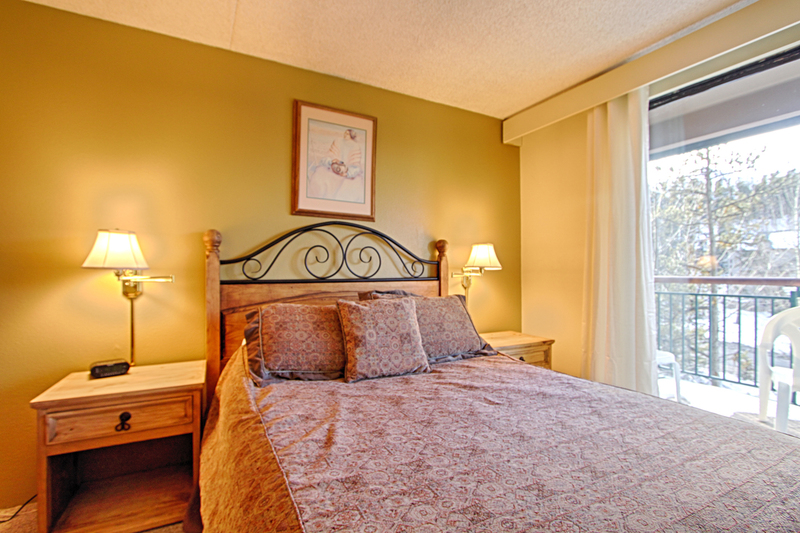 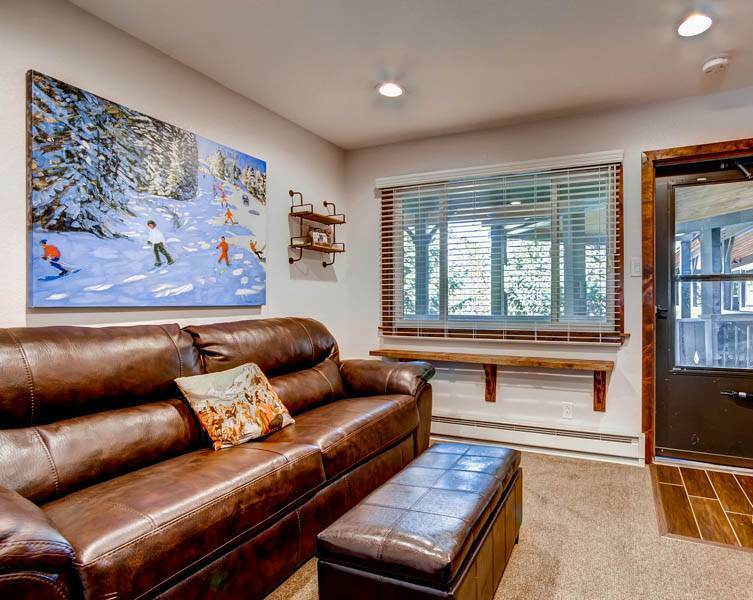 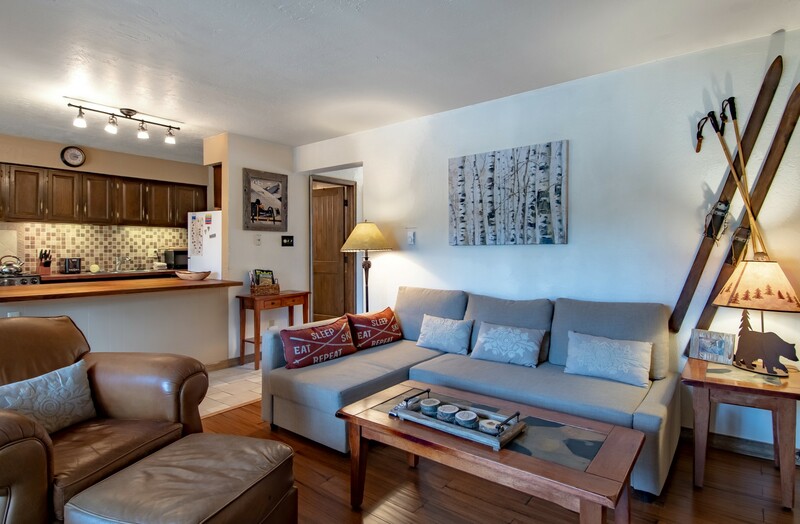 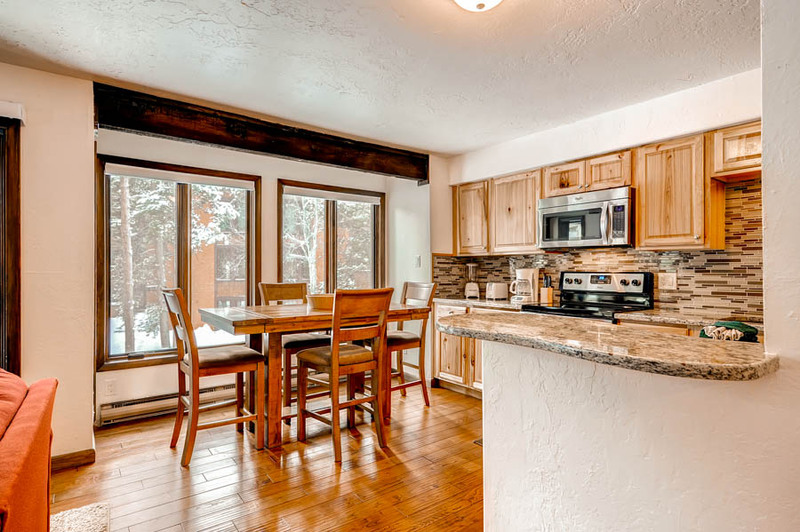 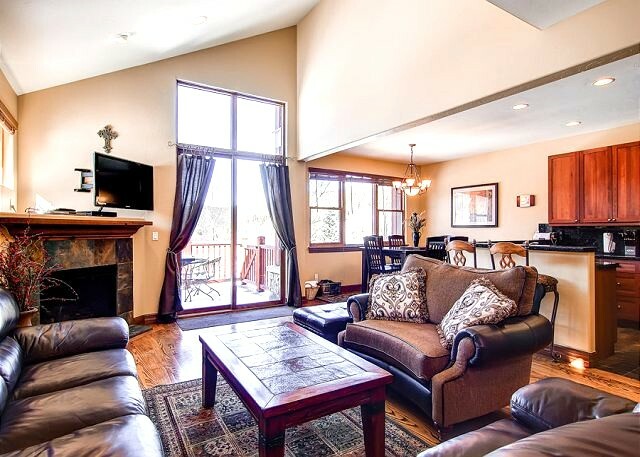 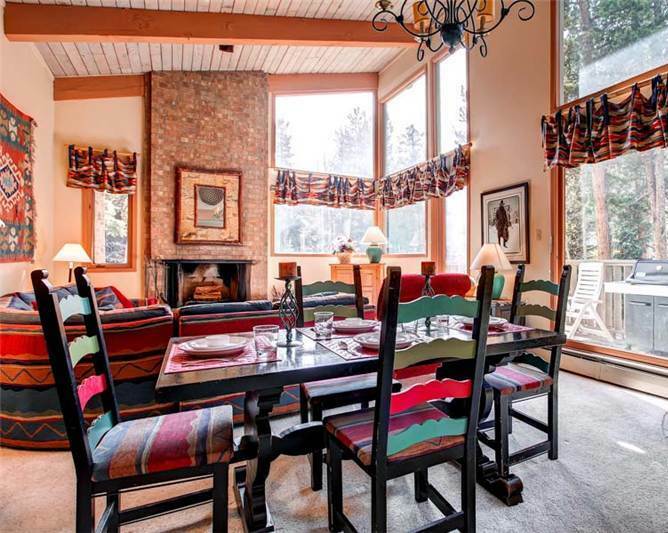 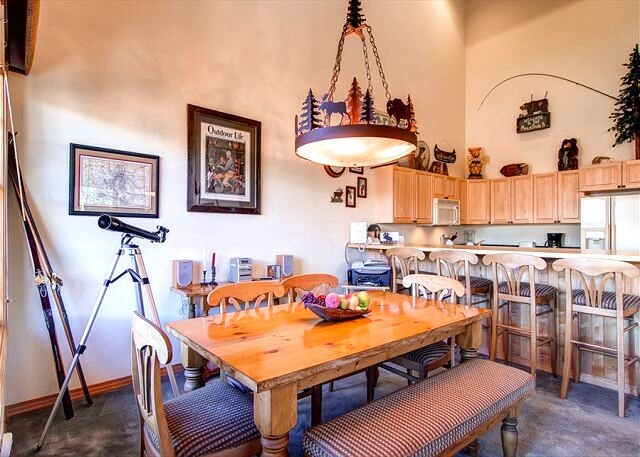 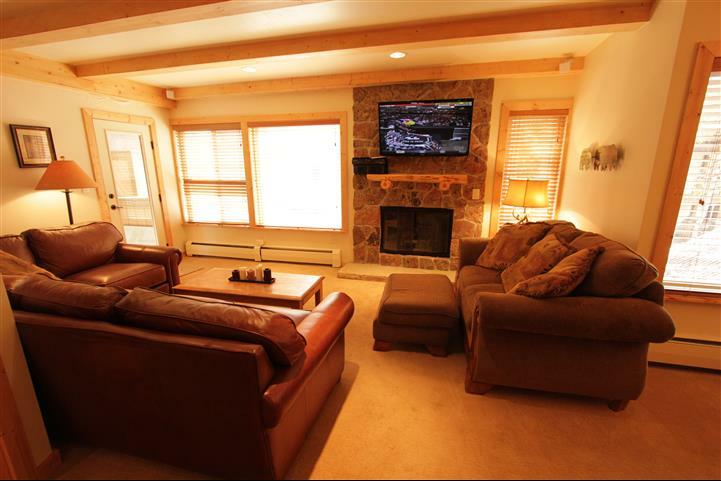 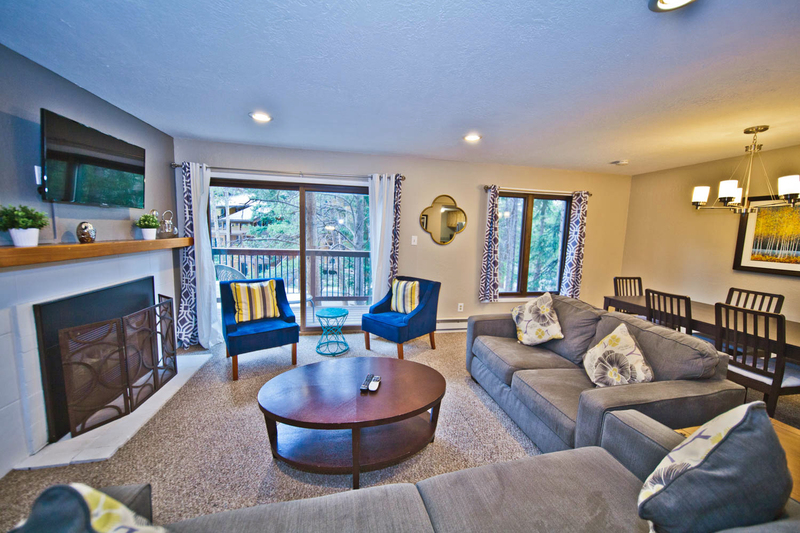 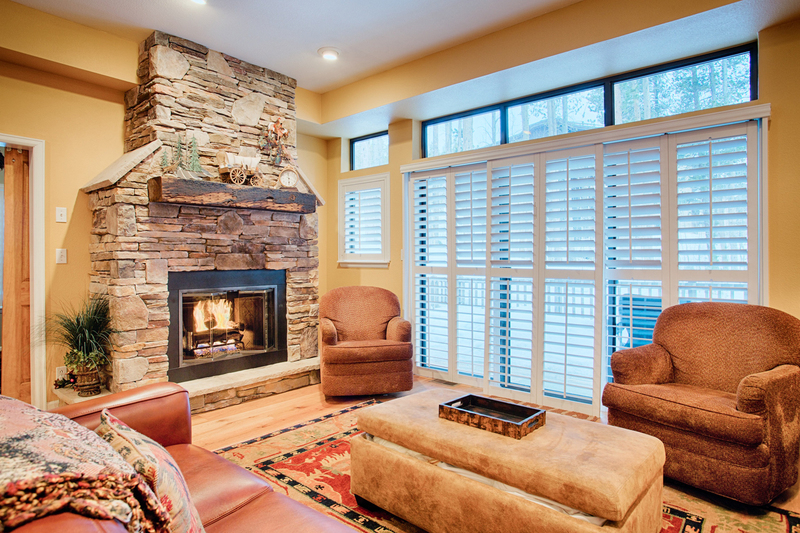 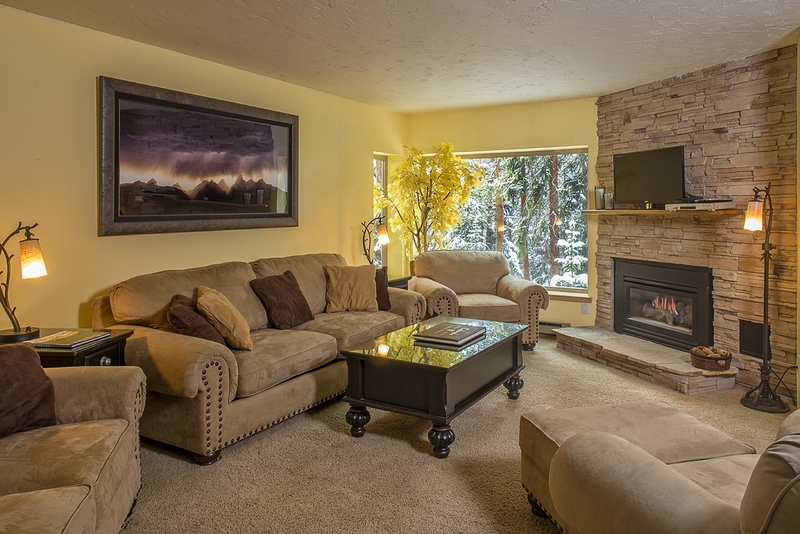 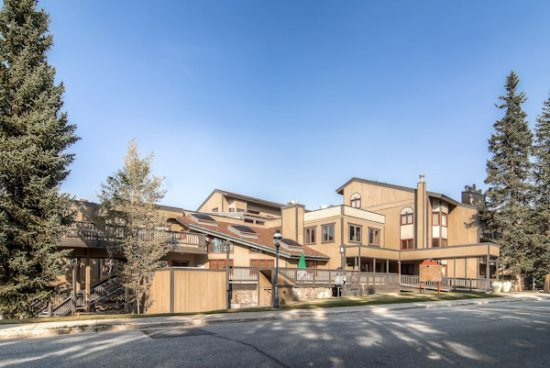 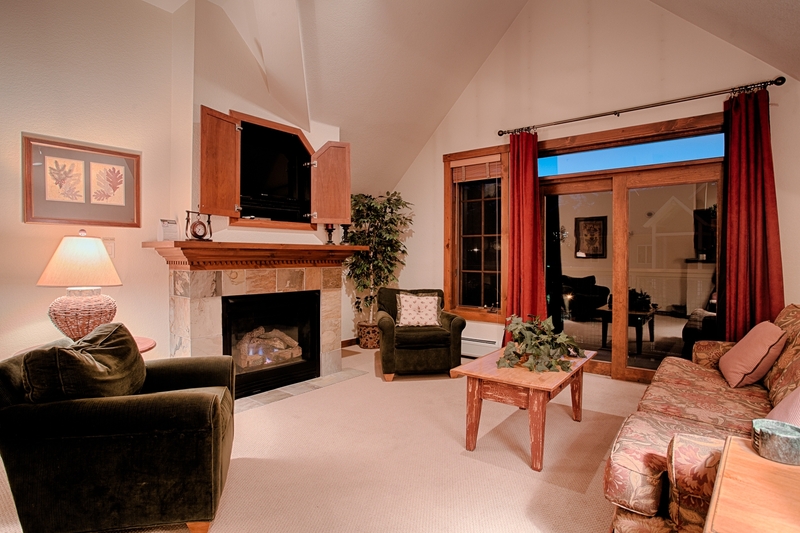 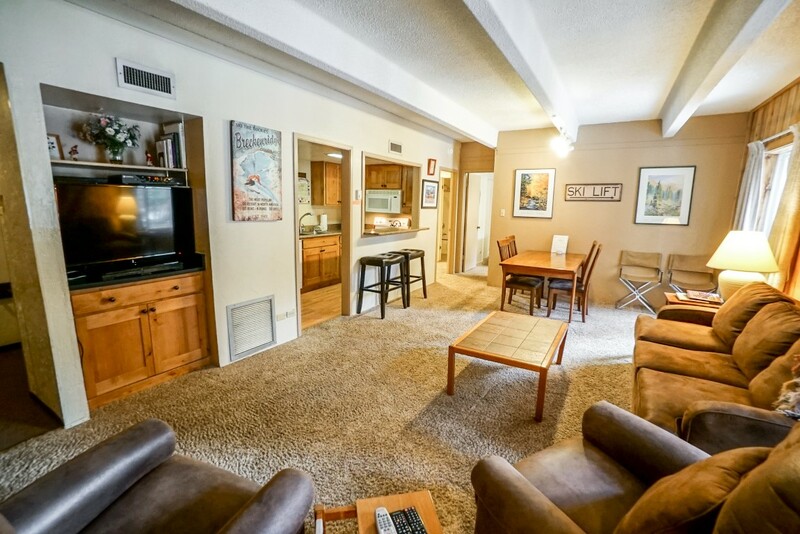 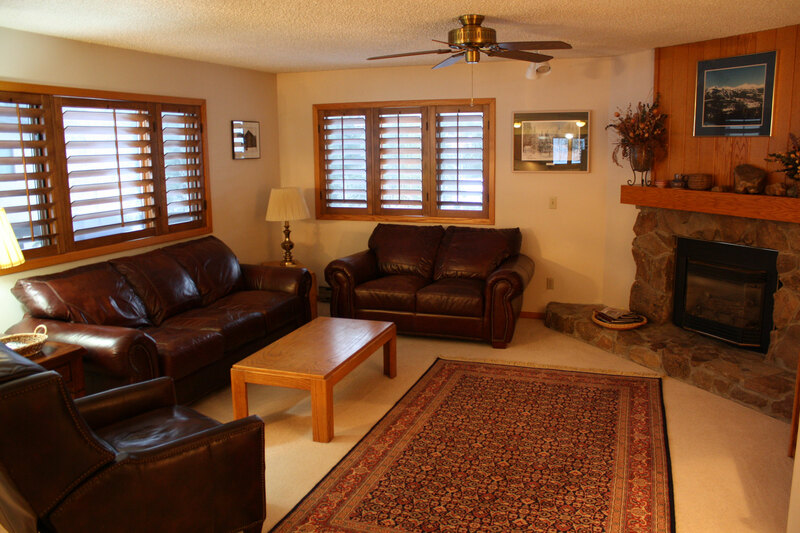 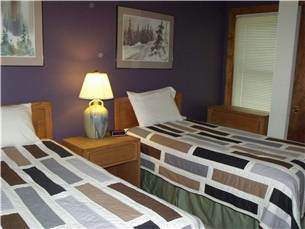 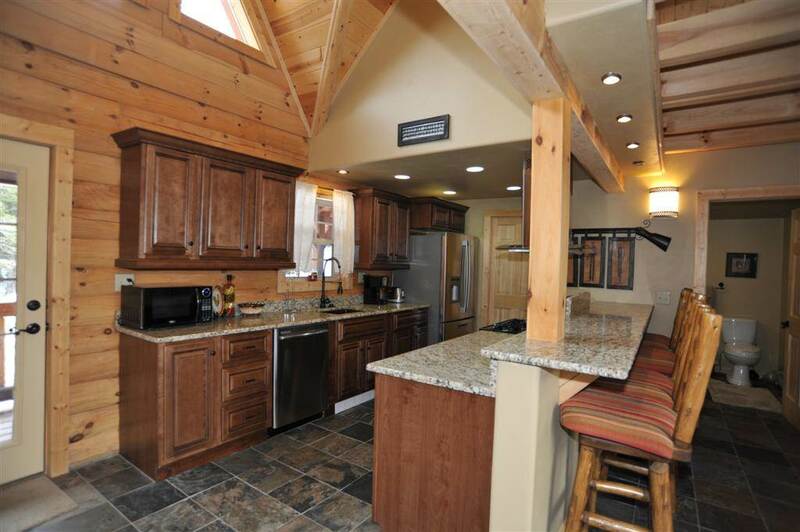 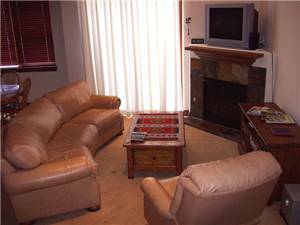 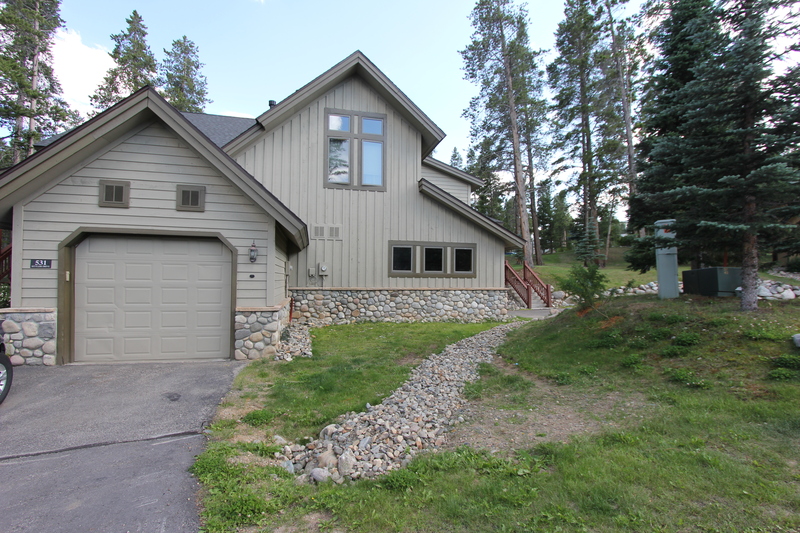 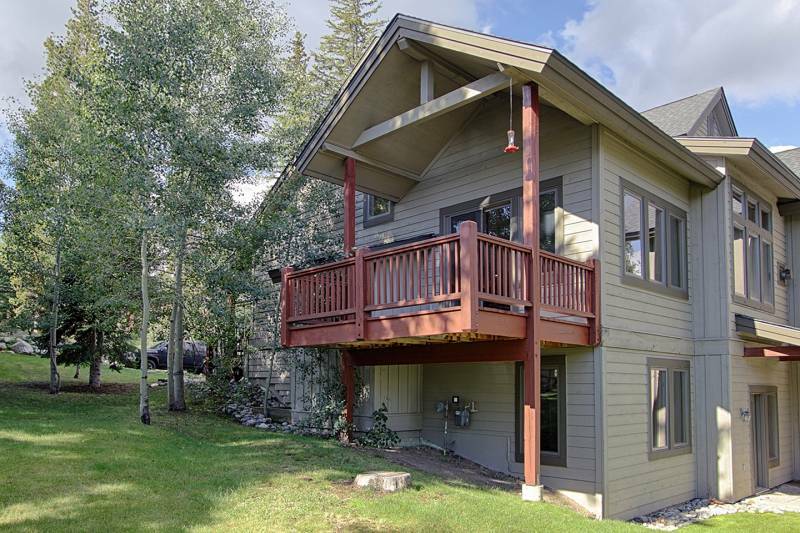 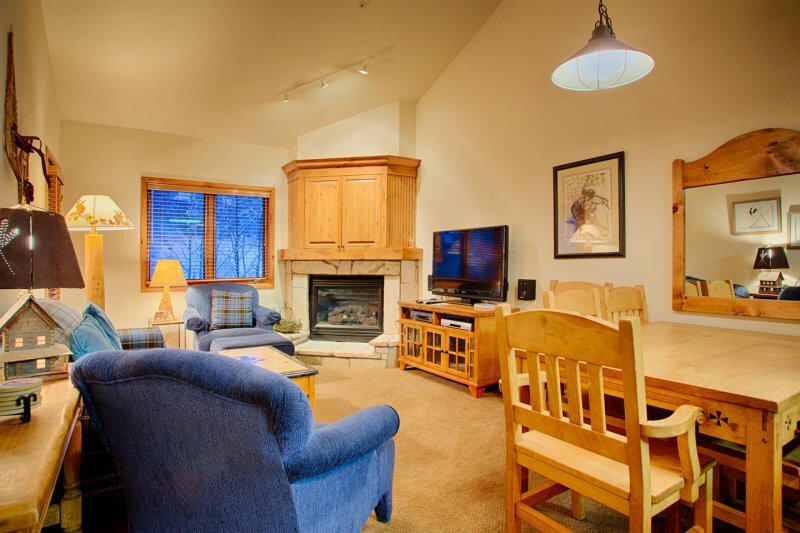 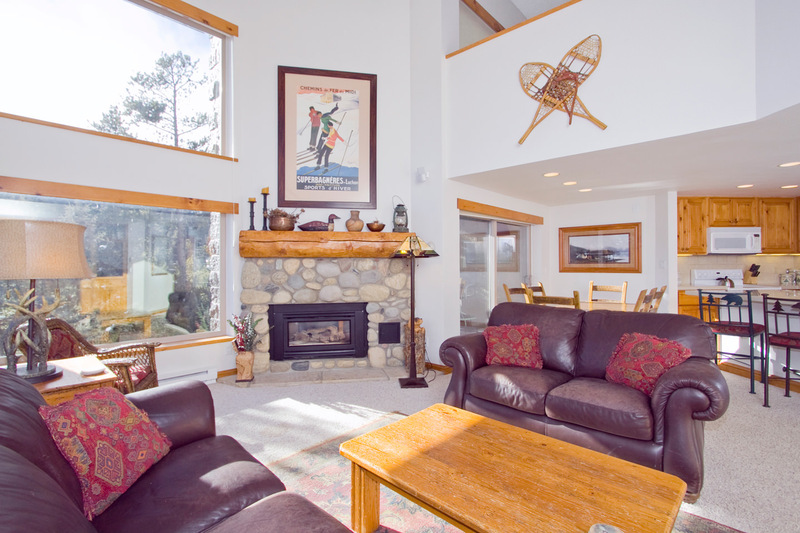 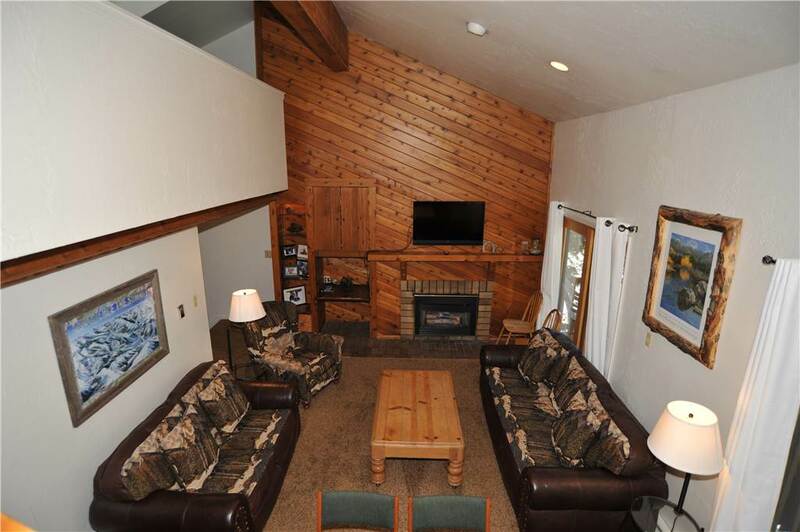 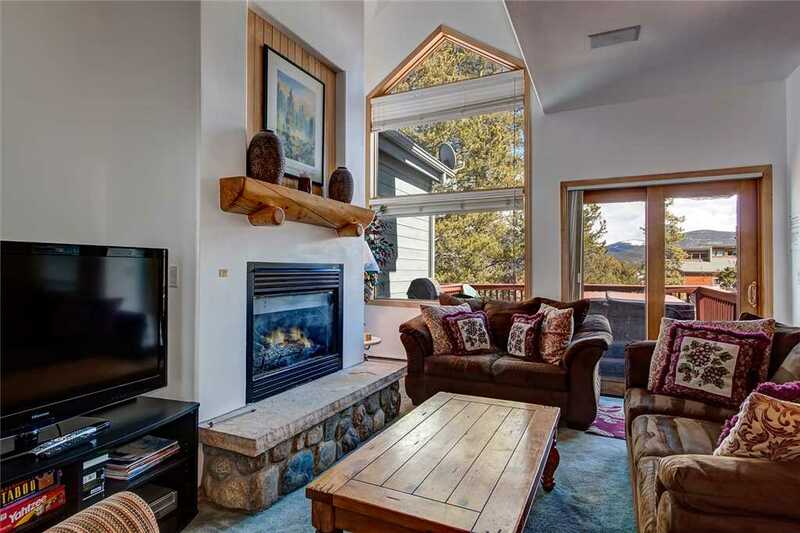 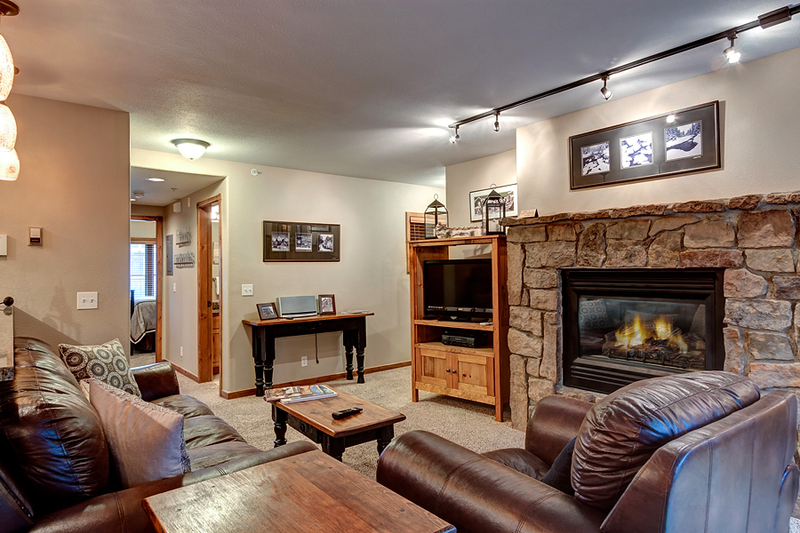 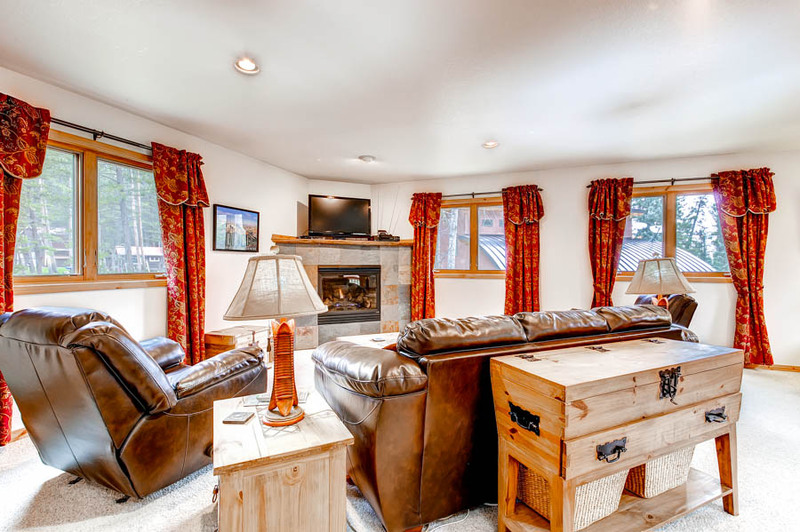 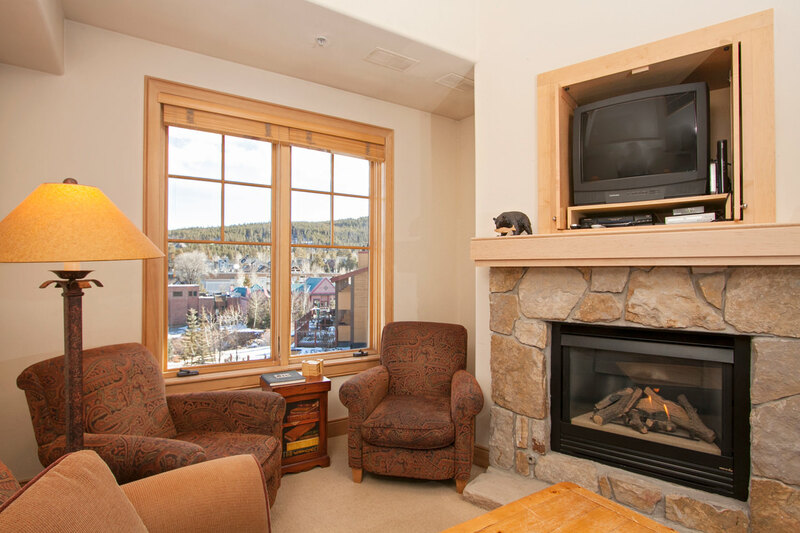 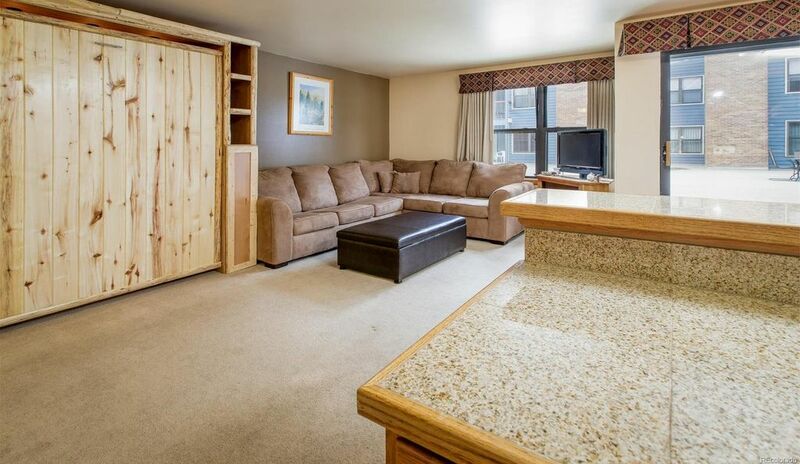 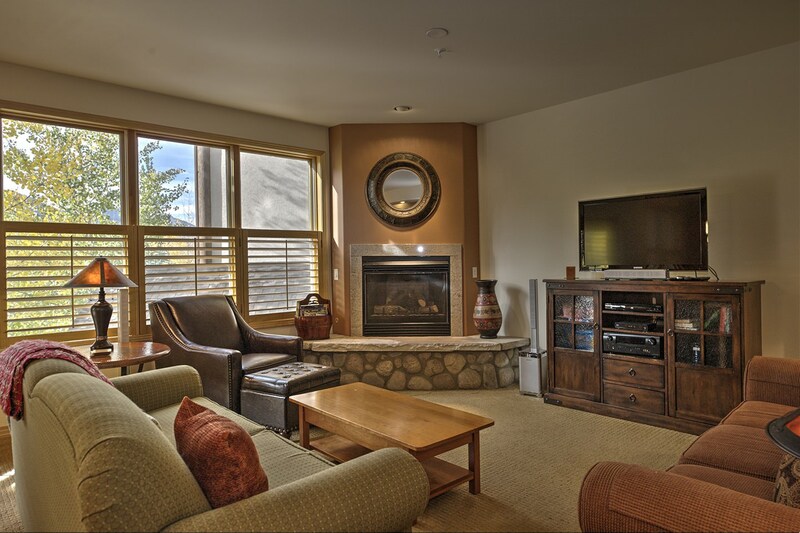 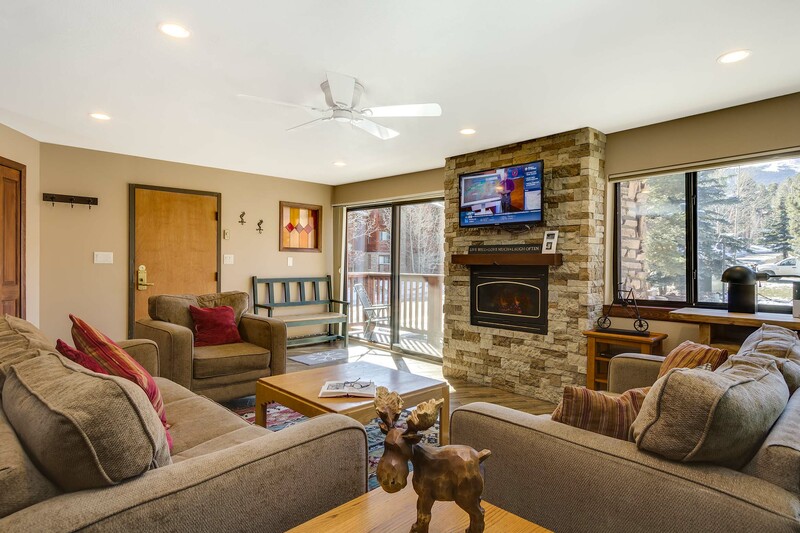 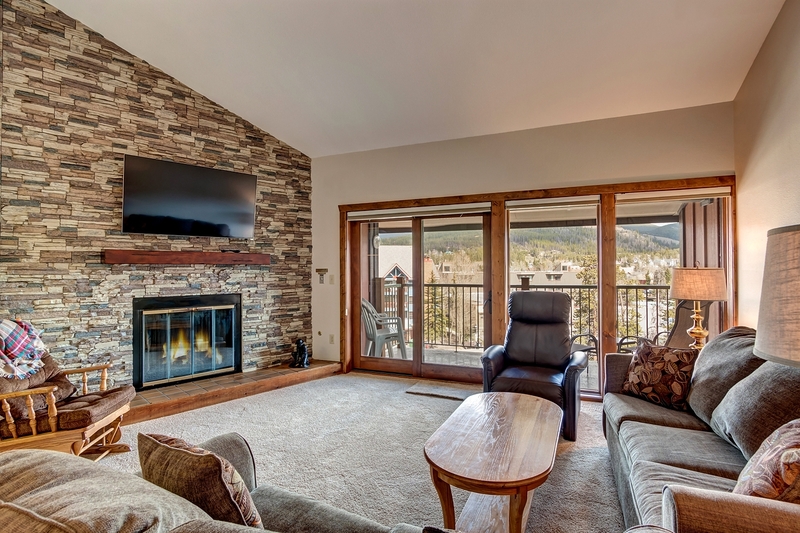 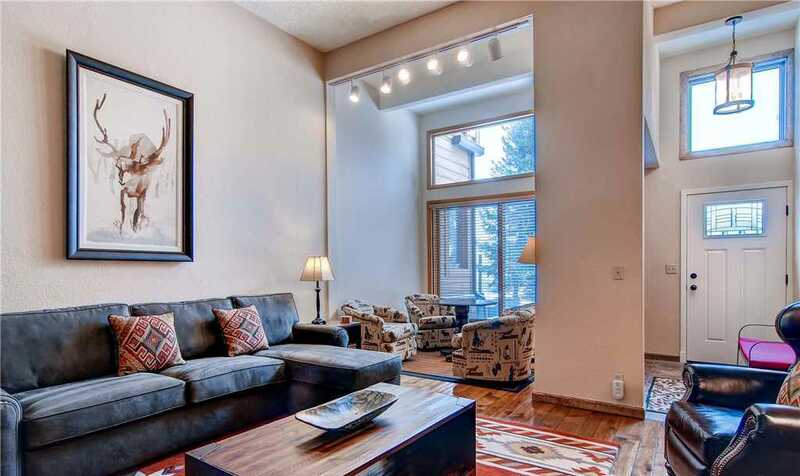 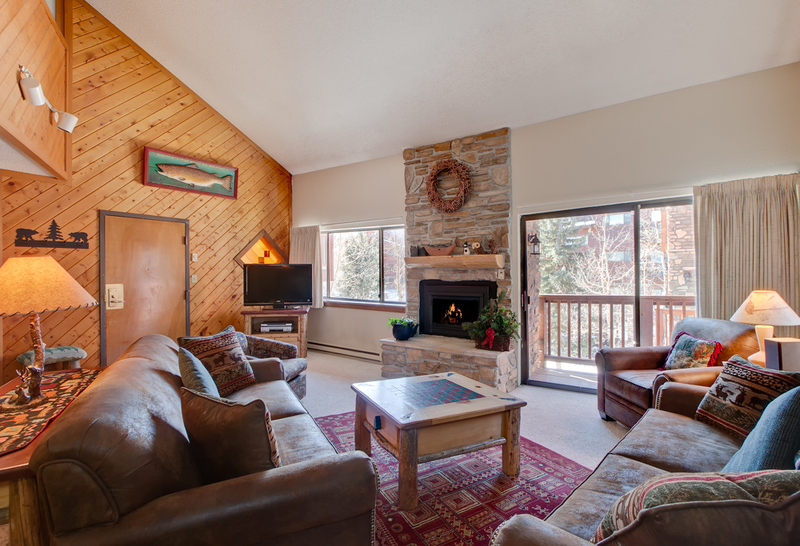 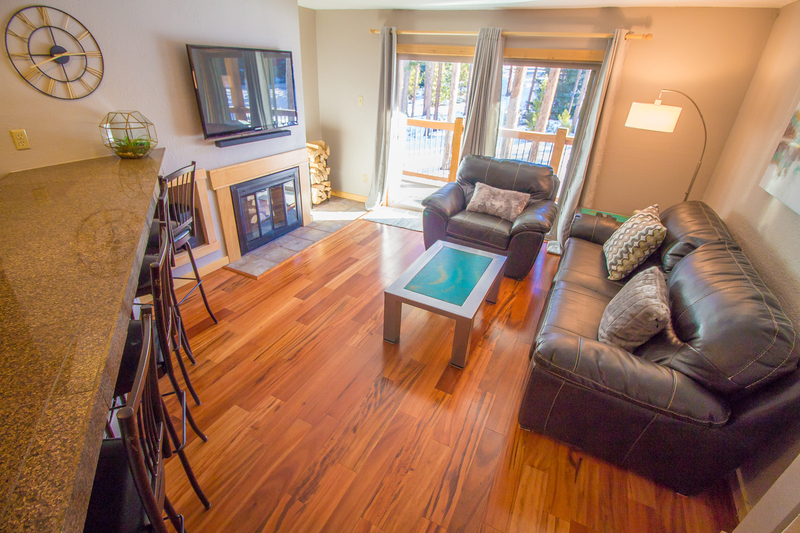 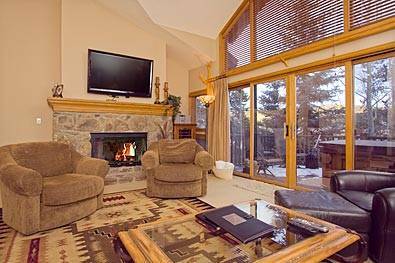 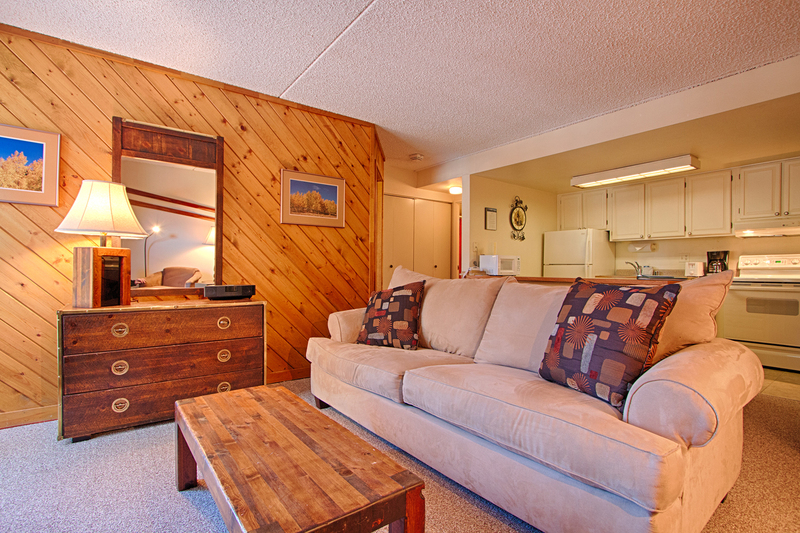 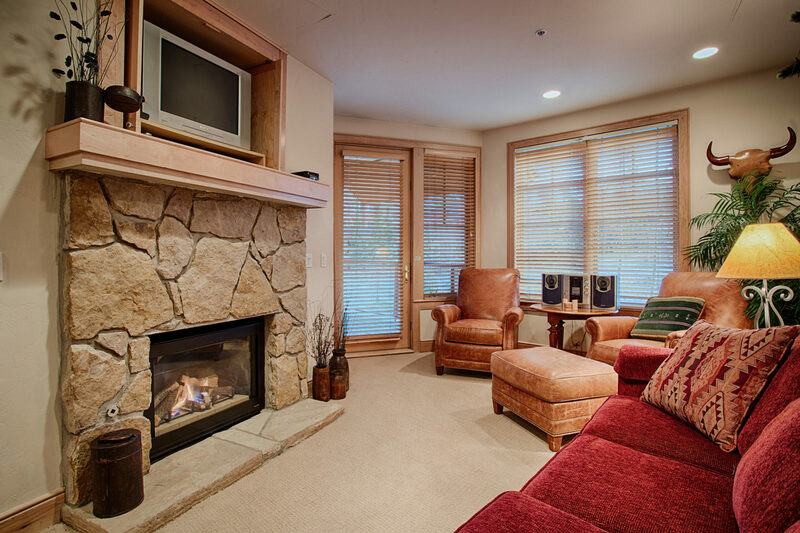 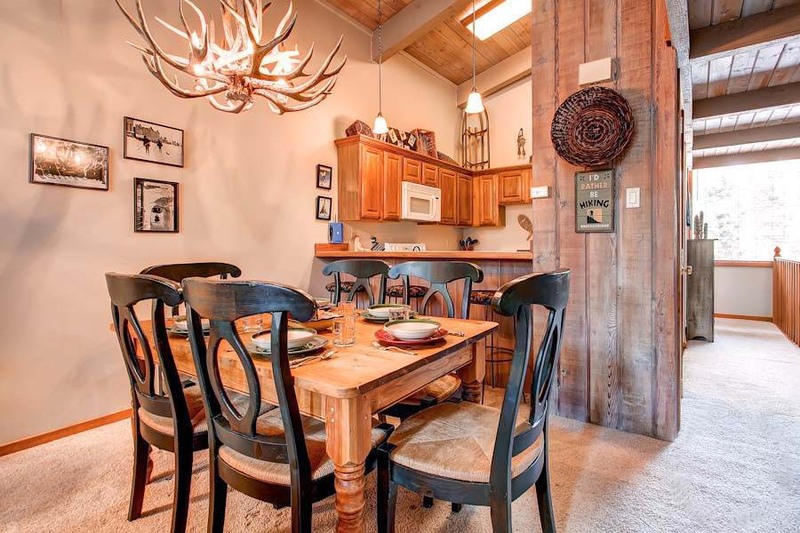 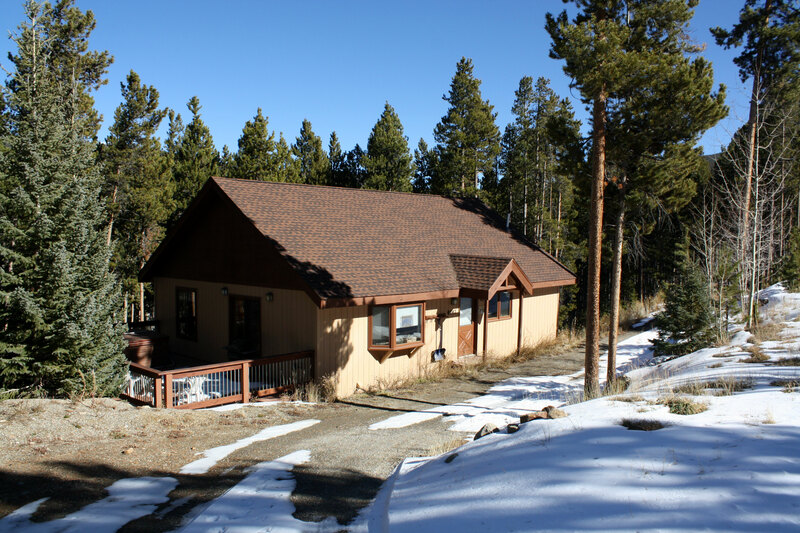 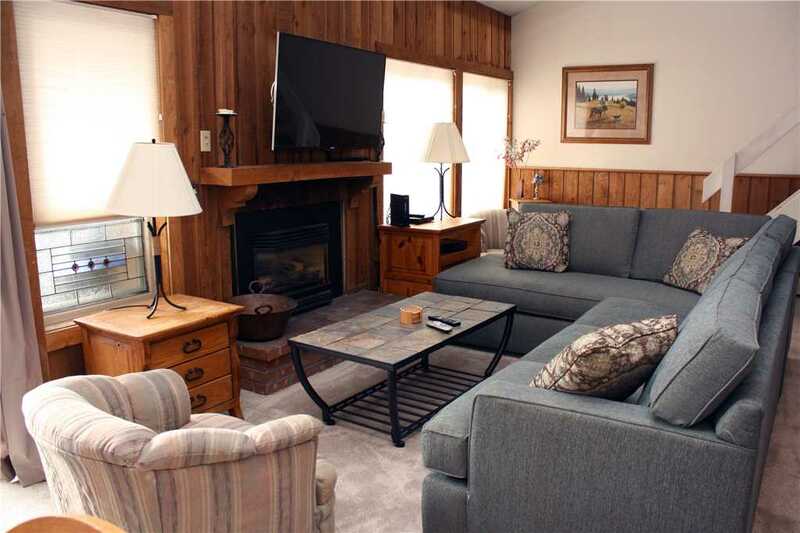 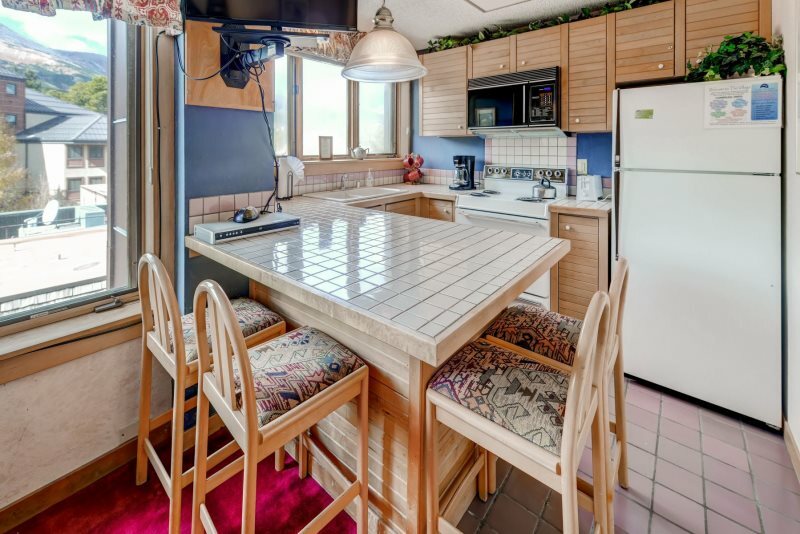 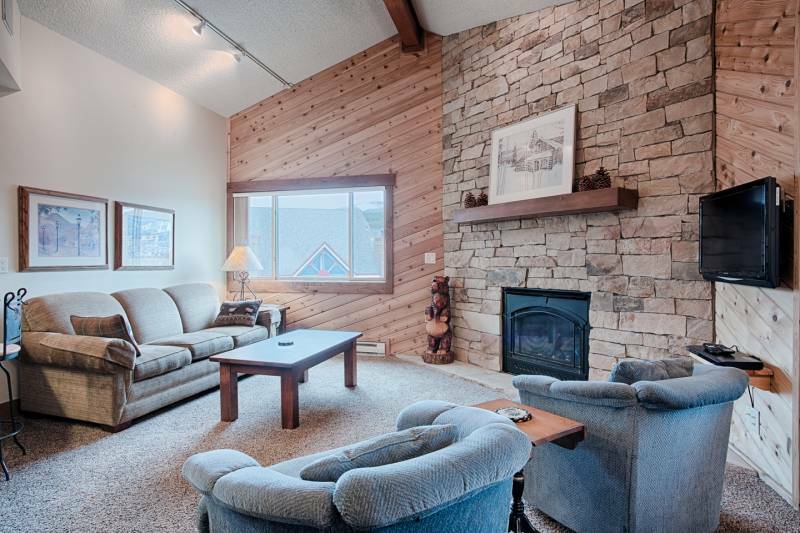 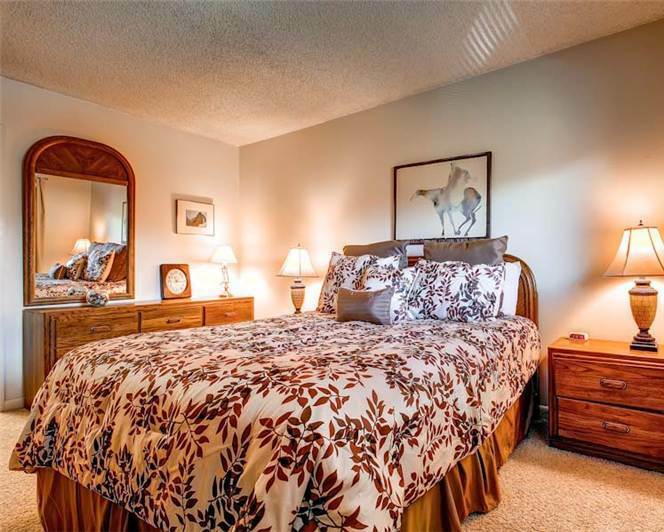 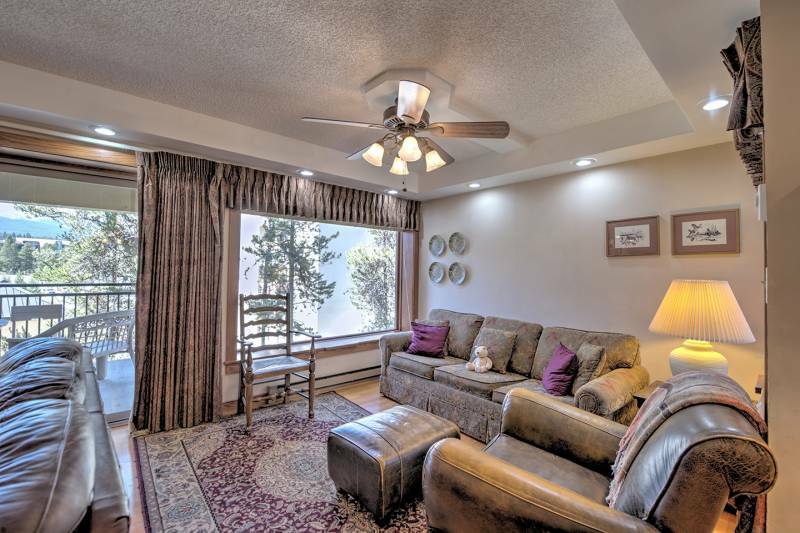 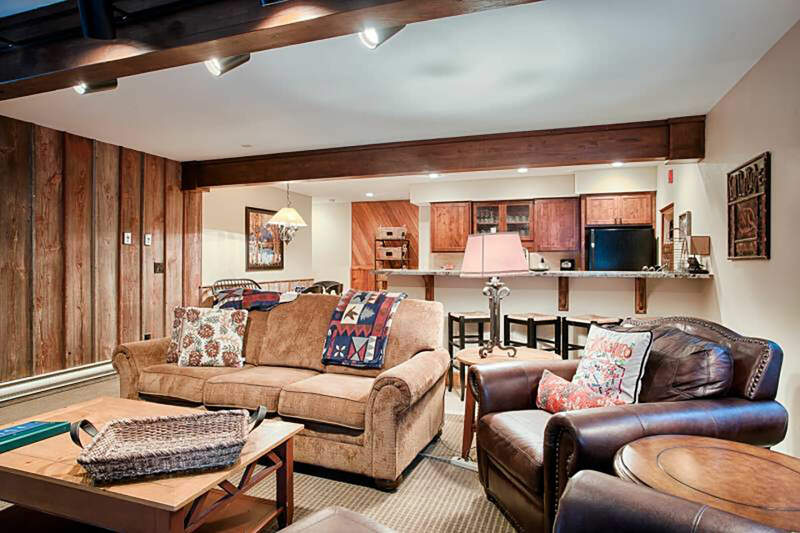 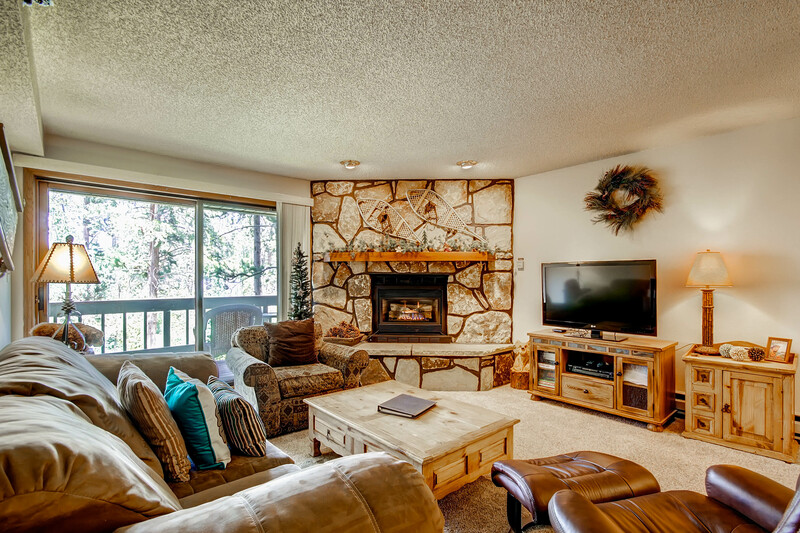 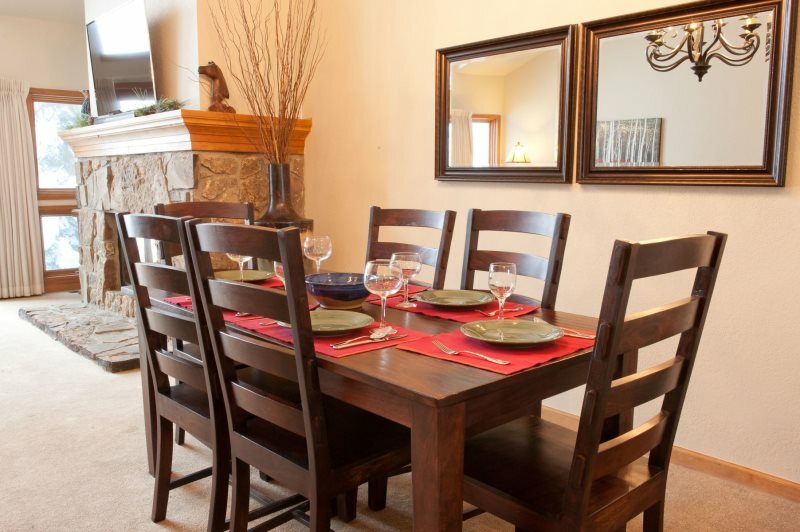 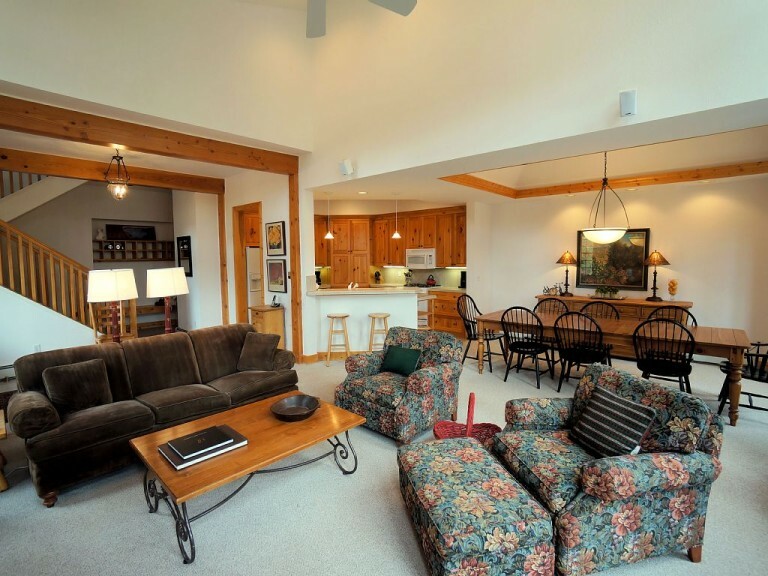 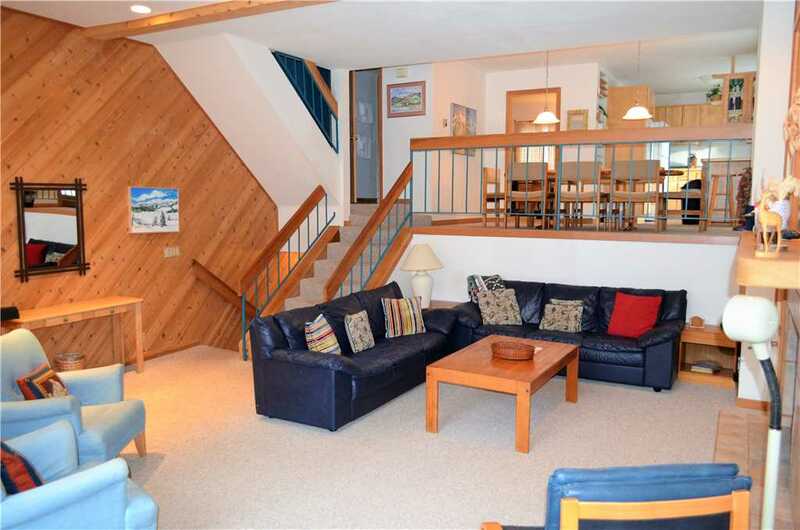 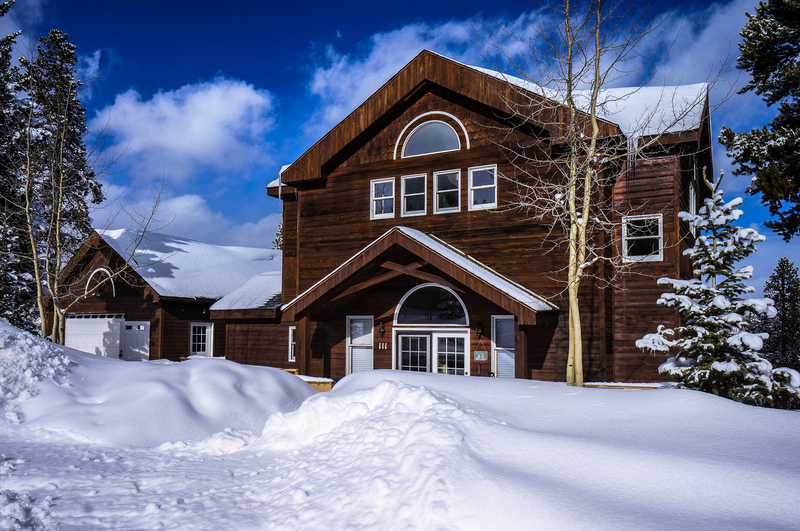 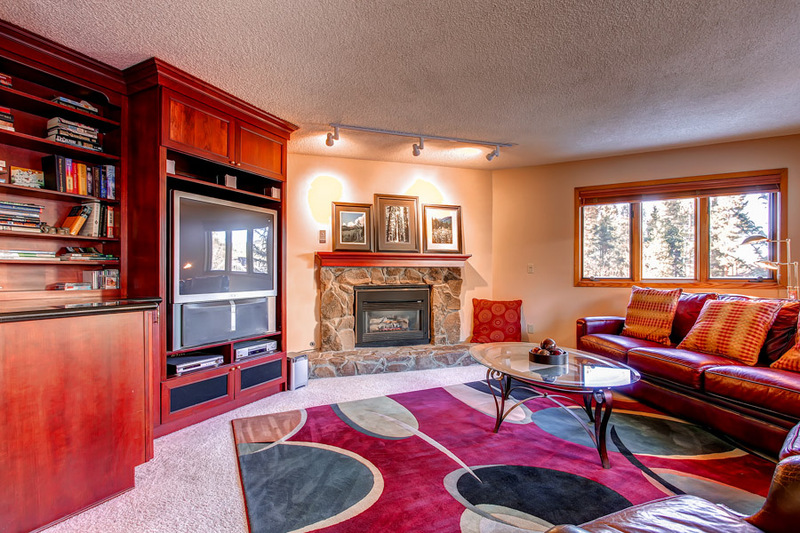 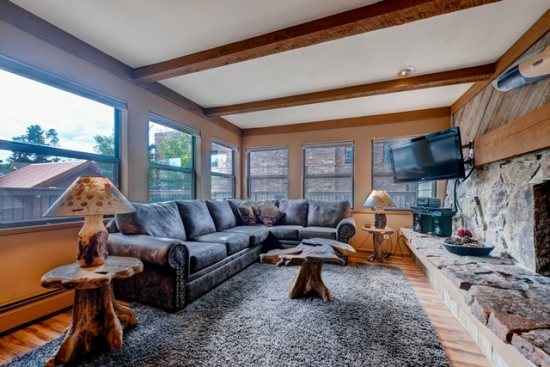 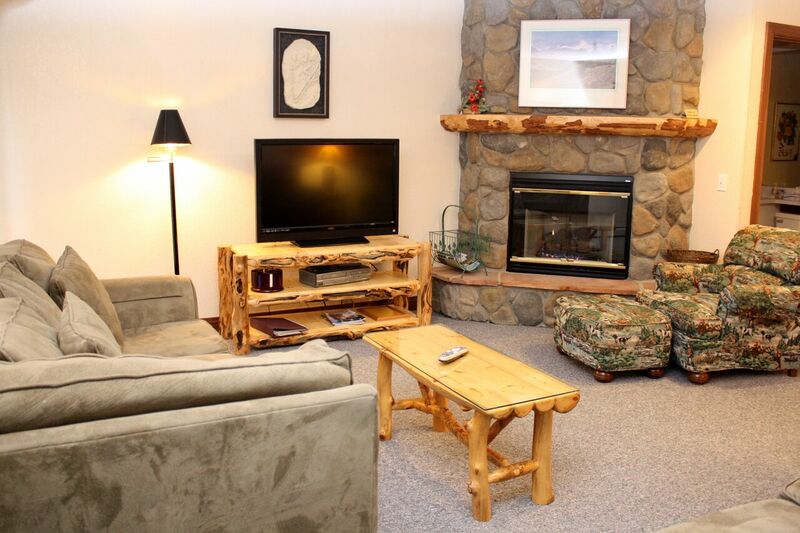 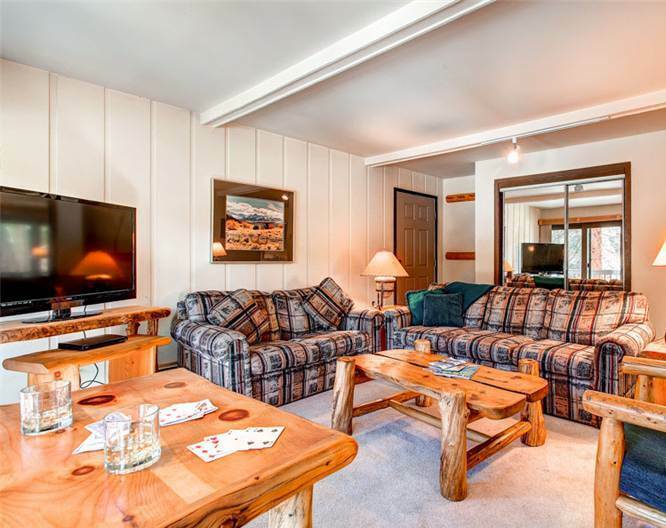 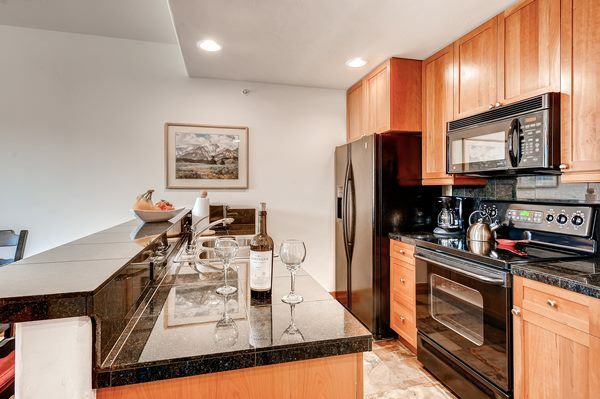 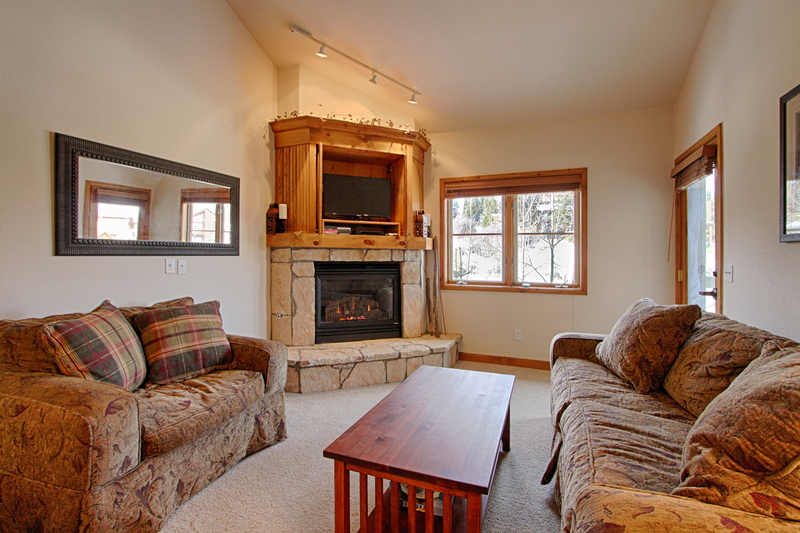 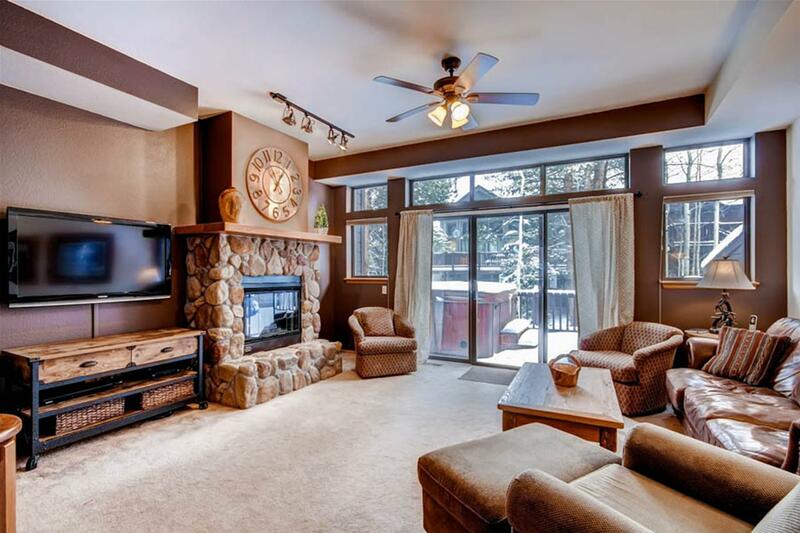 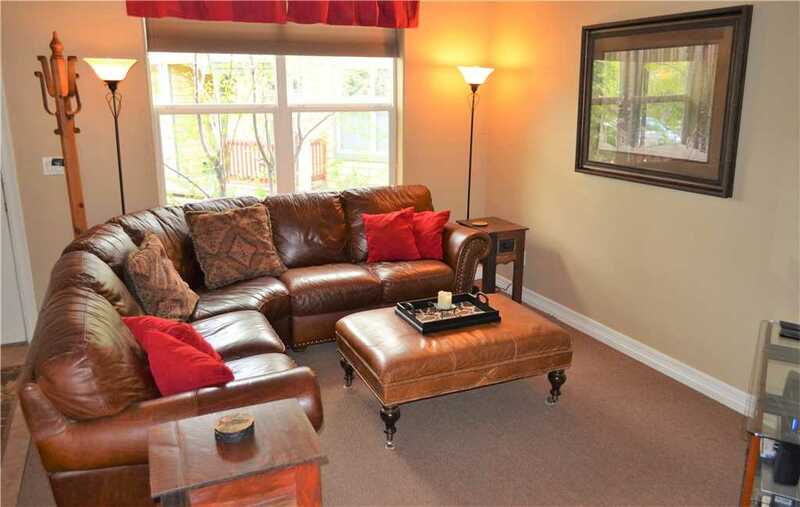 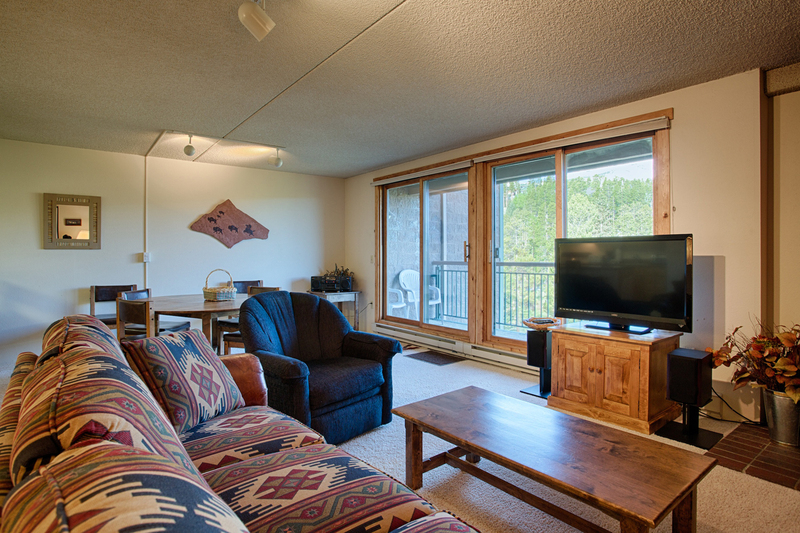 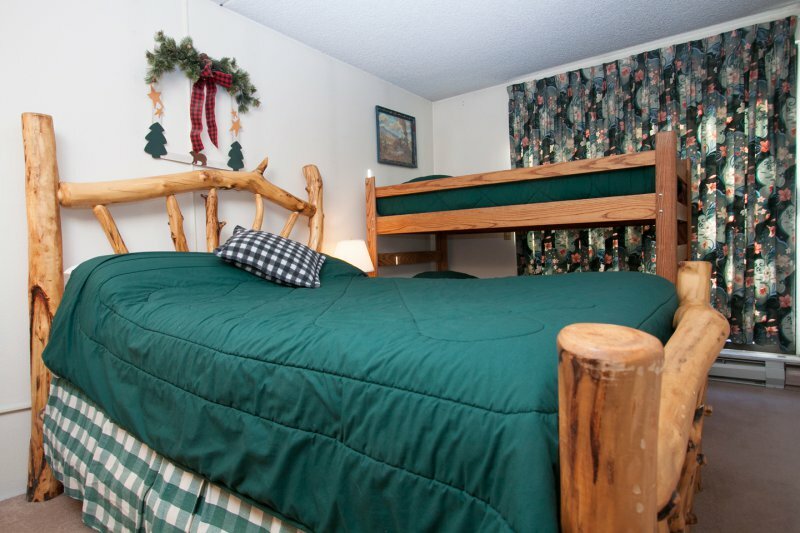 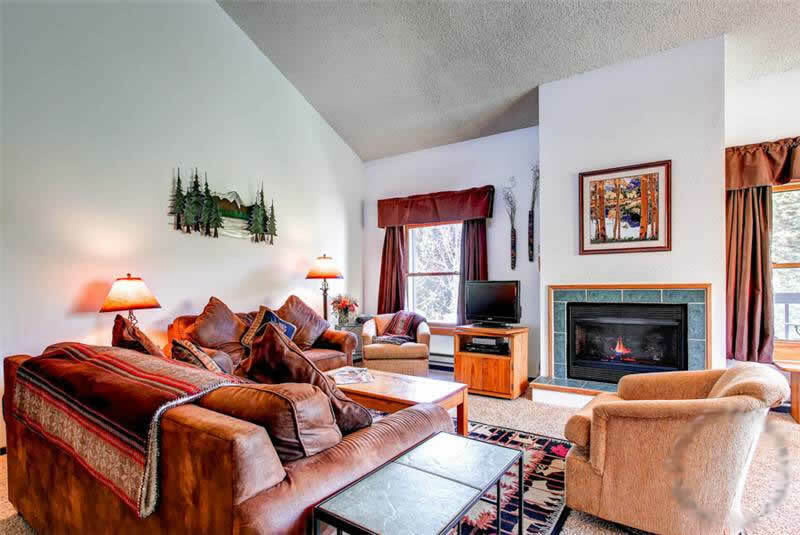 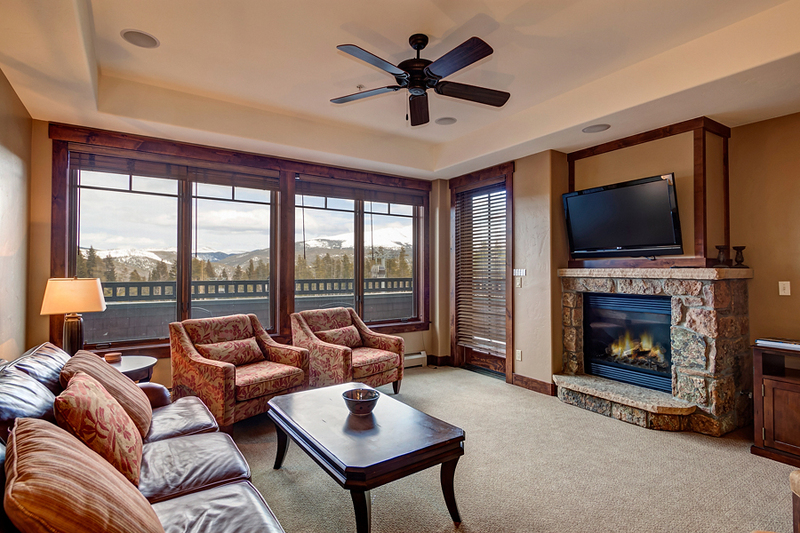 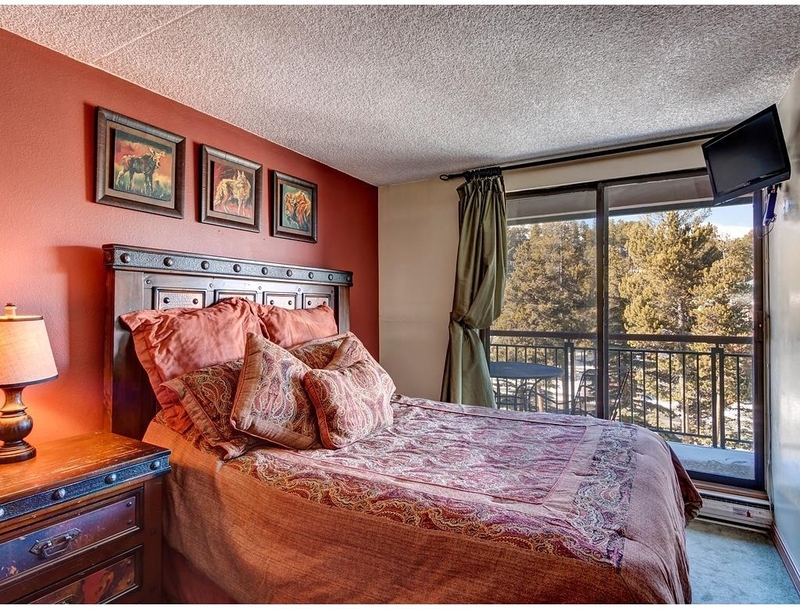 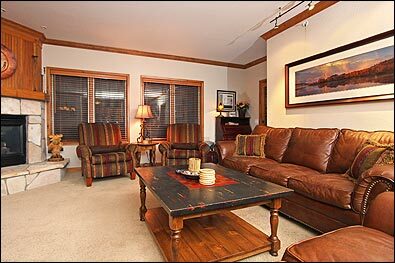 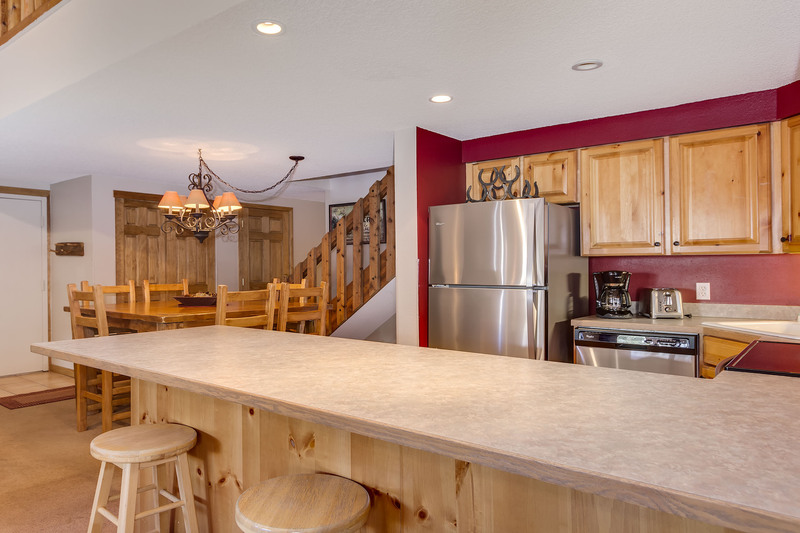 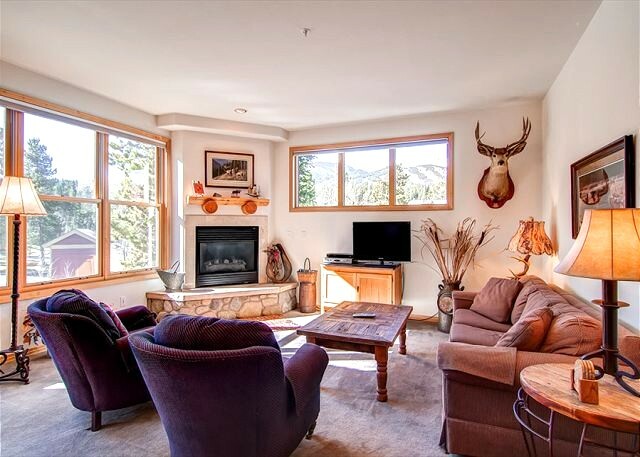 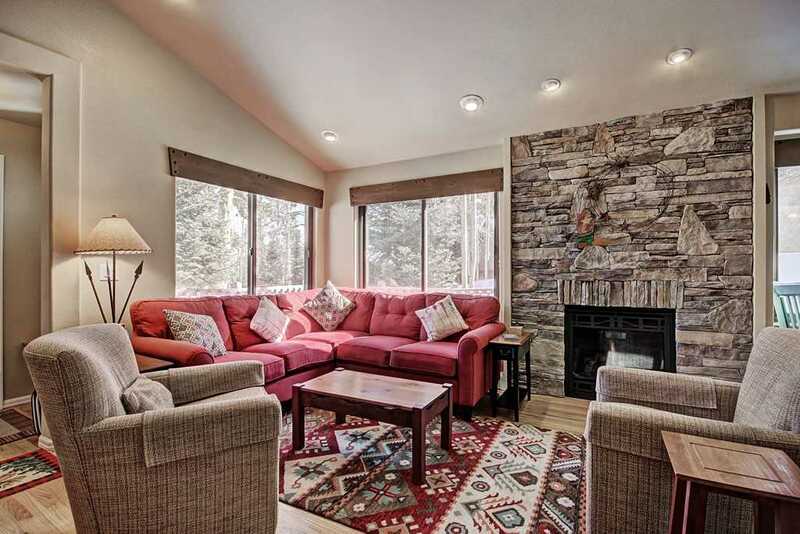 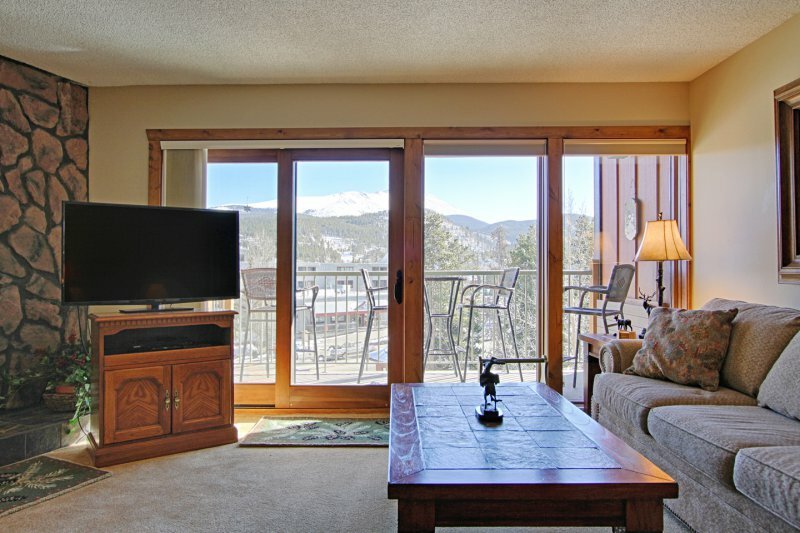 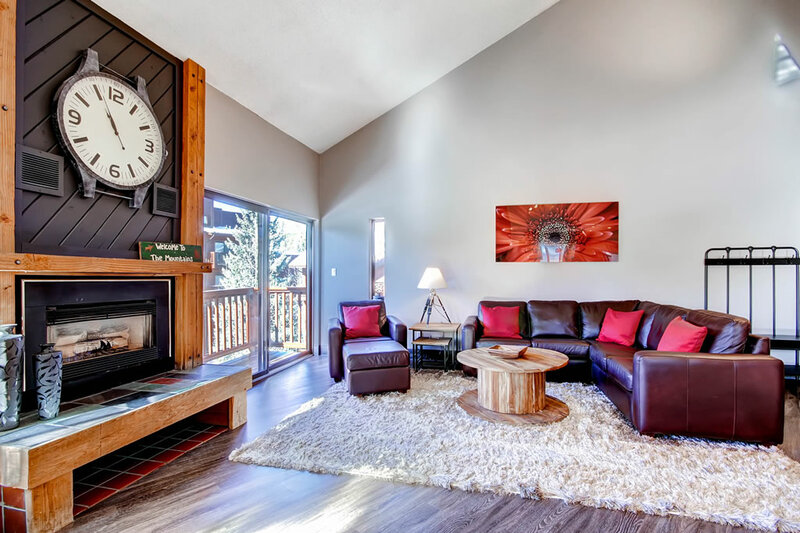 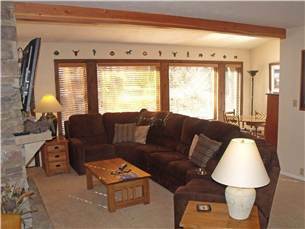 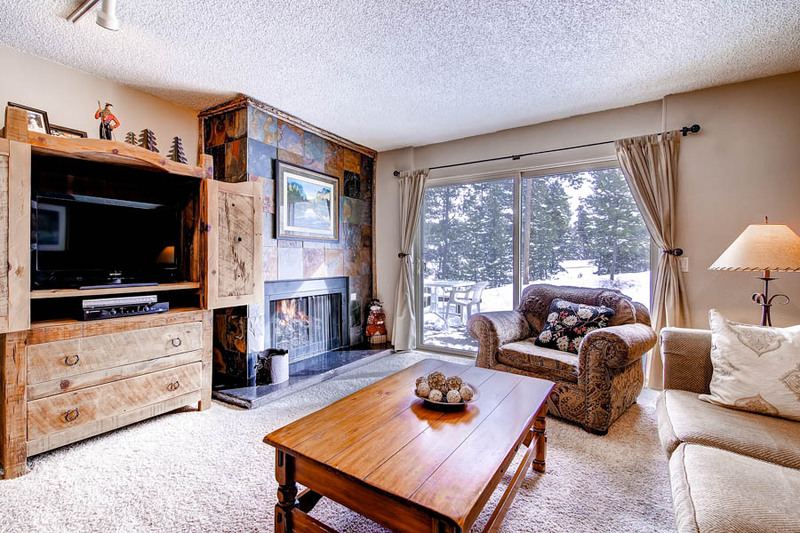 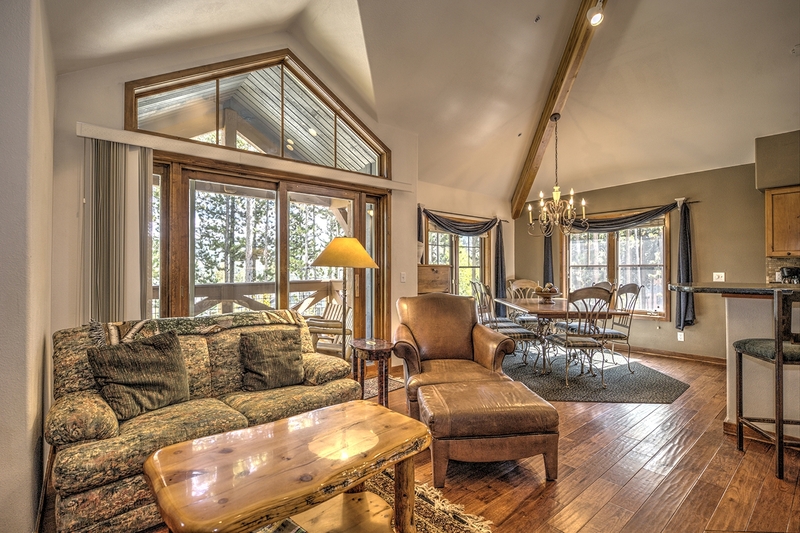 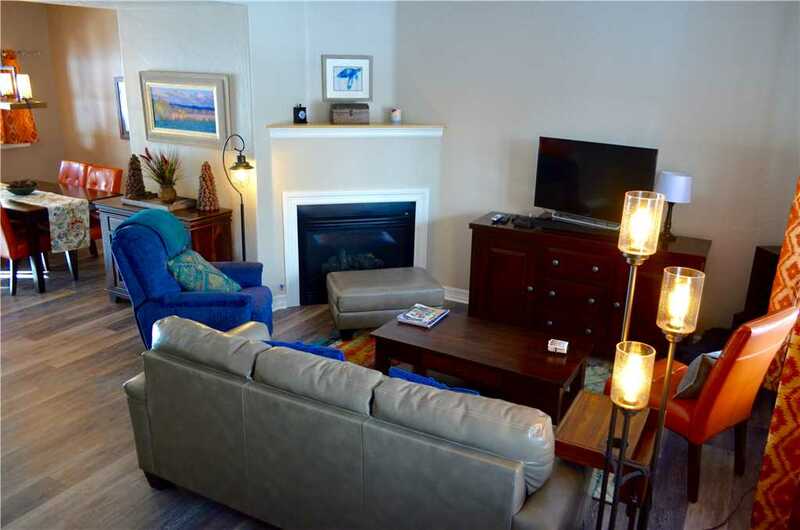 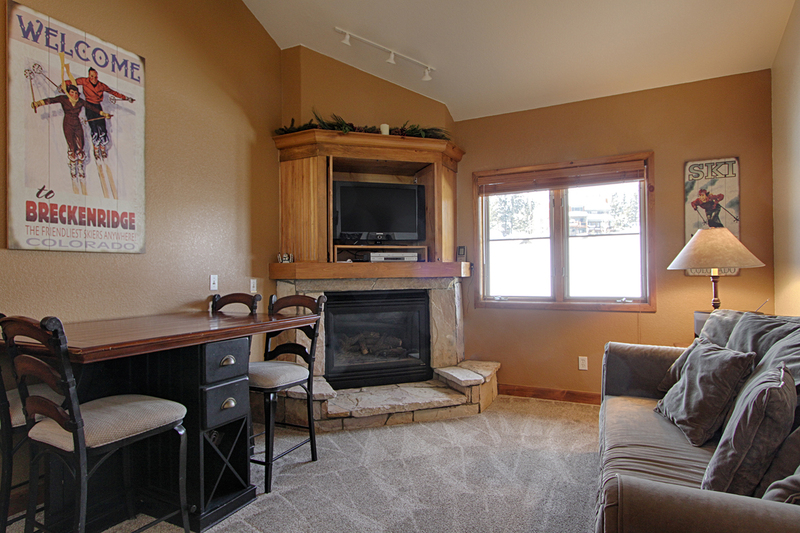 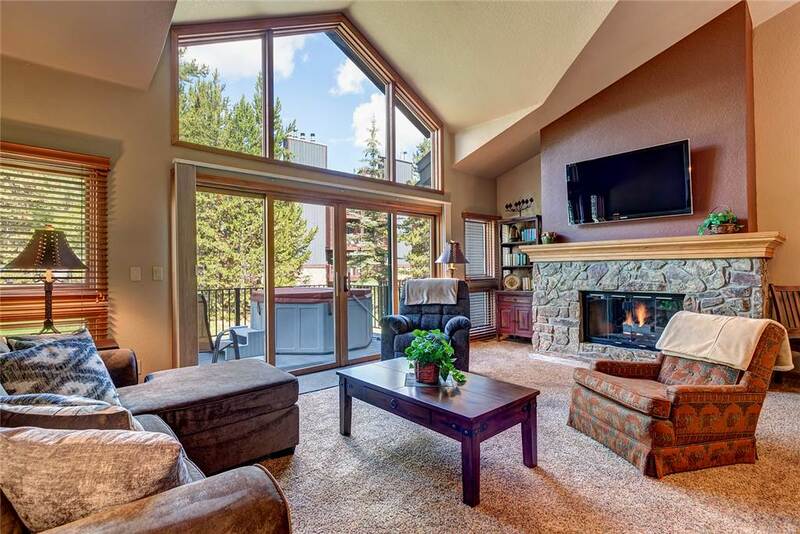 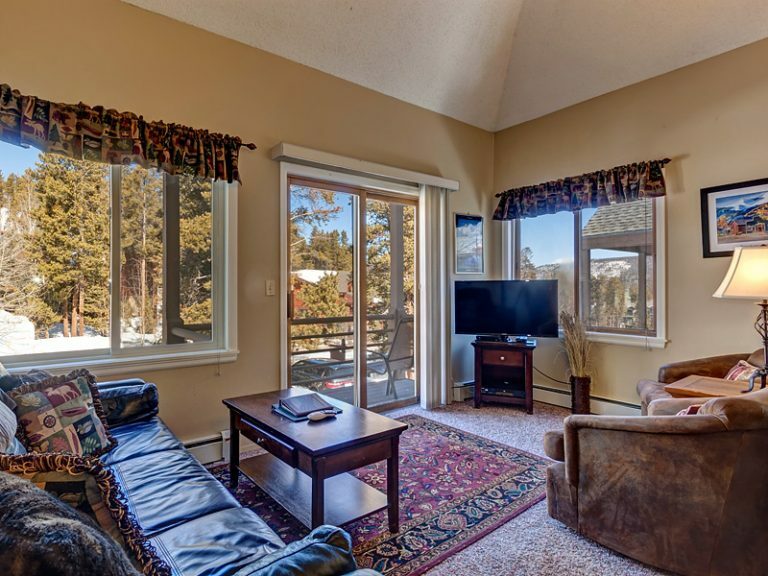 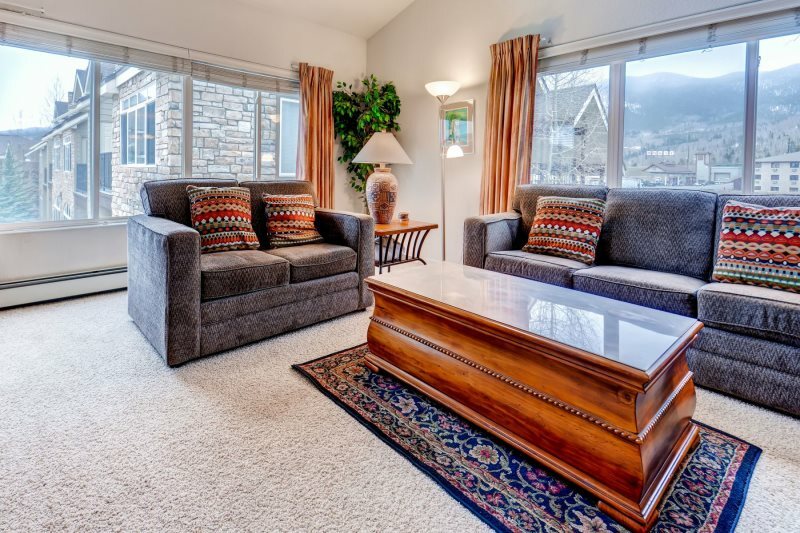 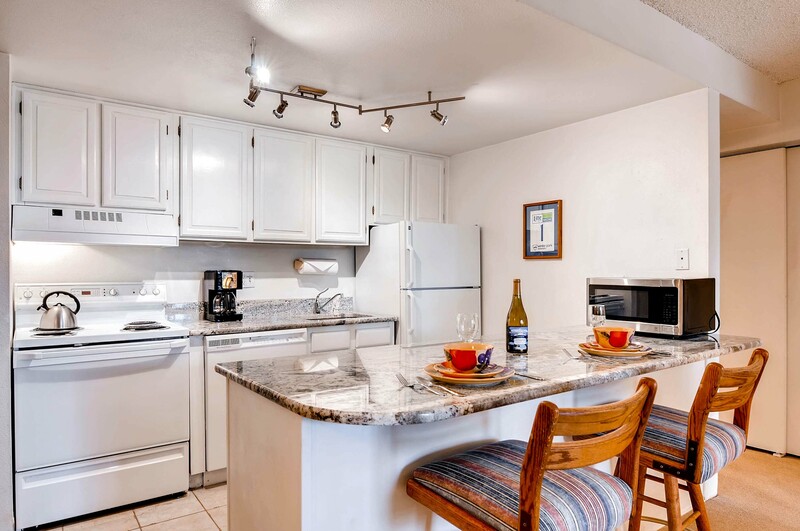 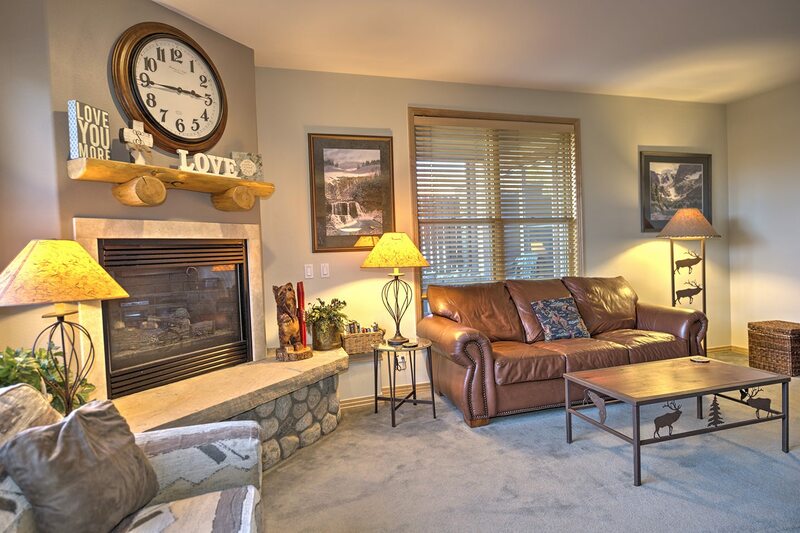 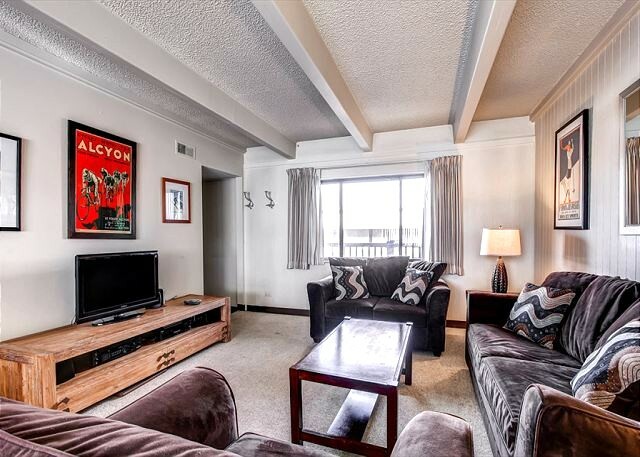 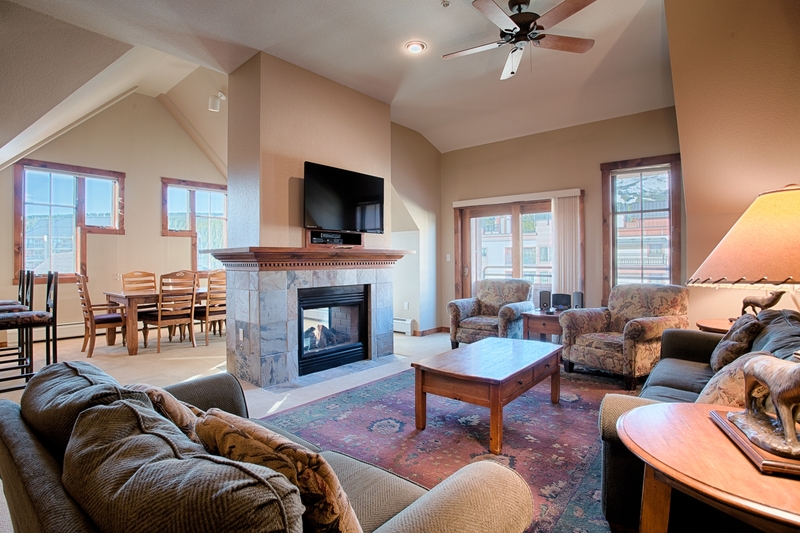 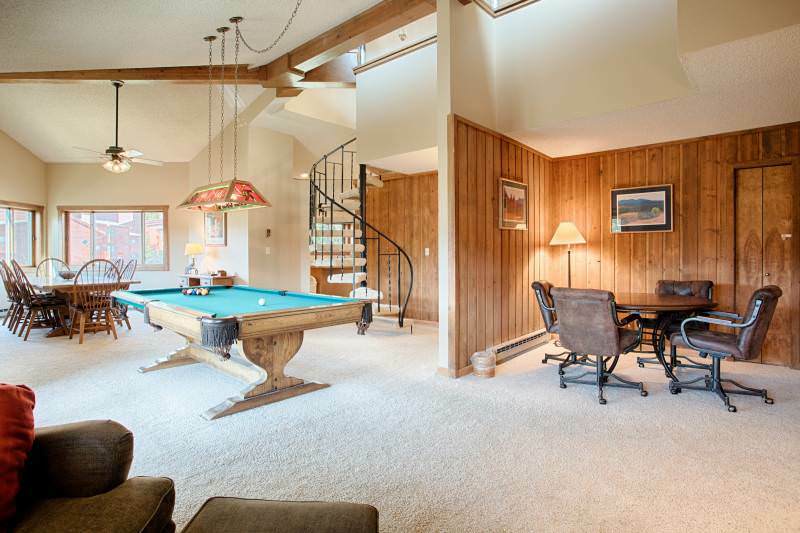 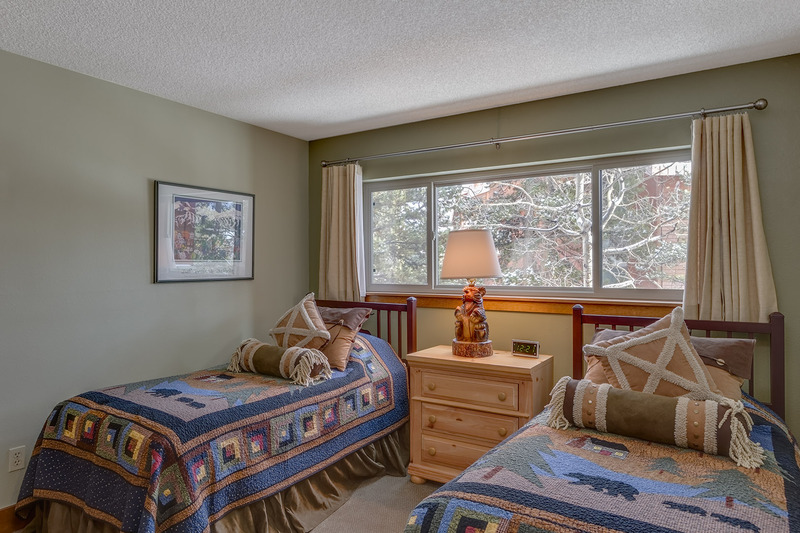 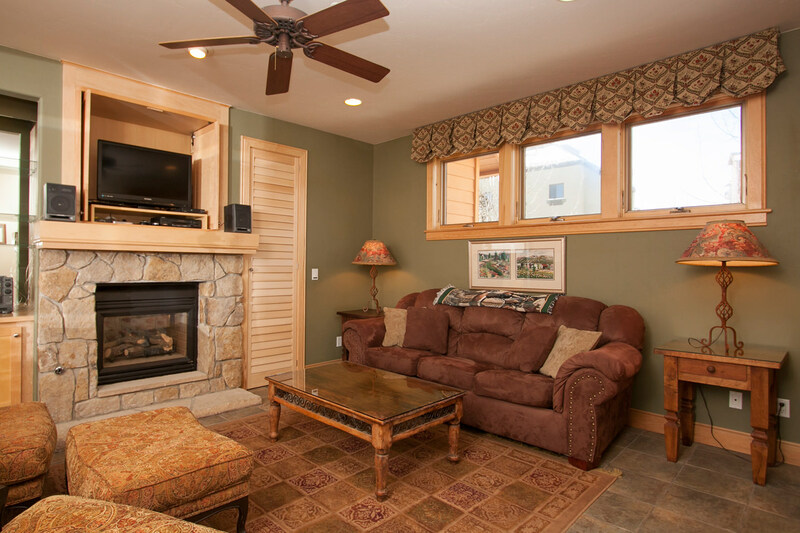 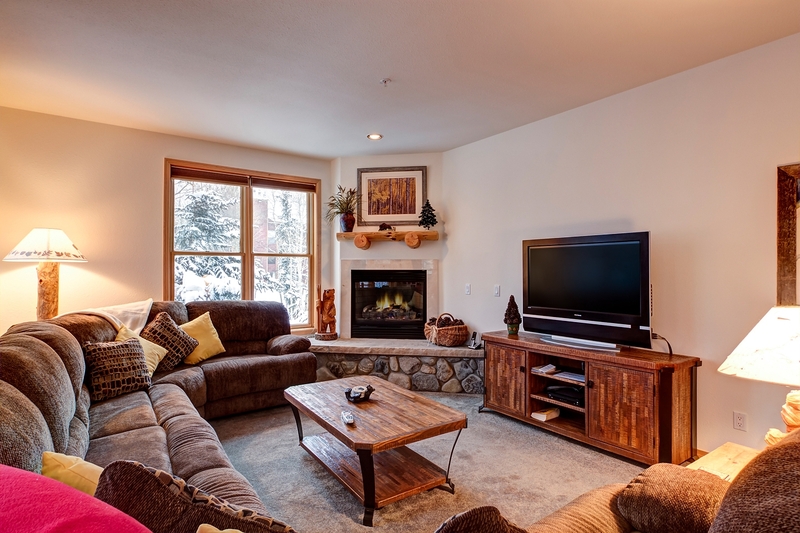 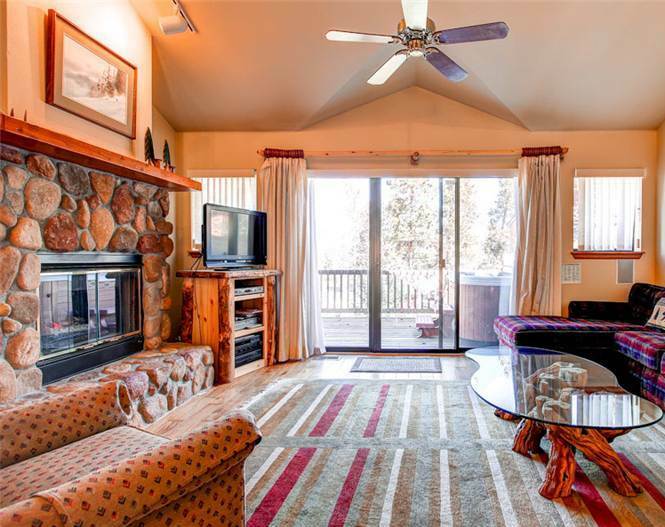 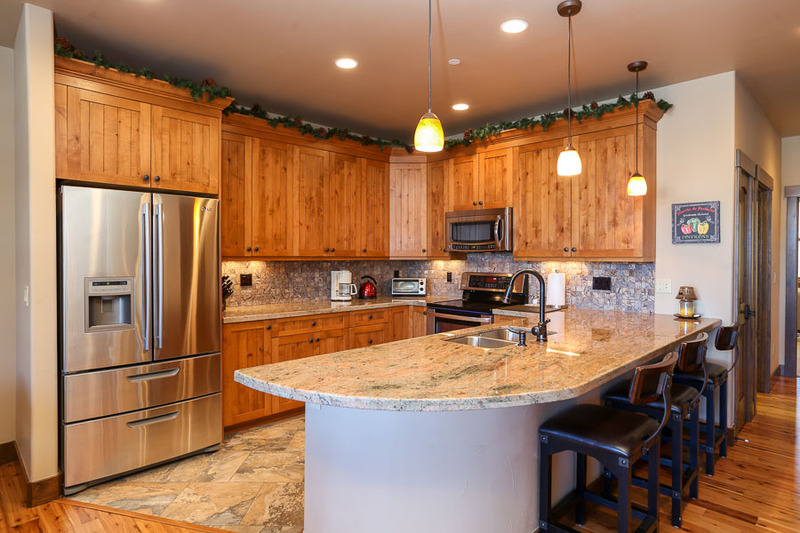 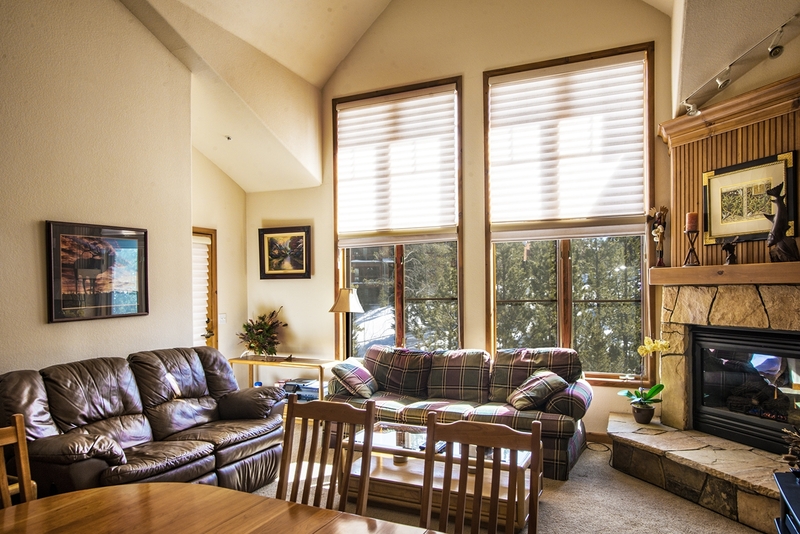 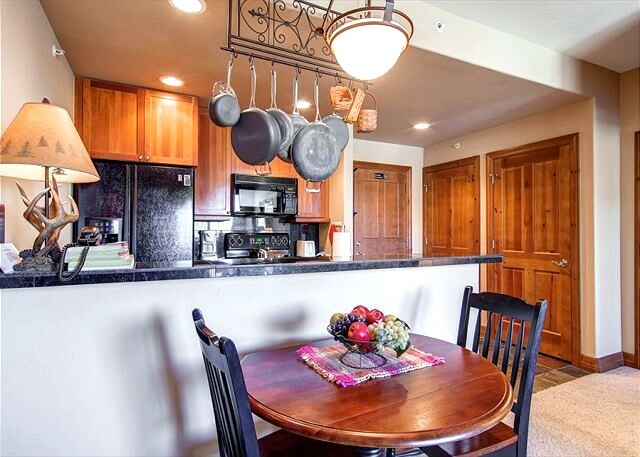 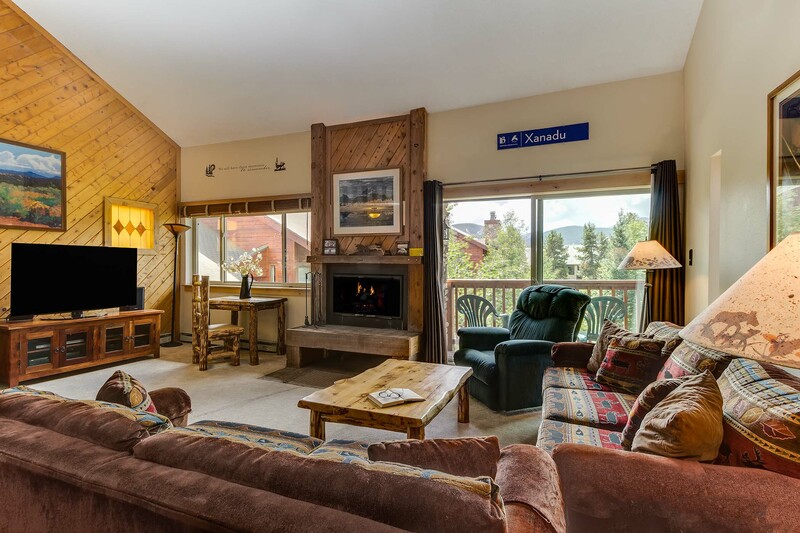 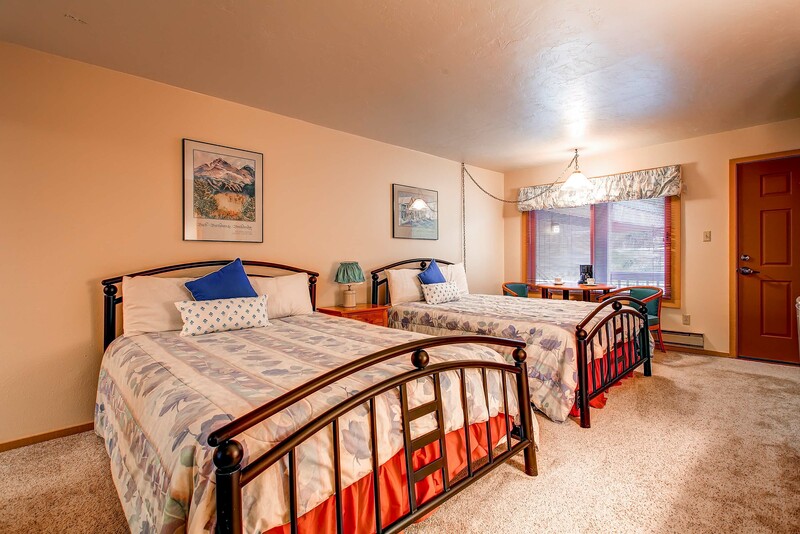 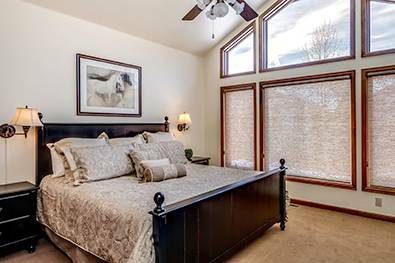 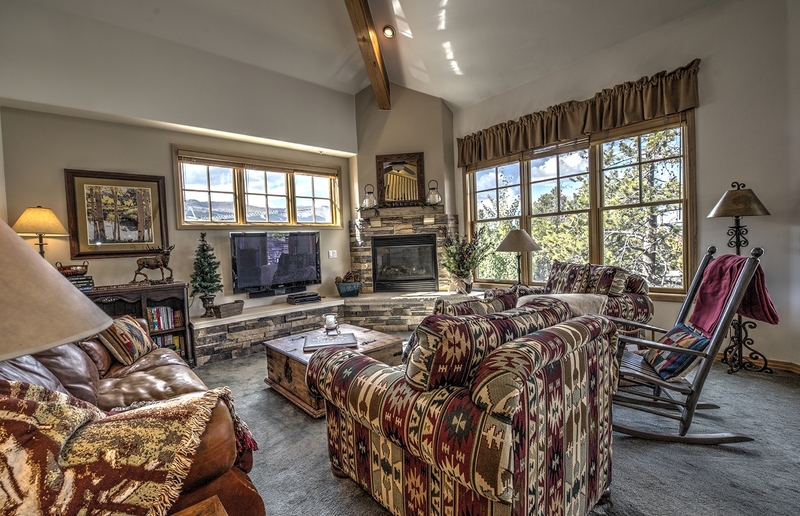 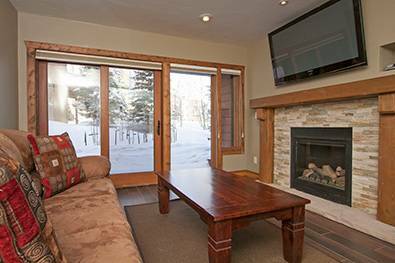 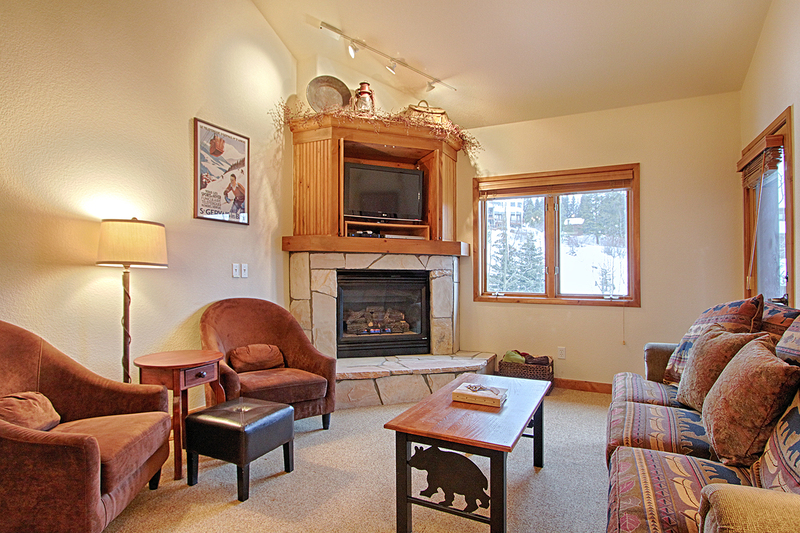 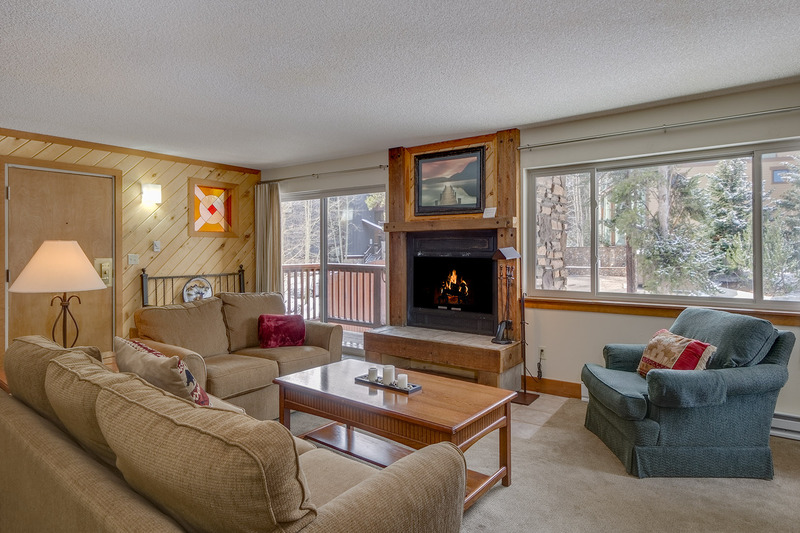 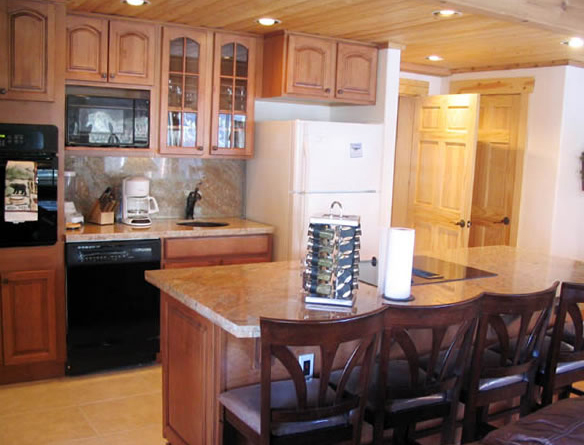 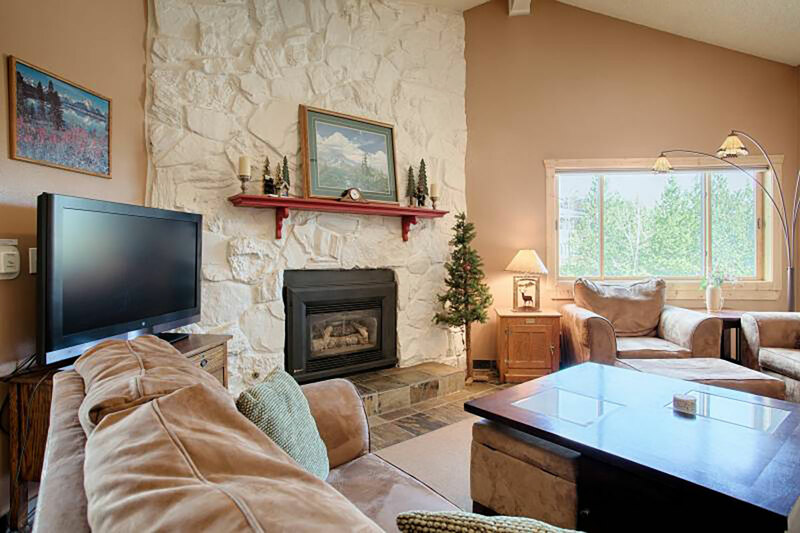 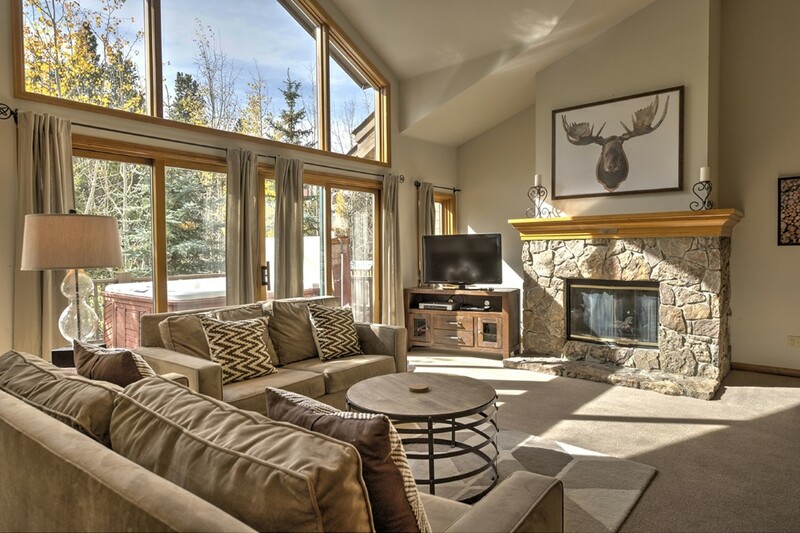 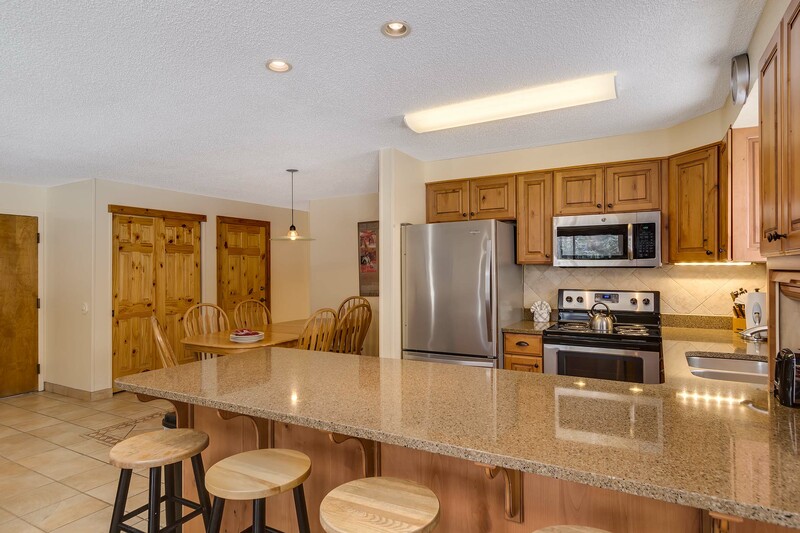 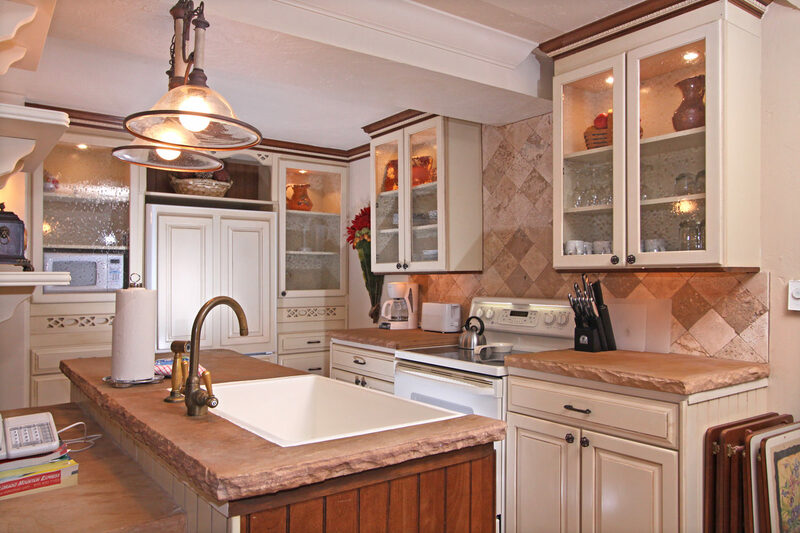 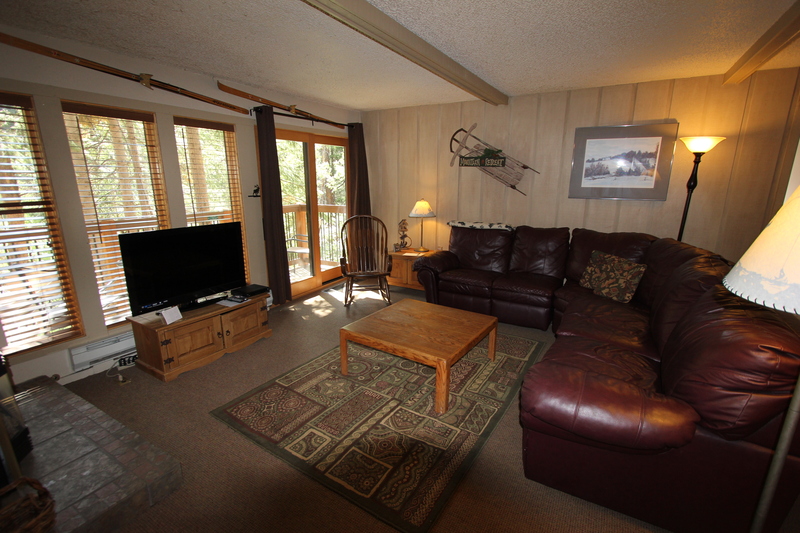 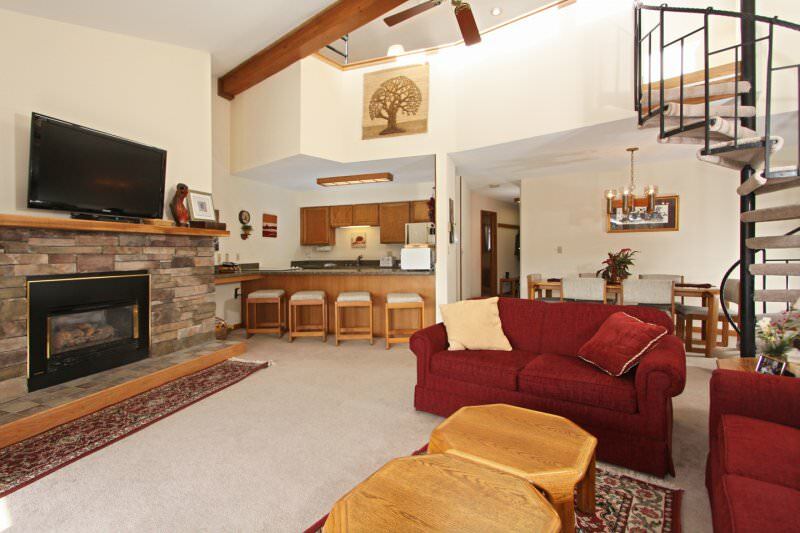 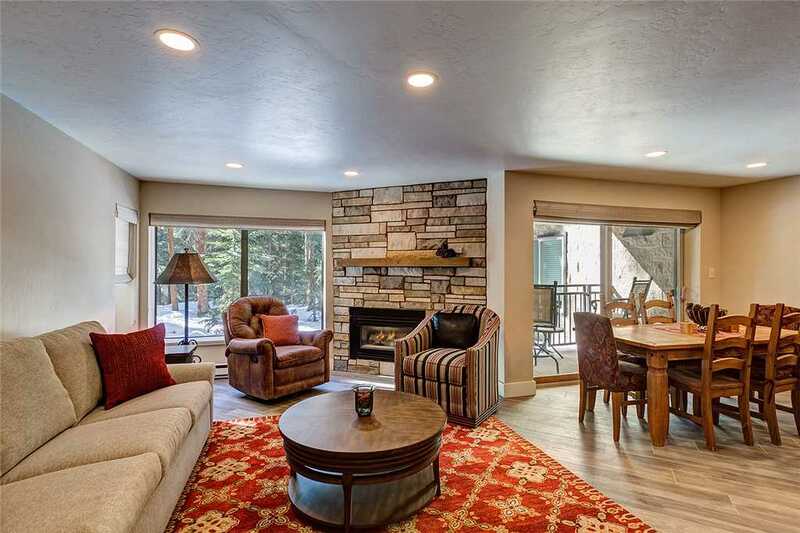 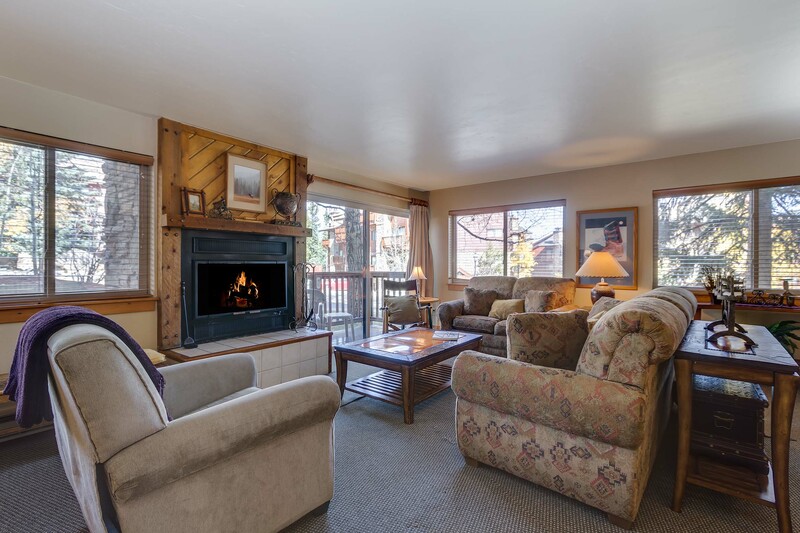 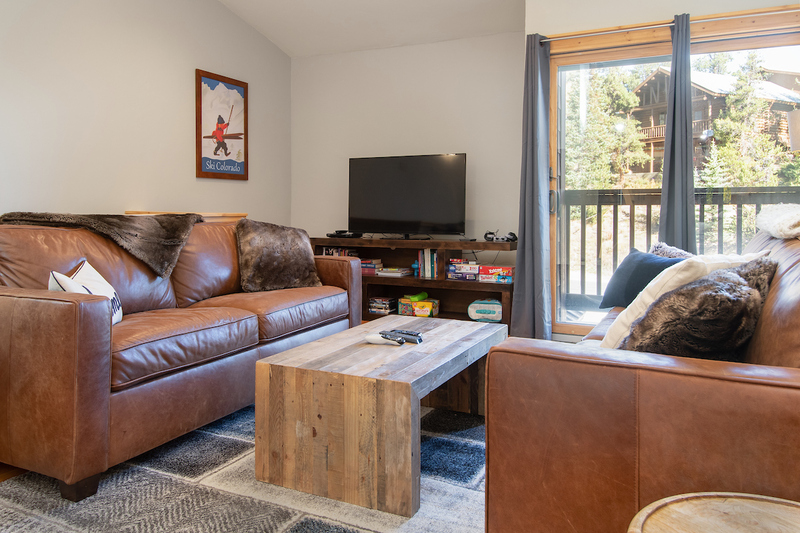 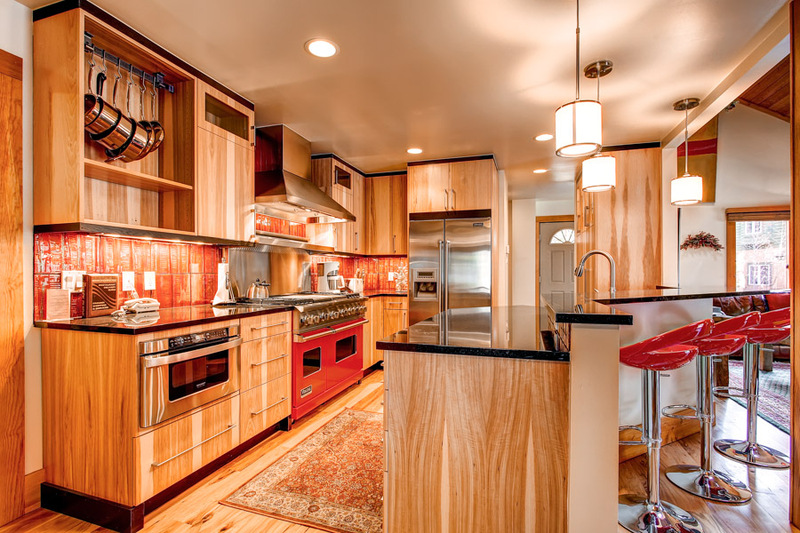 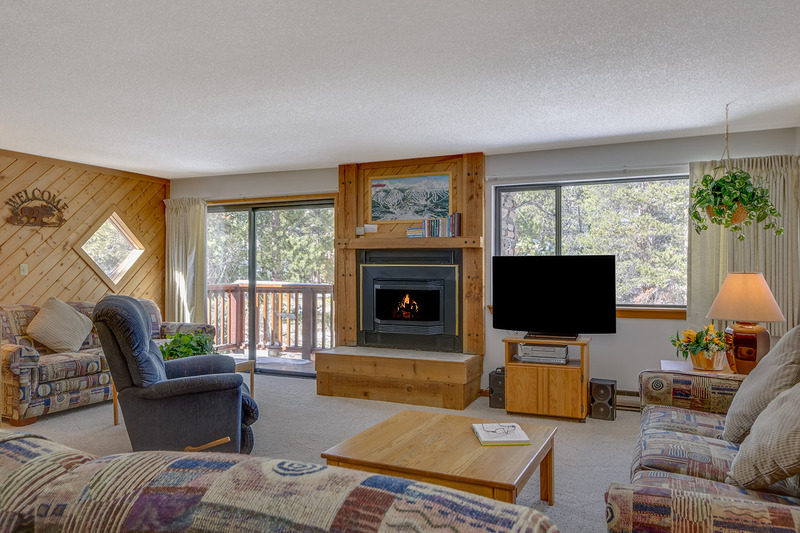 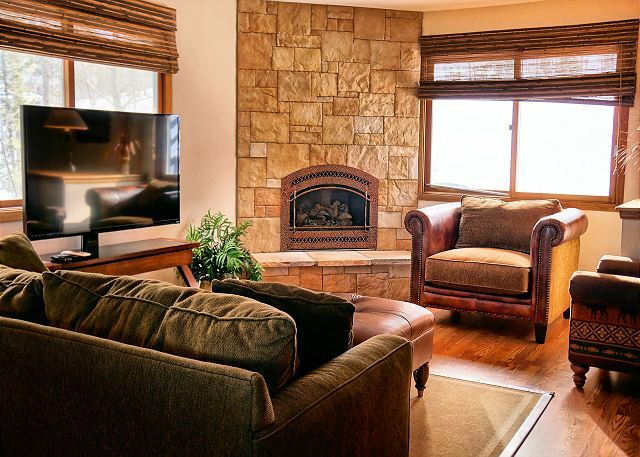 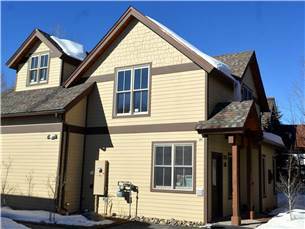 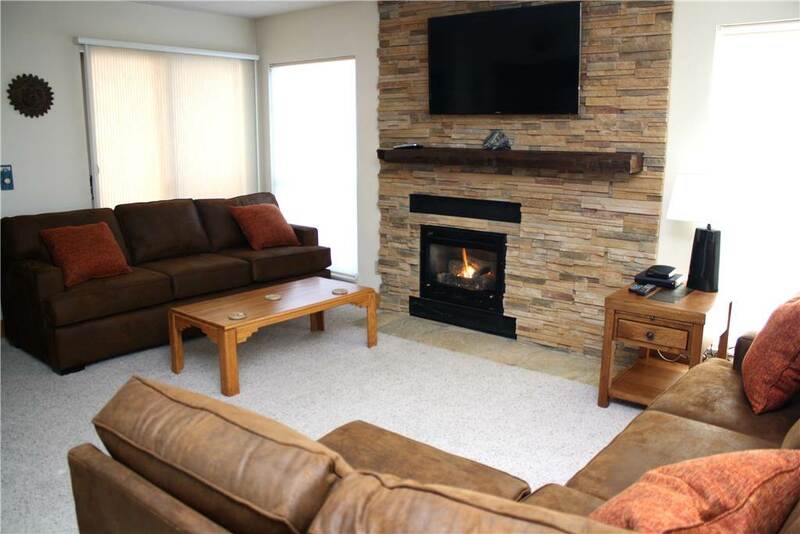 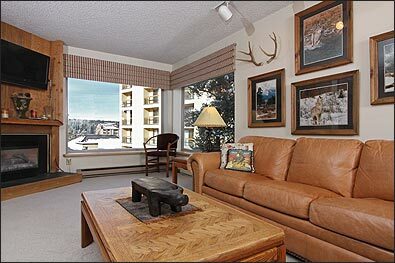 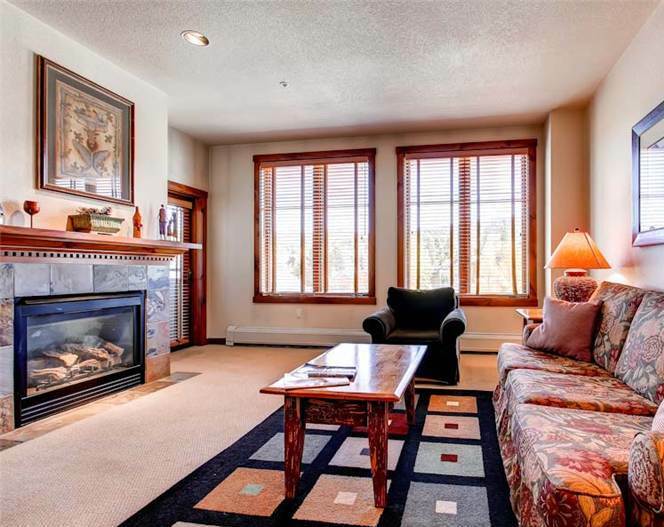 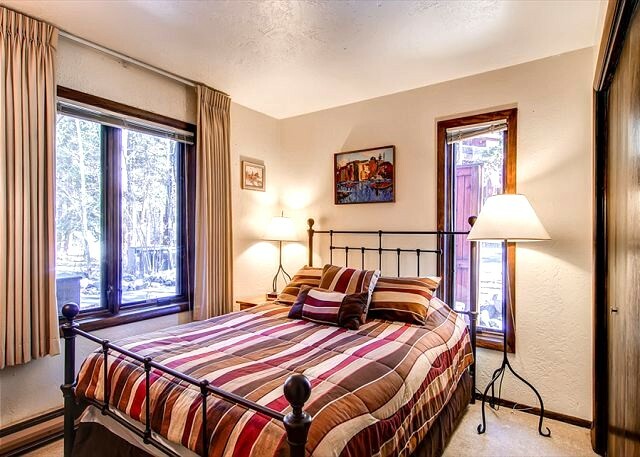 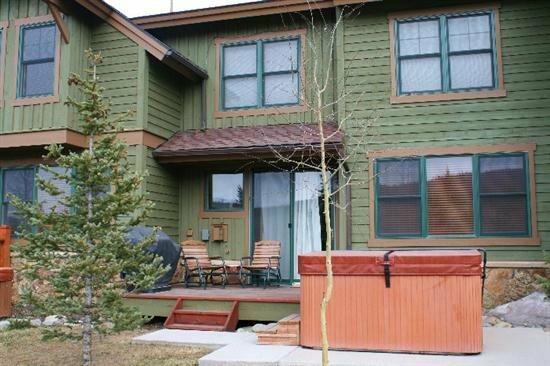 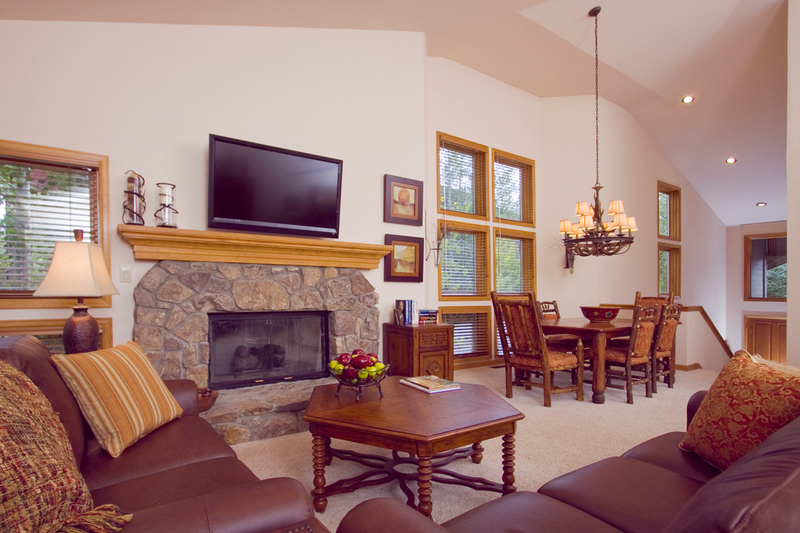 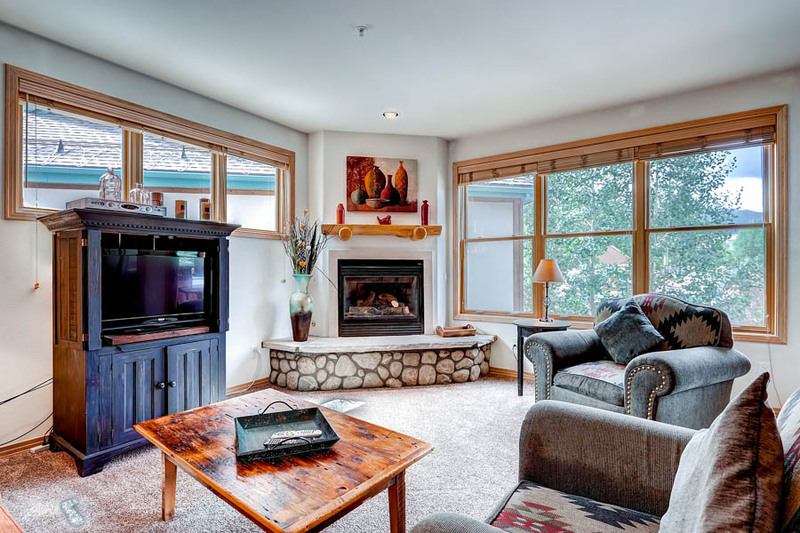 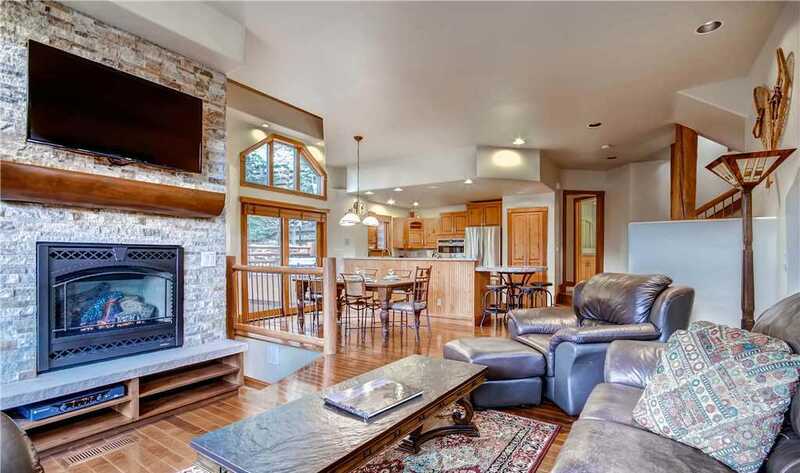 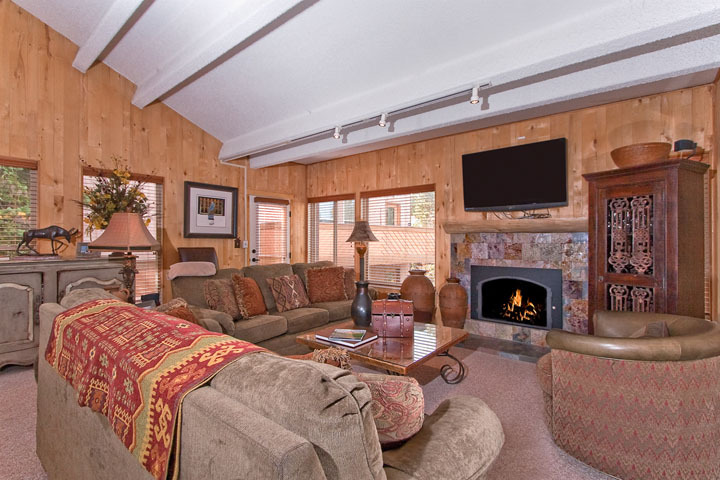 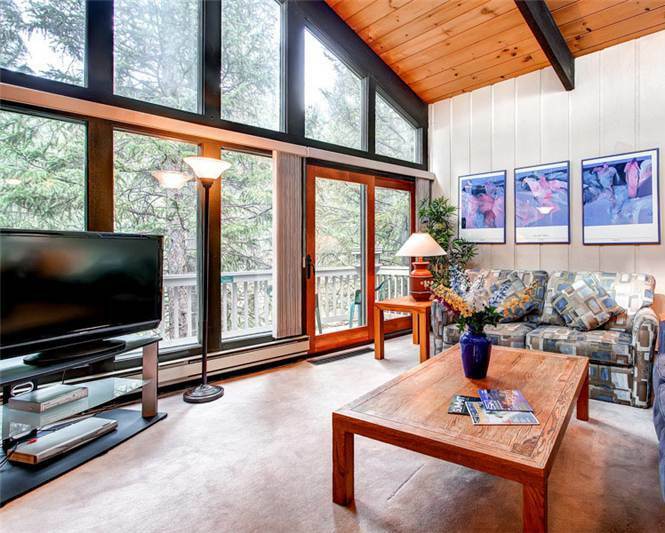 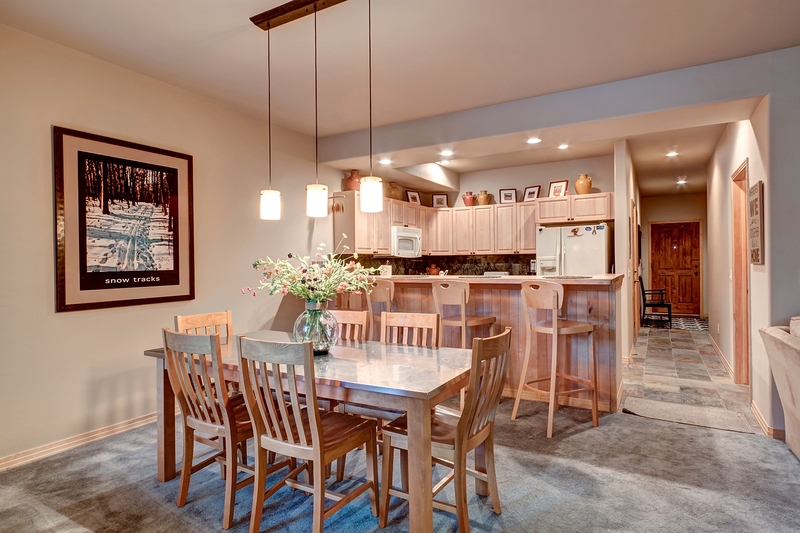 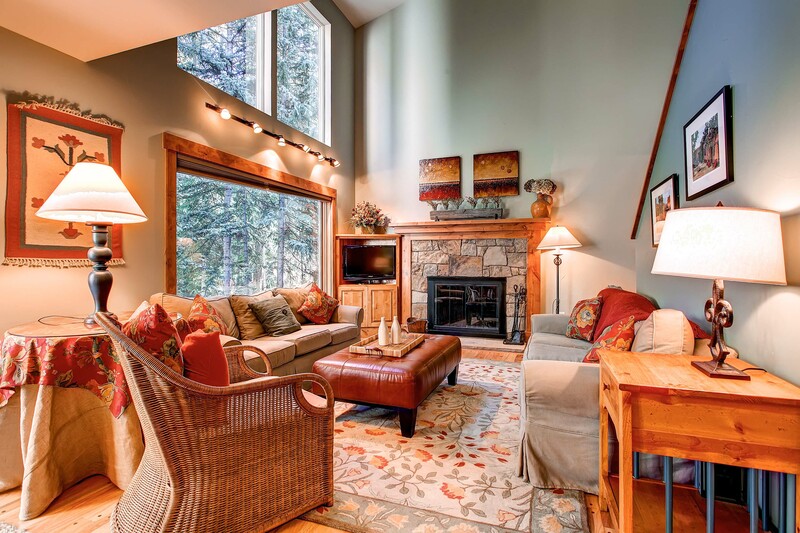 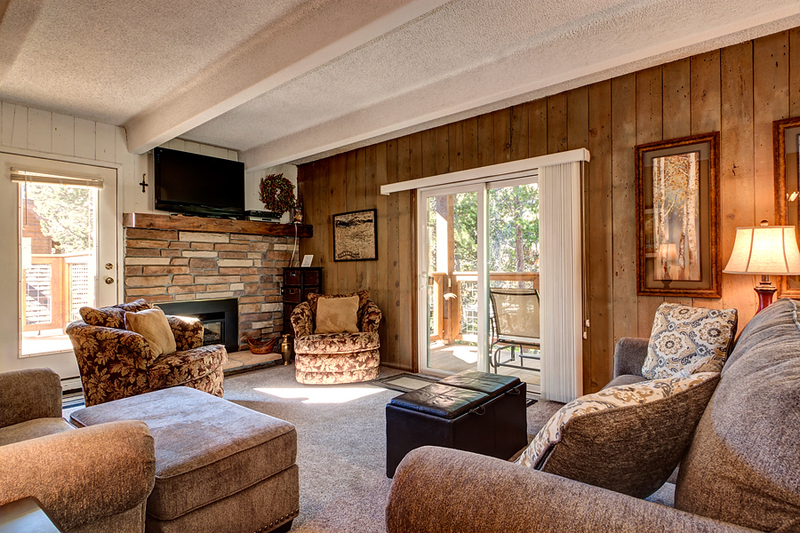 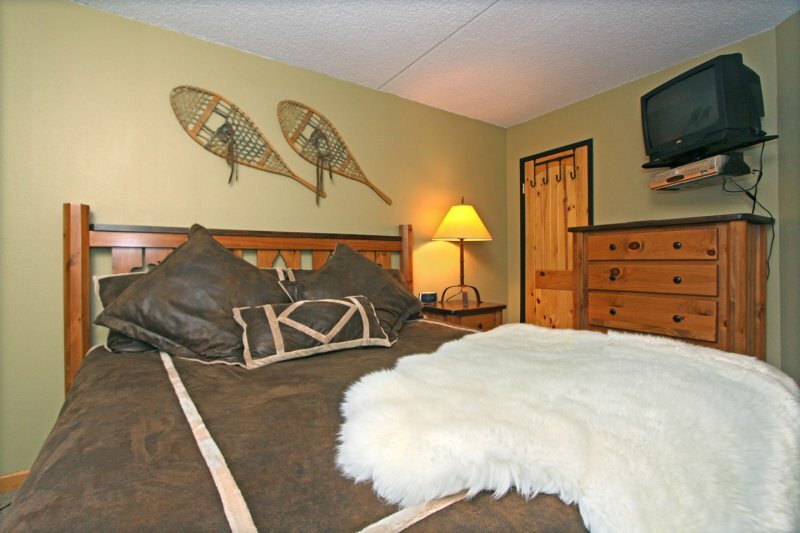 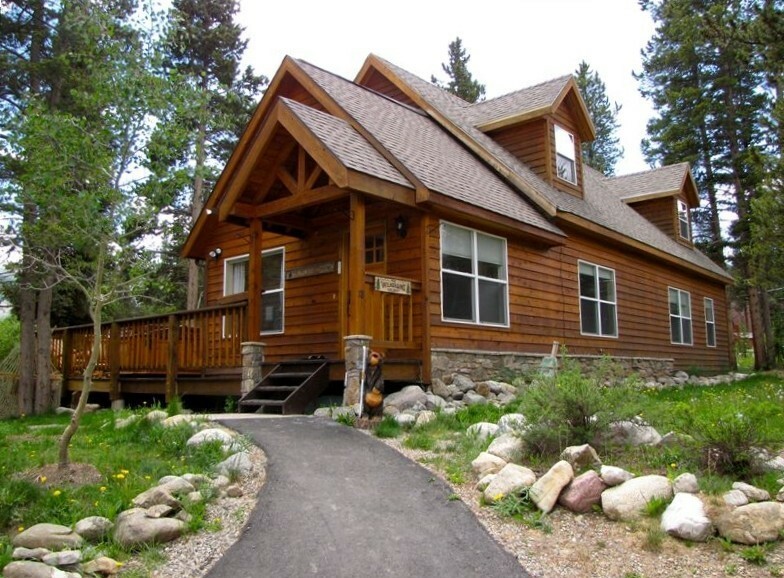 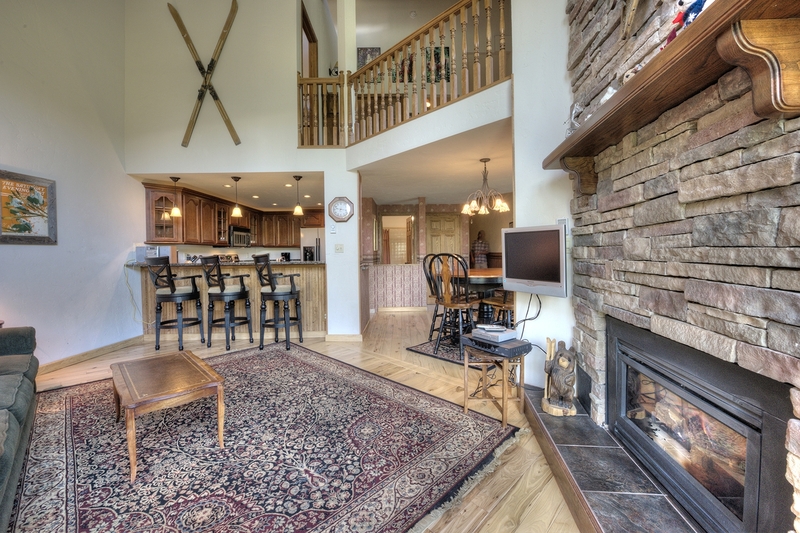 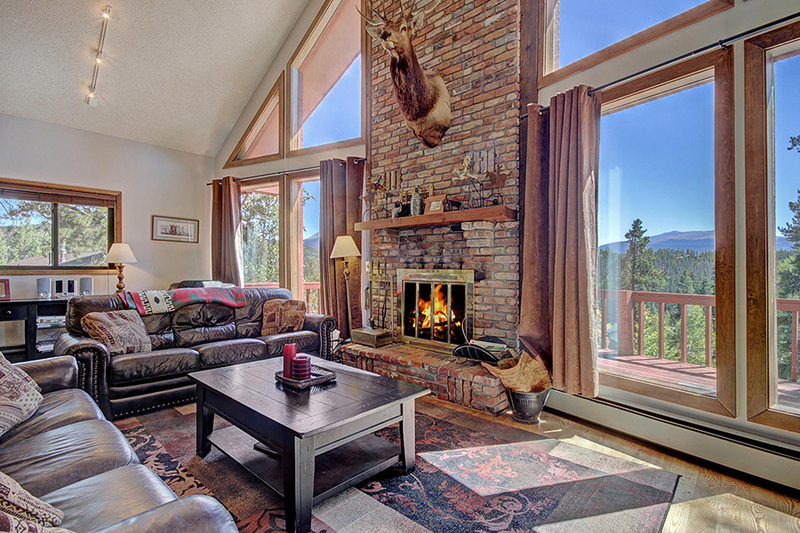 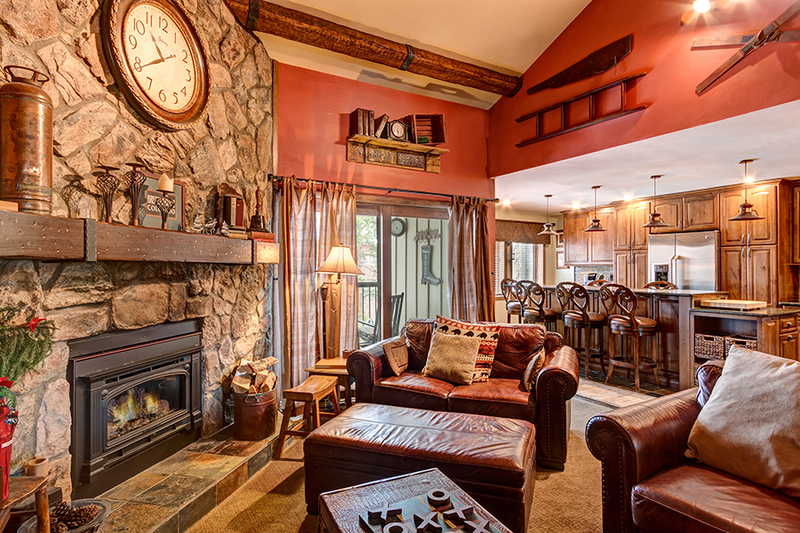 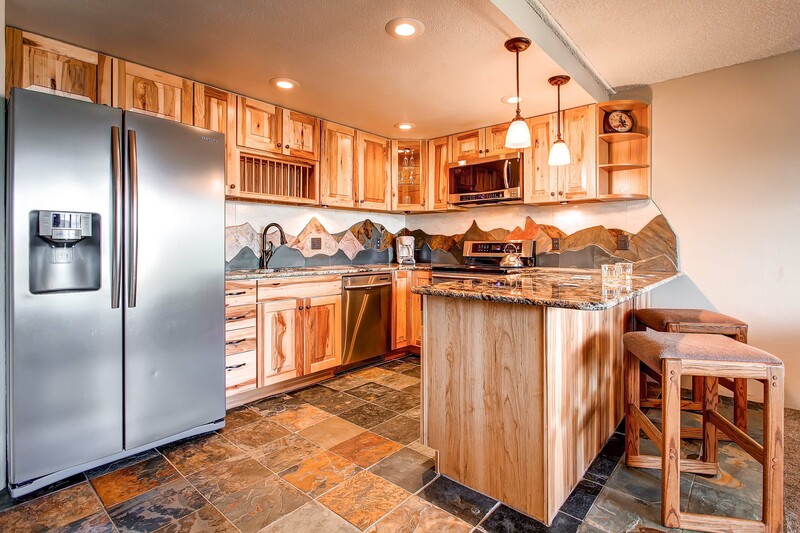 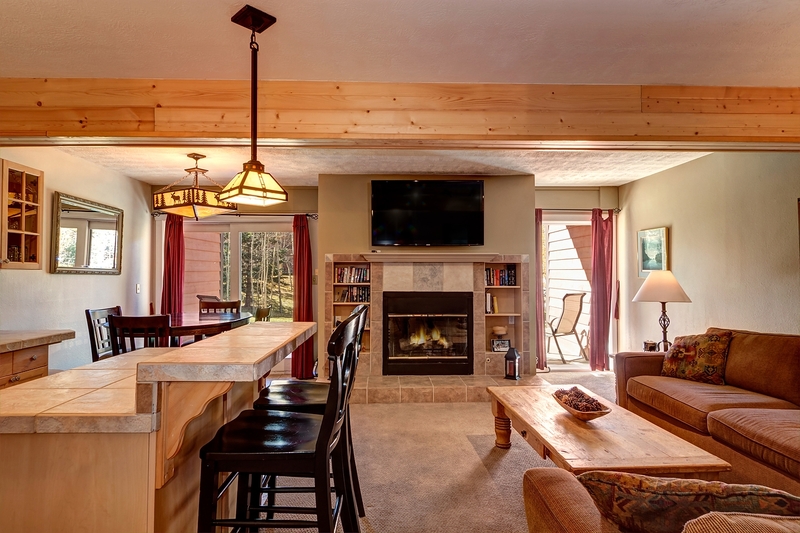 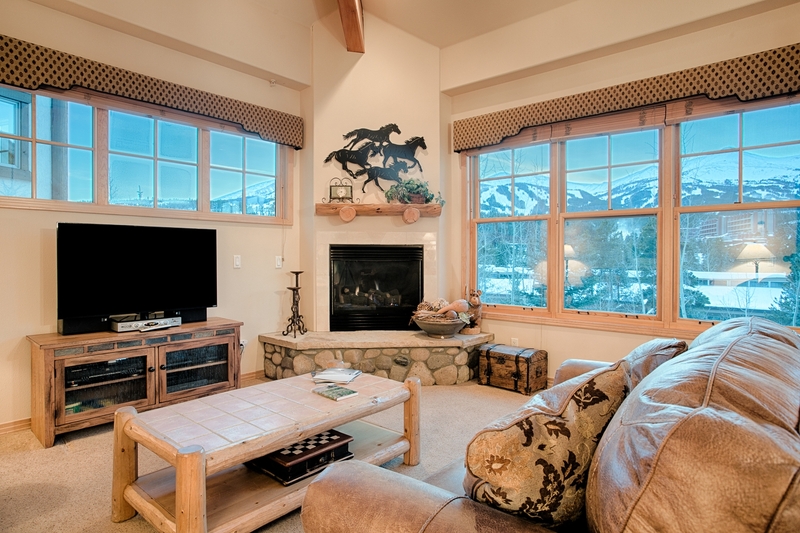 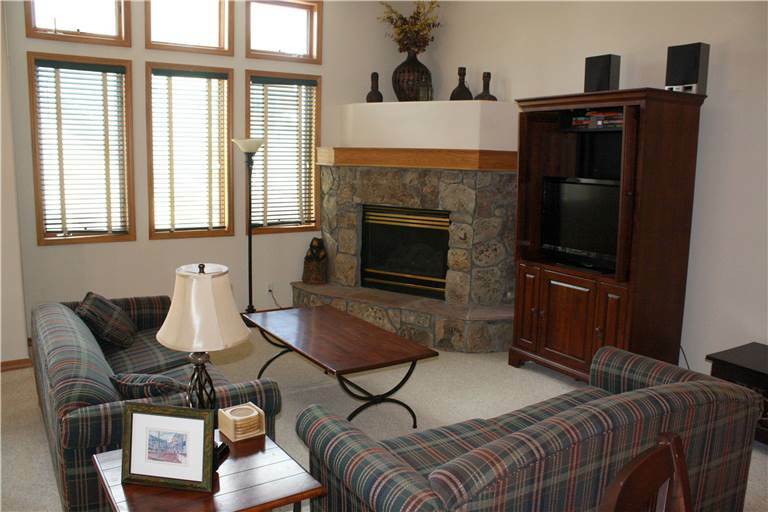 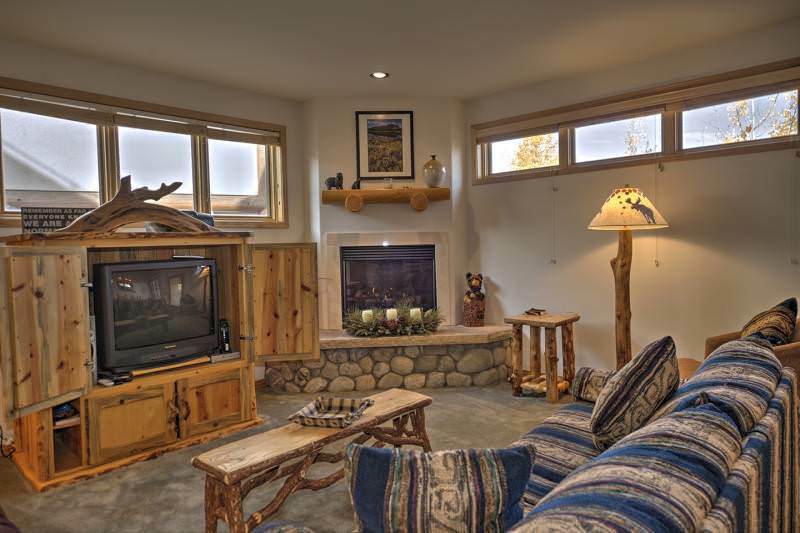 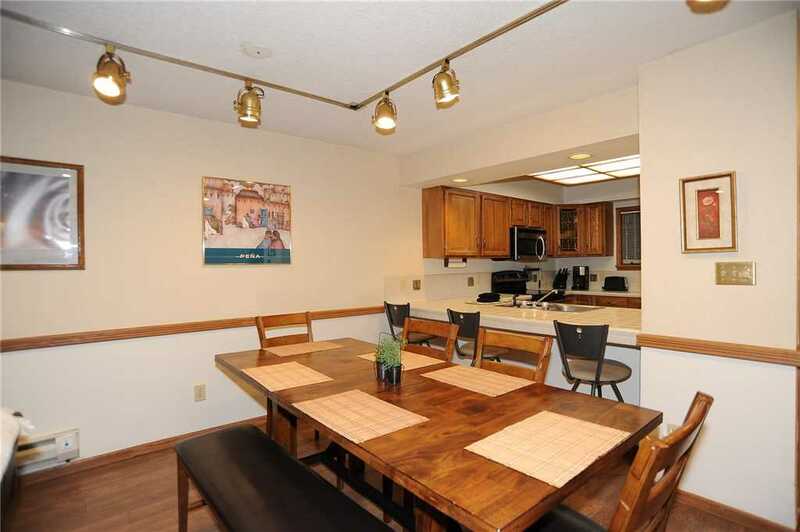 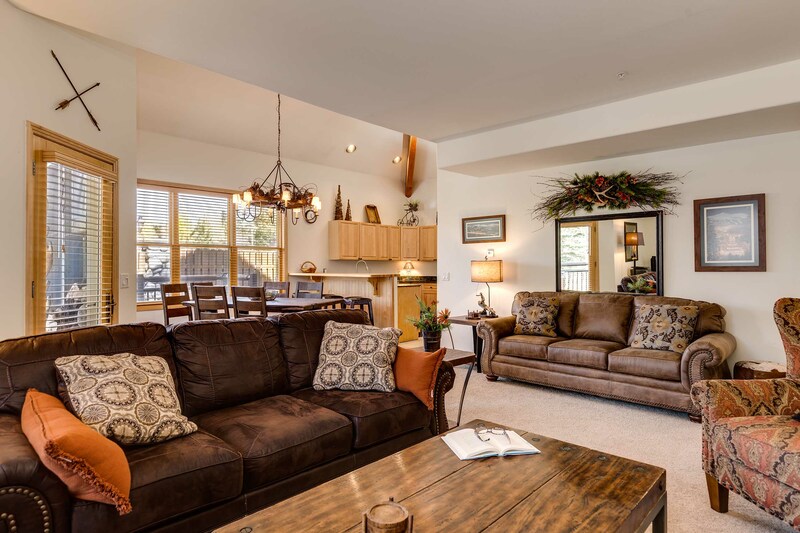 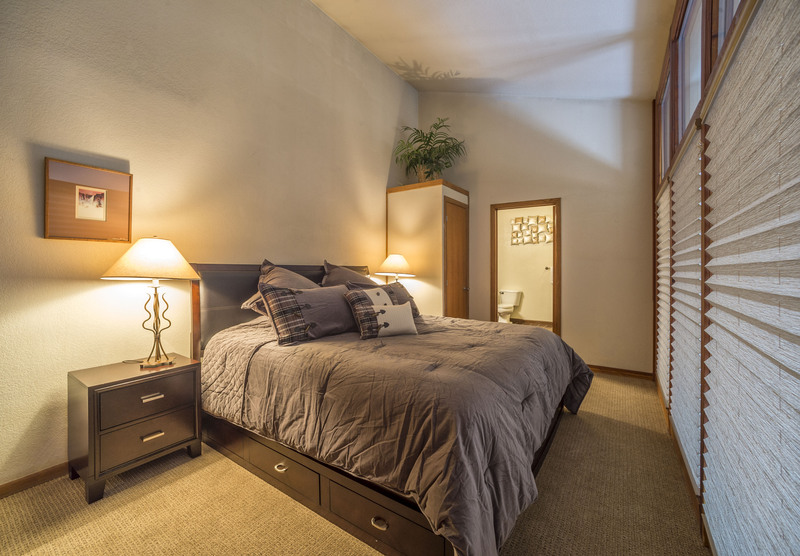 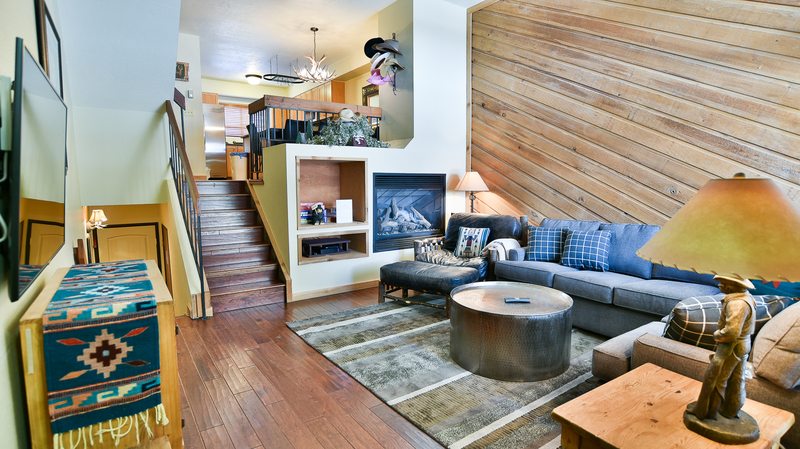 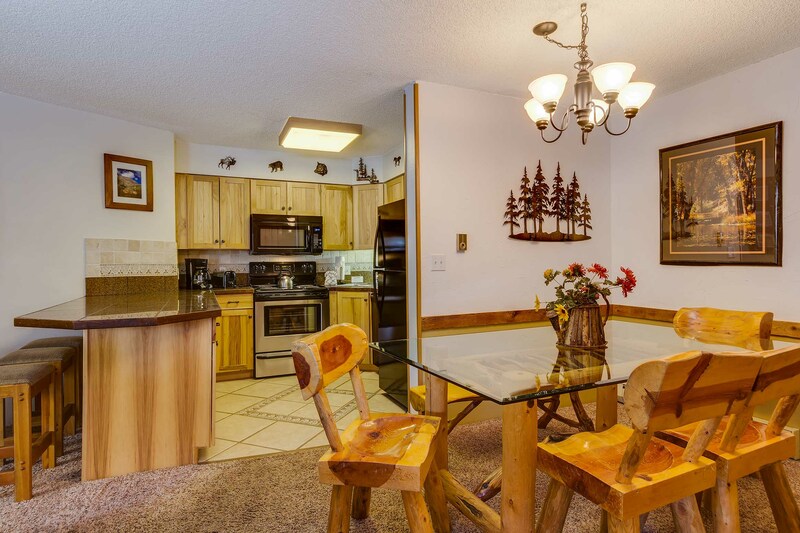 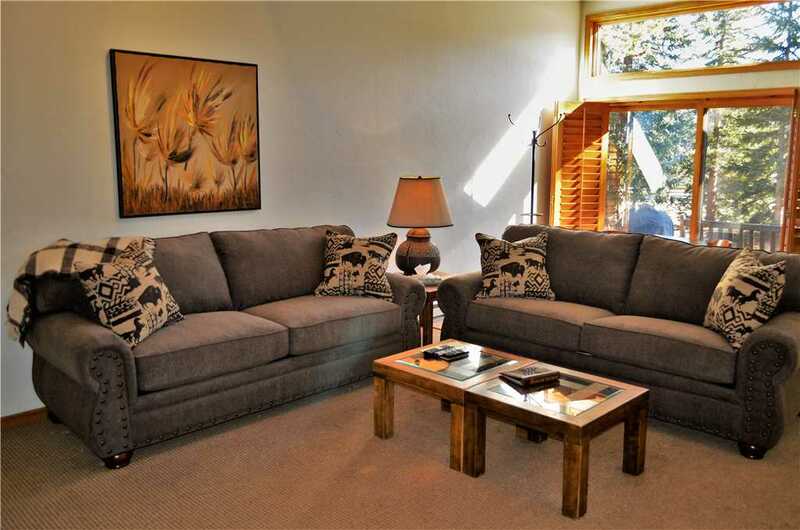 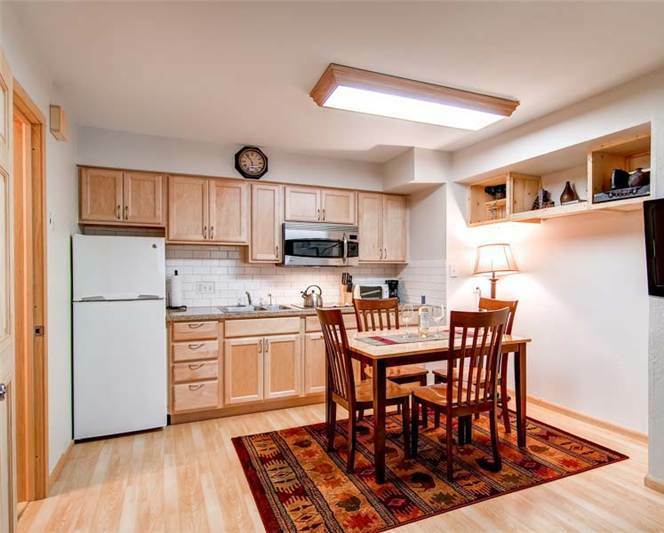 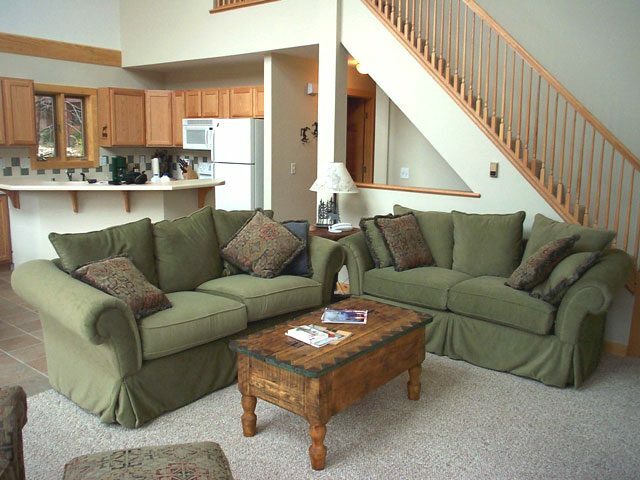 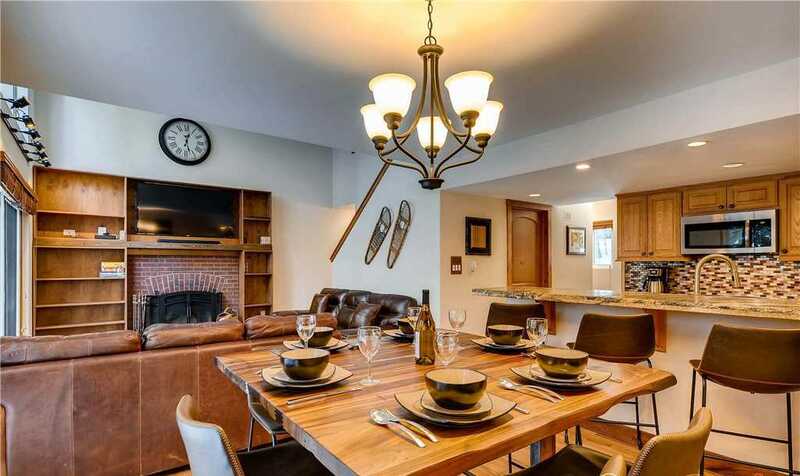 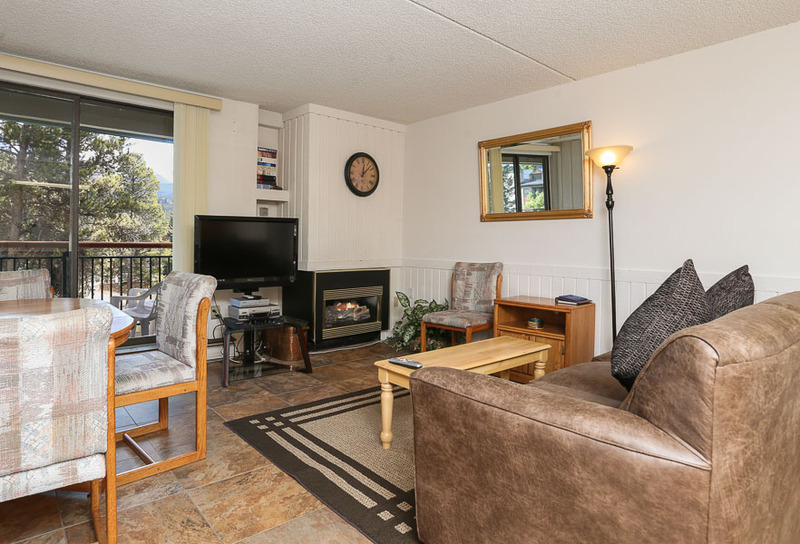 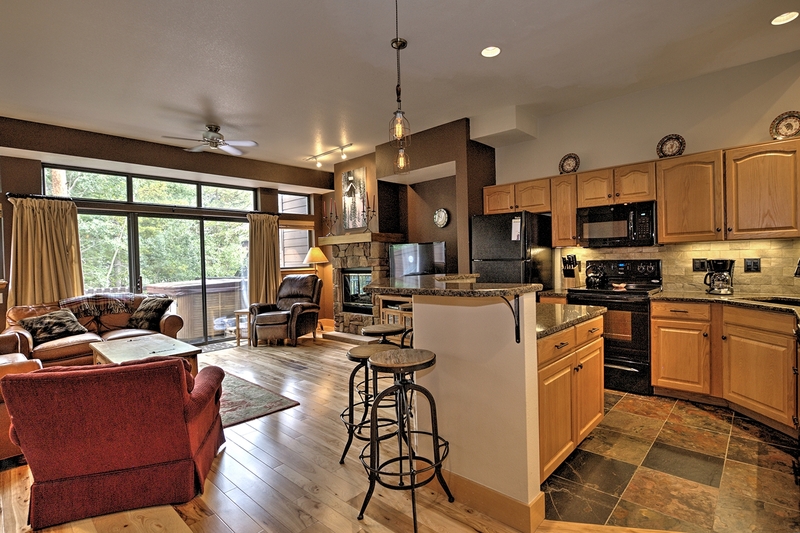 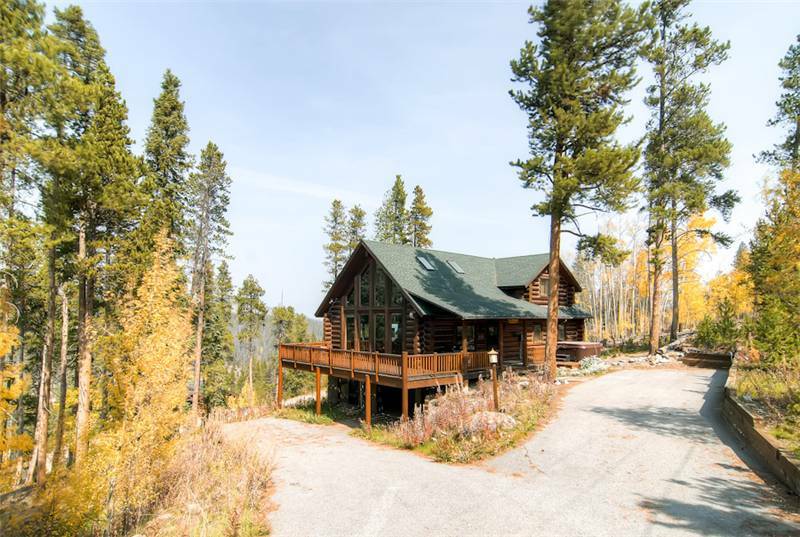 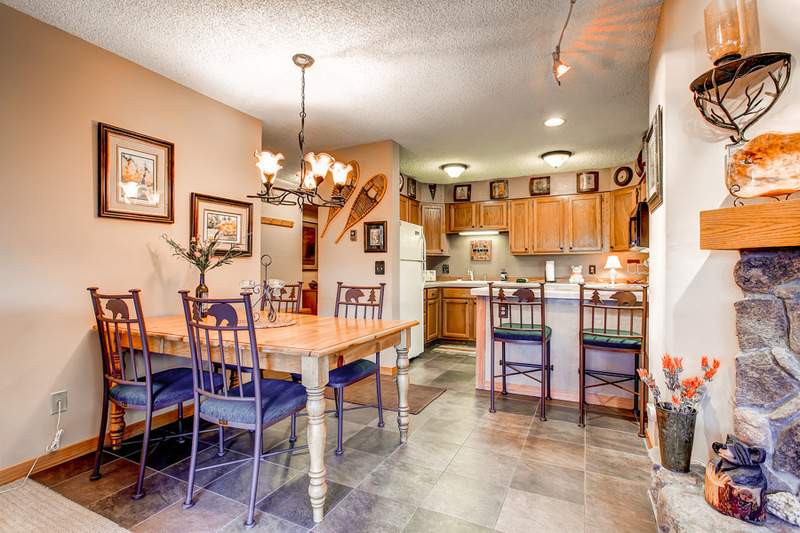 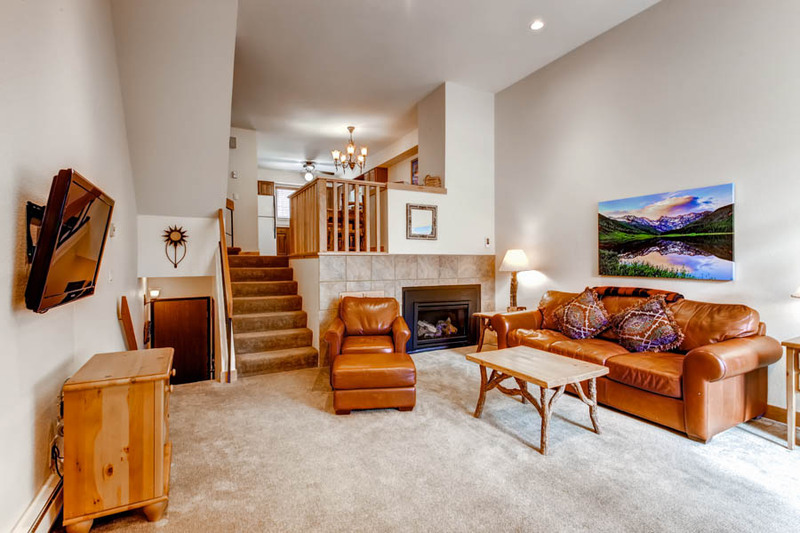 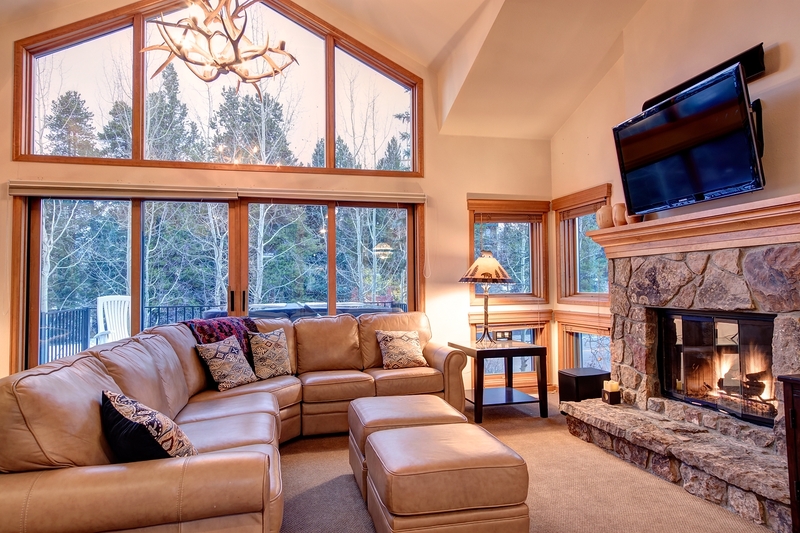 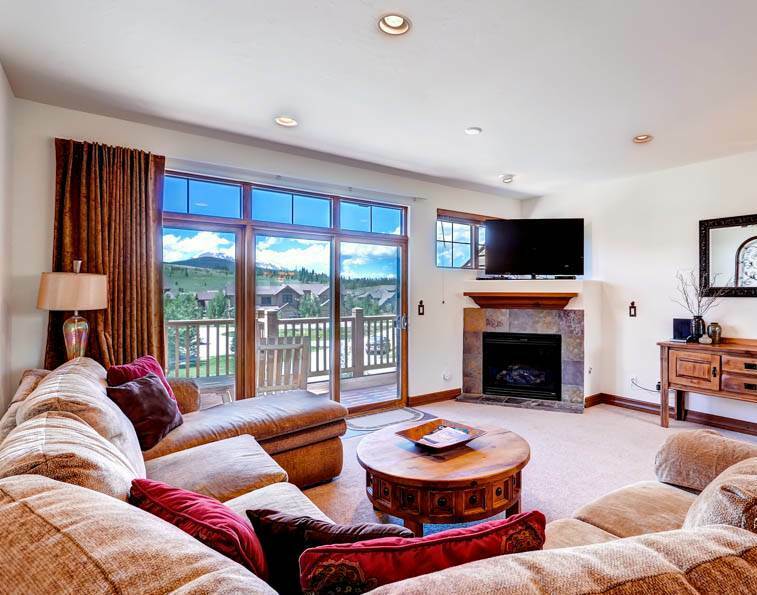 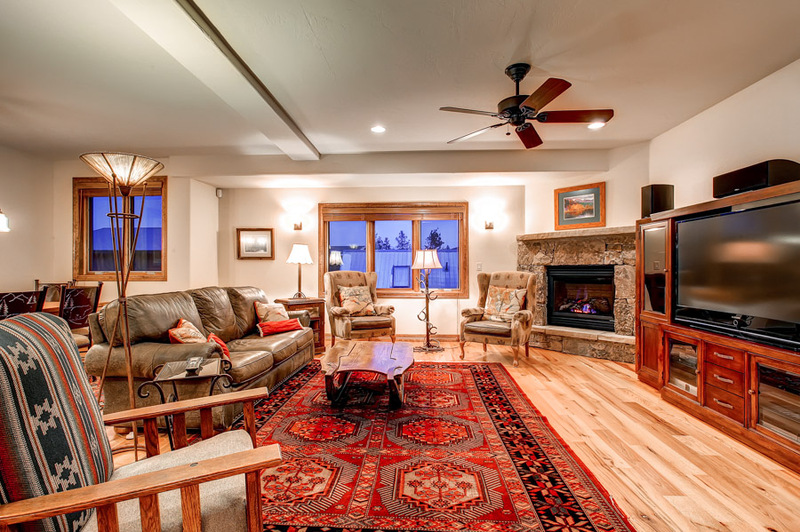 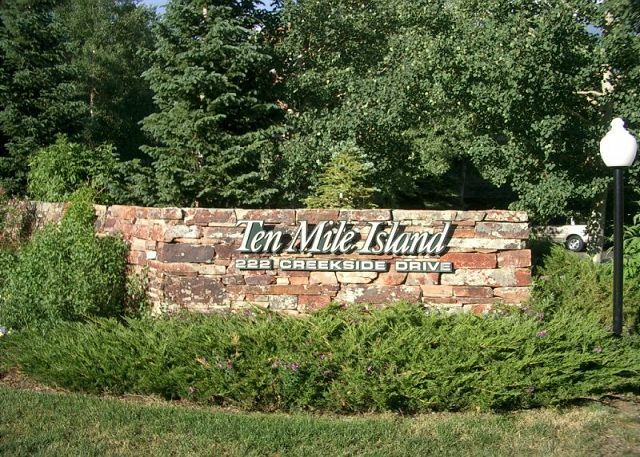 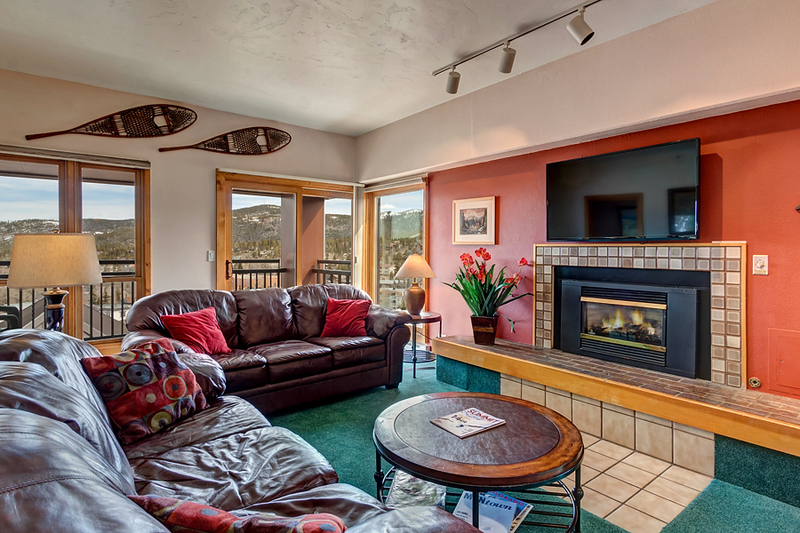 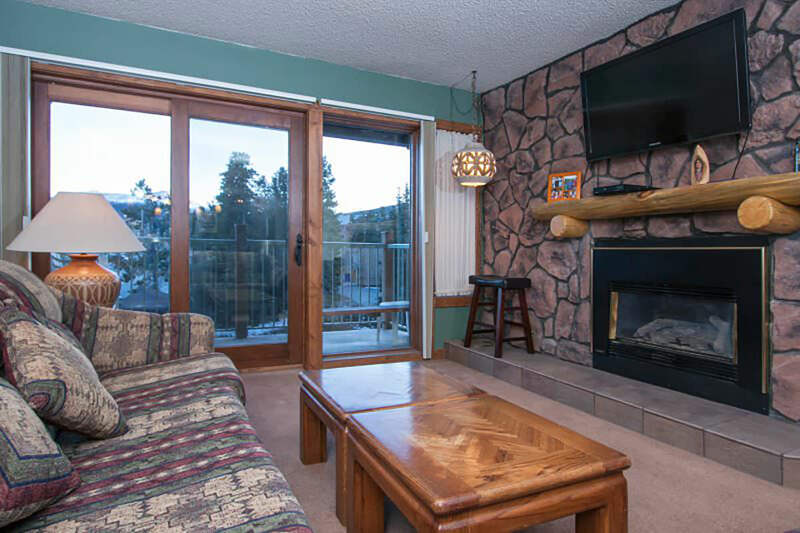 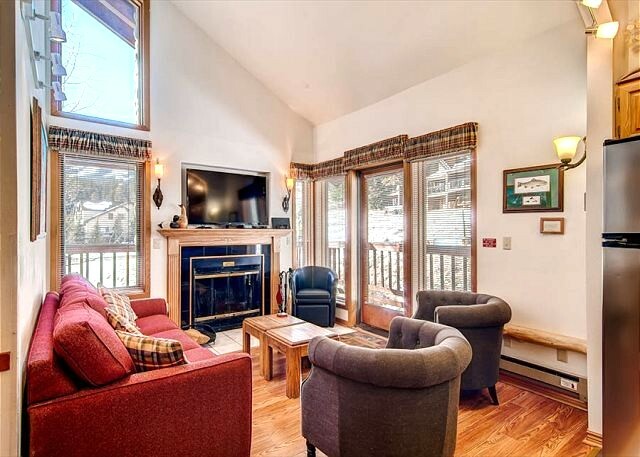 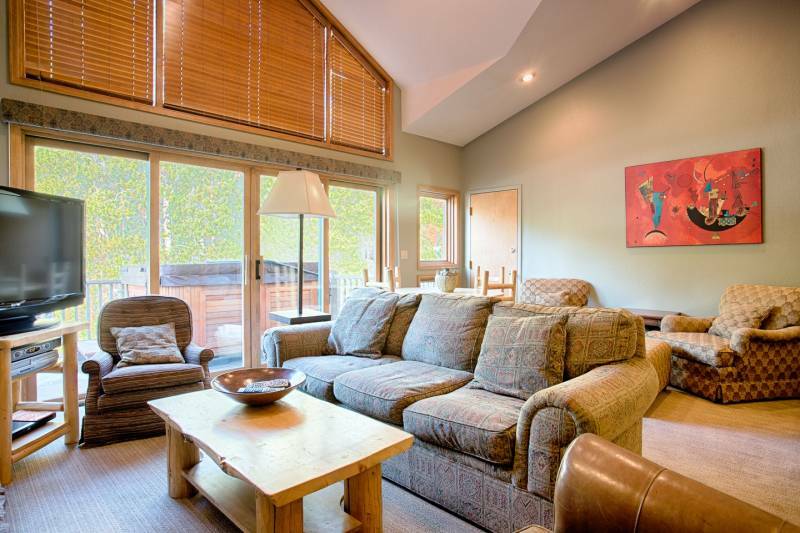 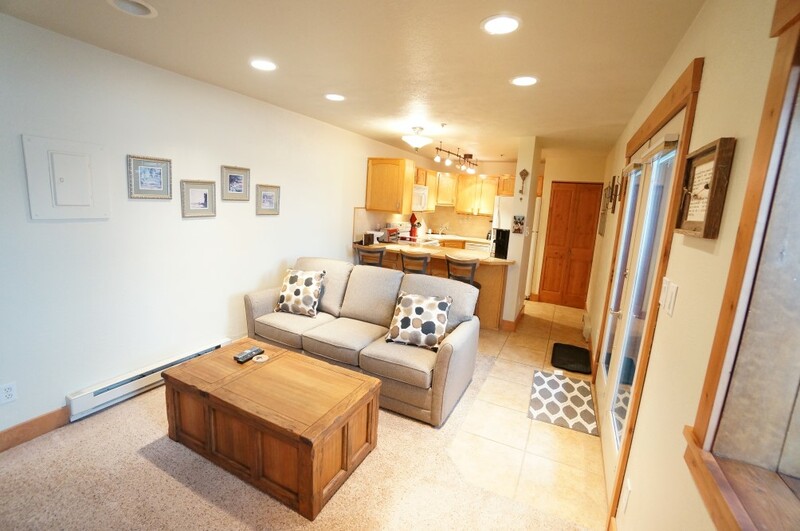 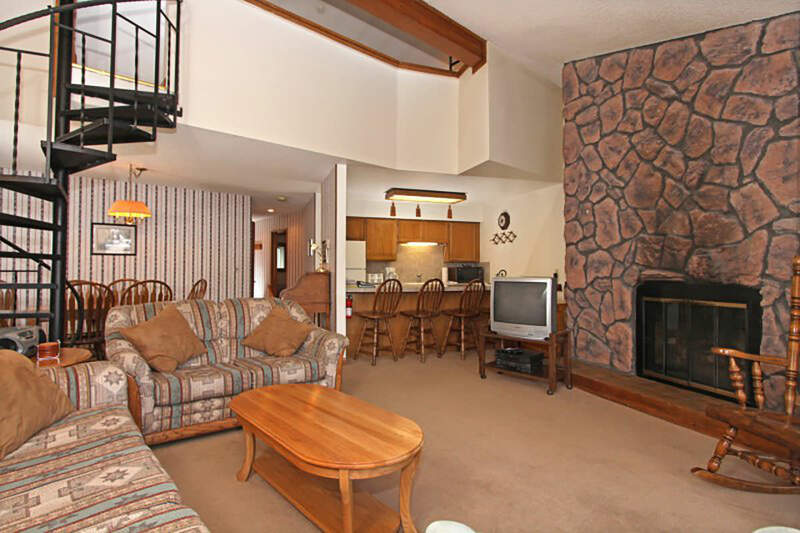 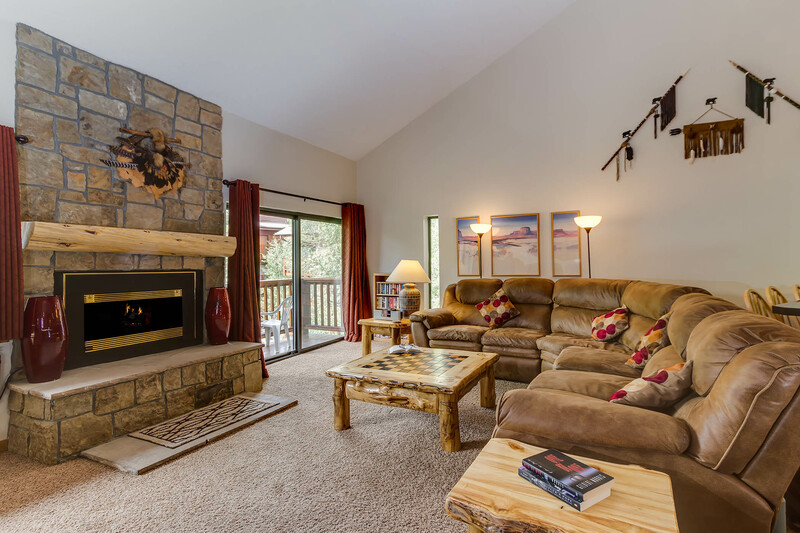 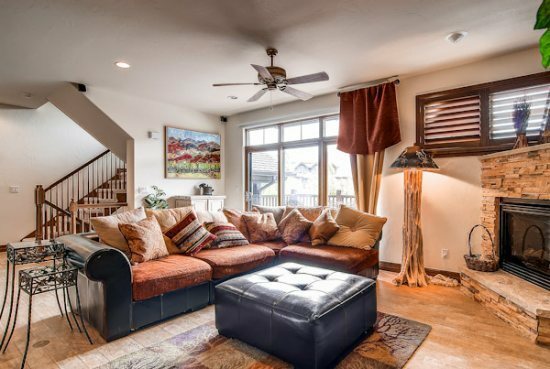 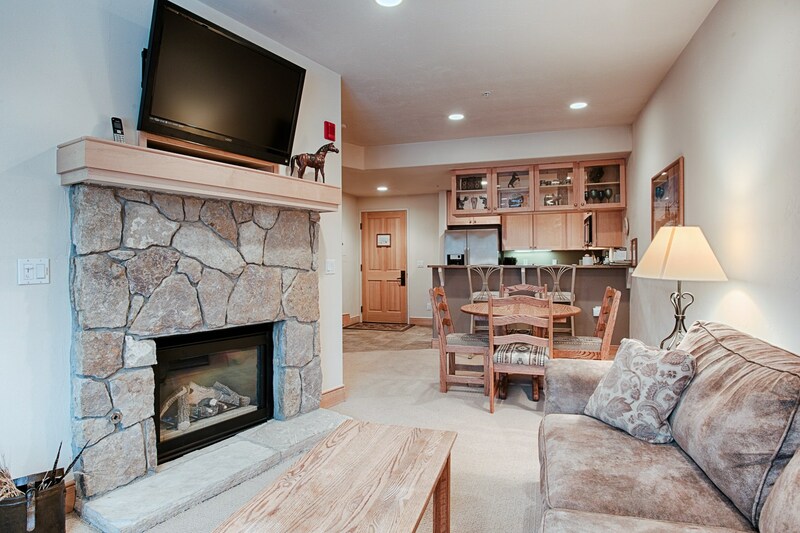 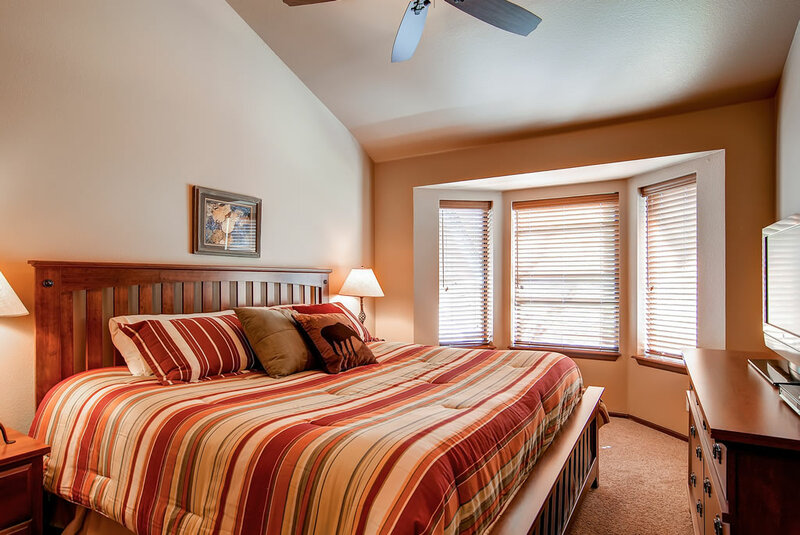 Situated in close proximity to everything Breckenridge has to offer, a vehicle is not necessary when enjoying your vacation as most everything is within walking distance to your condo or take advantage of the free town shuttle located just outside the building.